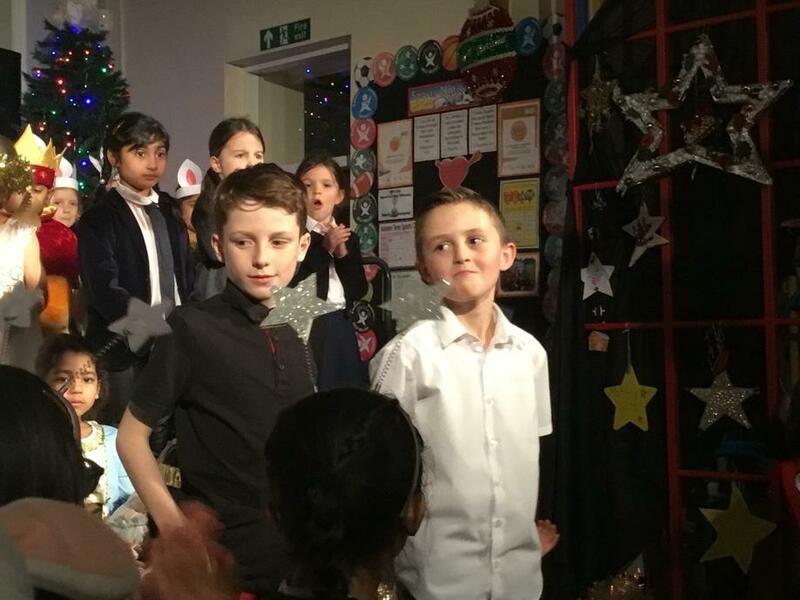 We hope that you enjoy looking at some of the photographs from the evening show. 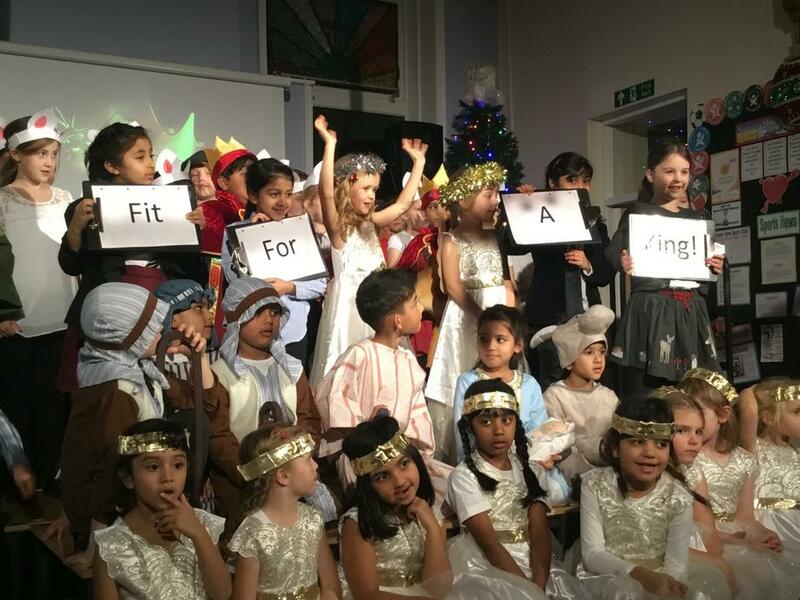 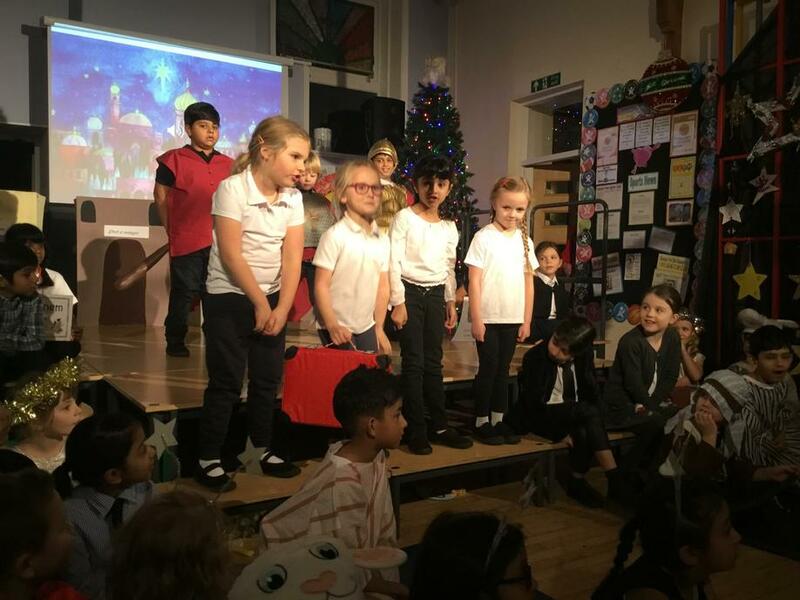 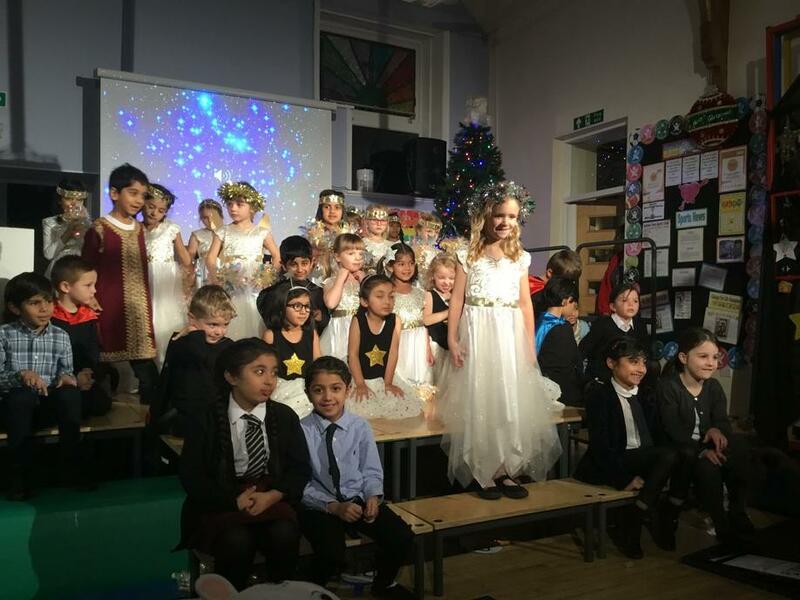 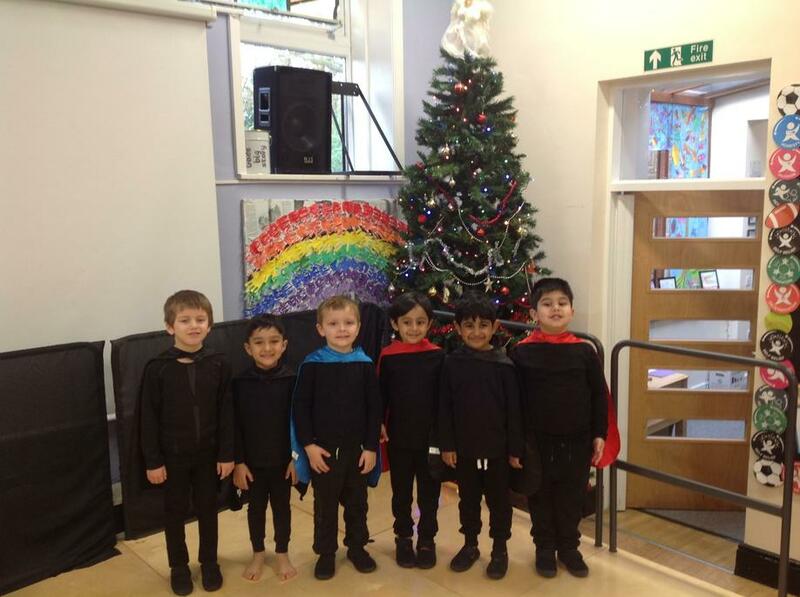 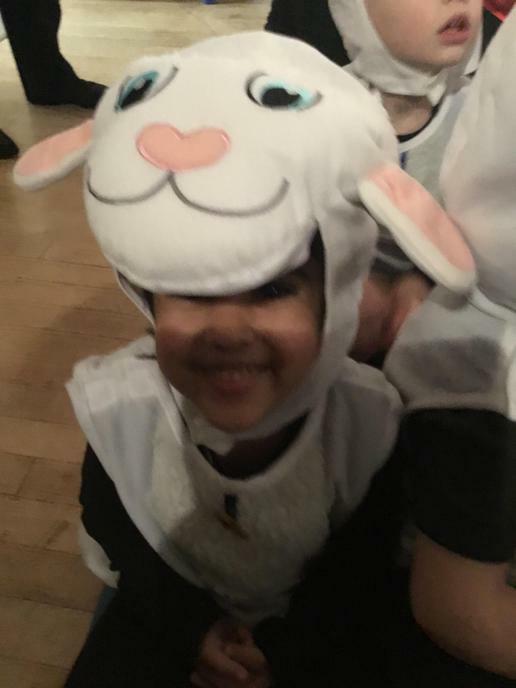 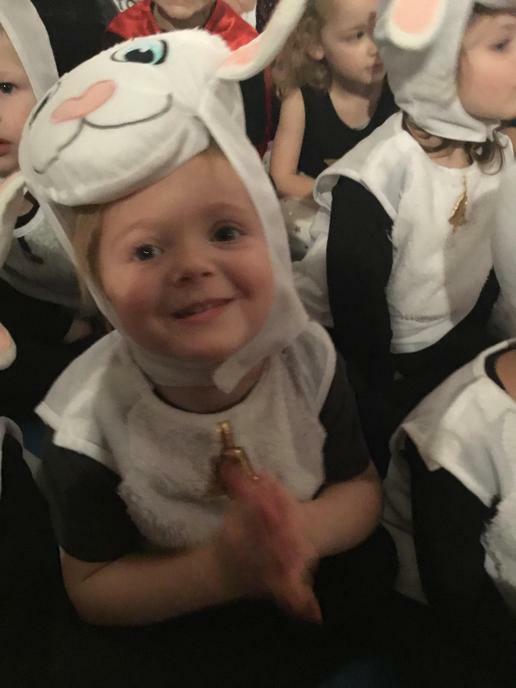 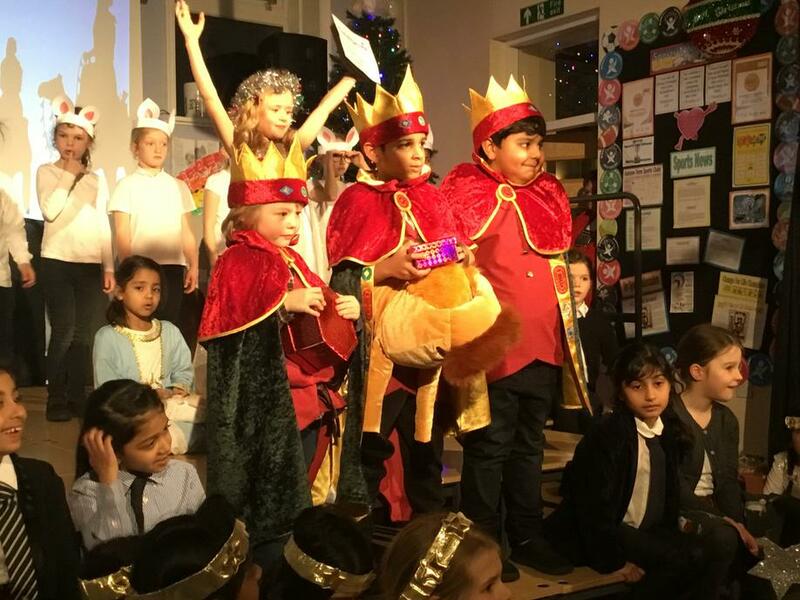 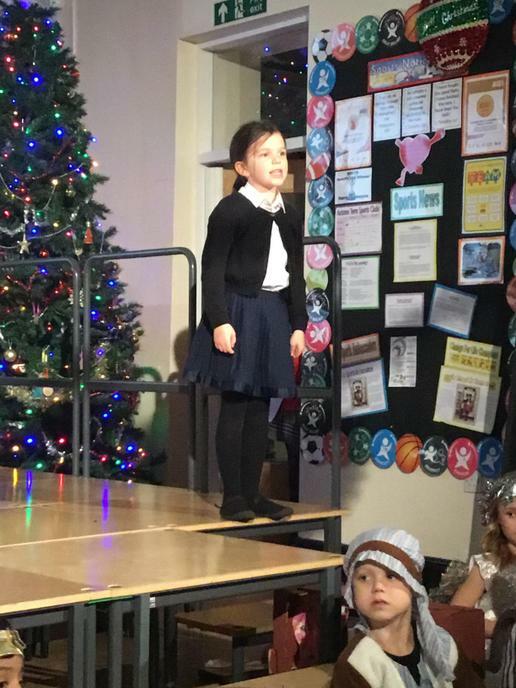 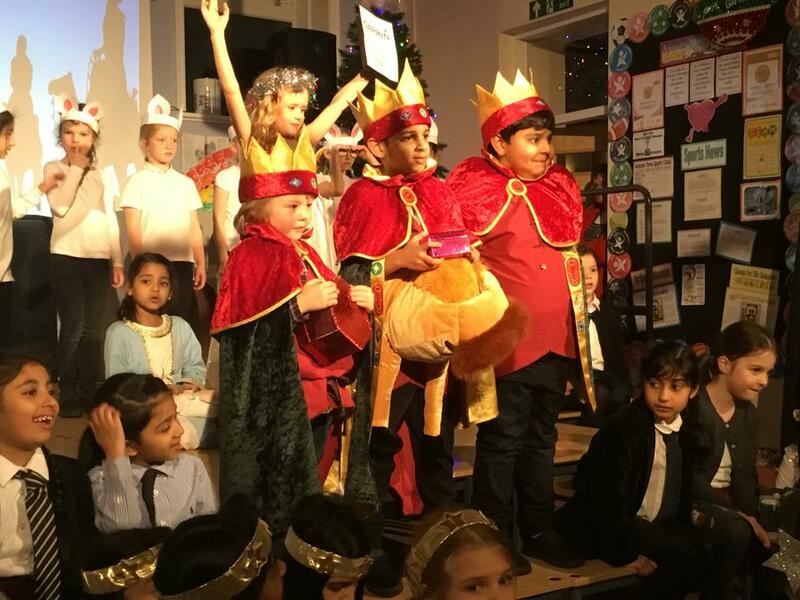 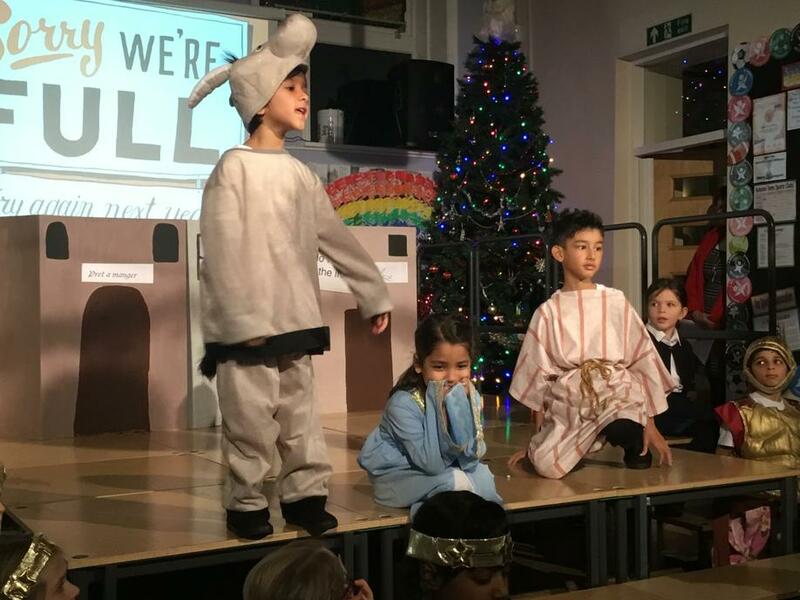 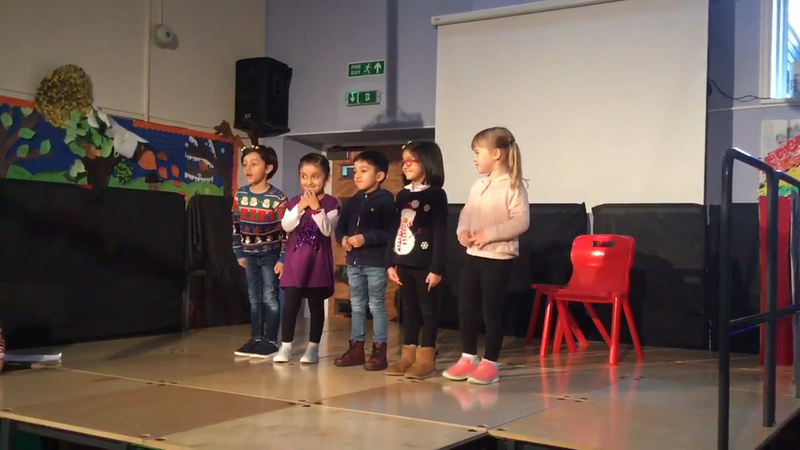 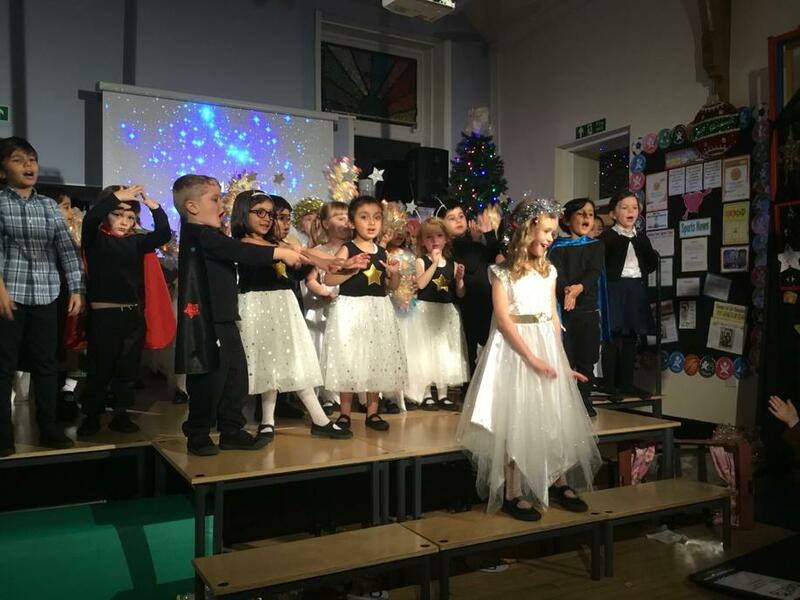 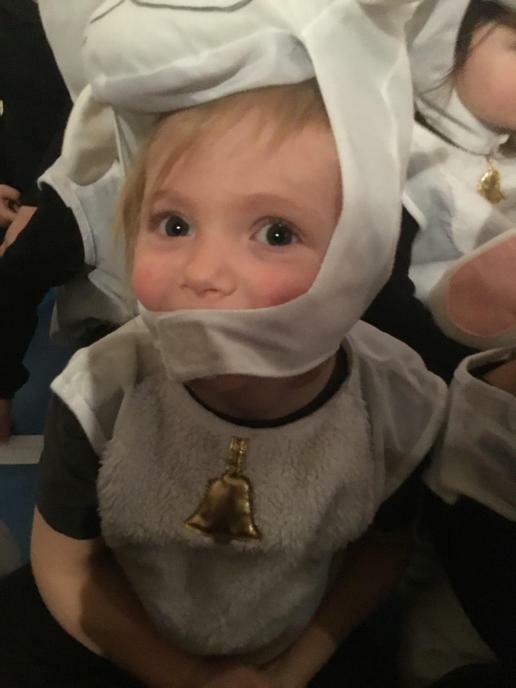 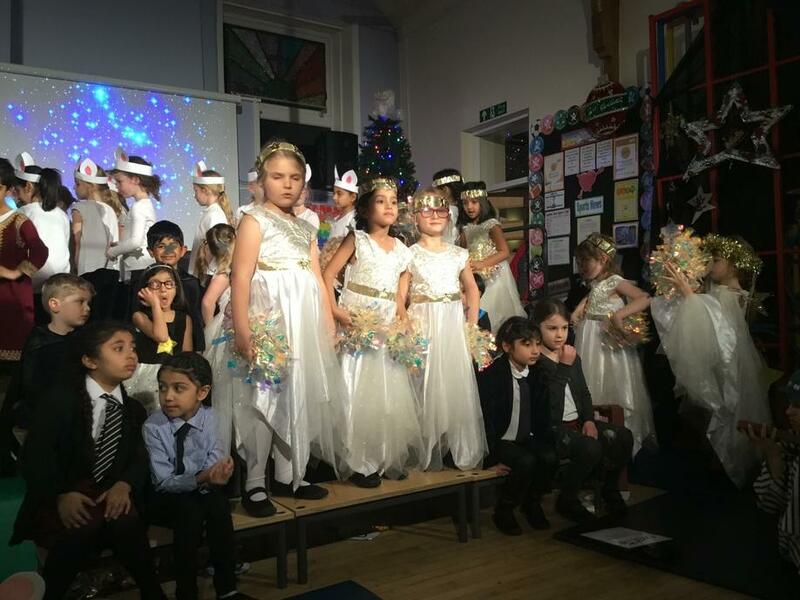 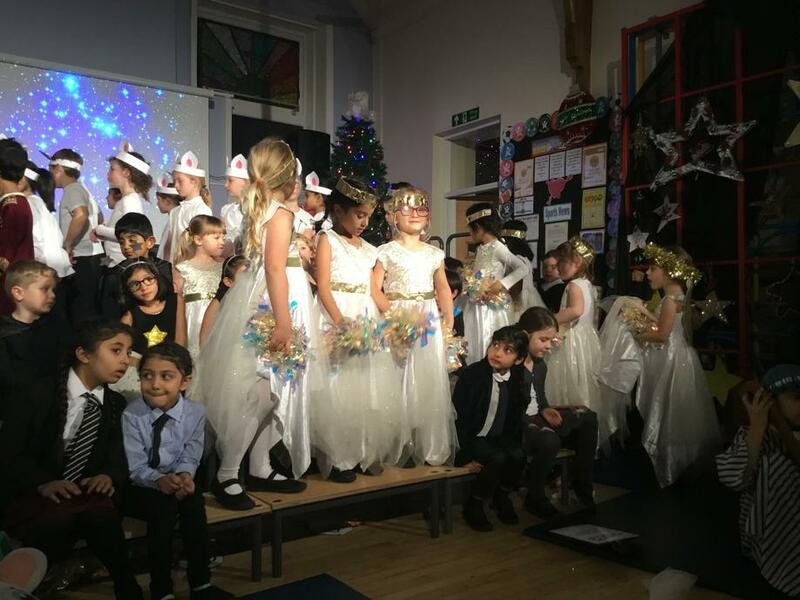 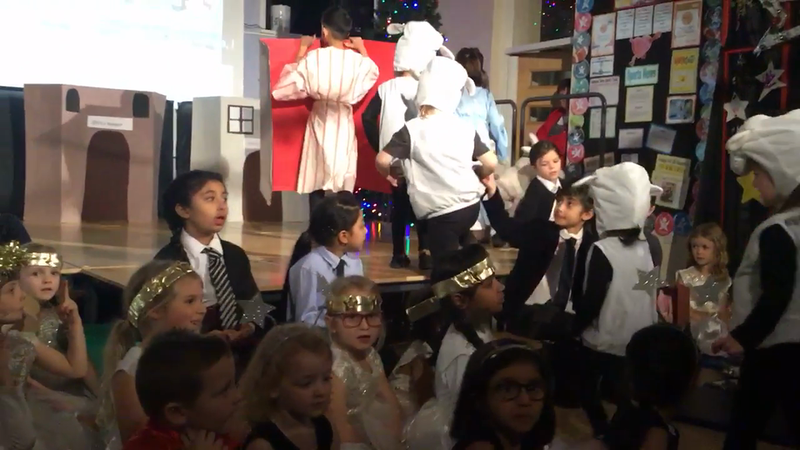 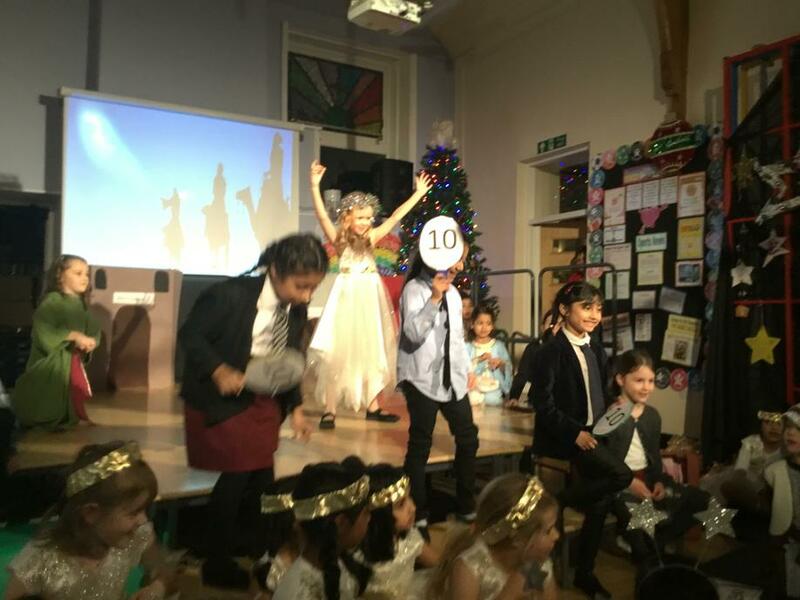 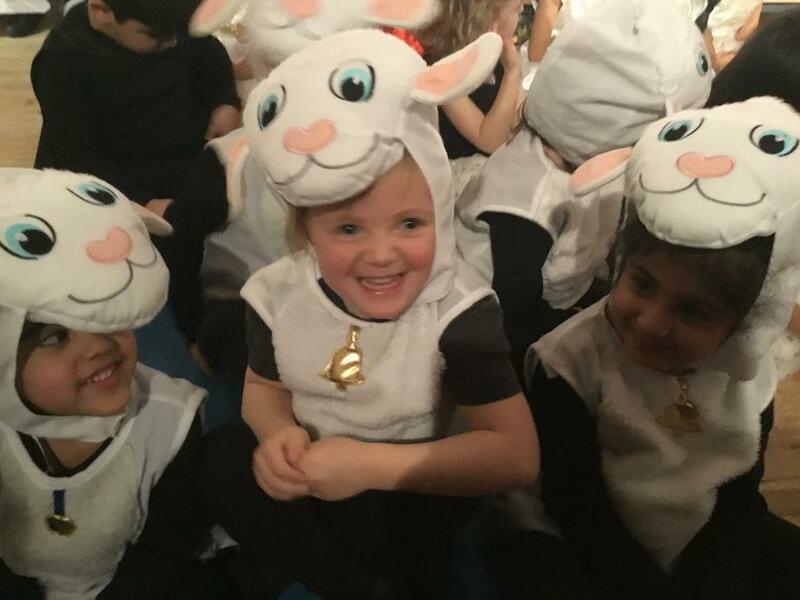 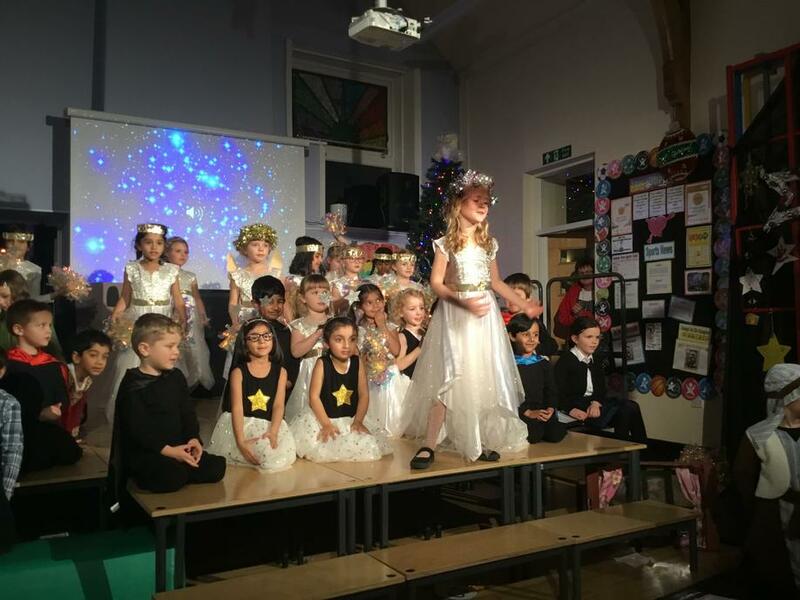 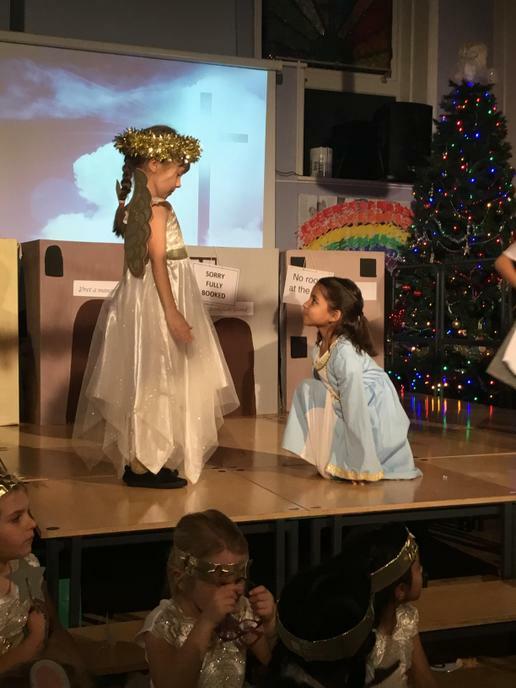 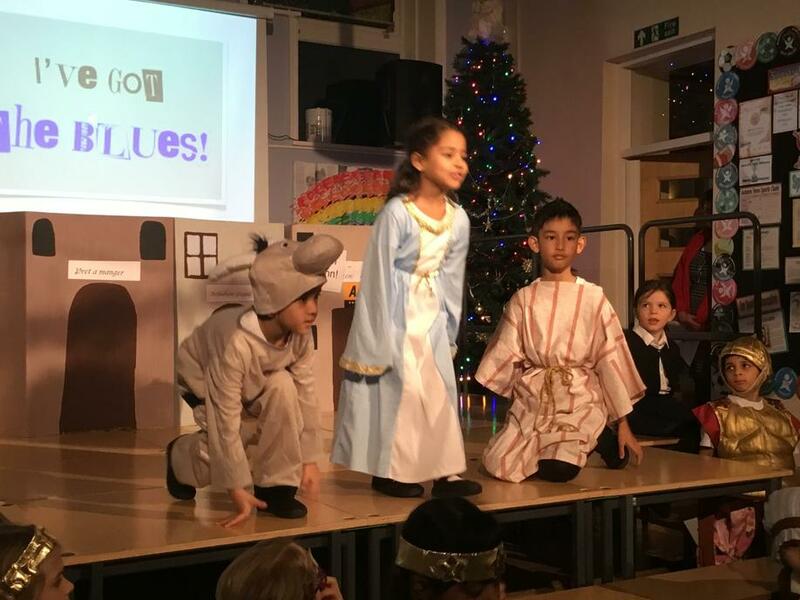 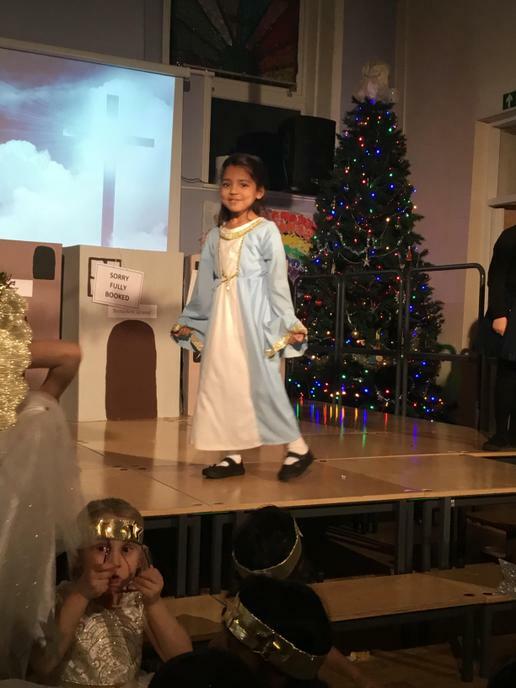 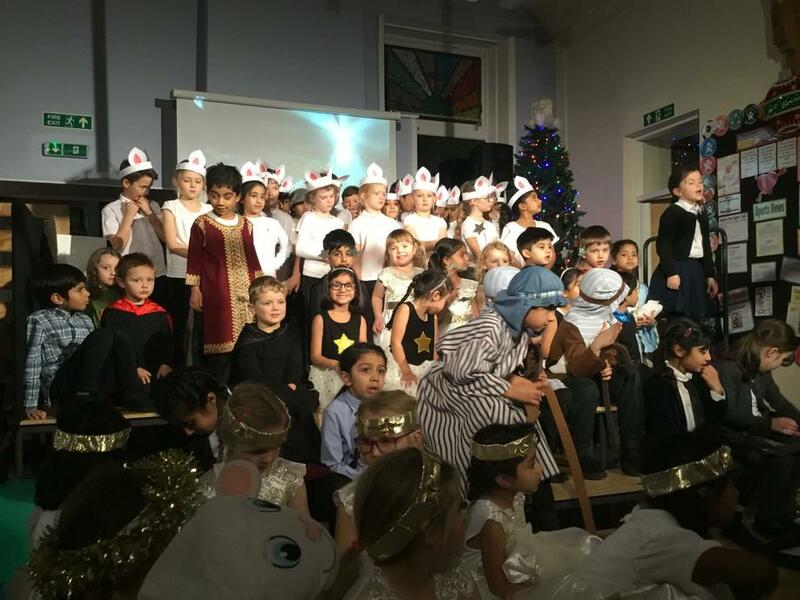 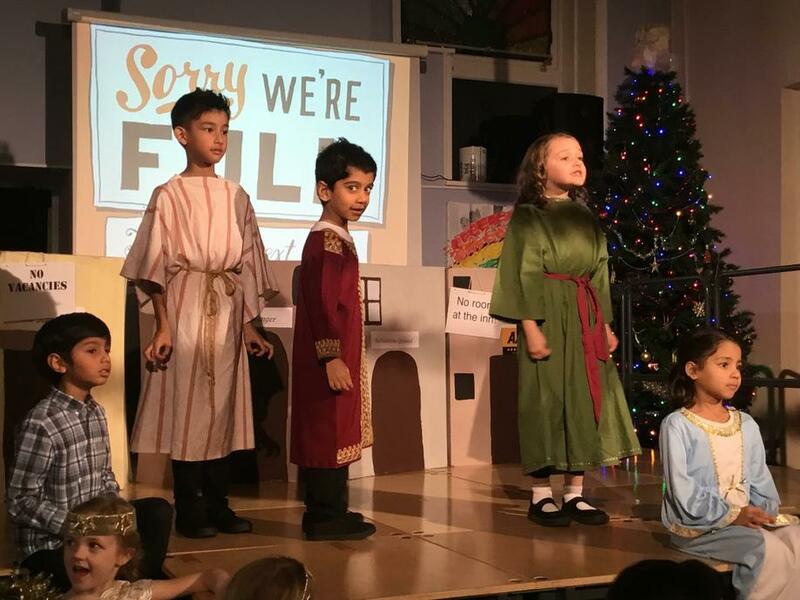 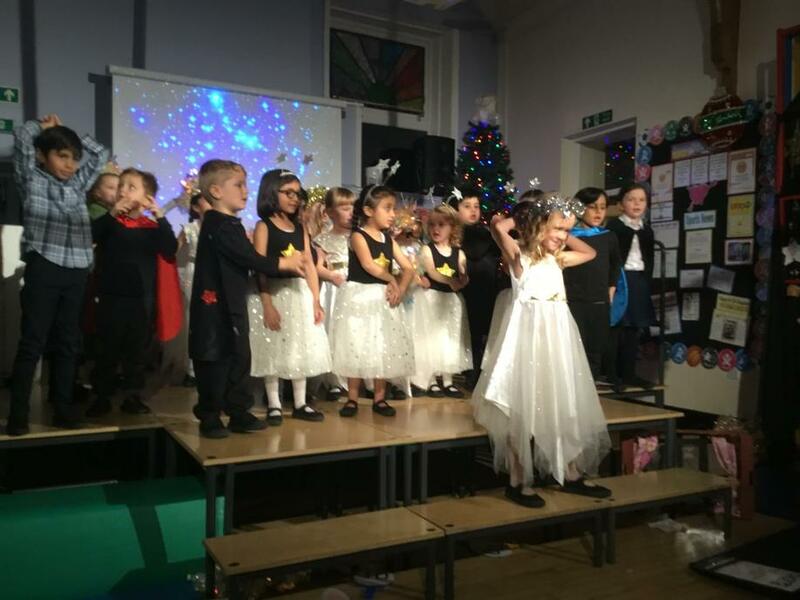 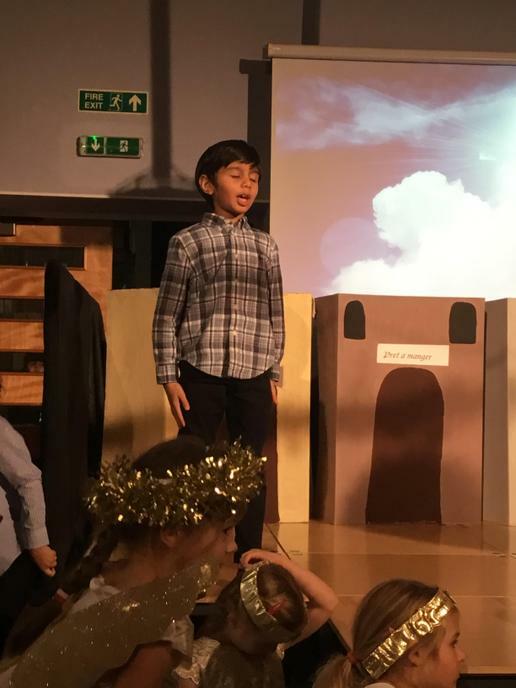 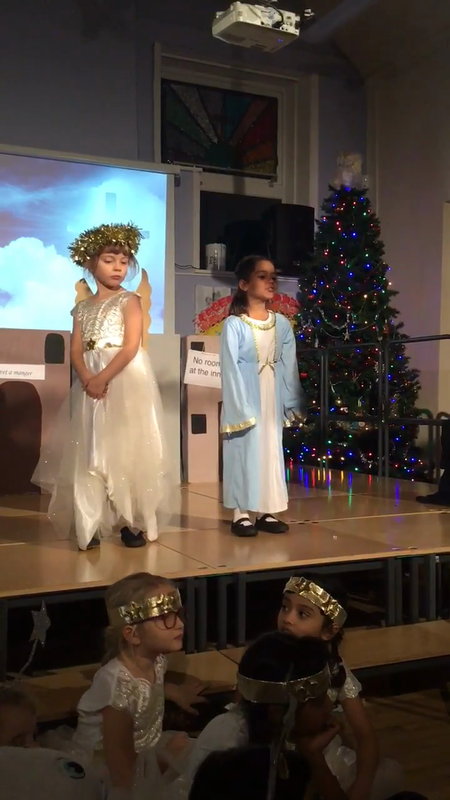 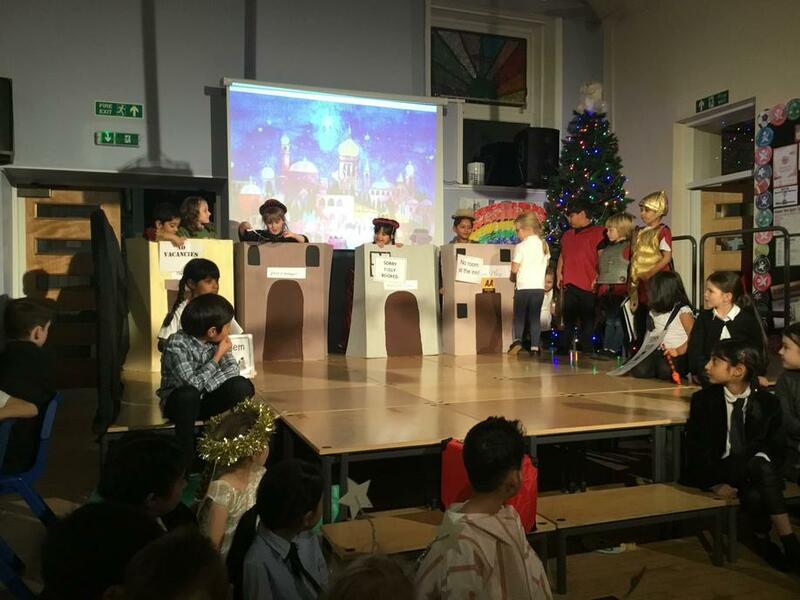 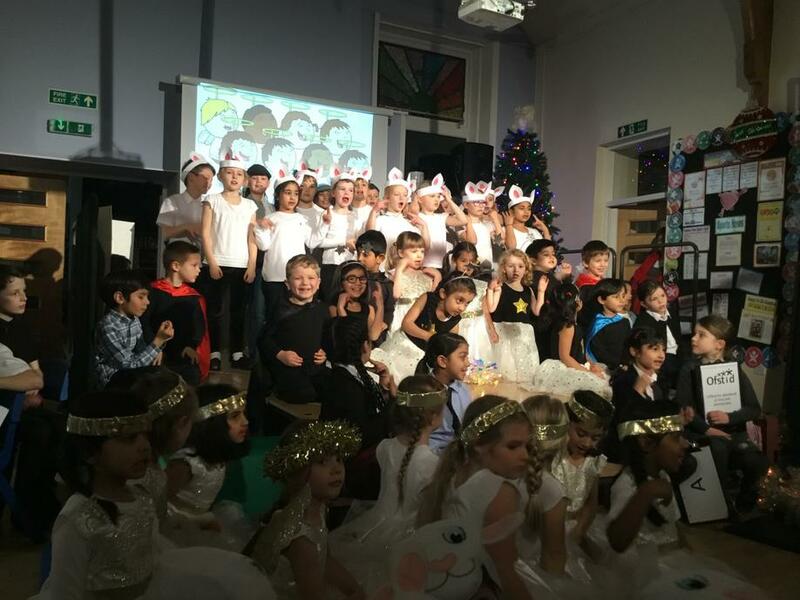 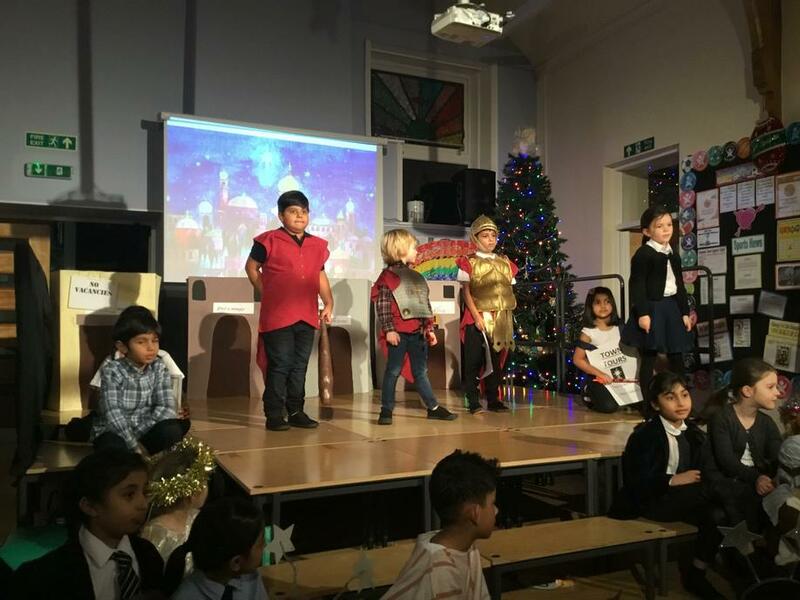 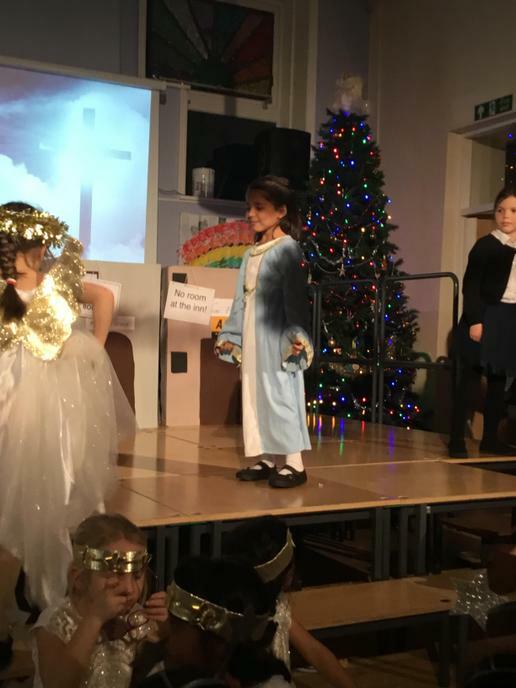 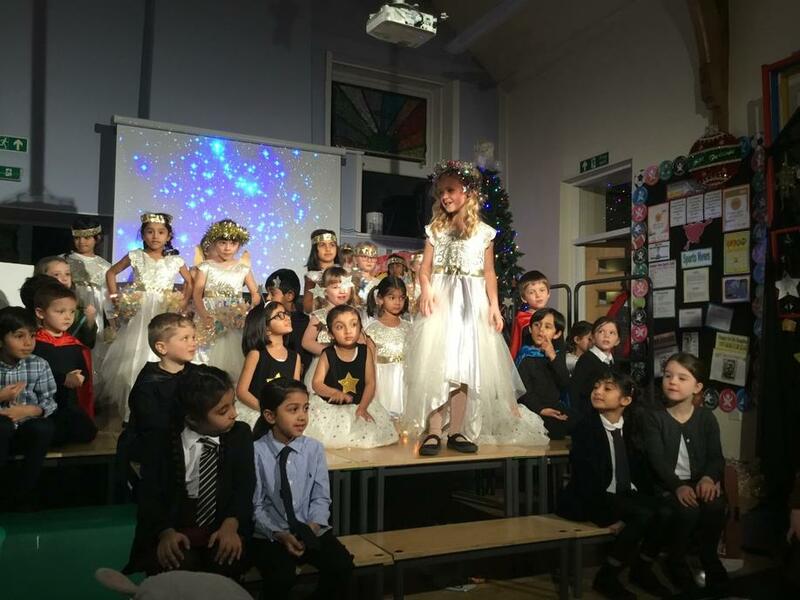 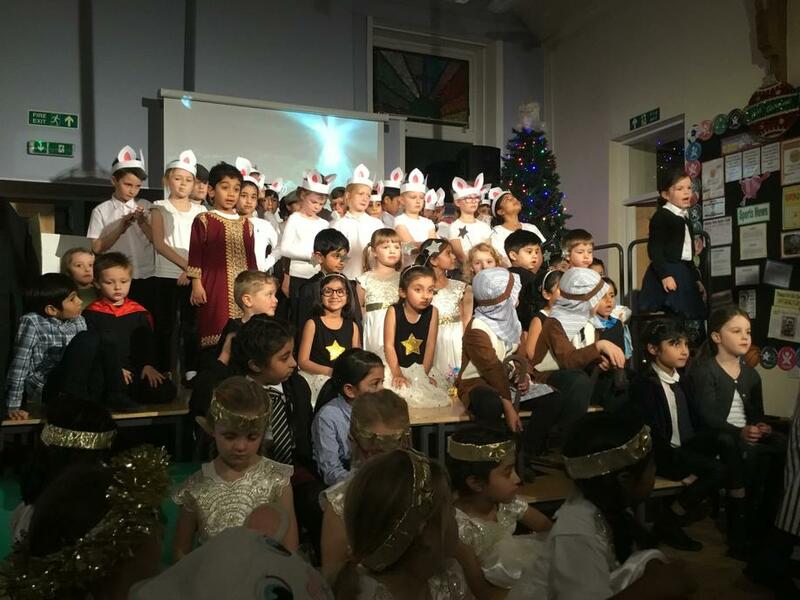 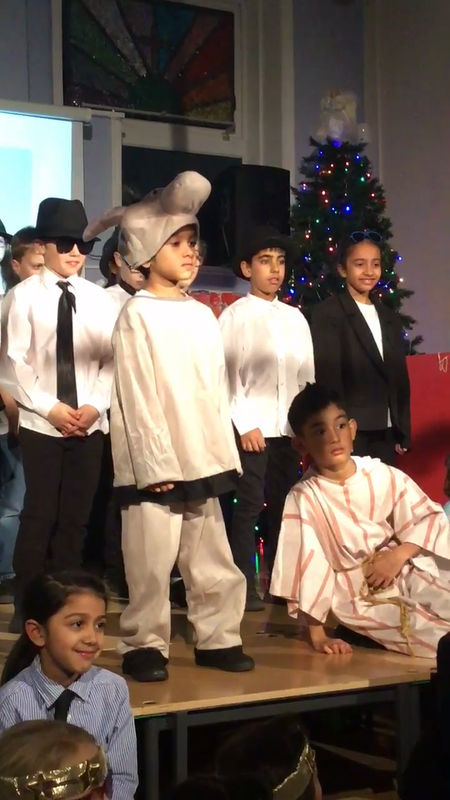 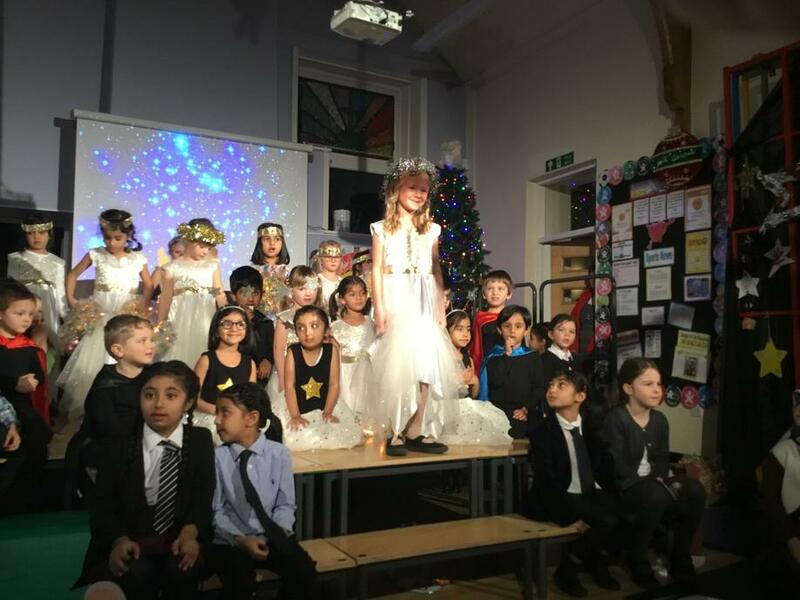 The Nativity 2018, performance of 'The Inn-spectors'. 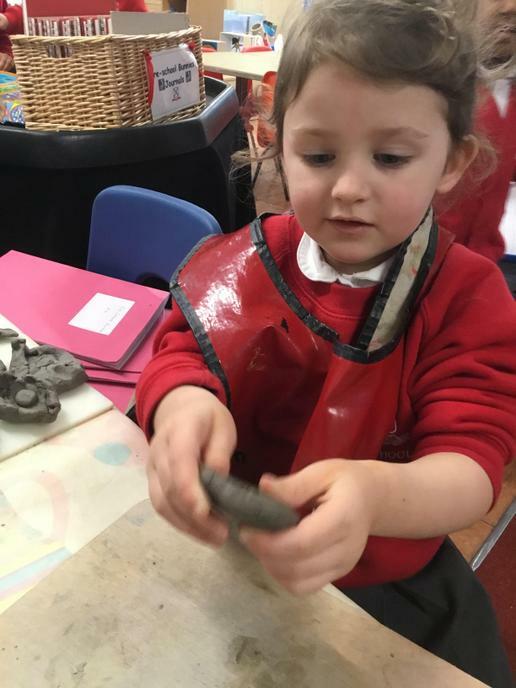 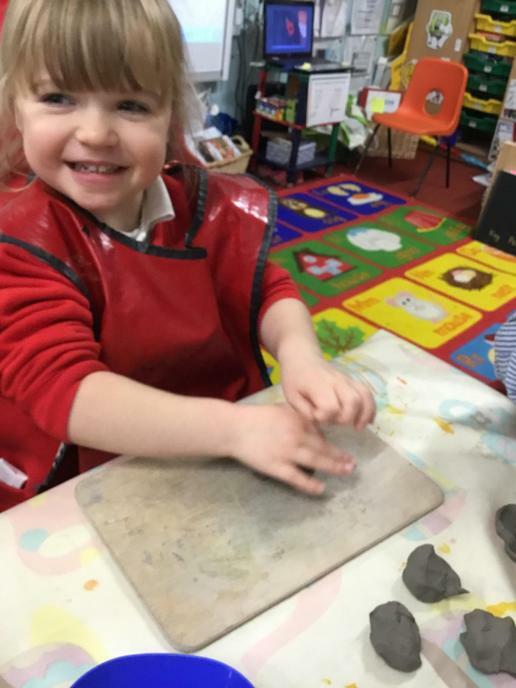 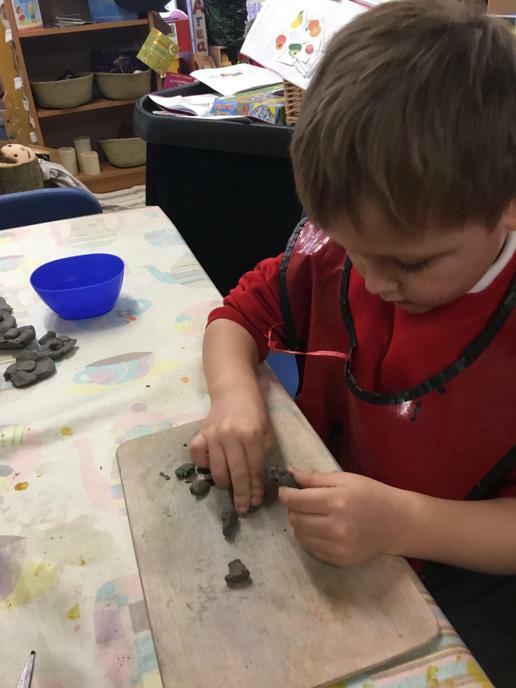 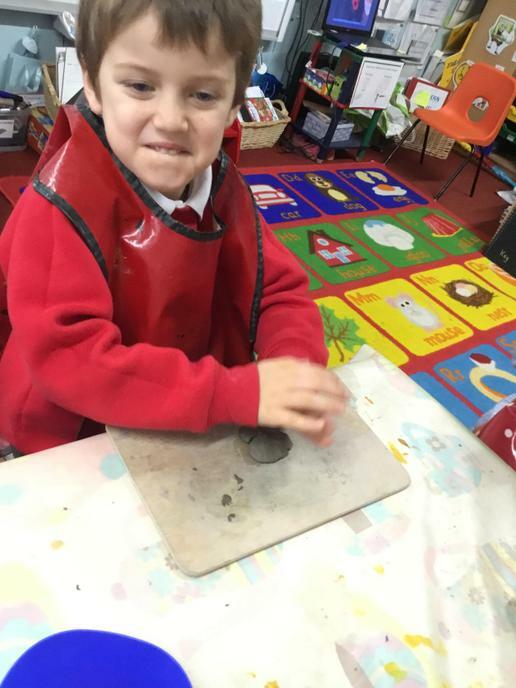 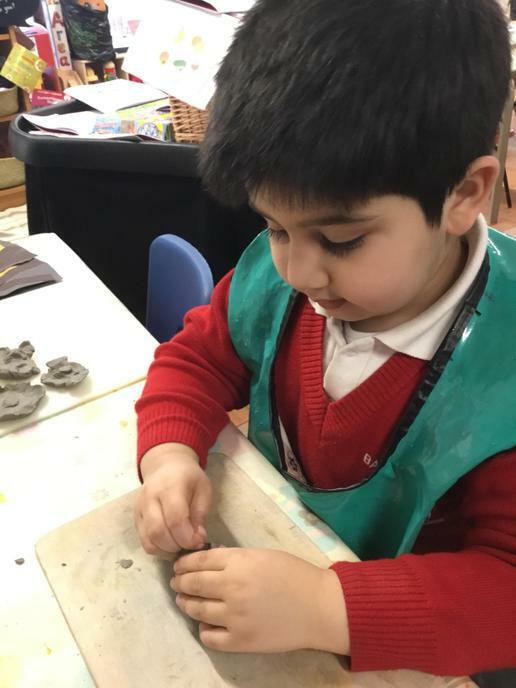 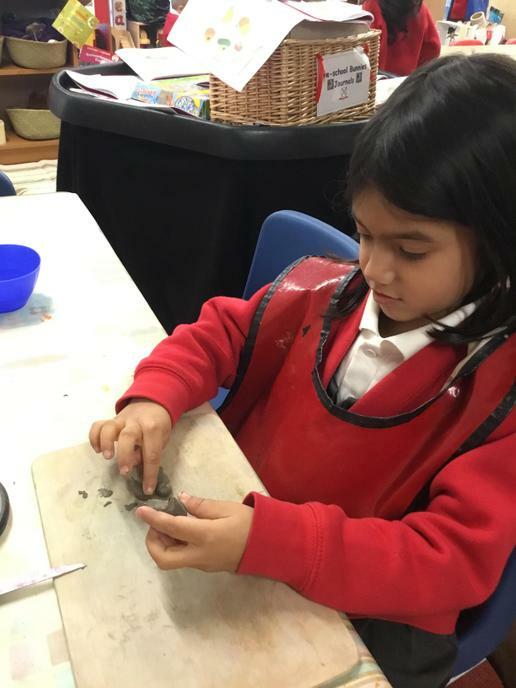 We made clay poppies. 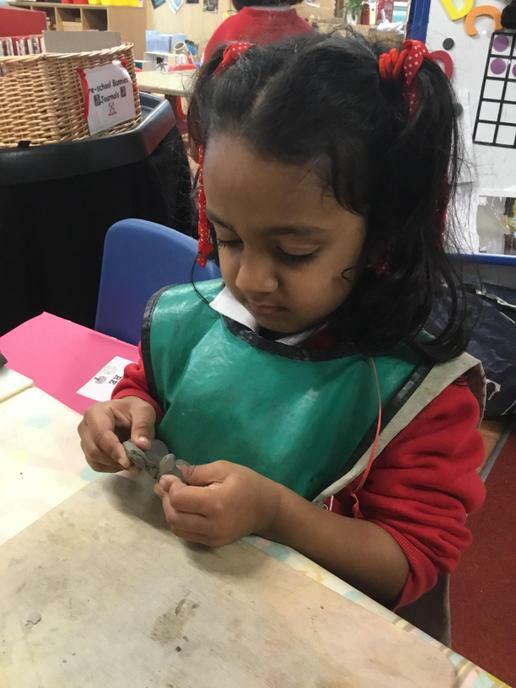 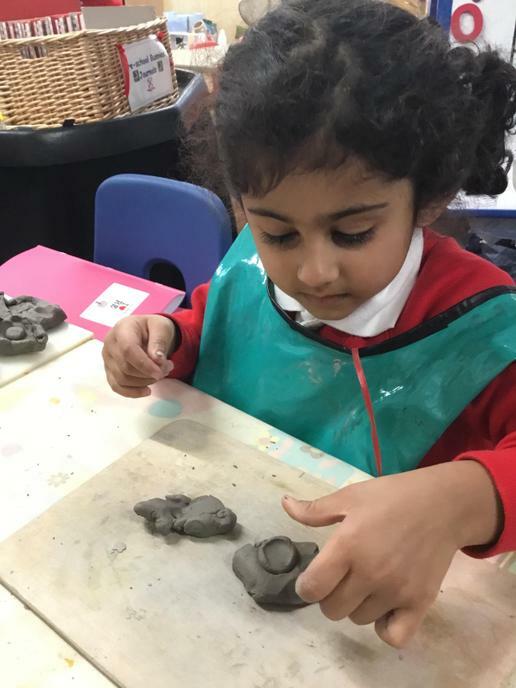 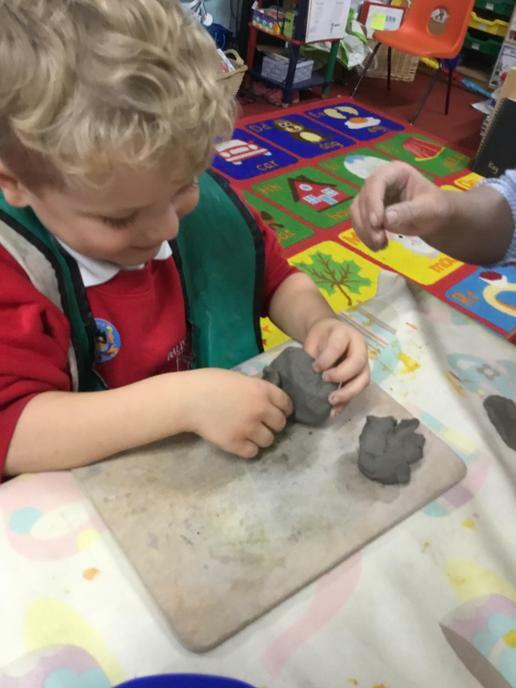 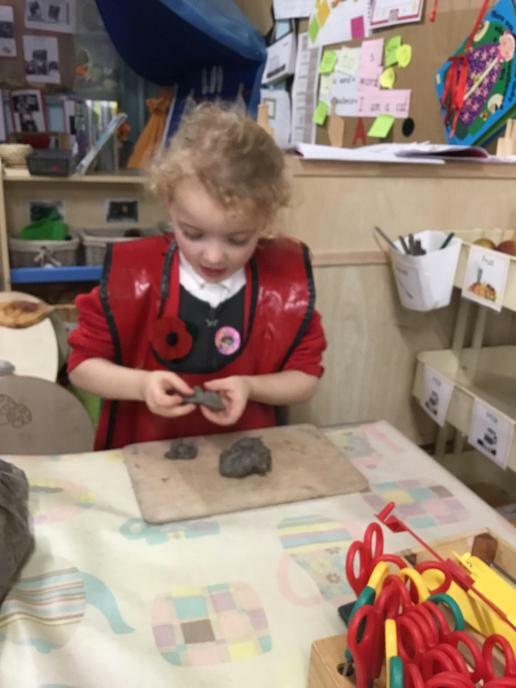 First we had to mould the shape by carefully looking at the details on the poppy. 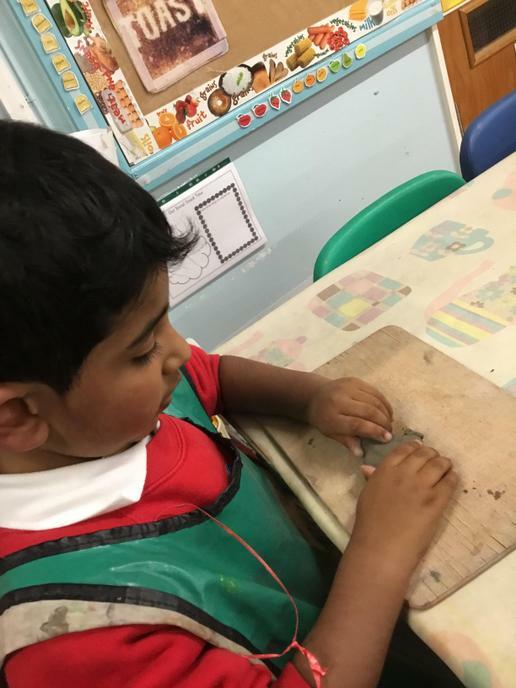 After the clay had dried, we painted our poppy. 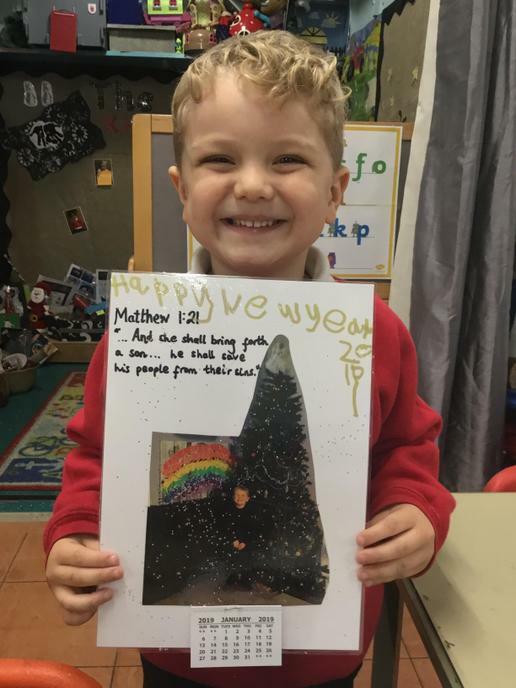 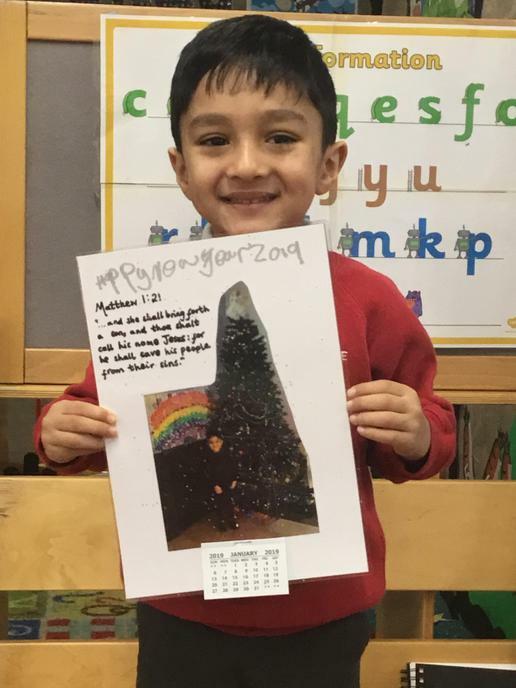 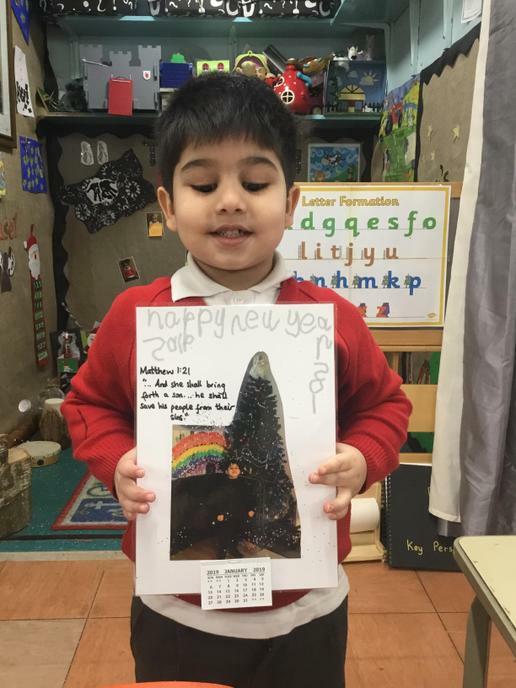 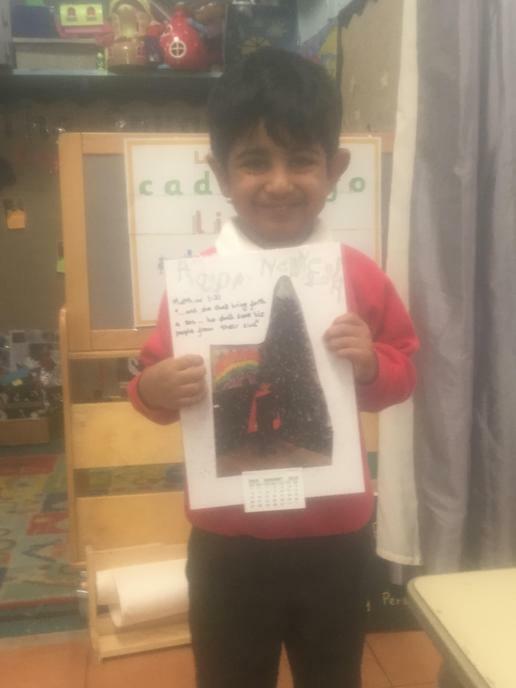 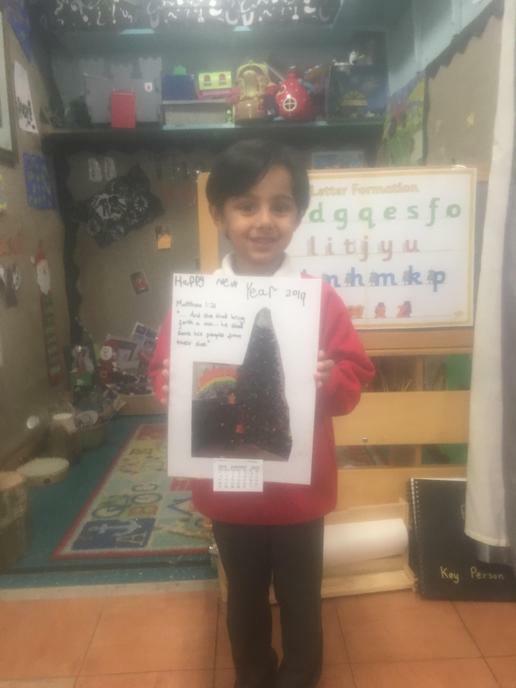 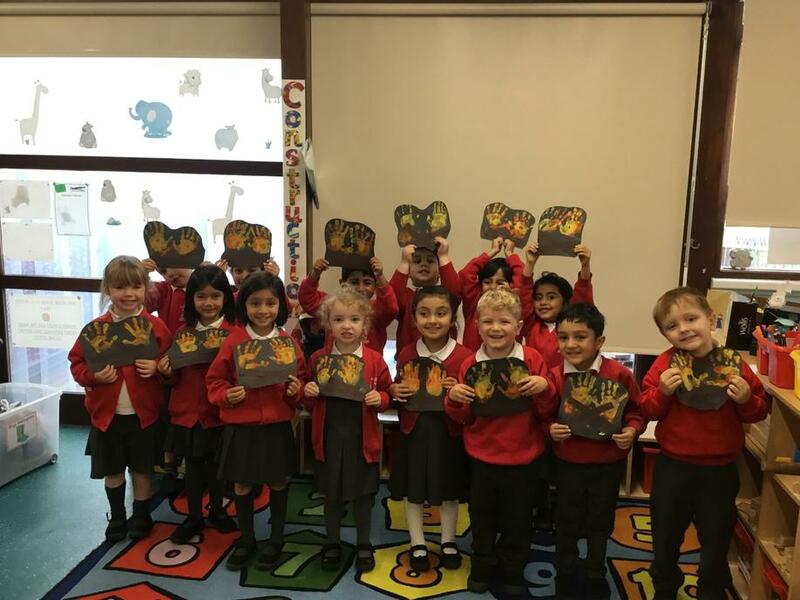 We talked about bonfire night, it’s history, how we celebrate it and our experiences. 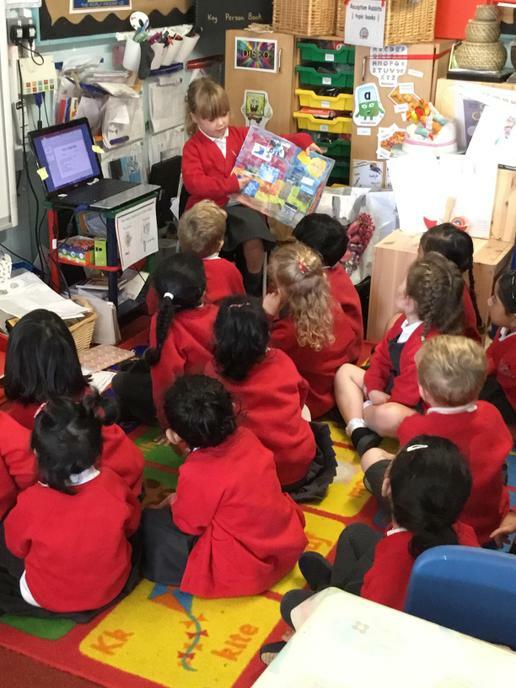 Reading by Mum’s - what a treat! 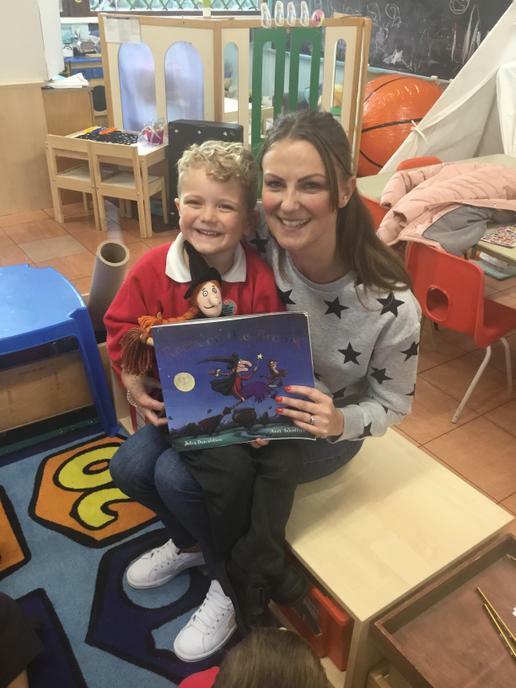 The children have been lucky to hear two of my favourite stories, including ‘Room on the Broom’ & ‘We’re Going On A Bearhunt’, read to them by two of our parents. 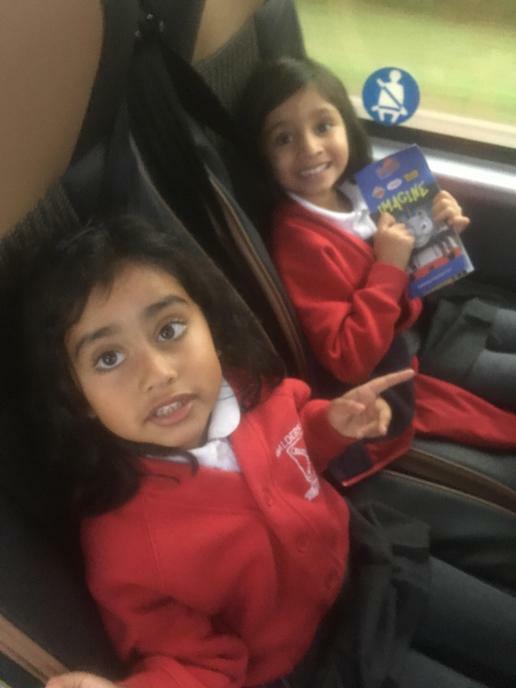 We all whoooshed off & we will be going on a book hunt again! 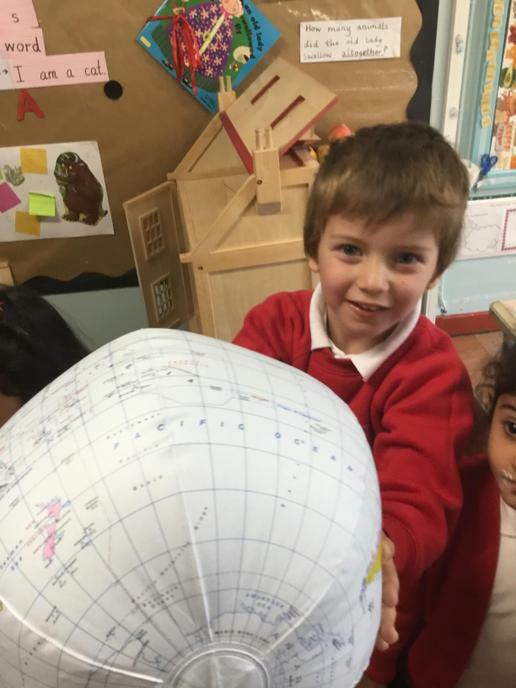 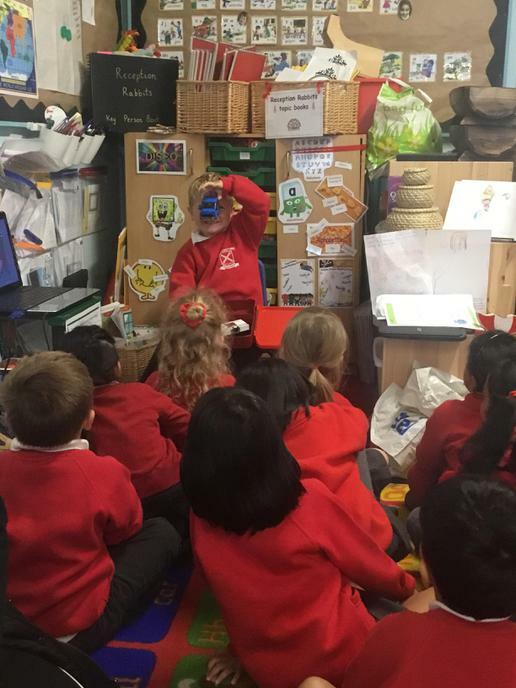 We heard about some more brilliant swimming in our class Show and Tell today. 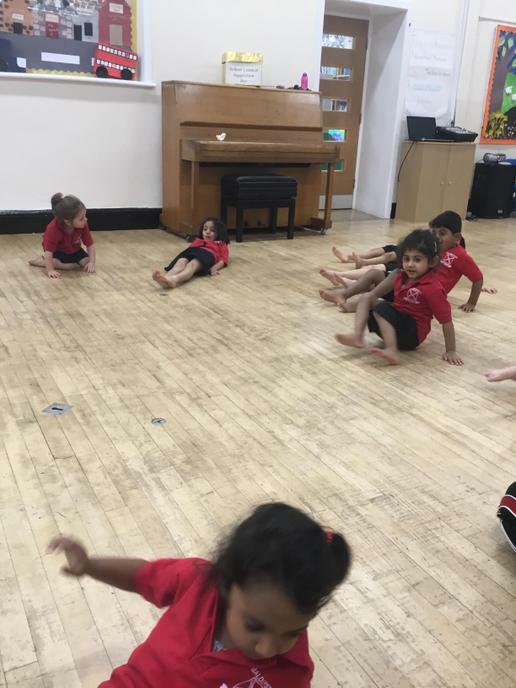 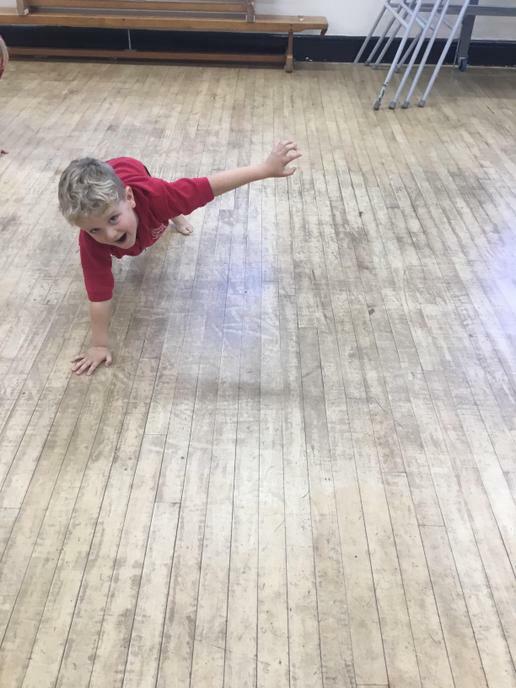 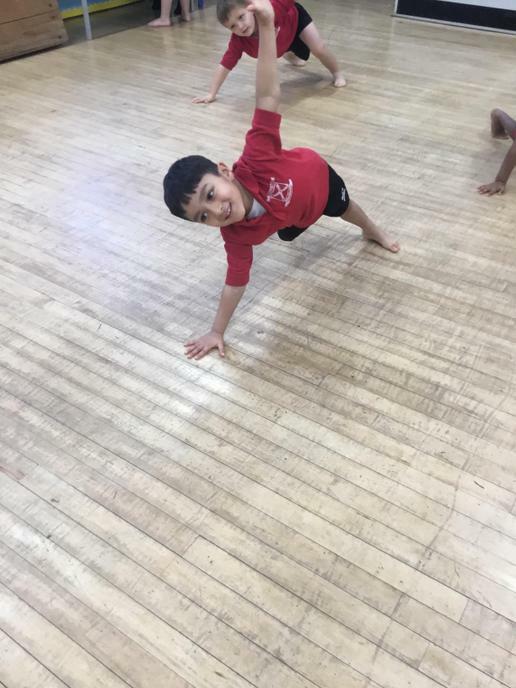 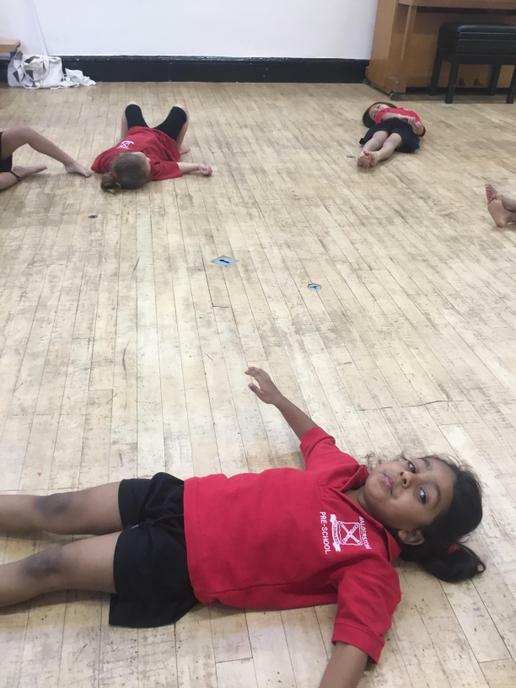 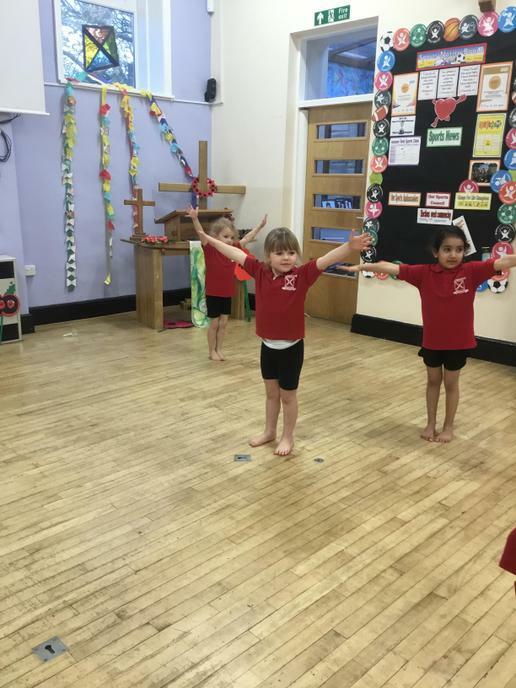 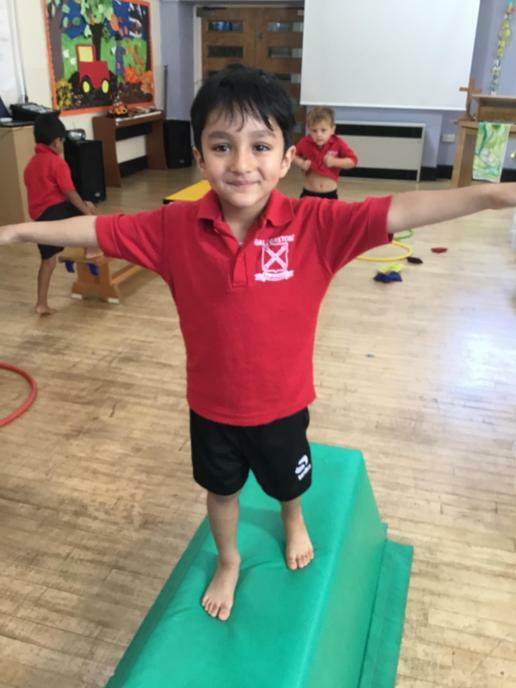 We found out what you need to do to achieve your 5m swimming certificate. 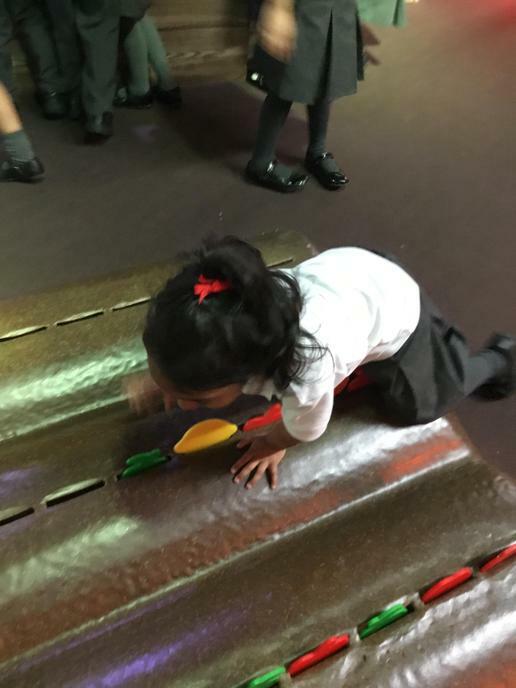 It sounds tricky! 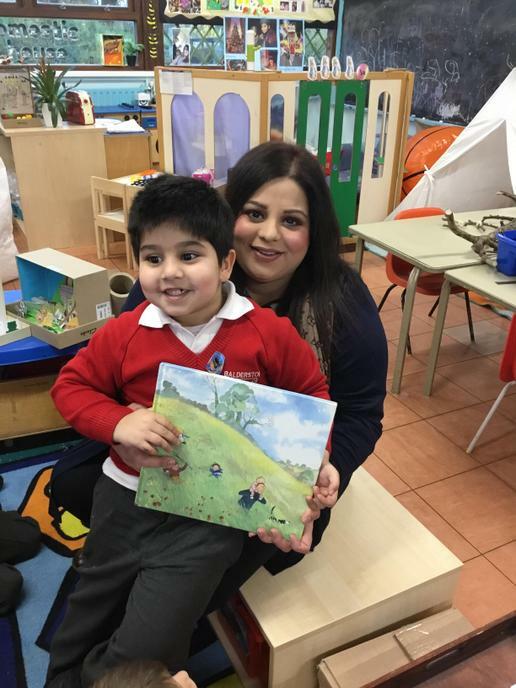 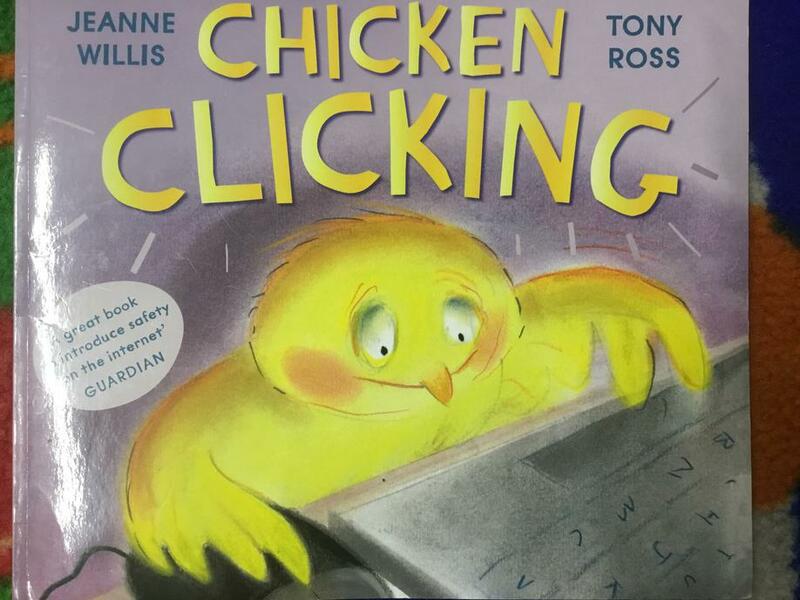 Our first week back started with two Mum’s reading some lovely stories. 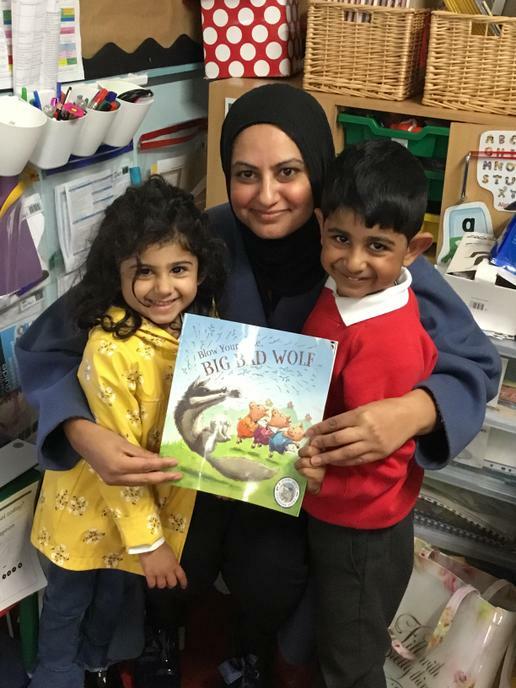 The children are always even more excited to have a grown up from home come to read a story than one of the teachers! 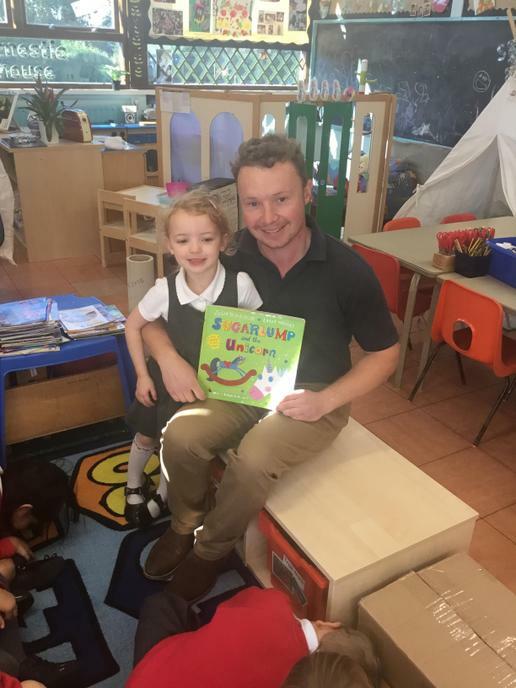 Thanks to our second Dad who came to read in class. 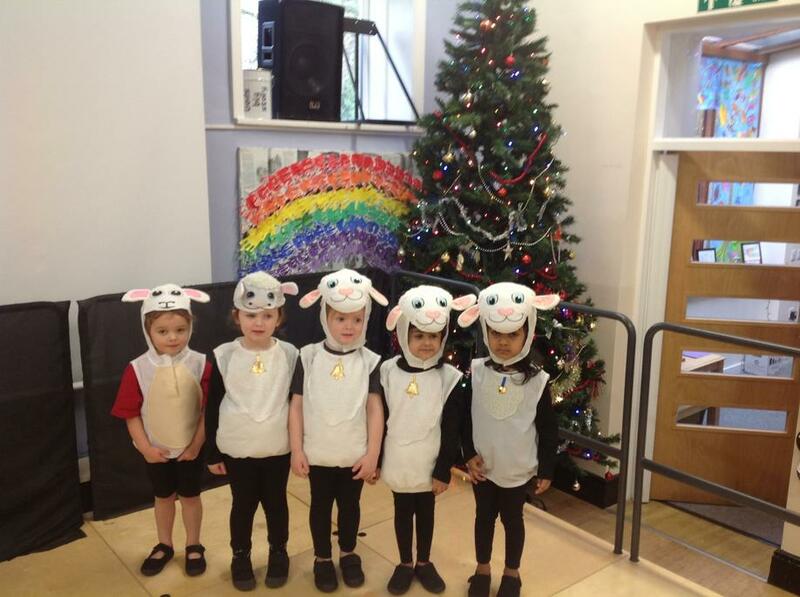 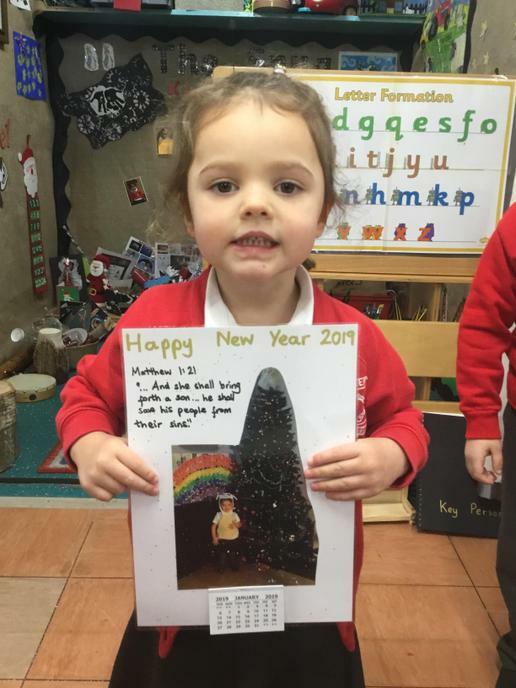 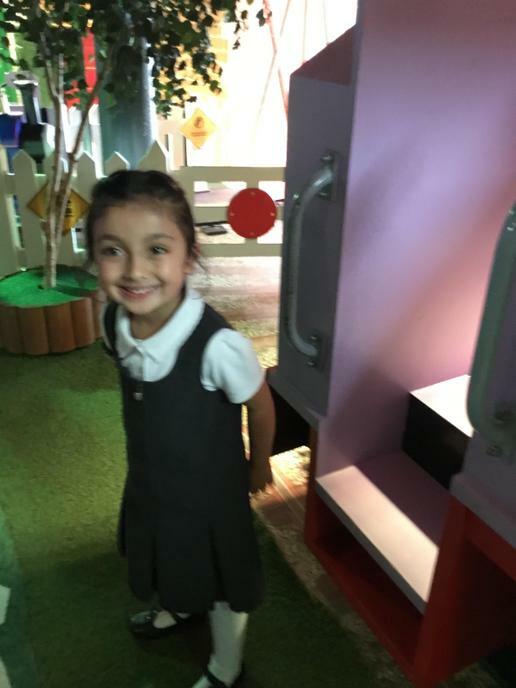 The children loved the story and we have got the unicorns in our small world area! 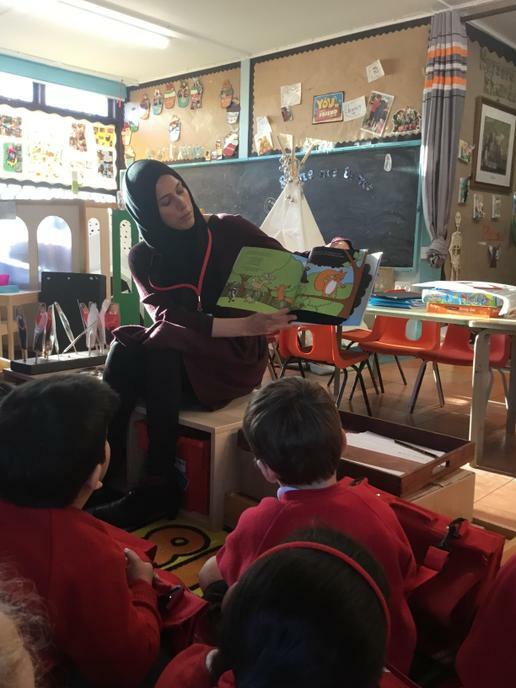 Another day, another Mummy coming to read. 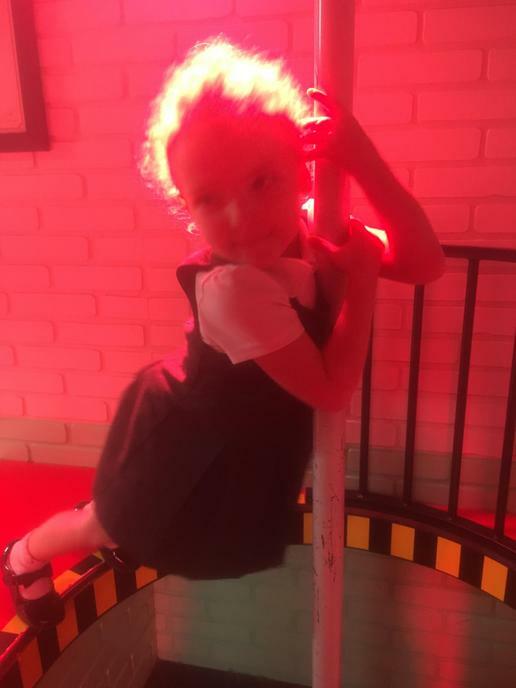 However, it was no ordinary day, it was a special day for this little girl who turned 5 as well today! 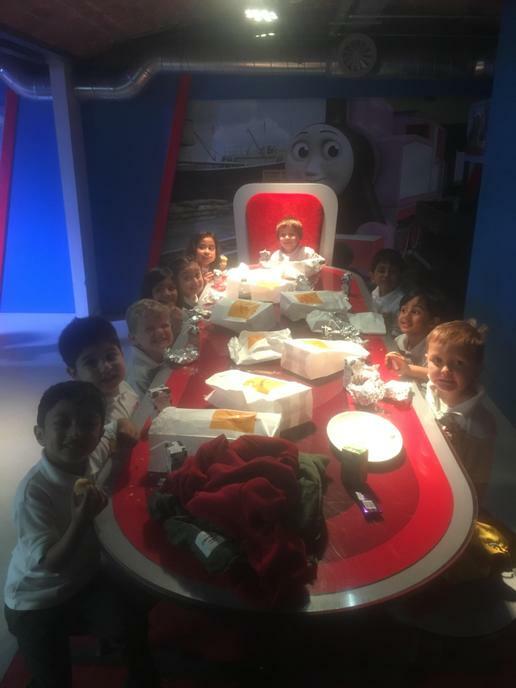 What a good end to our windy Friday. 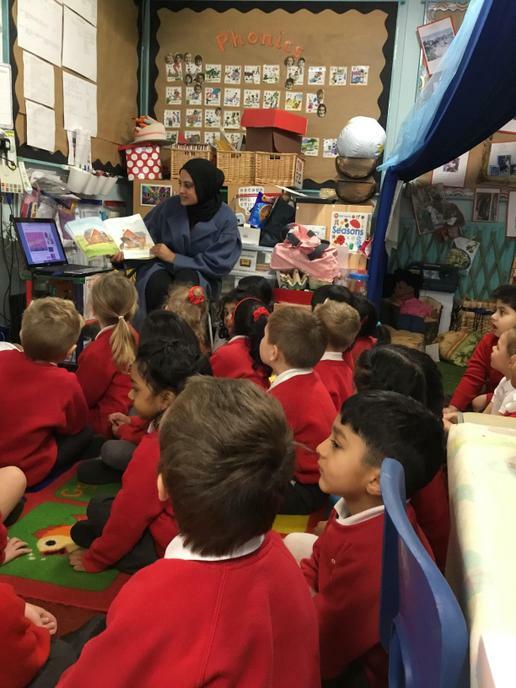 Instead of Miss M and I reading, we were lucky enough to have another Mummy read our end of the day story. 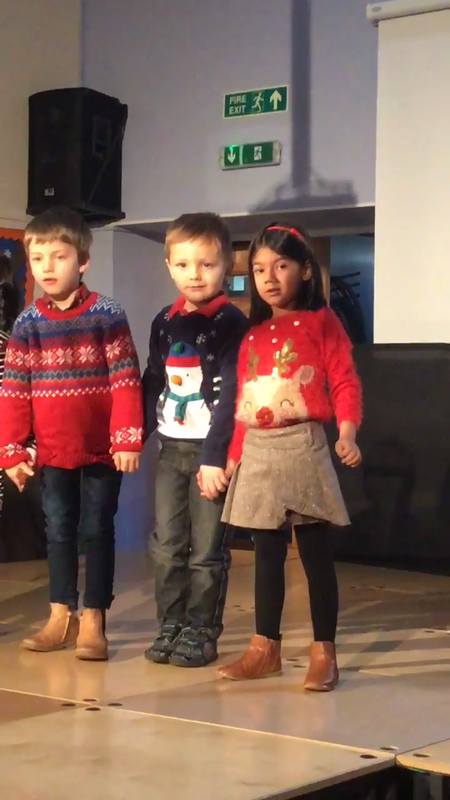 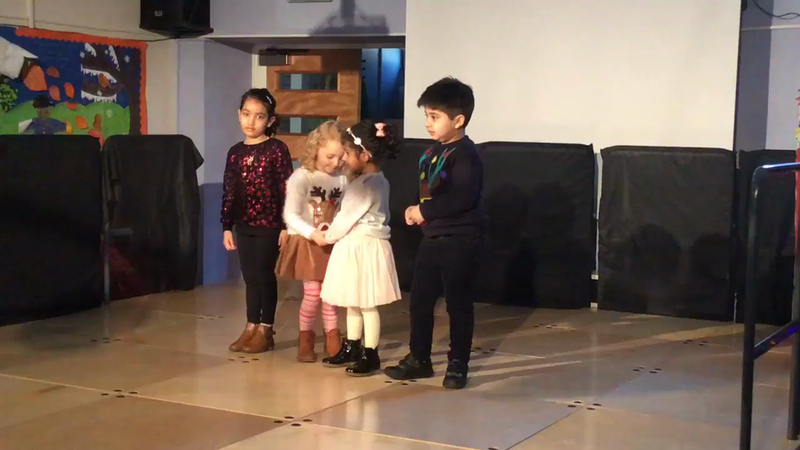 They enjoyed joining in with the song in ‘The Ugly Five’. 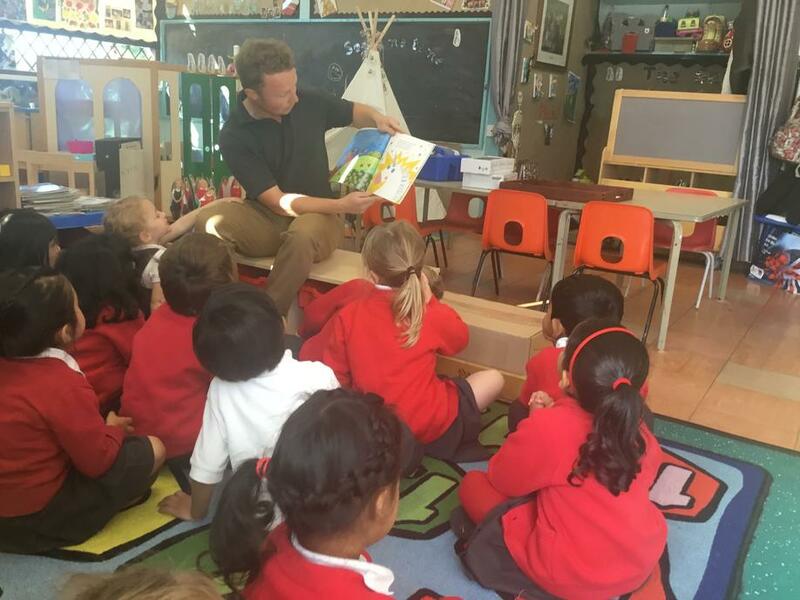 Our first Daddy came to read in our class today. 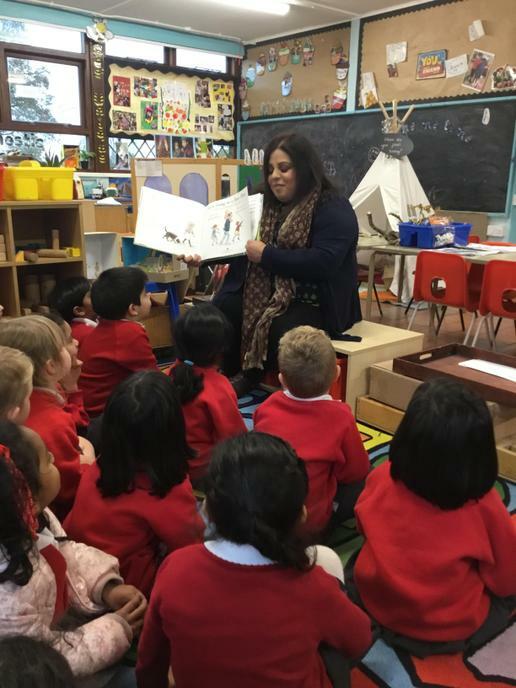 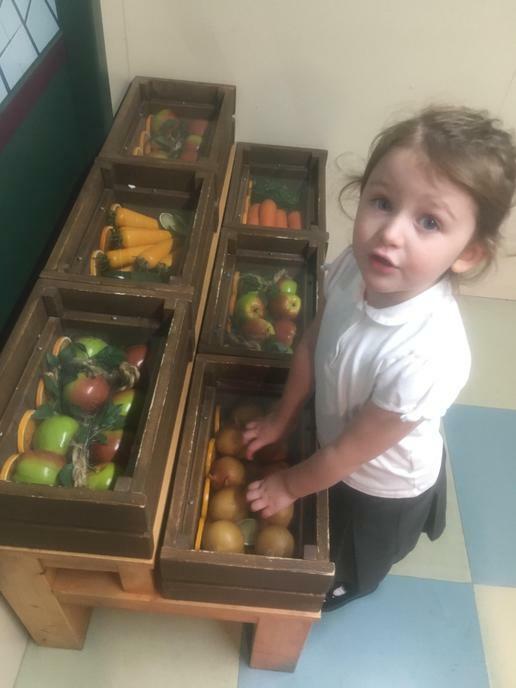 A very surprised little girl was happy to see him arrive with the story ‘A squash and a squeeze’ and all the children loved listening to him read the story. 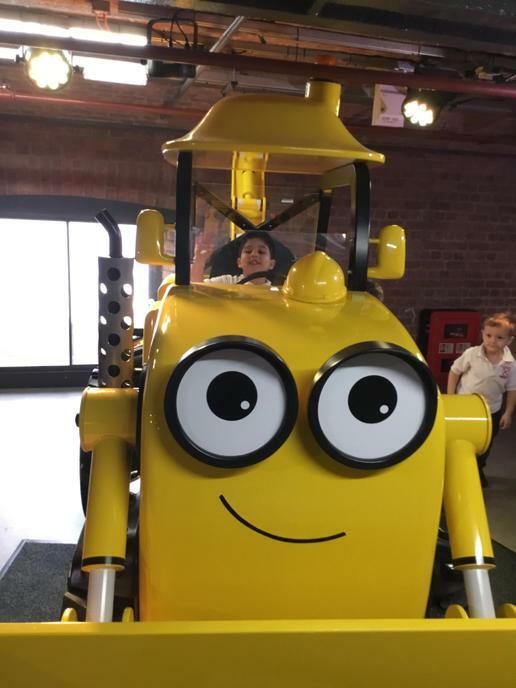 Unfortunately, we had no tractor stickers so he had to settle for a racing car! 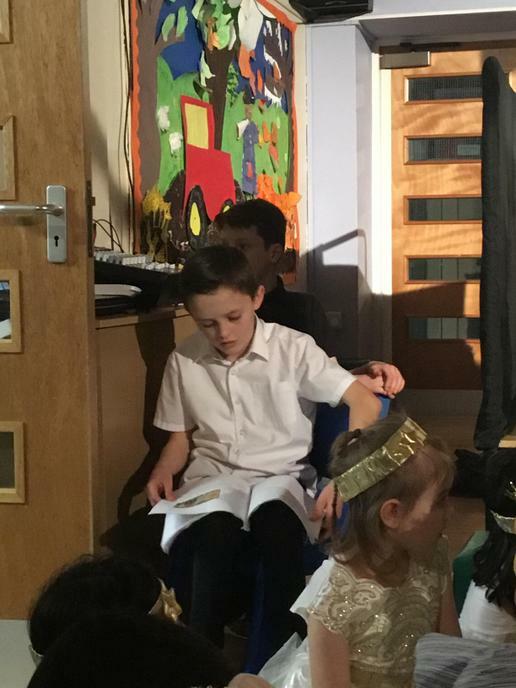 Thank you Mr B - professional storytelling may one day be on the cards! 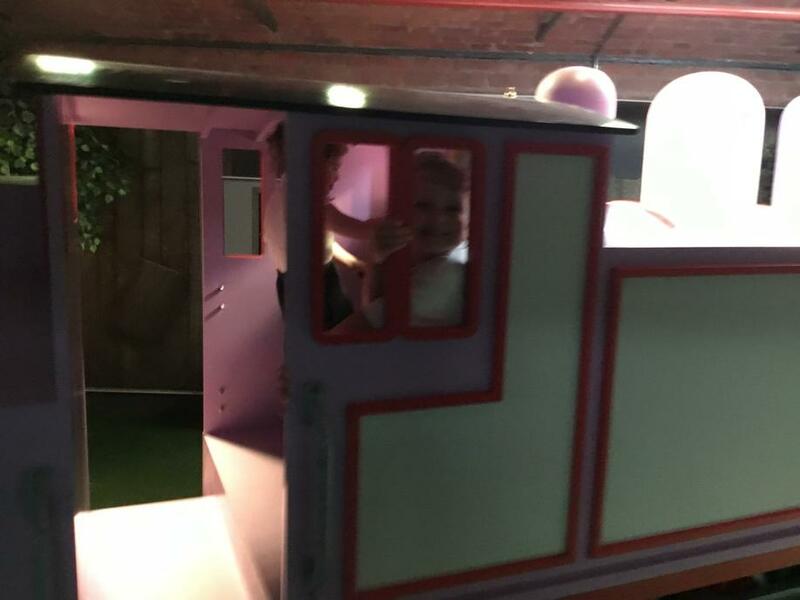 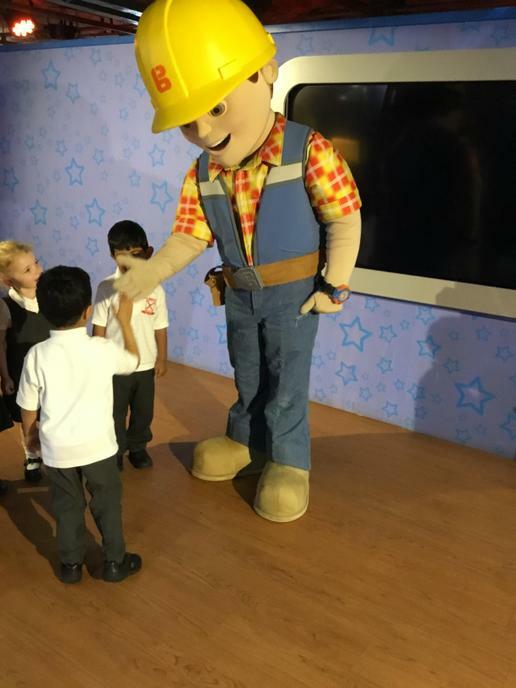 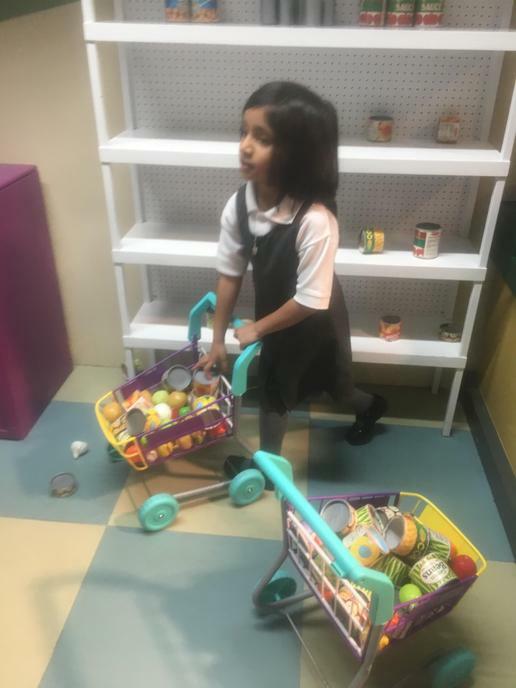 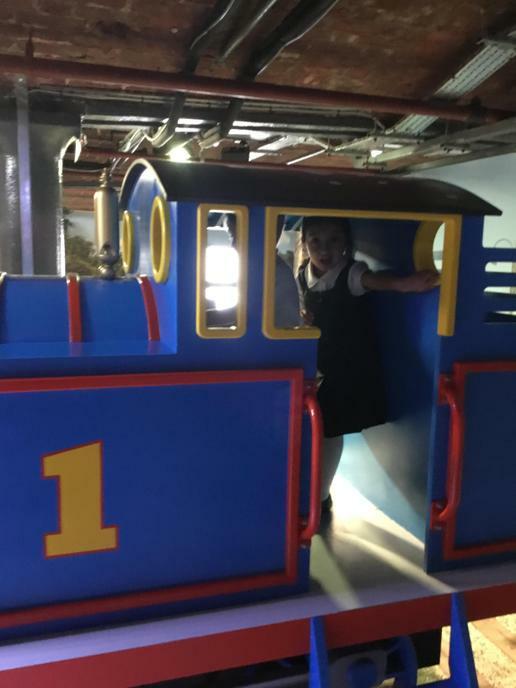 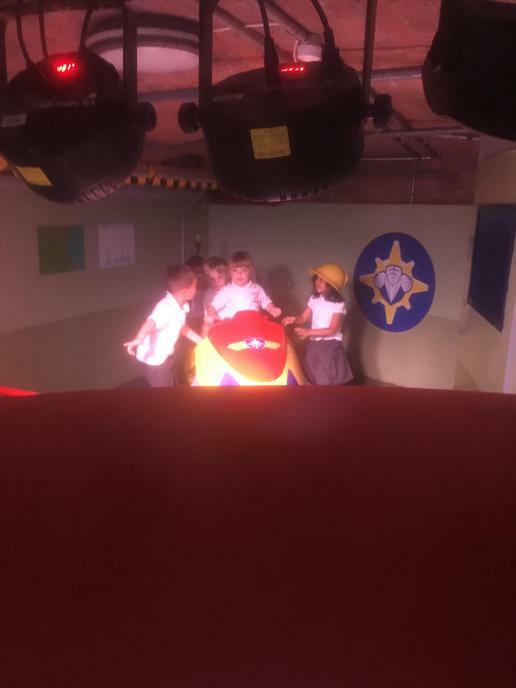 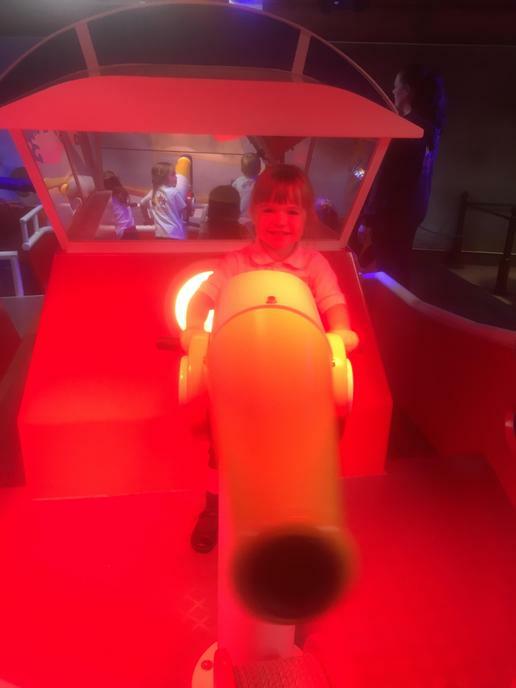 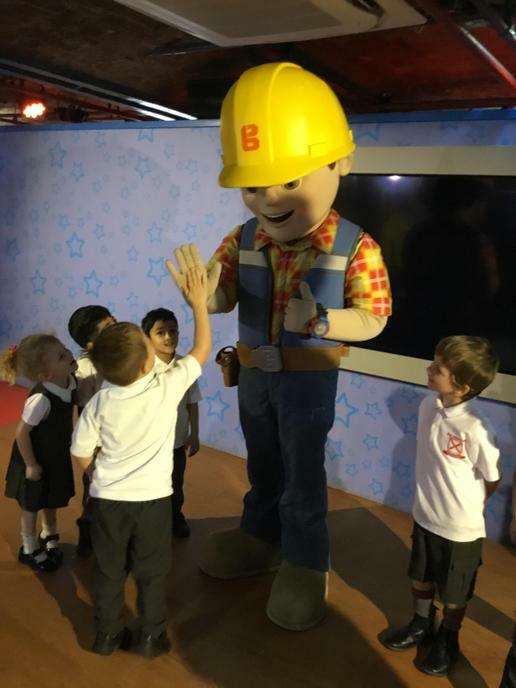 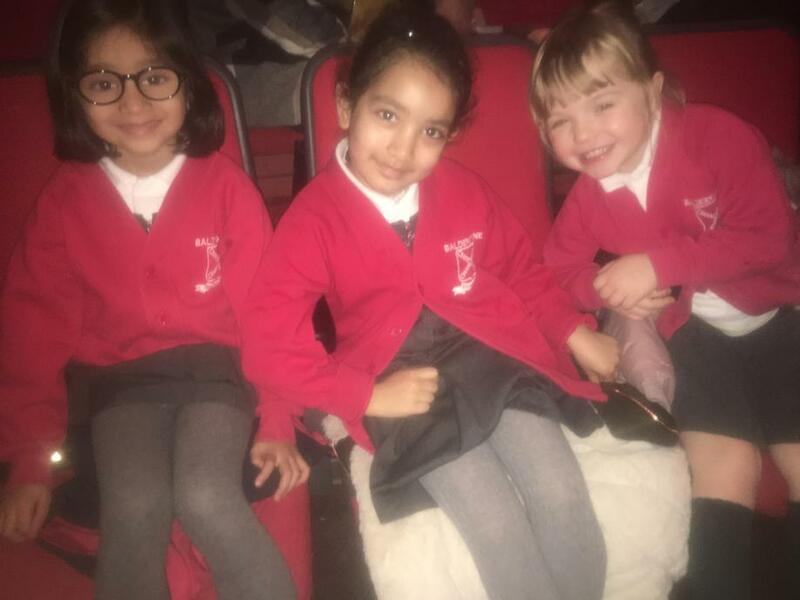 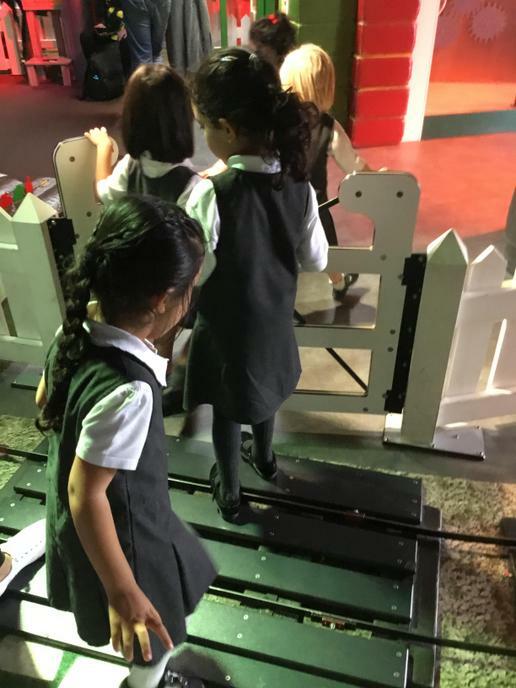 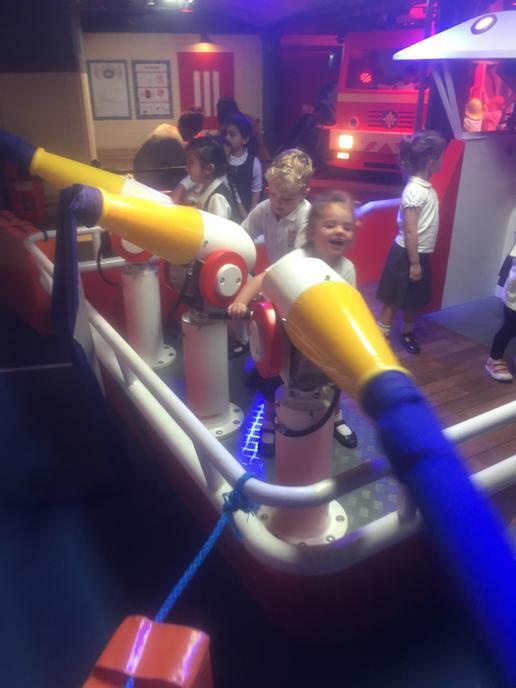 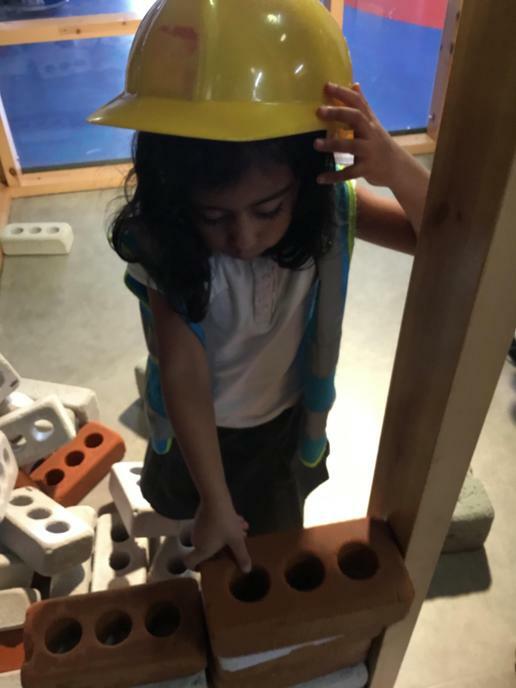 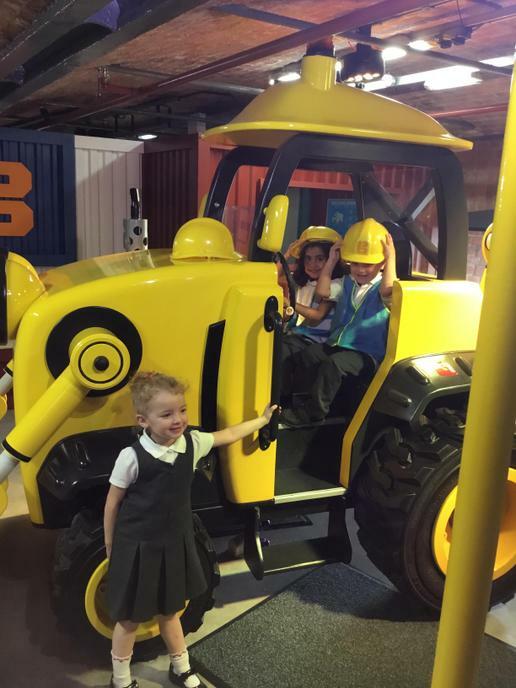 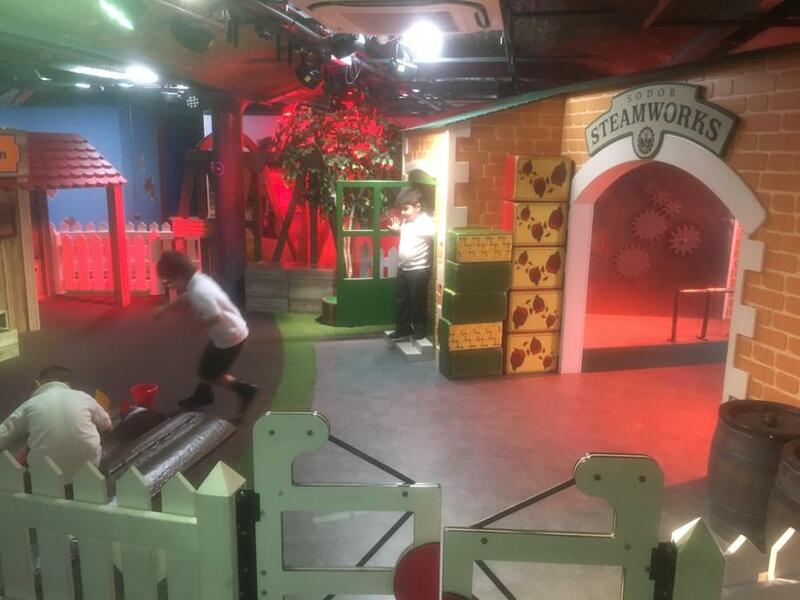 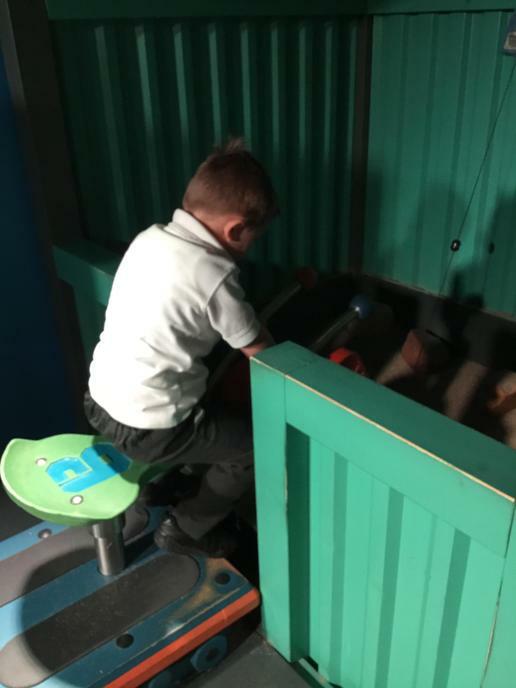 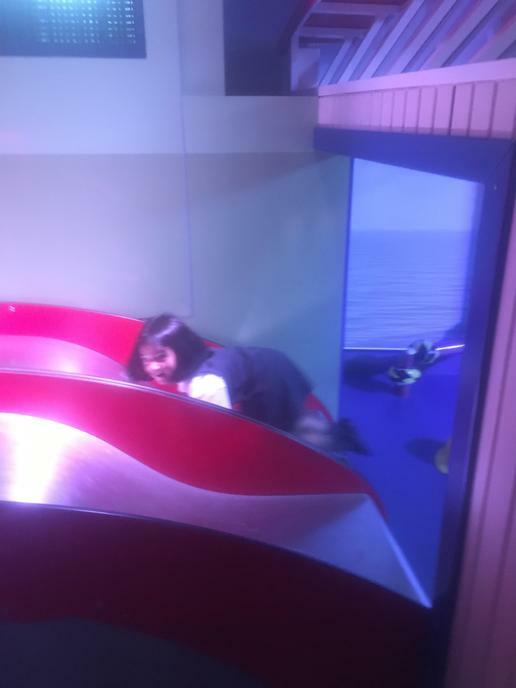 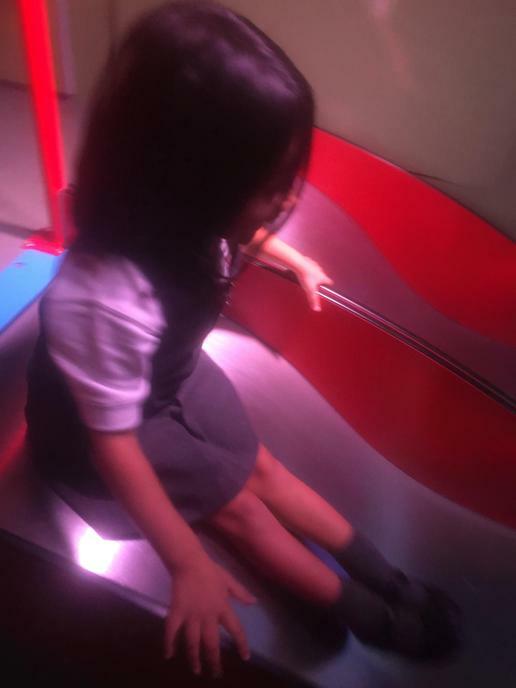 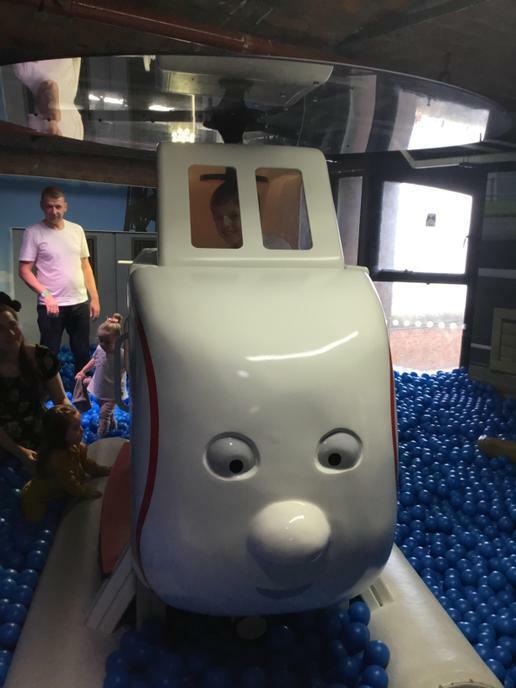 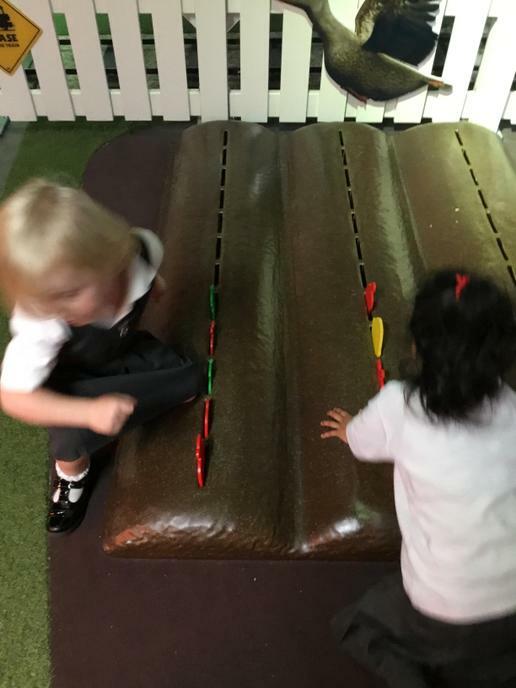 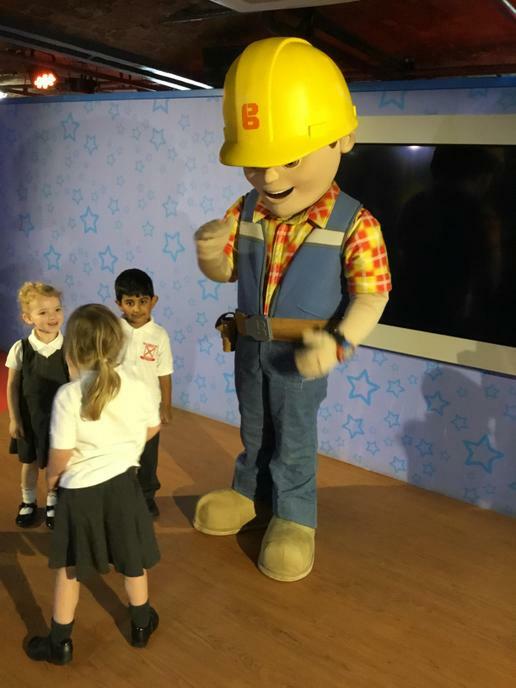 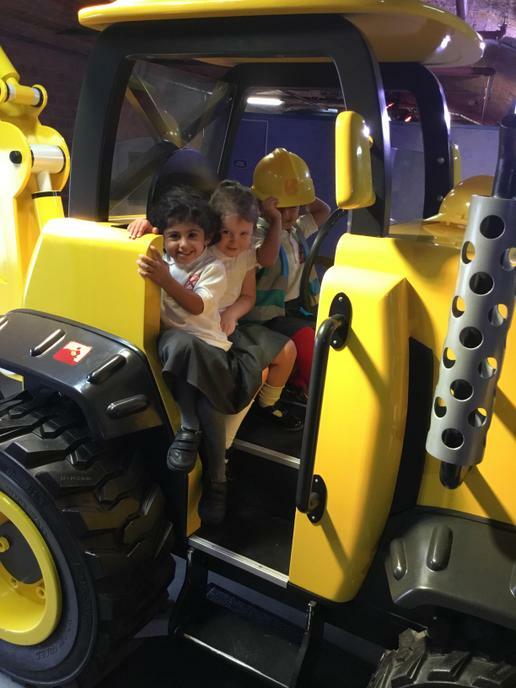 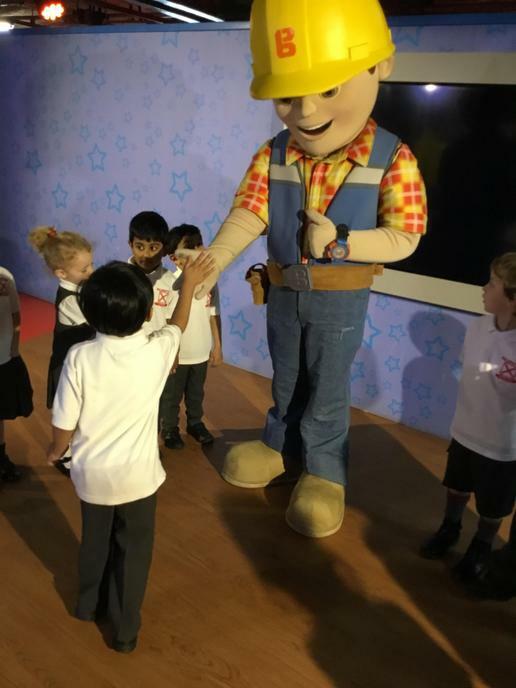 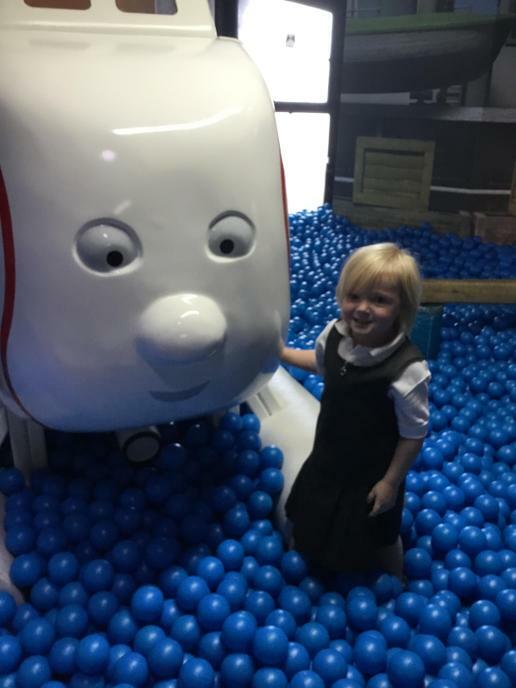 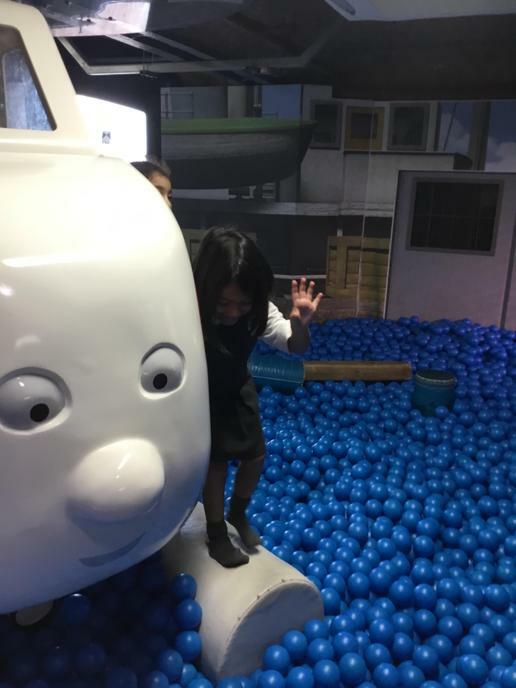 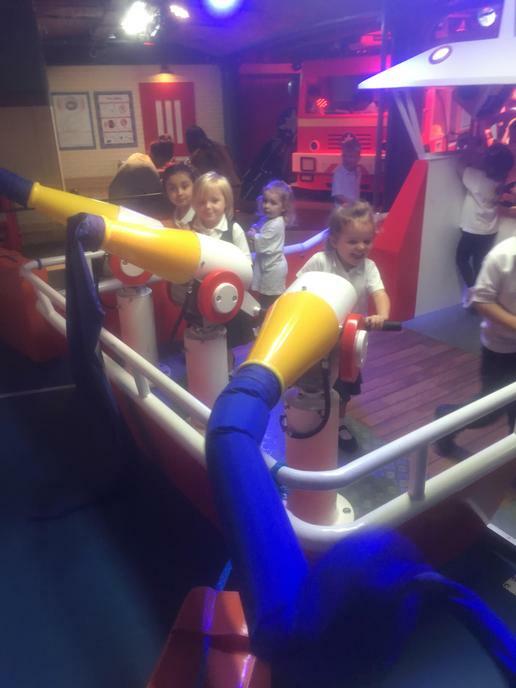 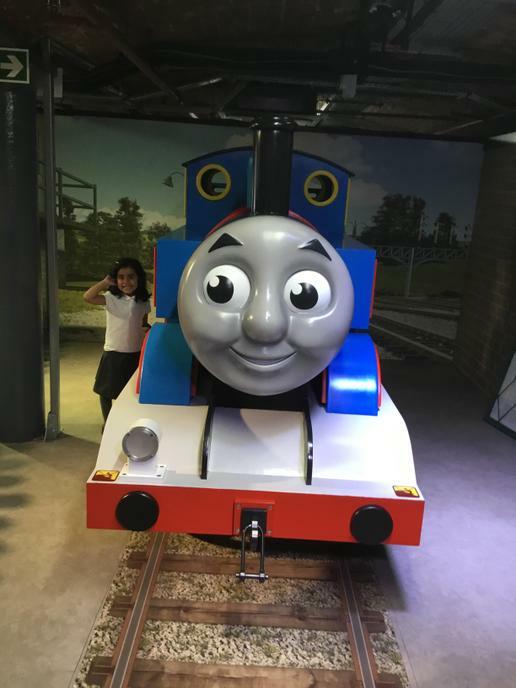 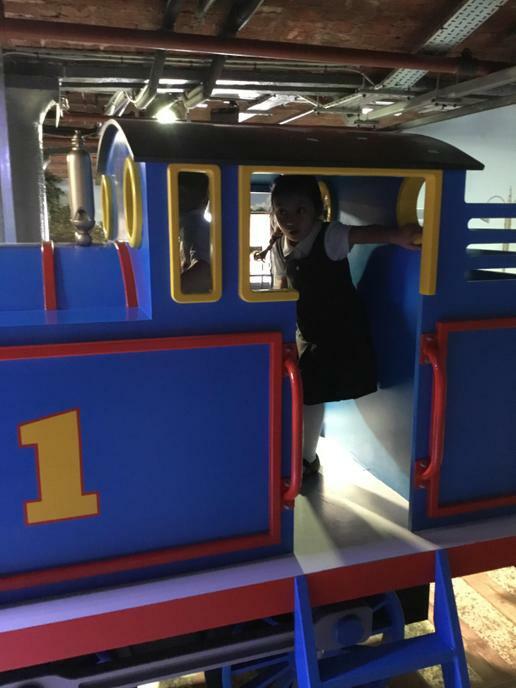 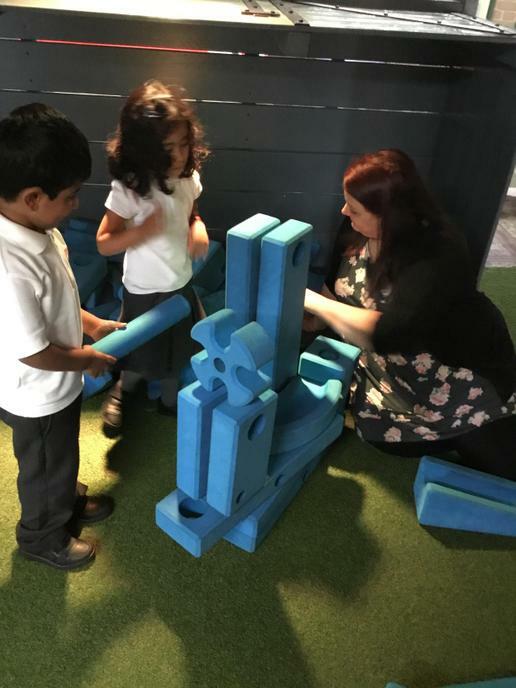 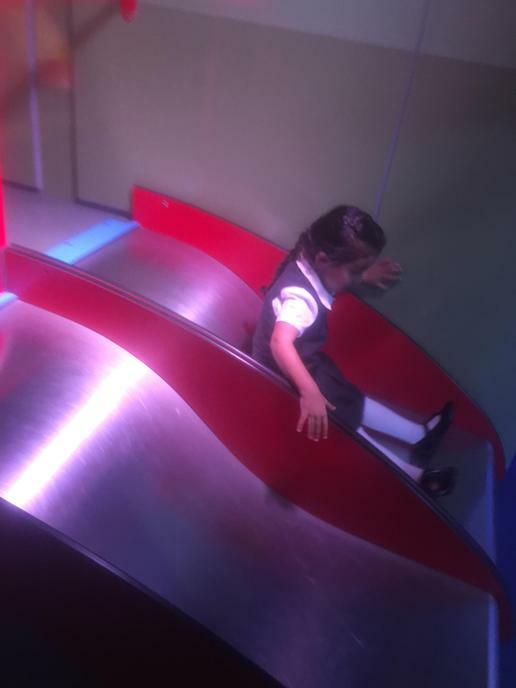 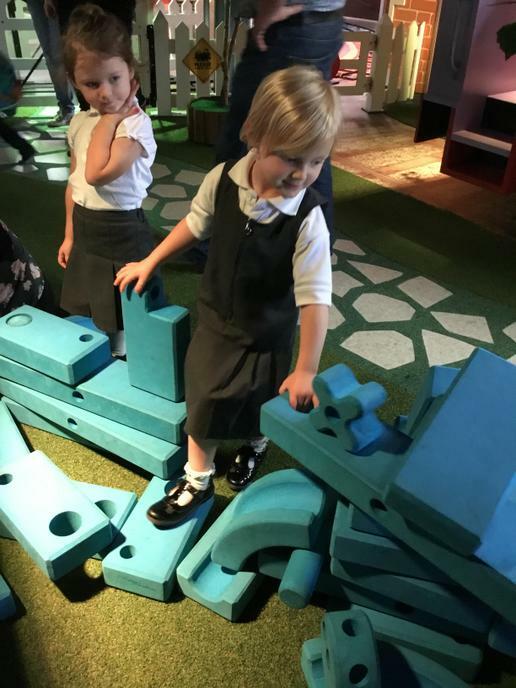 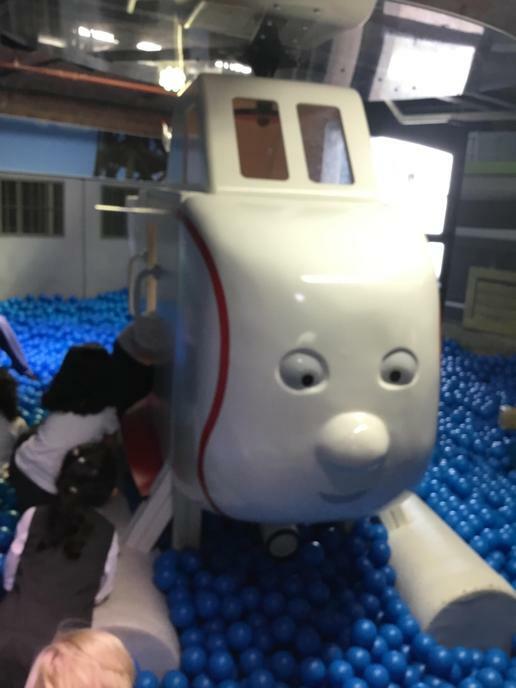 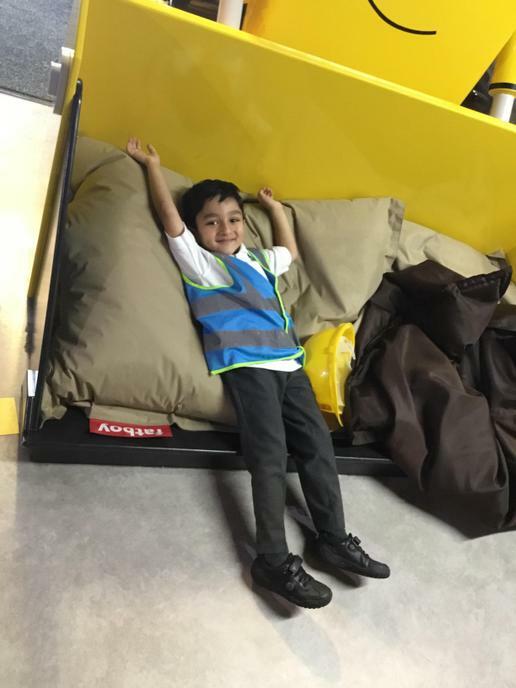 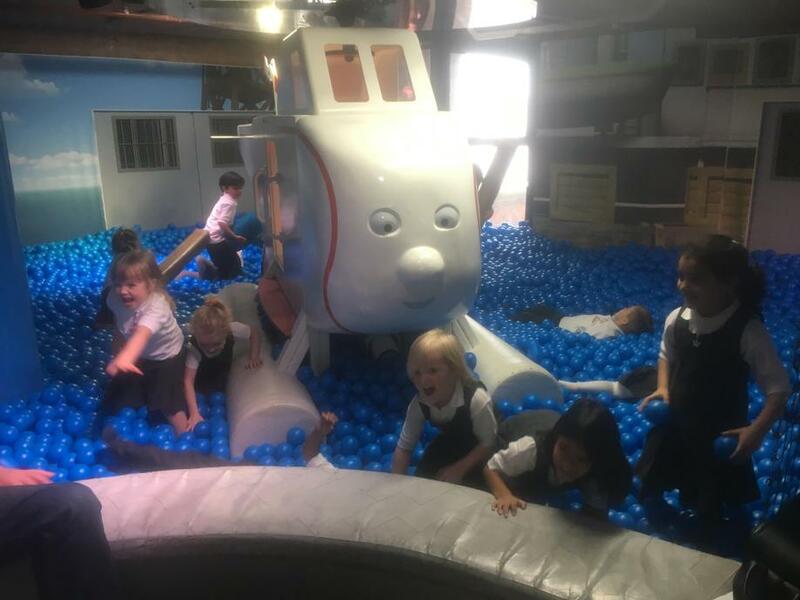 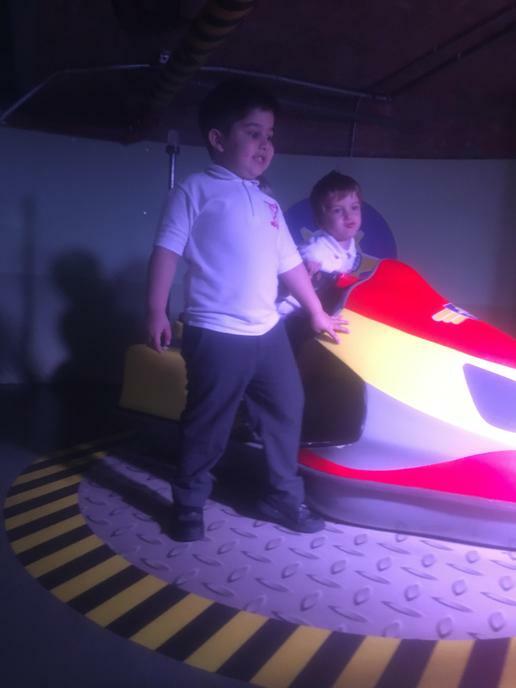 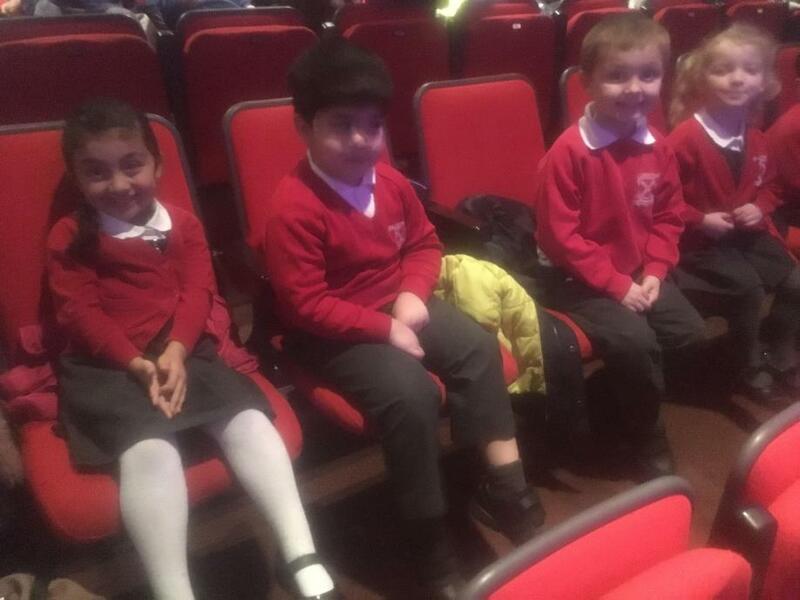 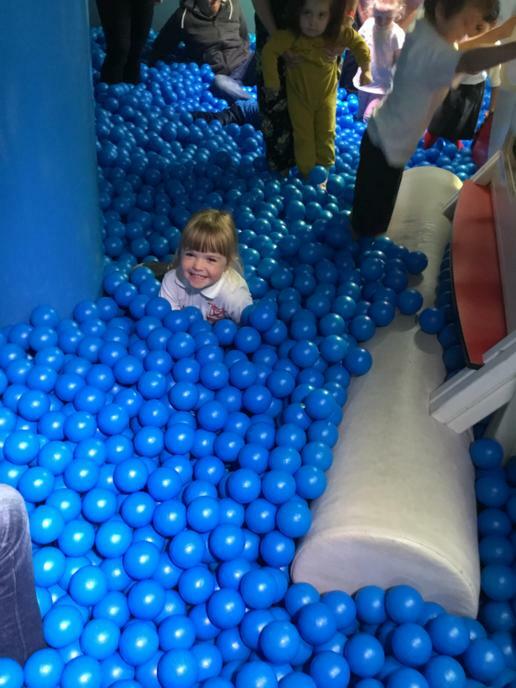 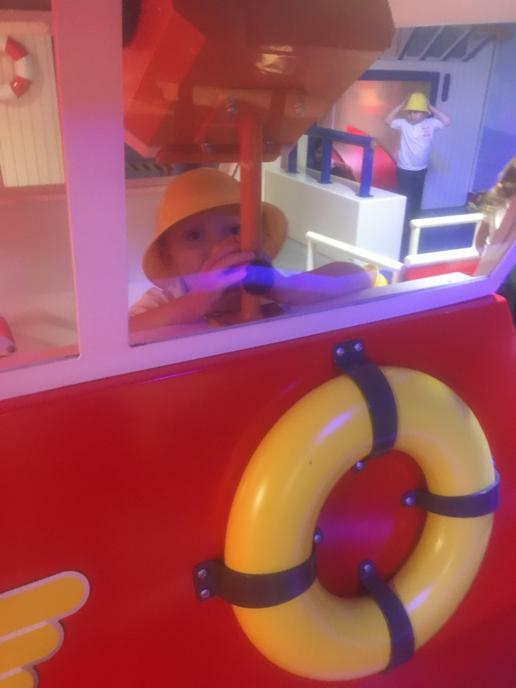 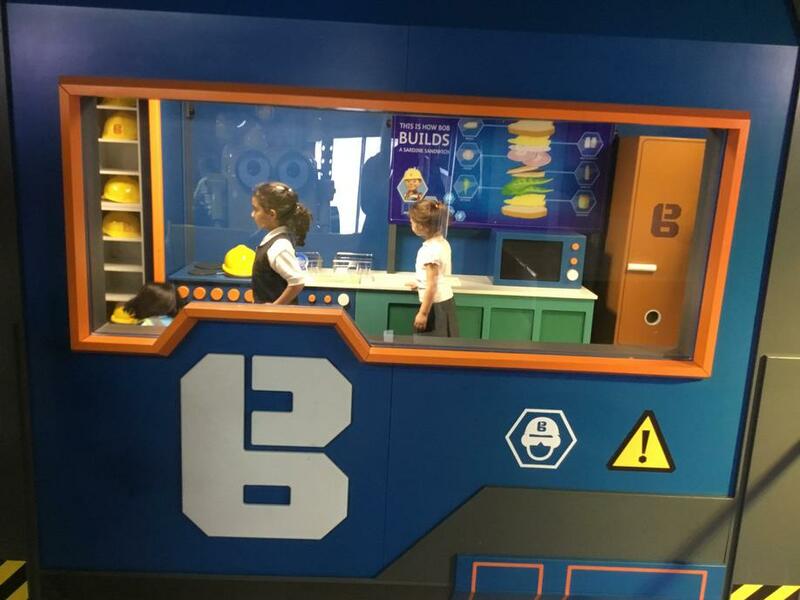 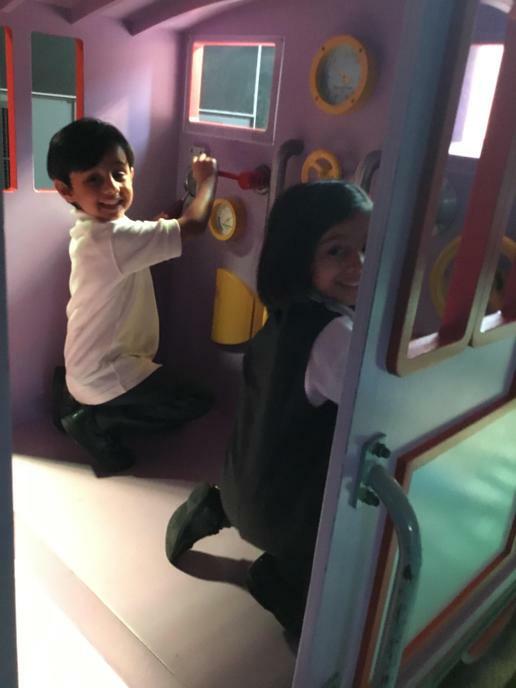 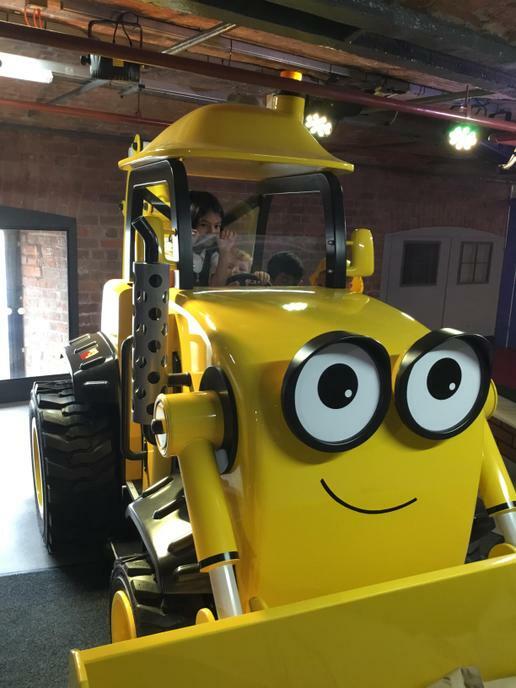 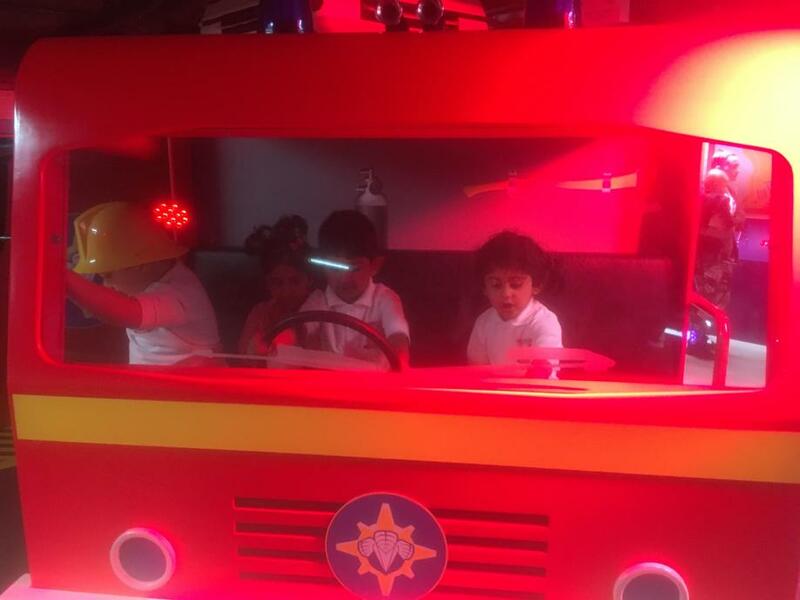 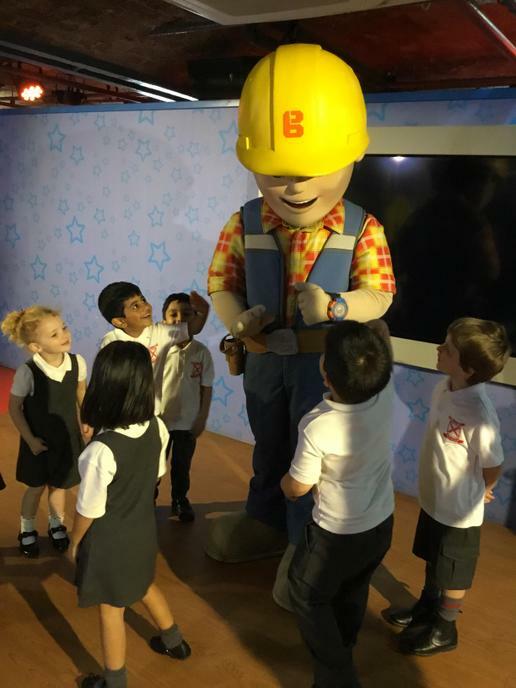 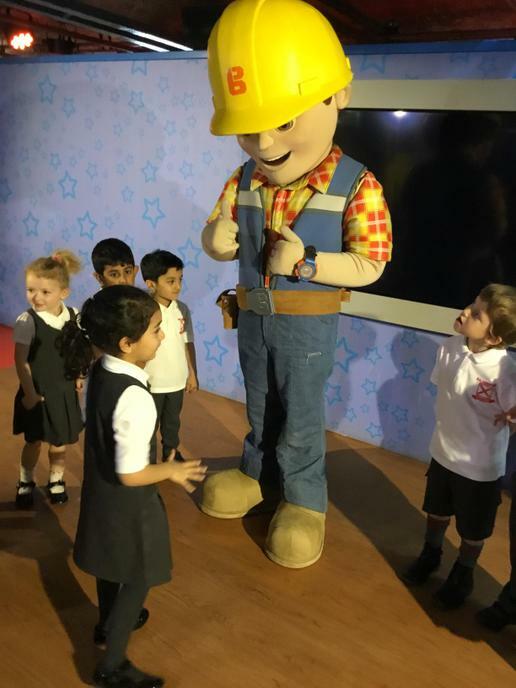 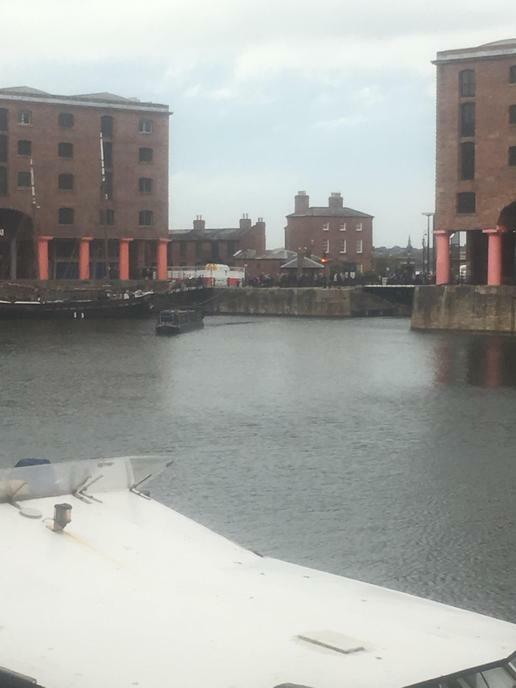 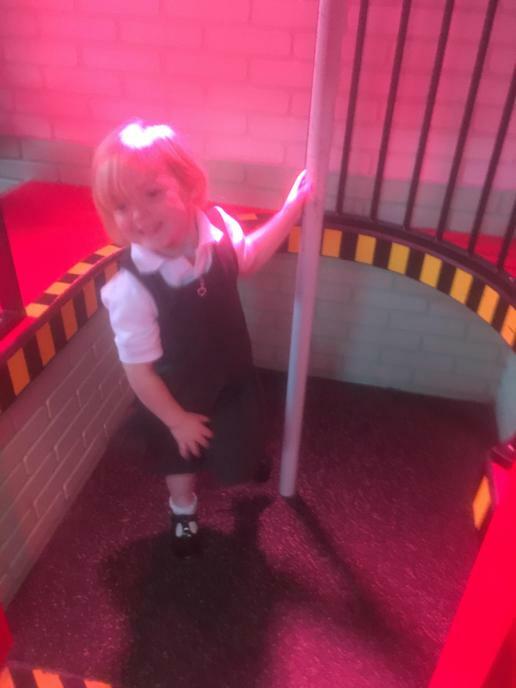 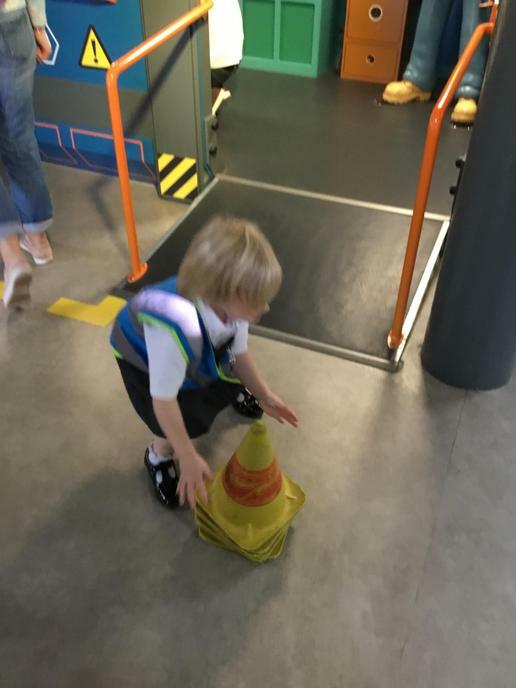 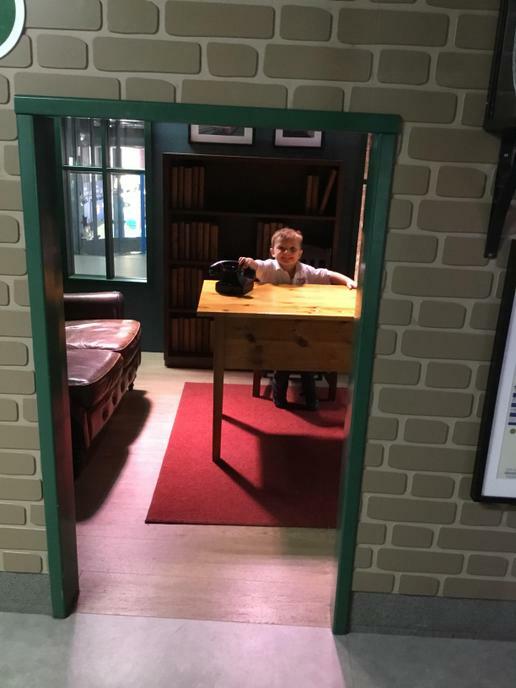 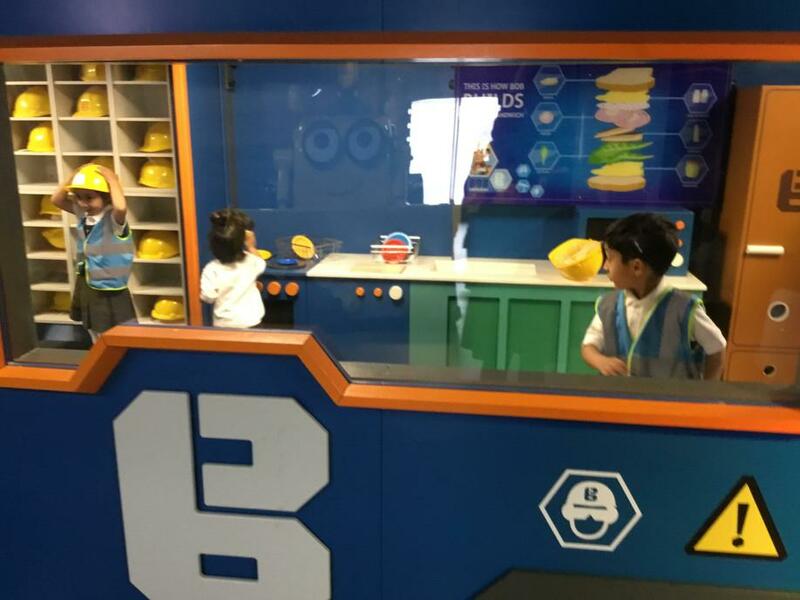 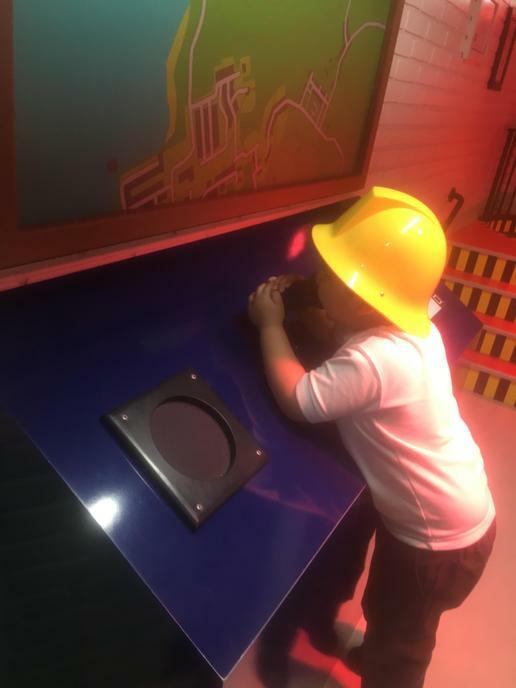 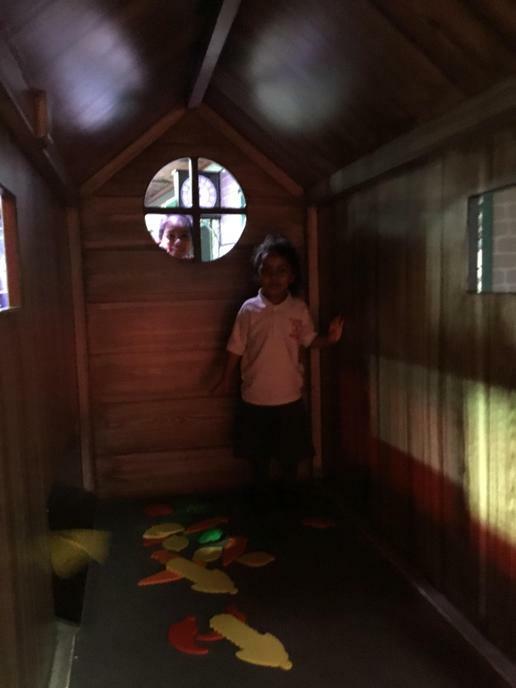 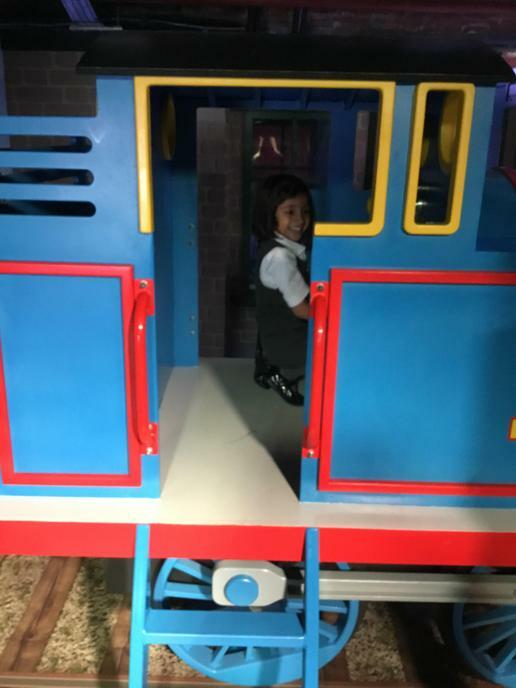 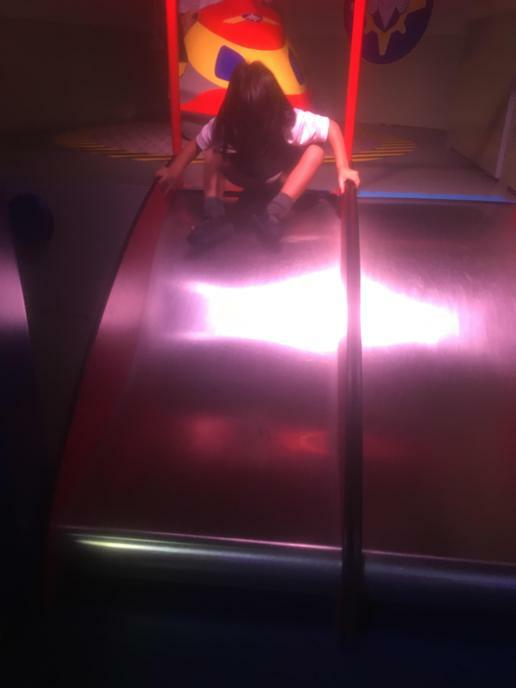 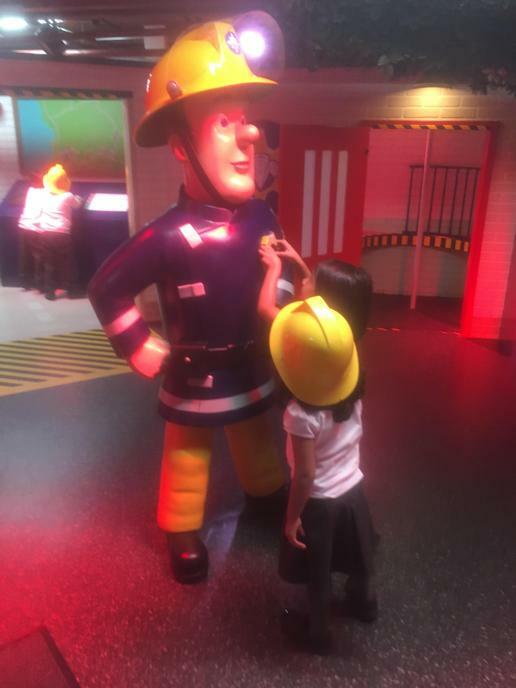 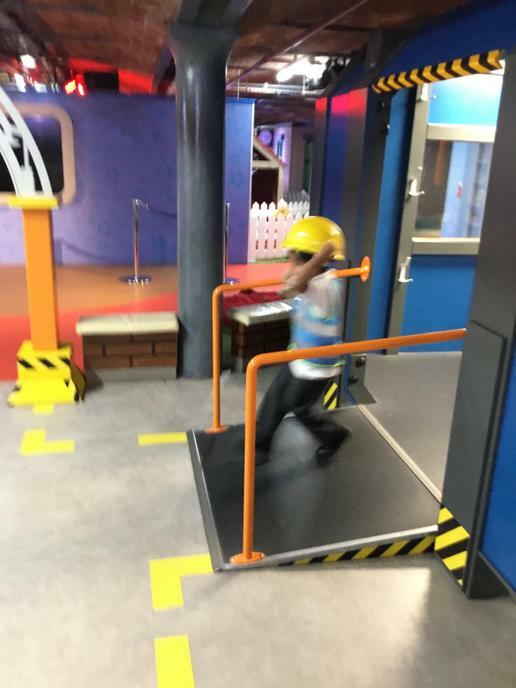 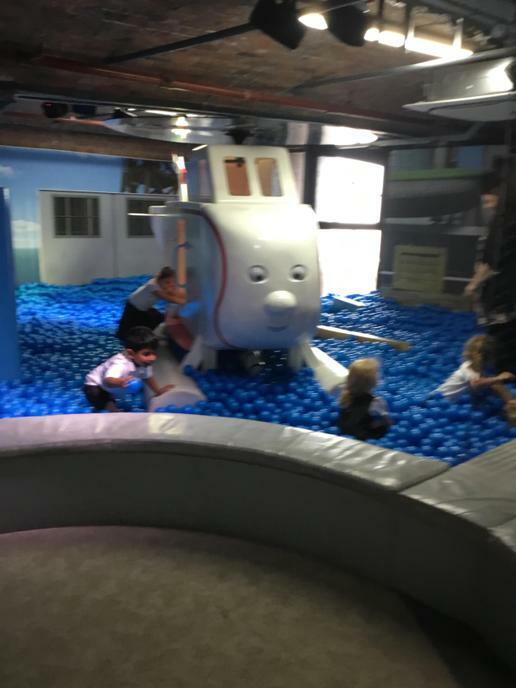 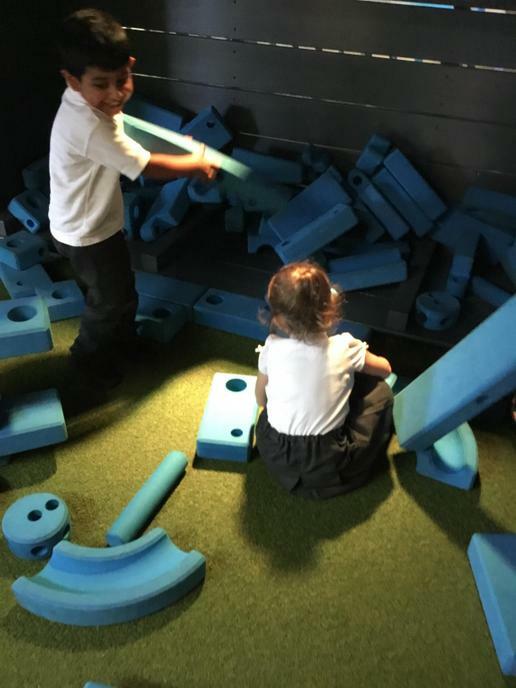 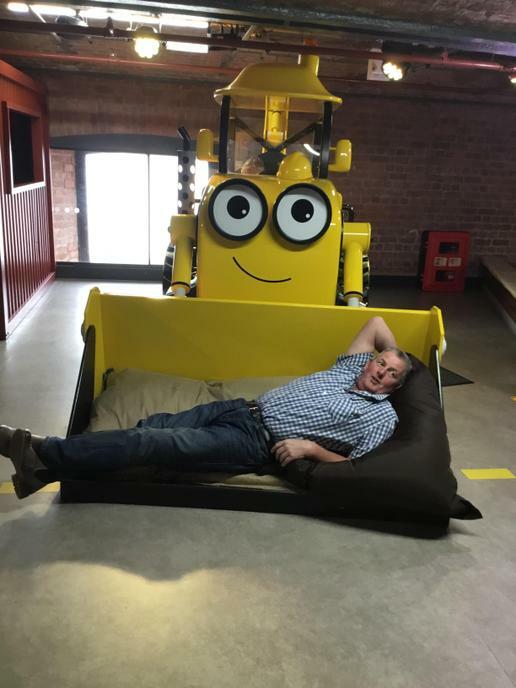 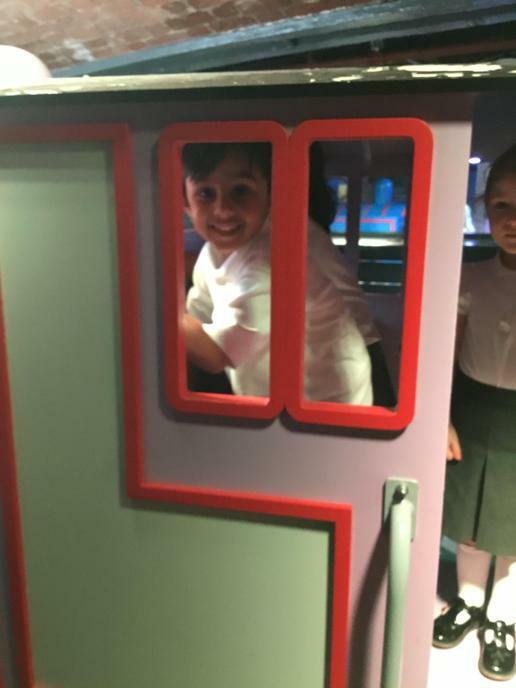 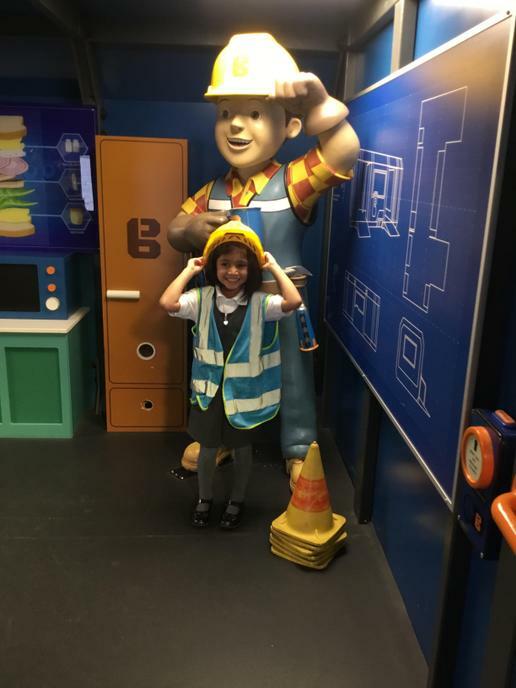 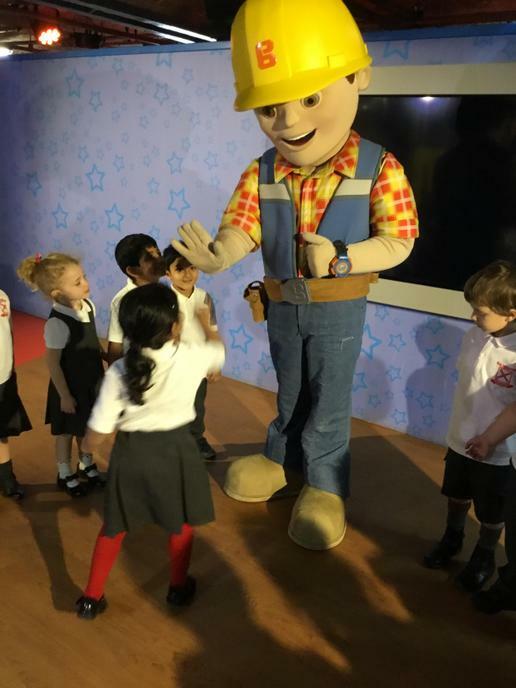 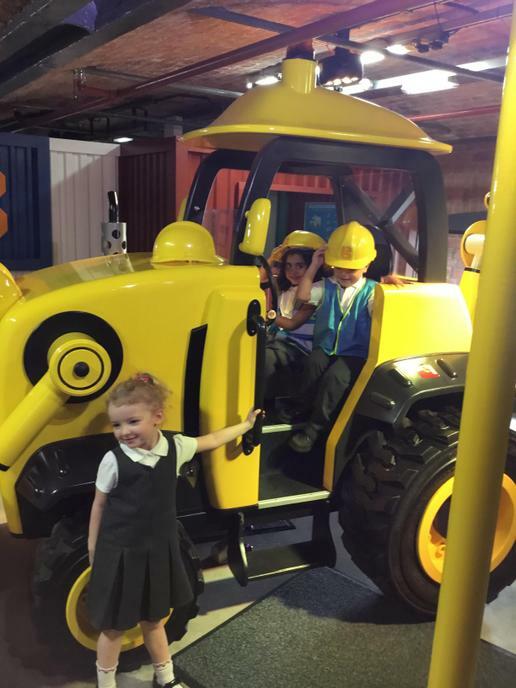 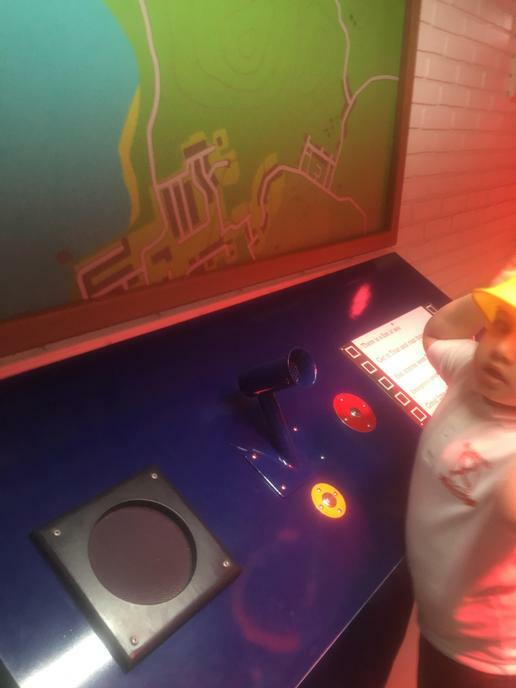 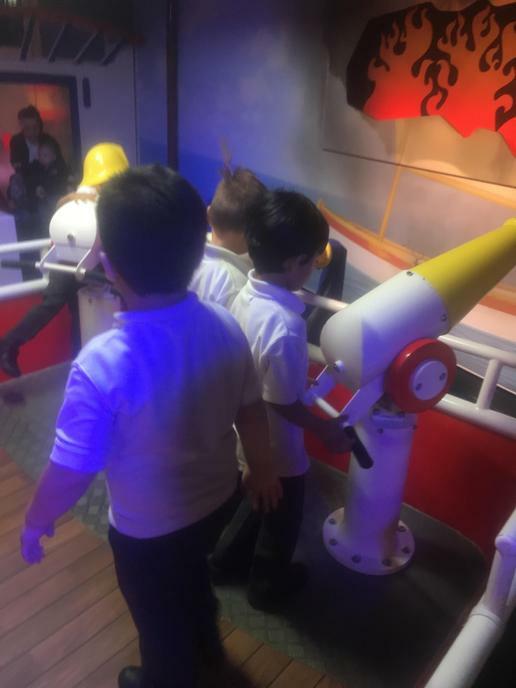 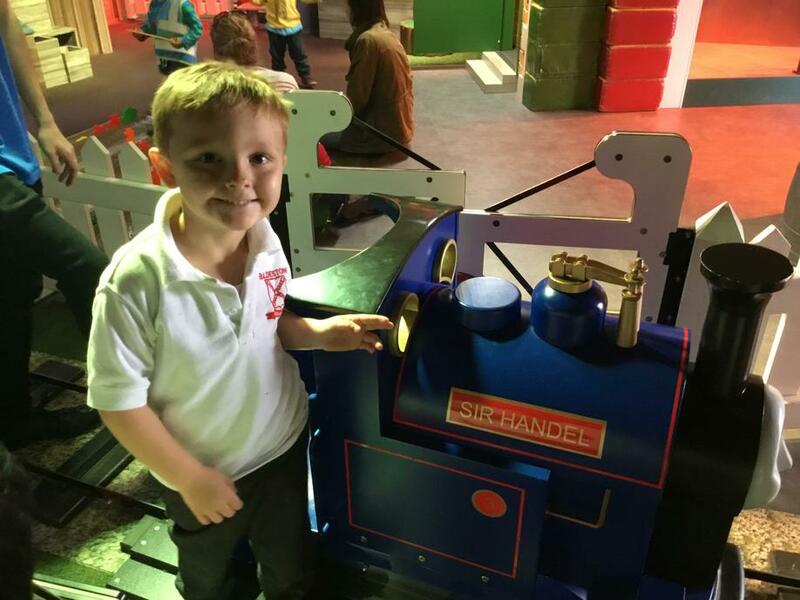 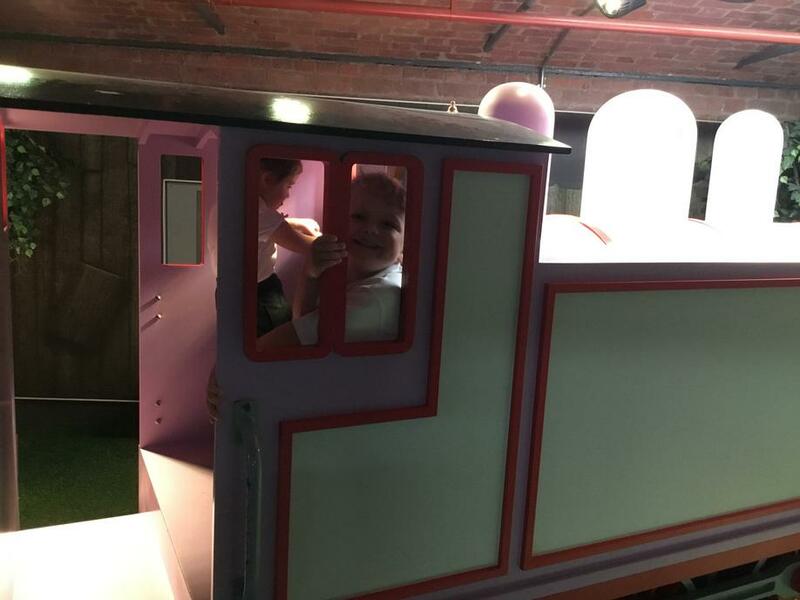 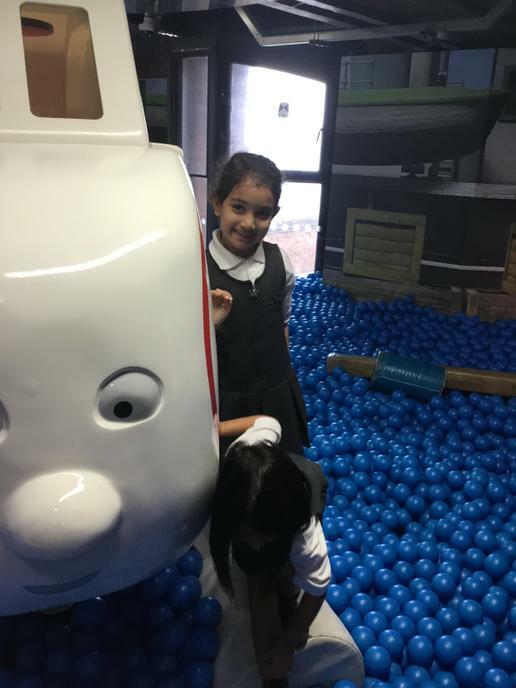 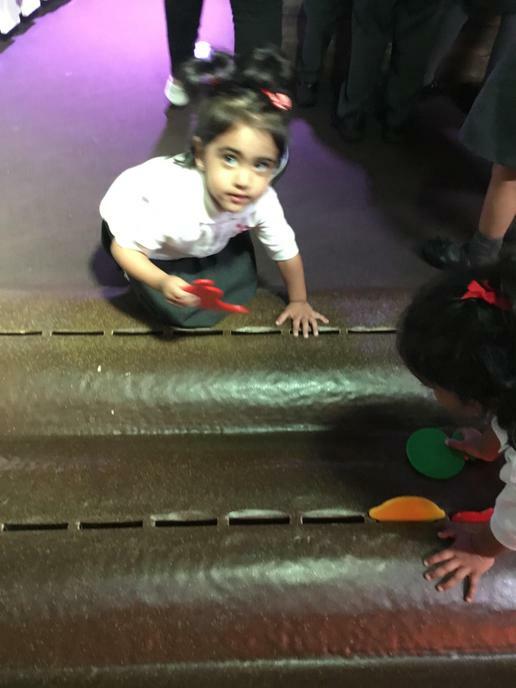 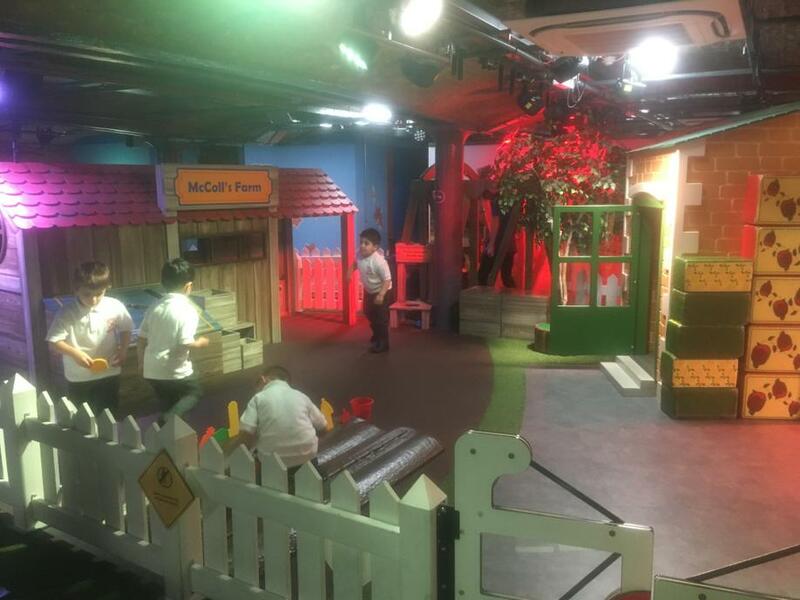 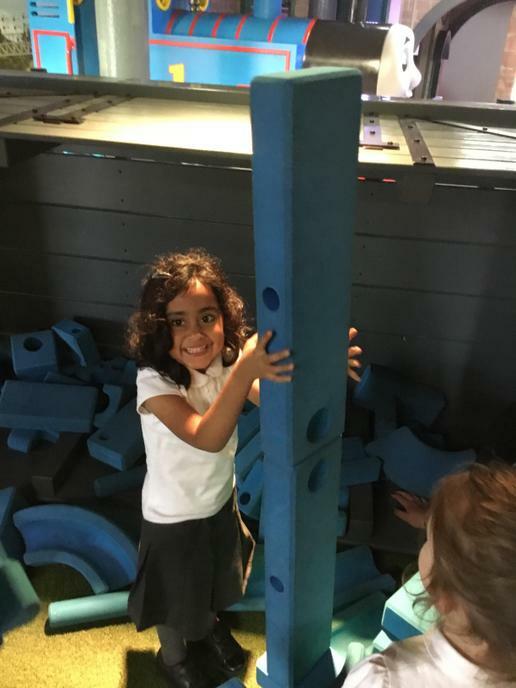 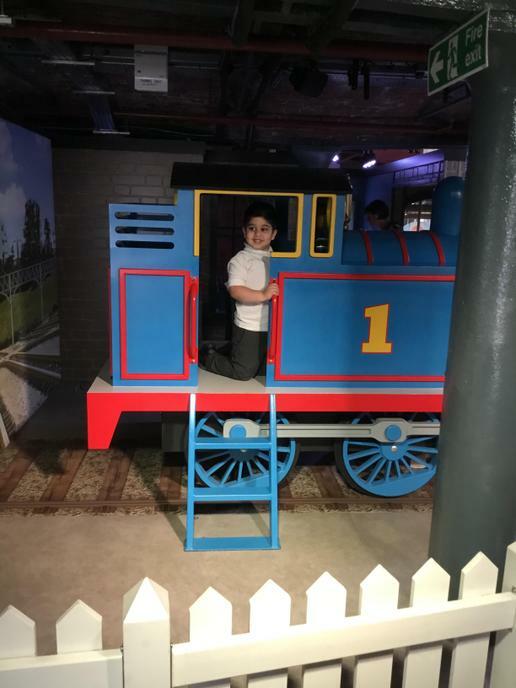 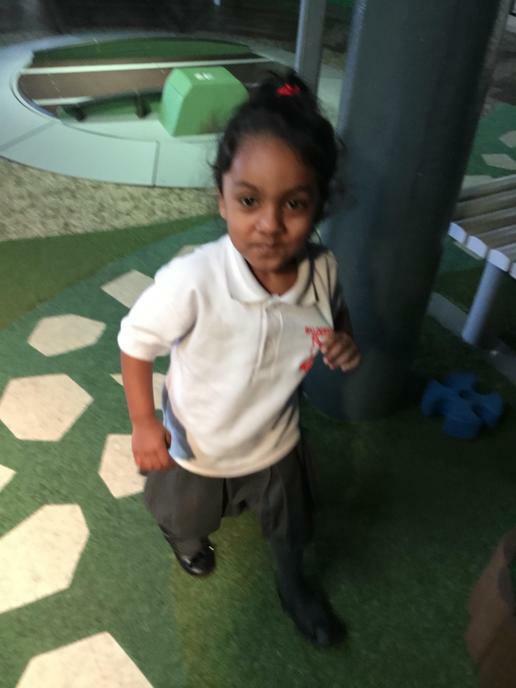 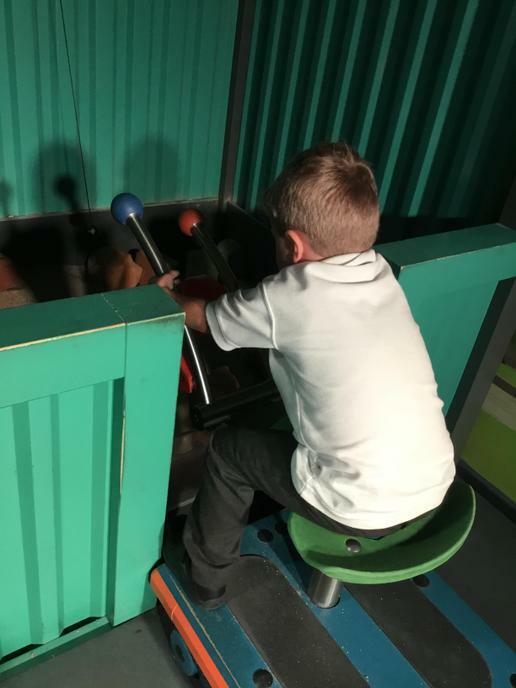 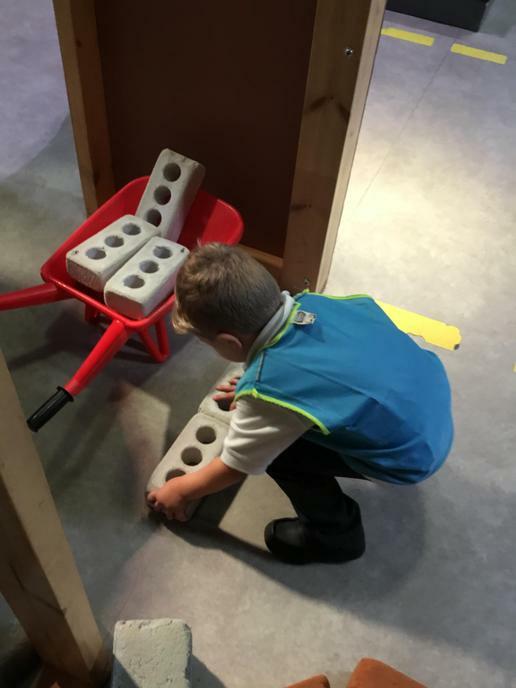 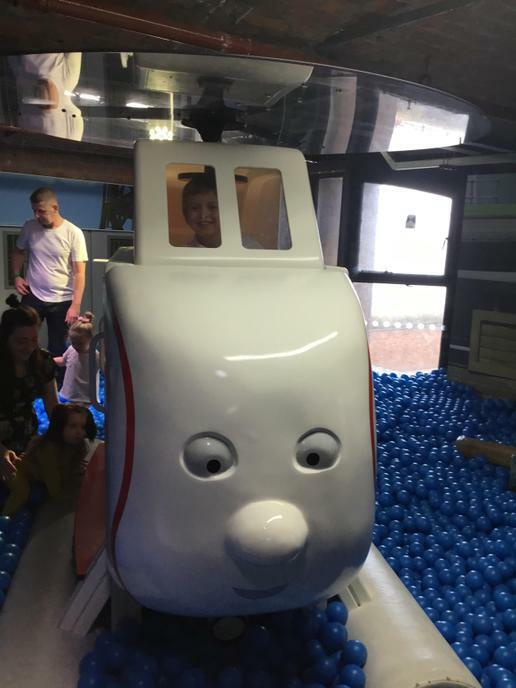 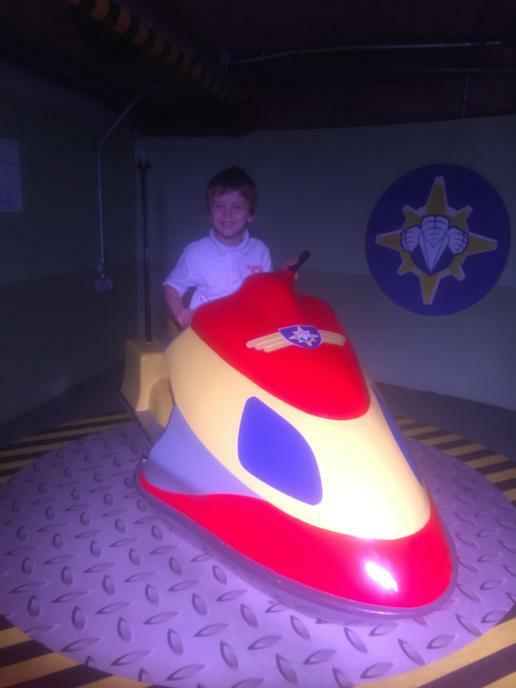 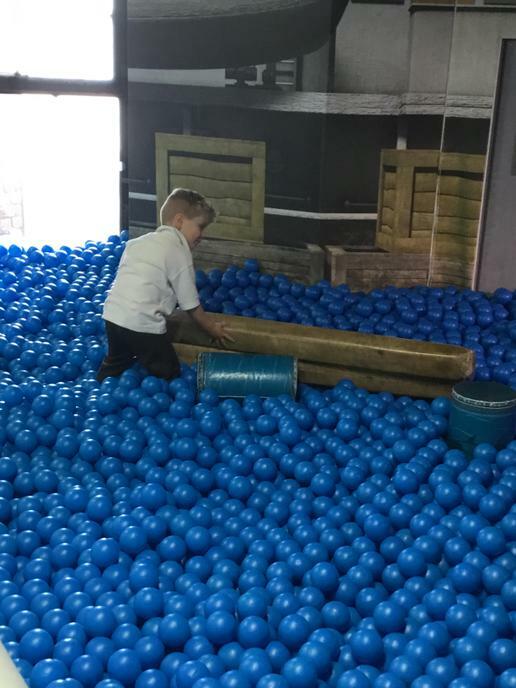 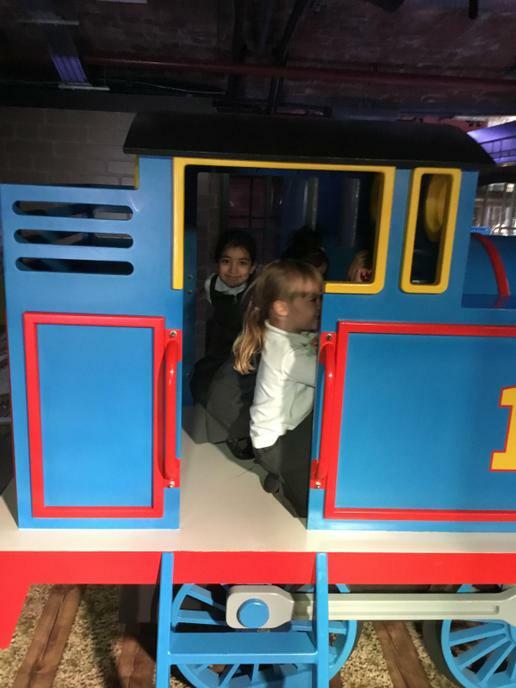 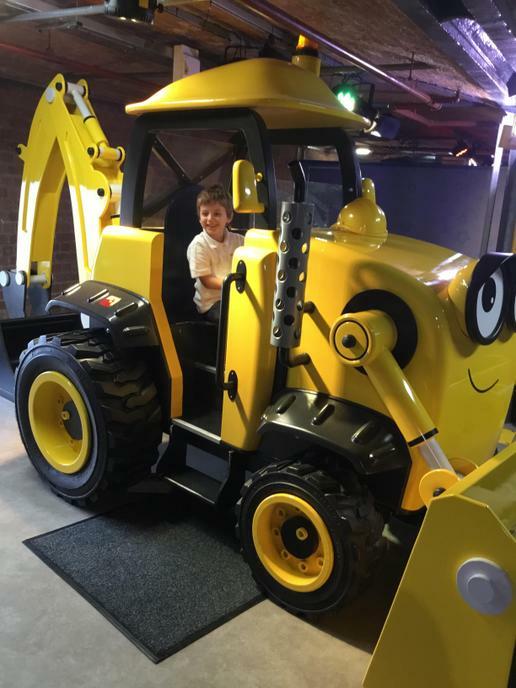 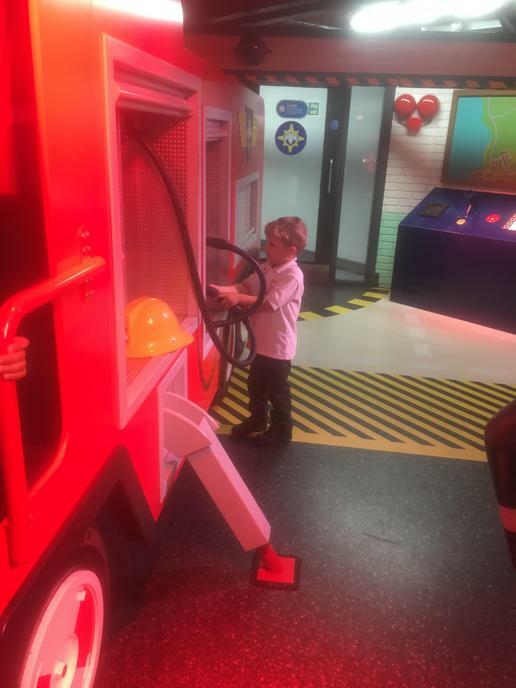 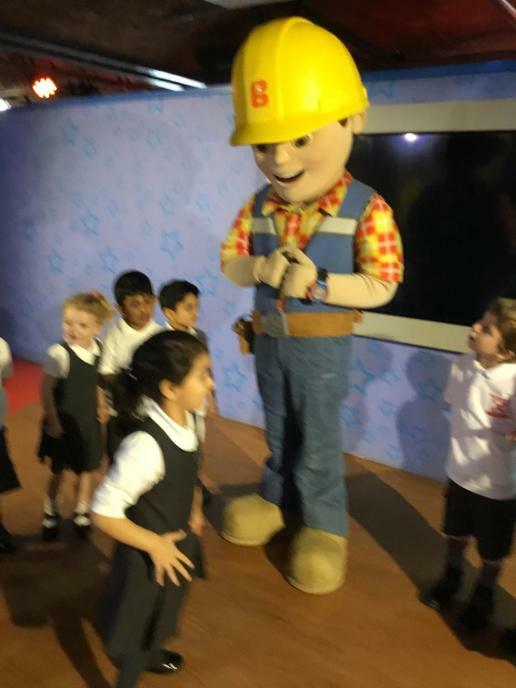 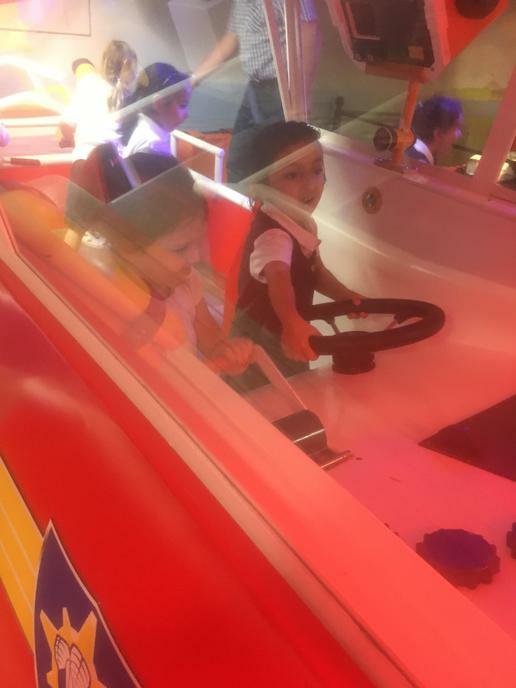 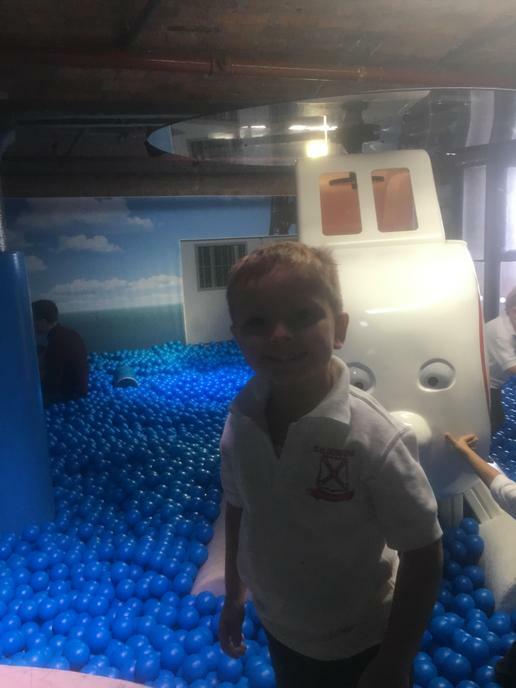 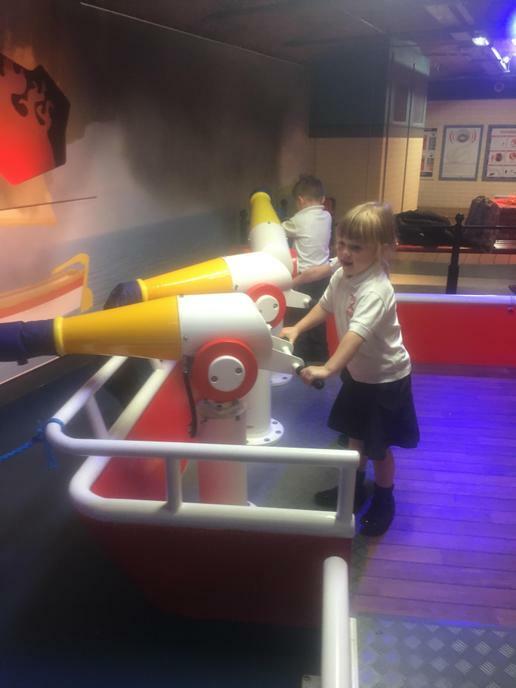 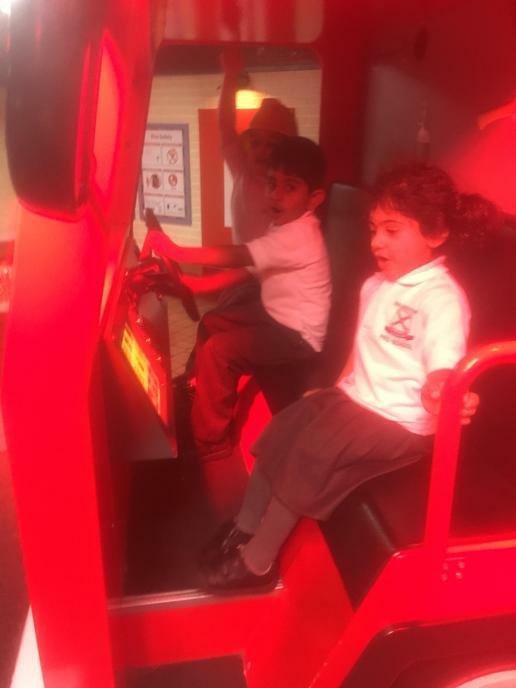 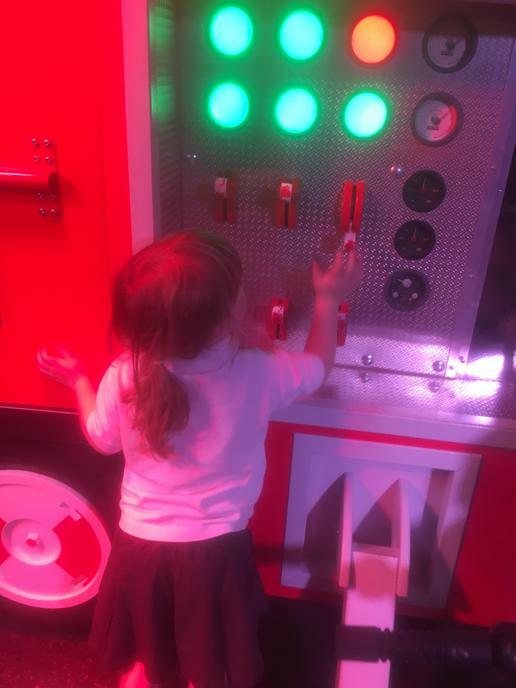 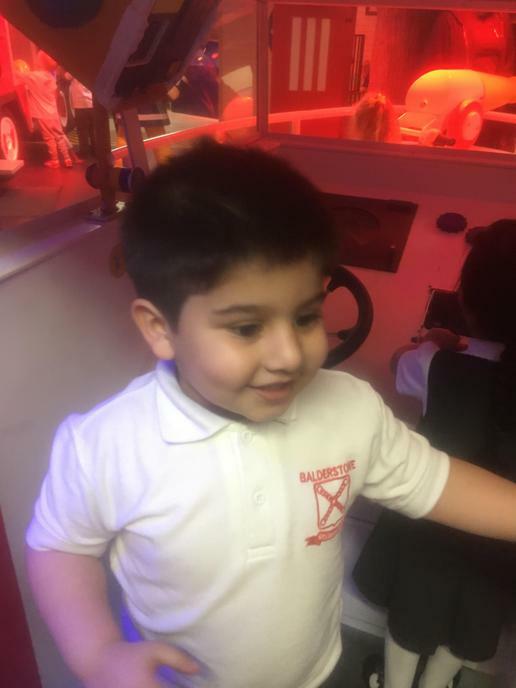 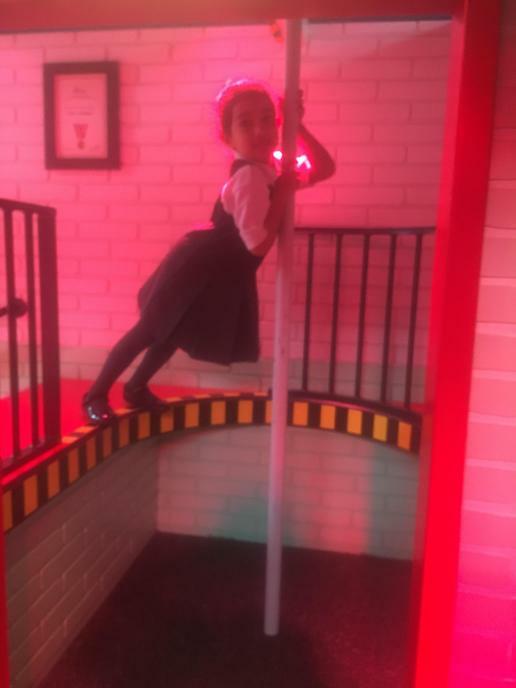 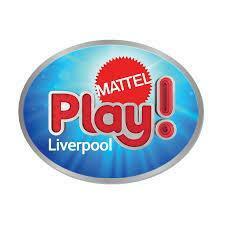 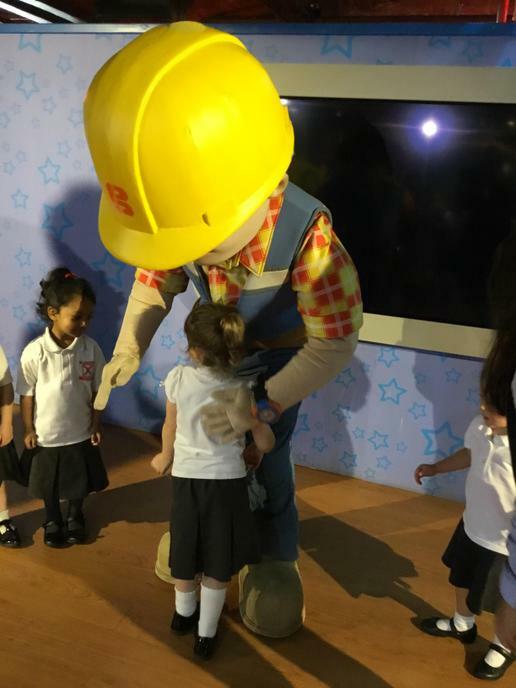 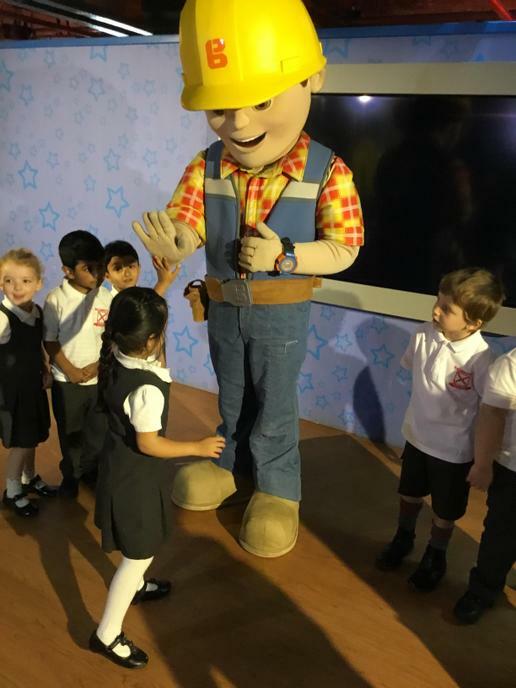 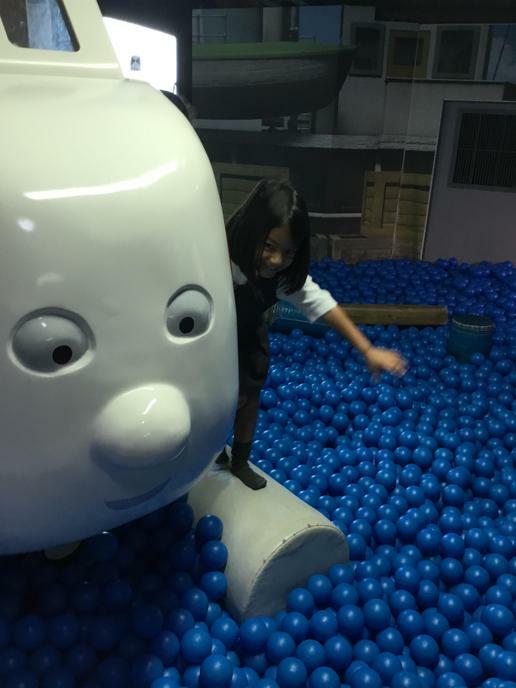 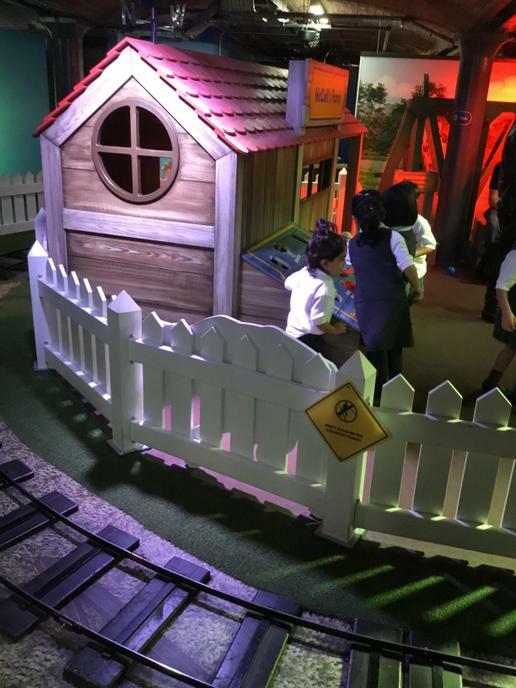 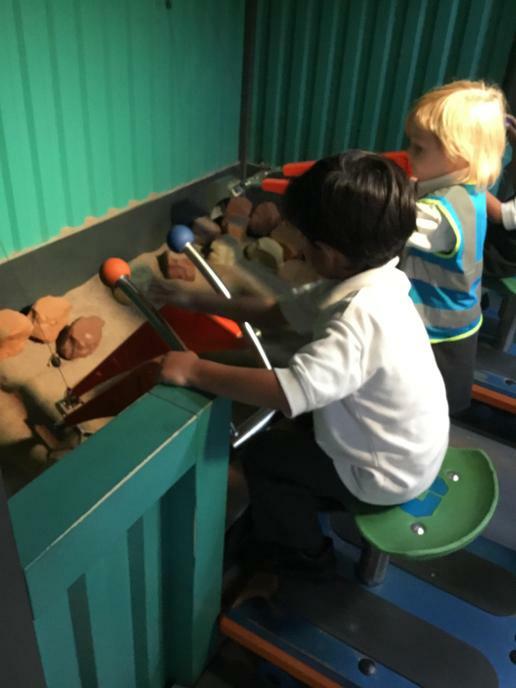 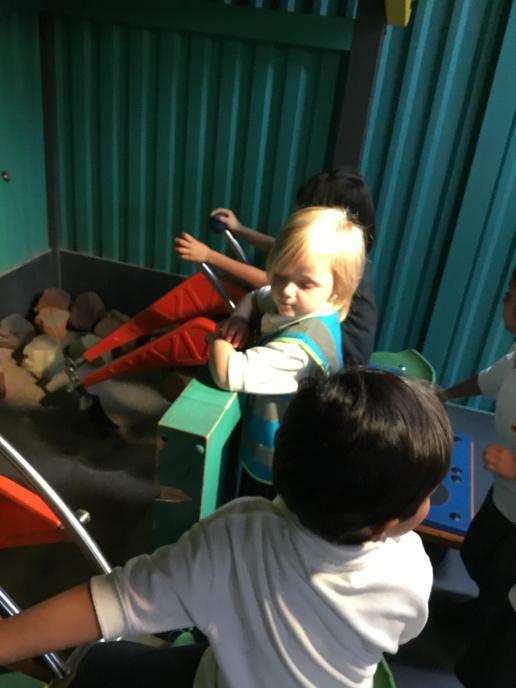 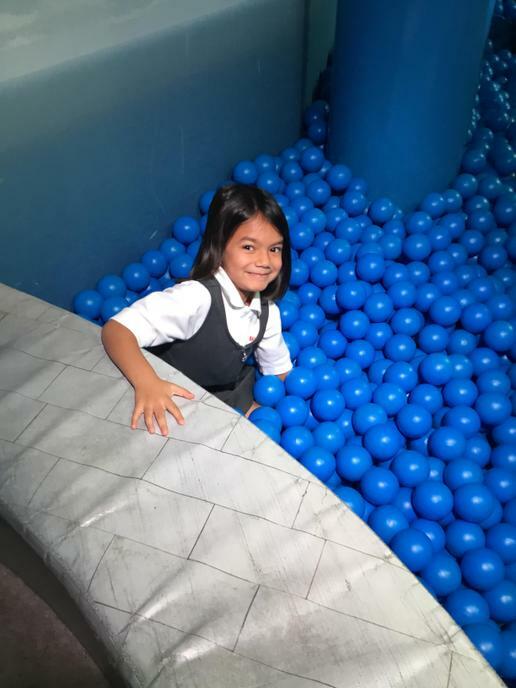 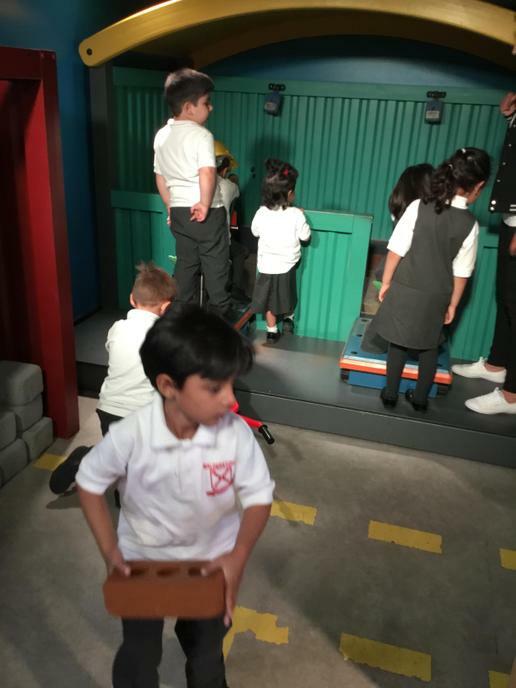 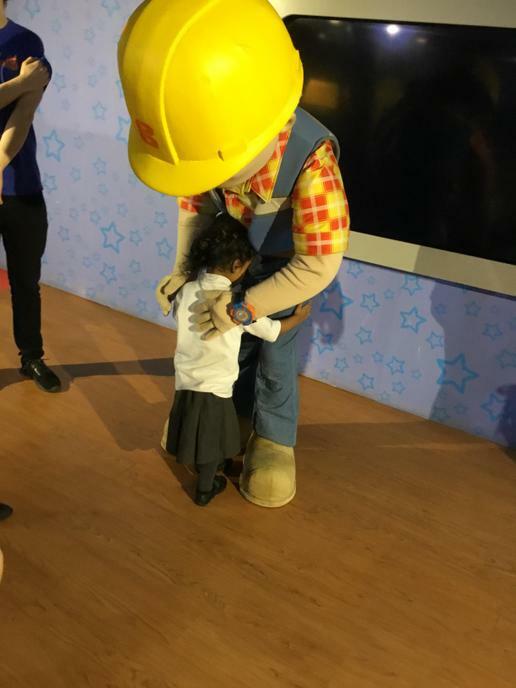 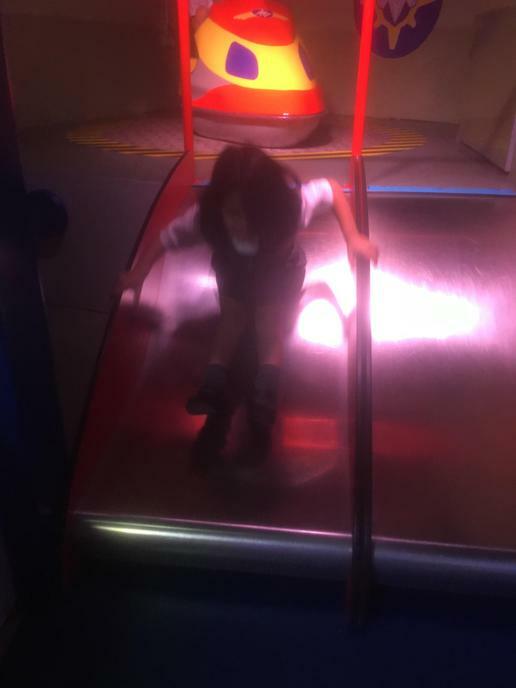 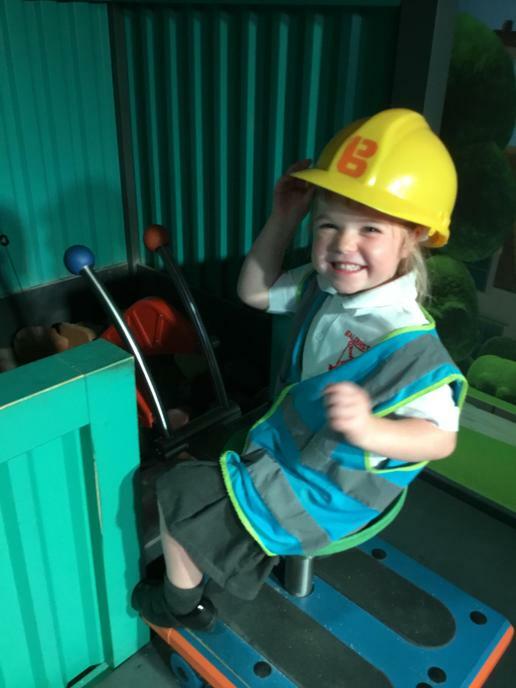 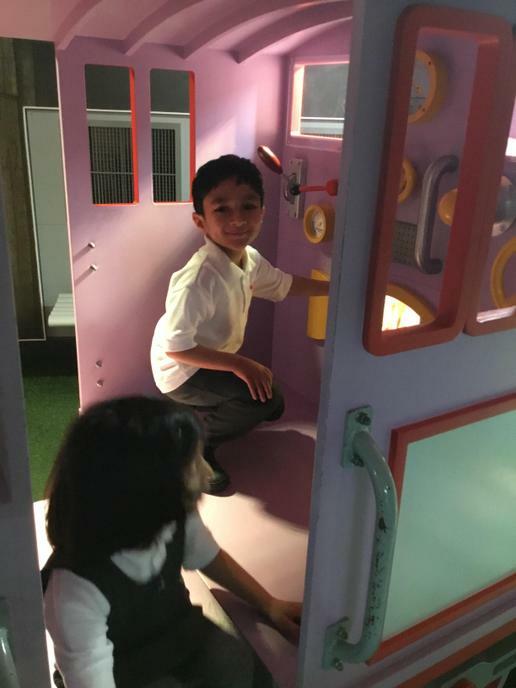 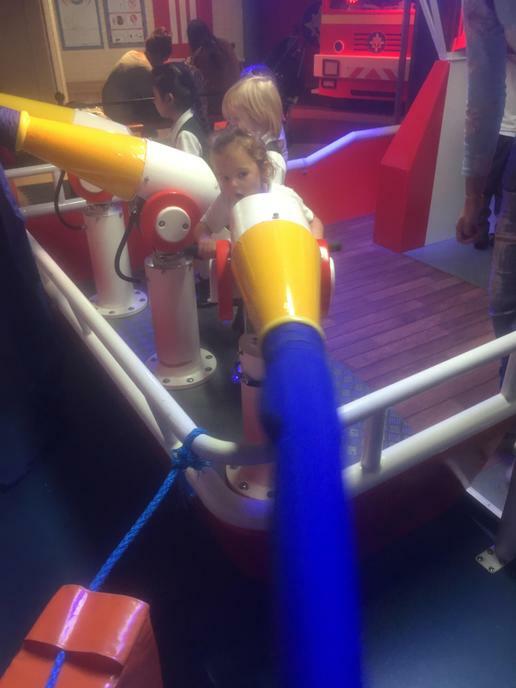 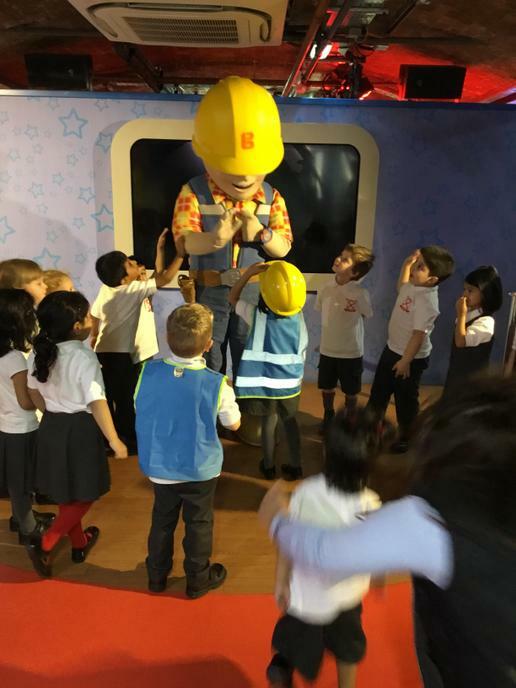 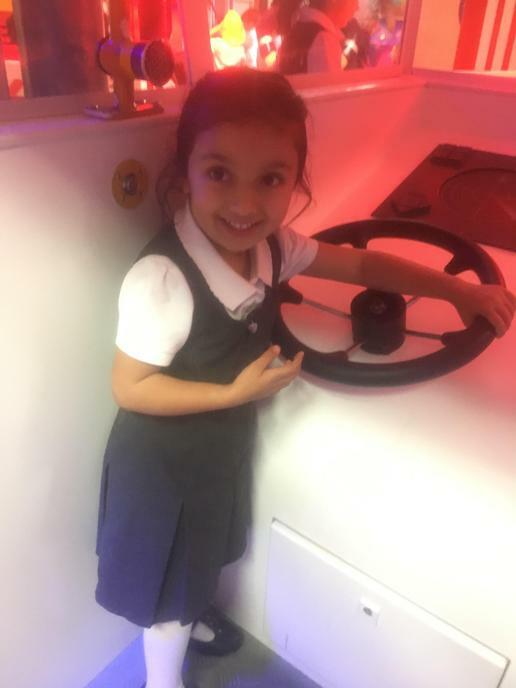 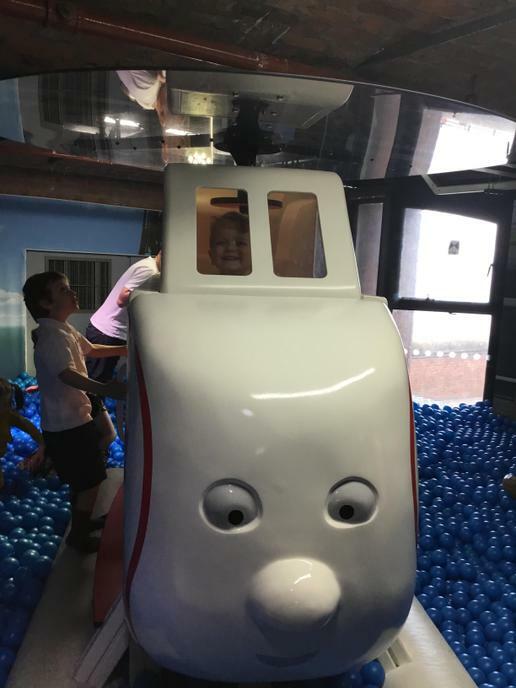 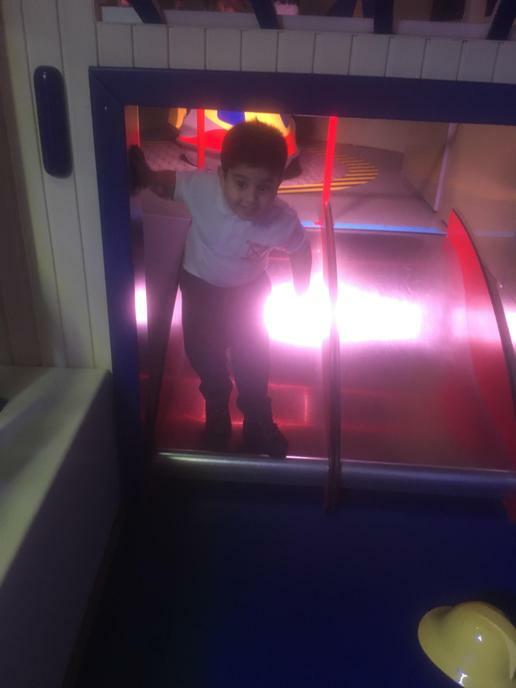 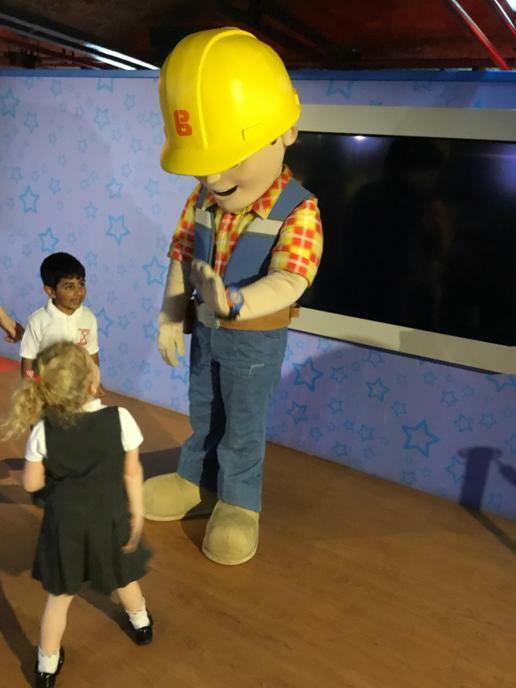 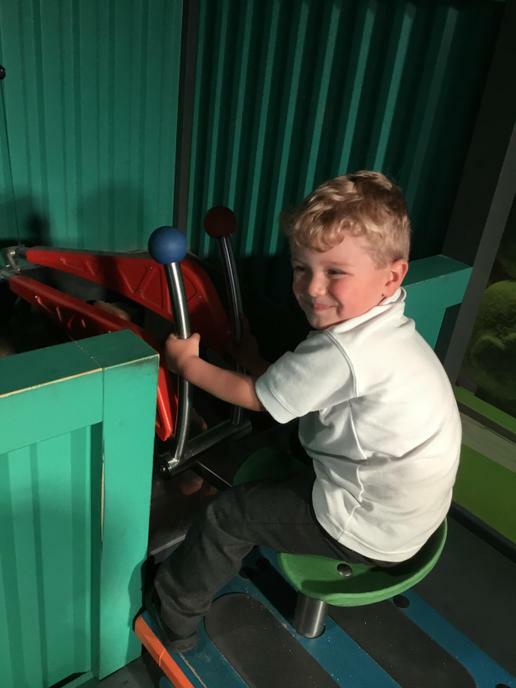 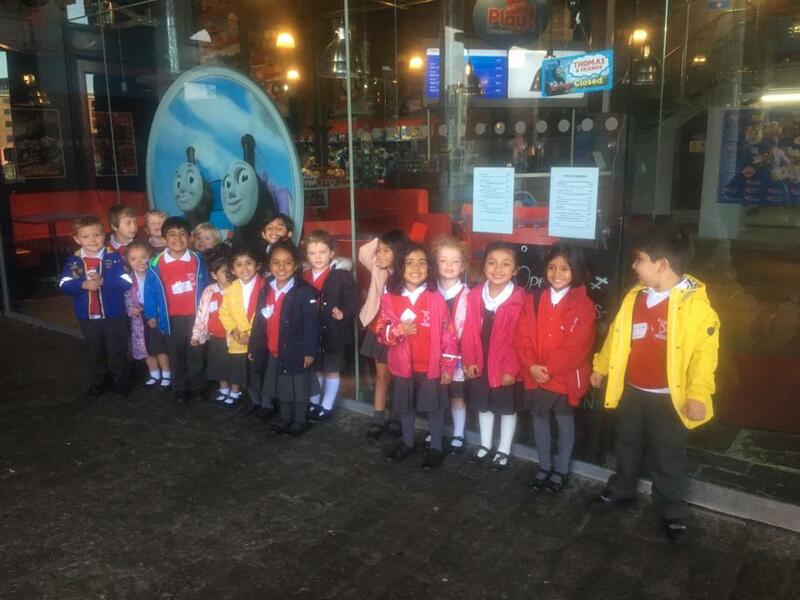 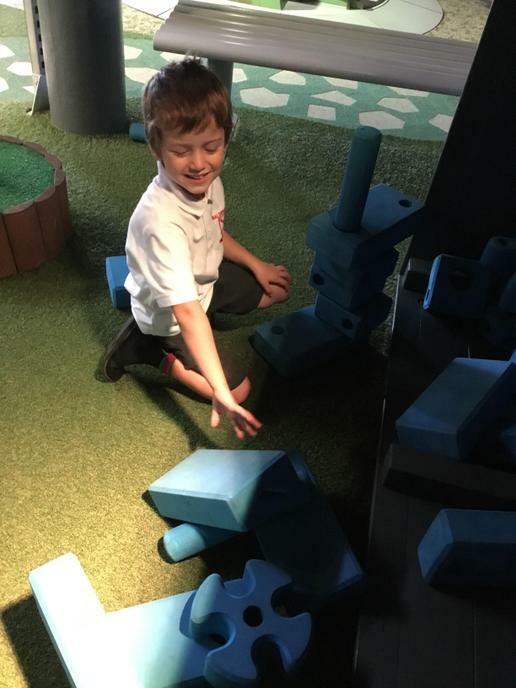 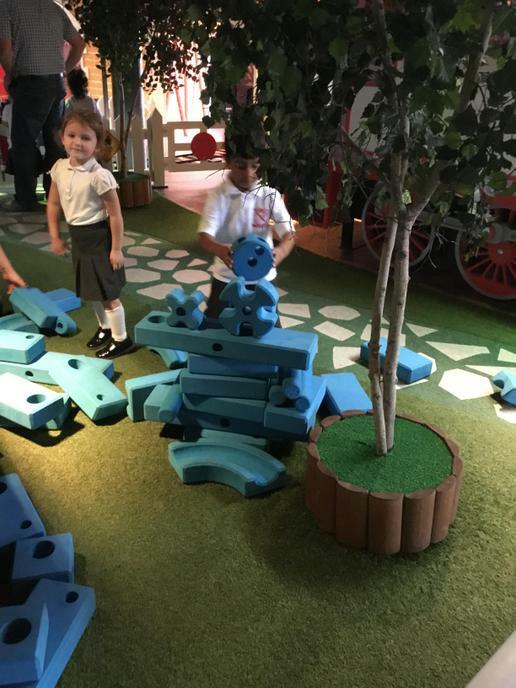 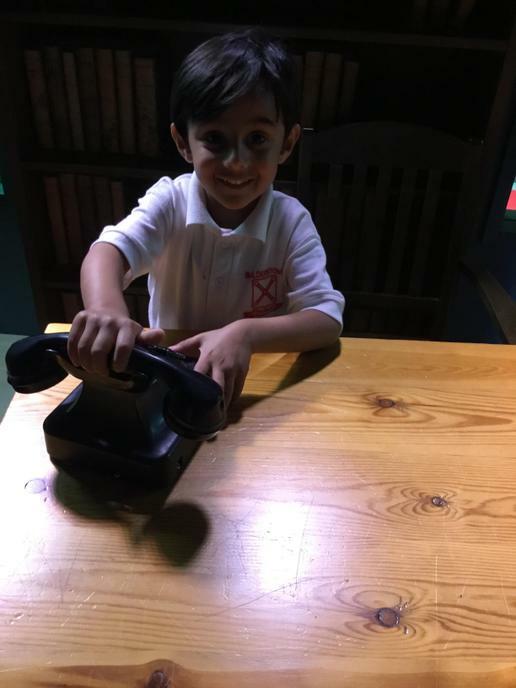 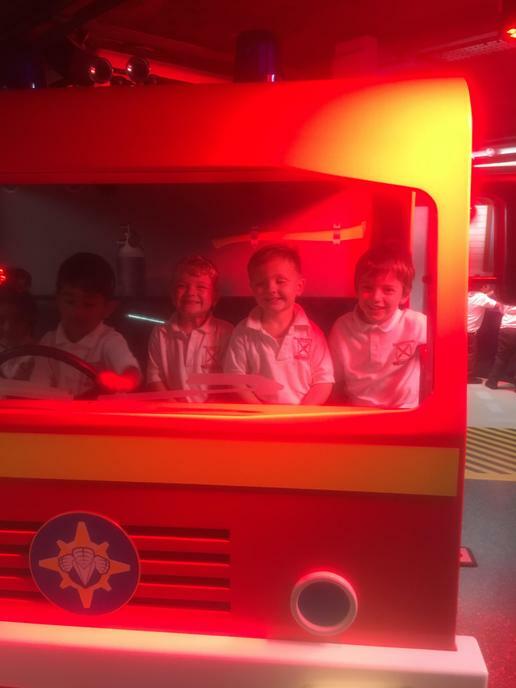 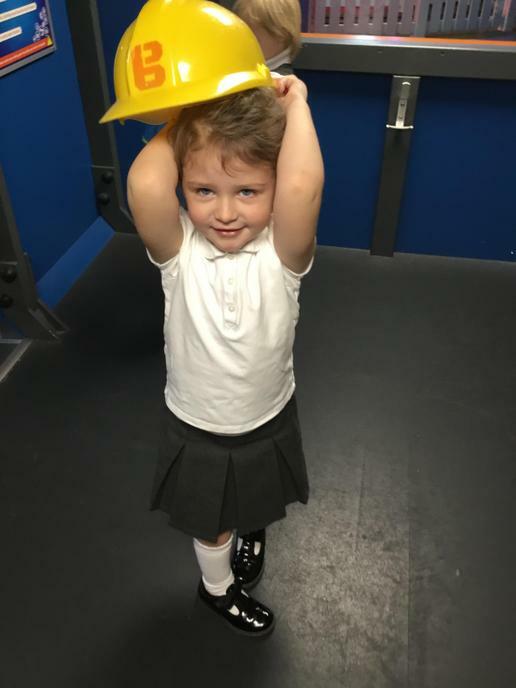 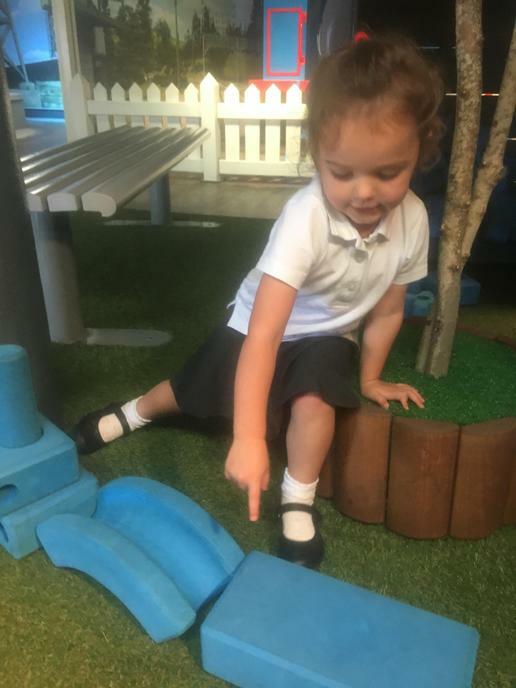 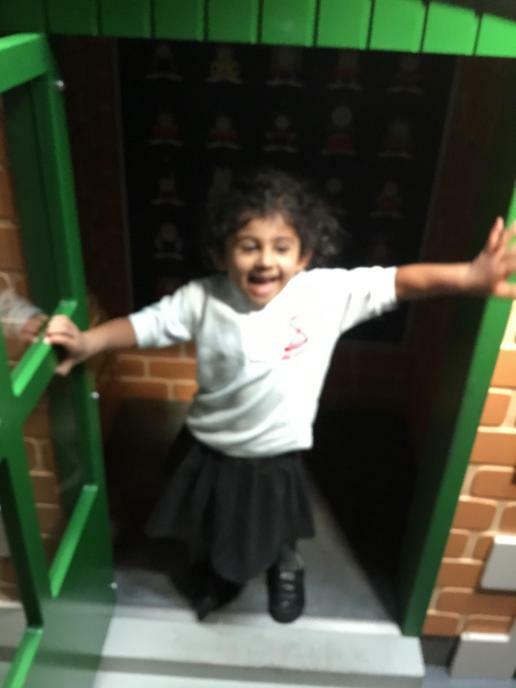 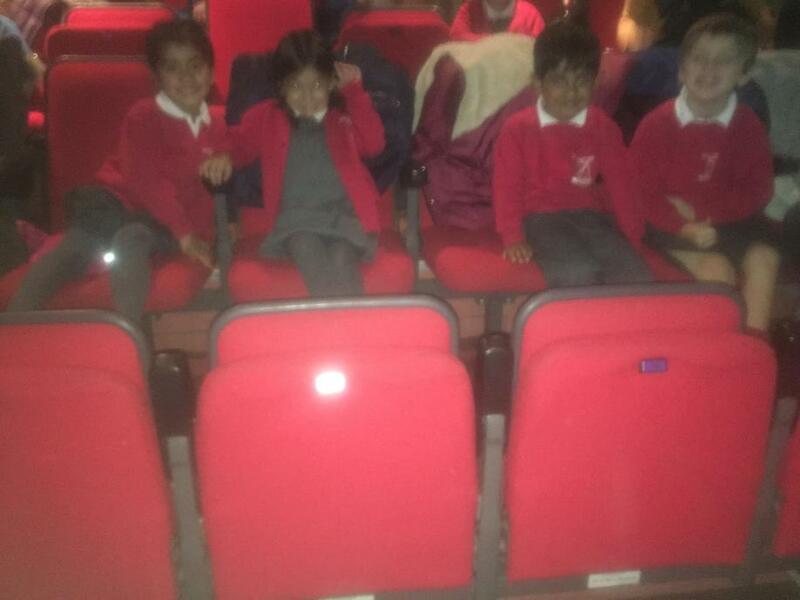 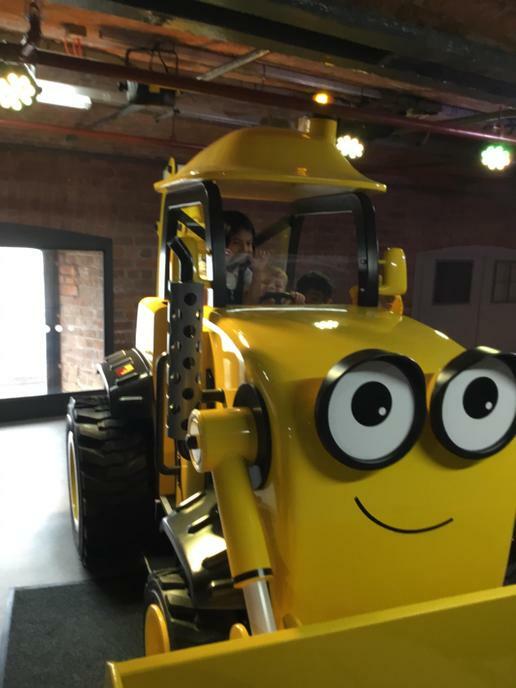 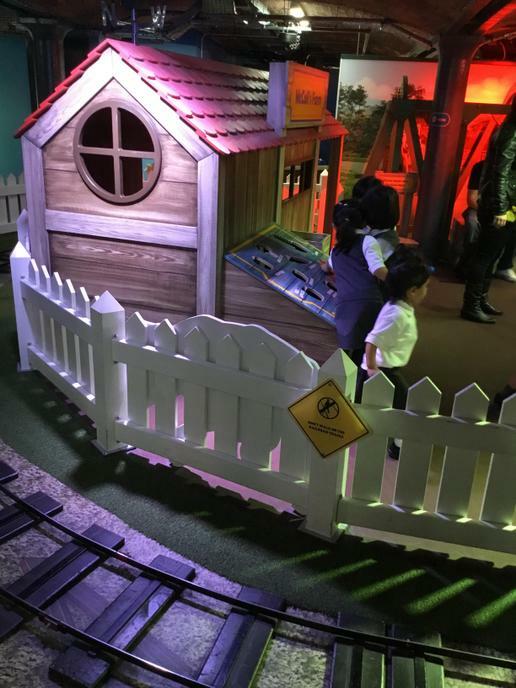 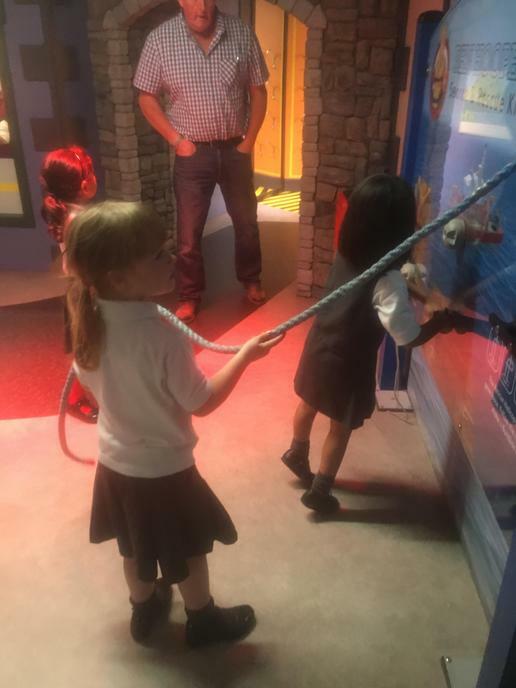 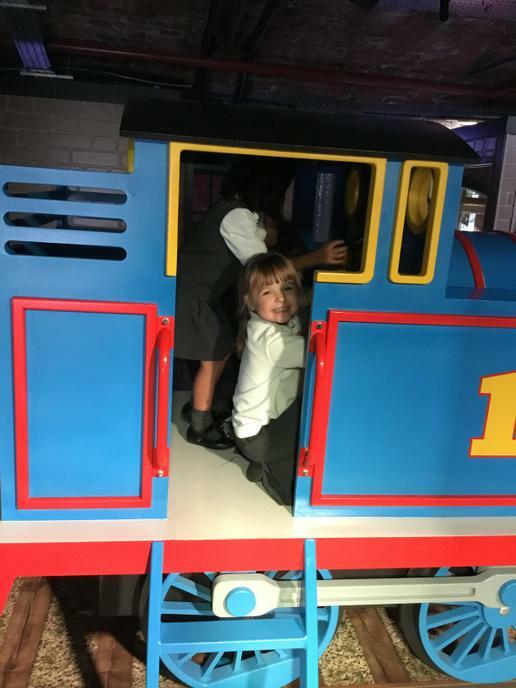 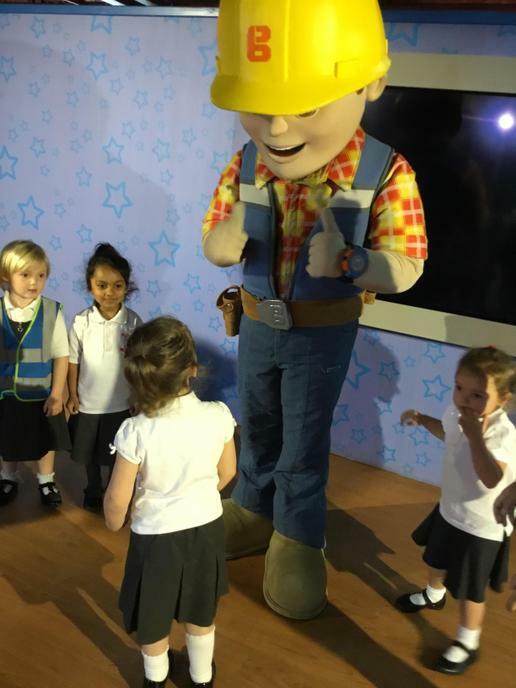 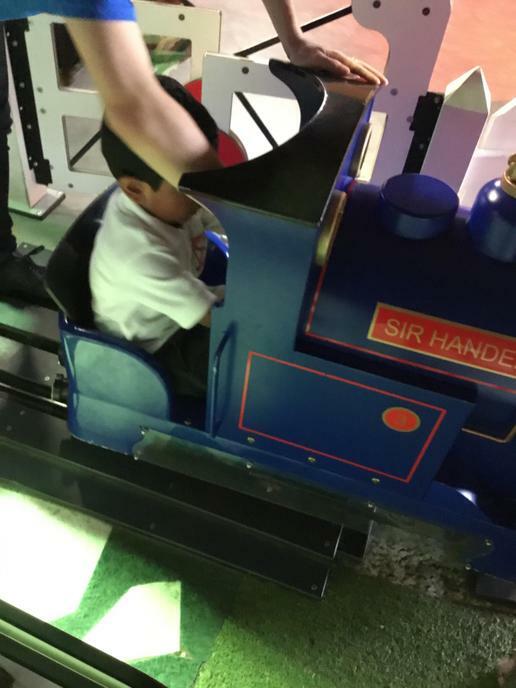 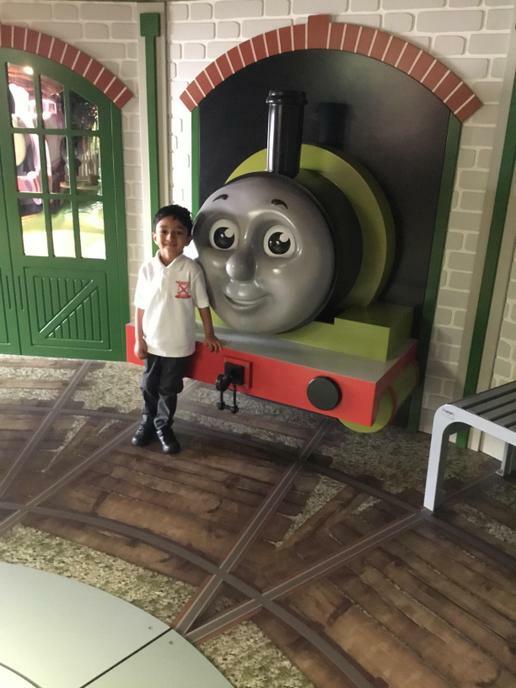 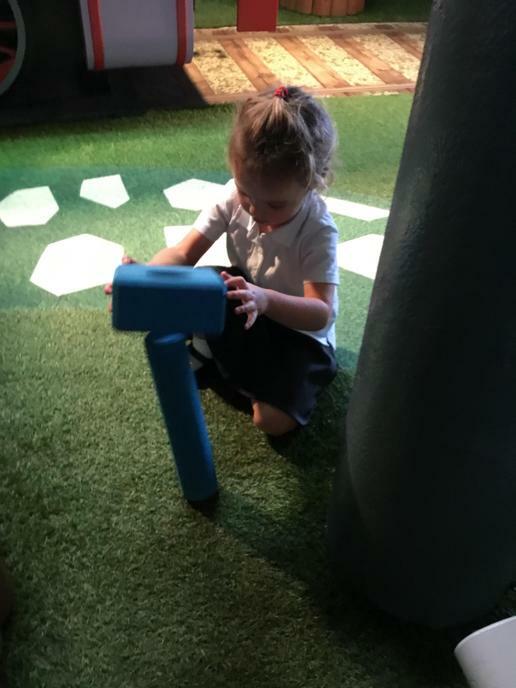 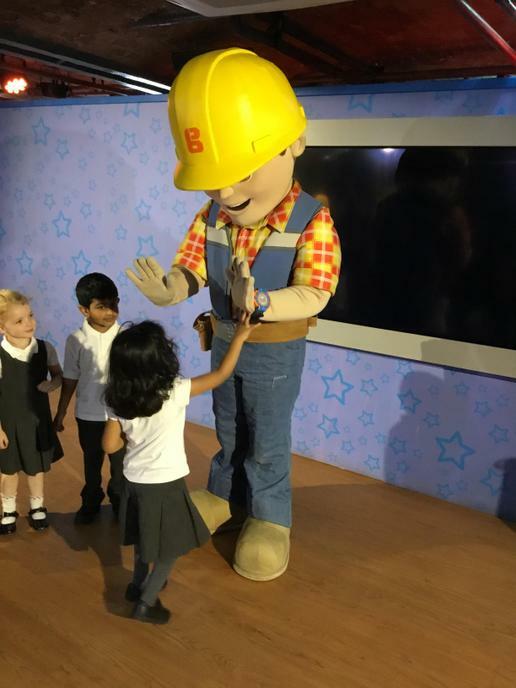 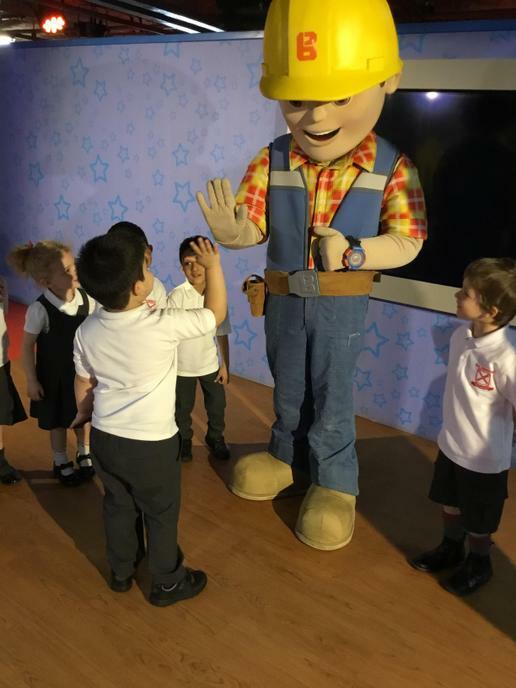 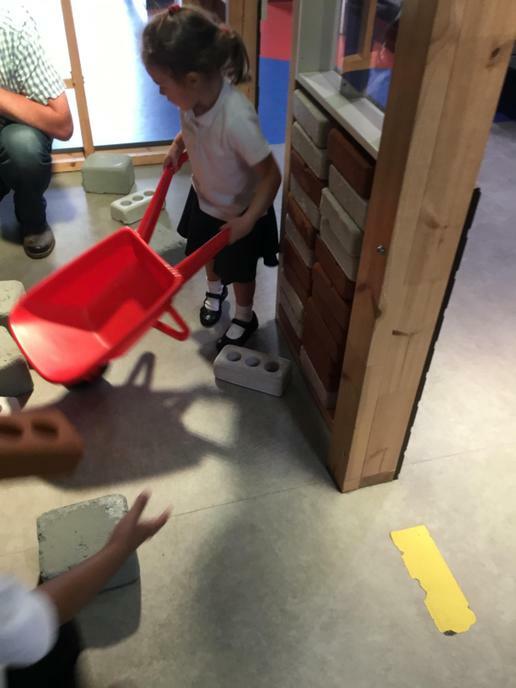 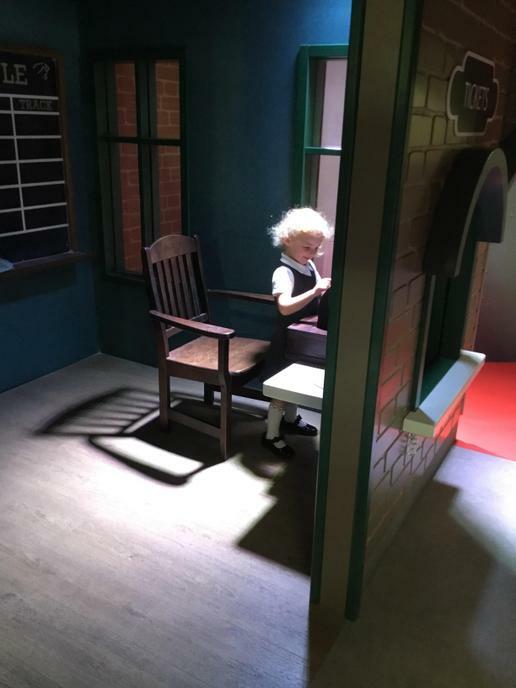 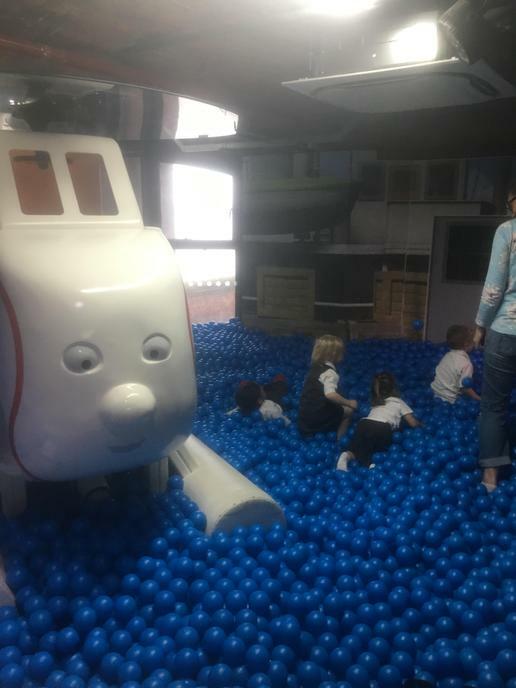 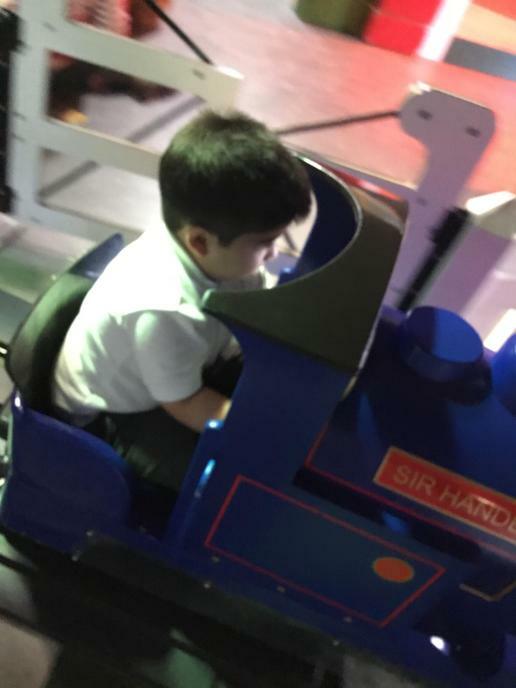 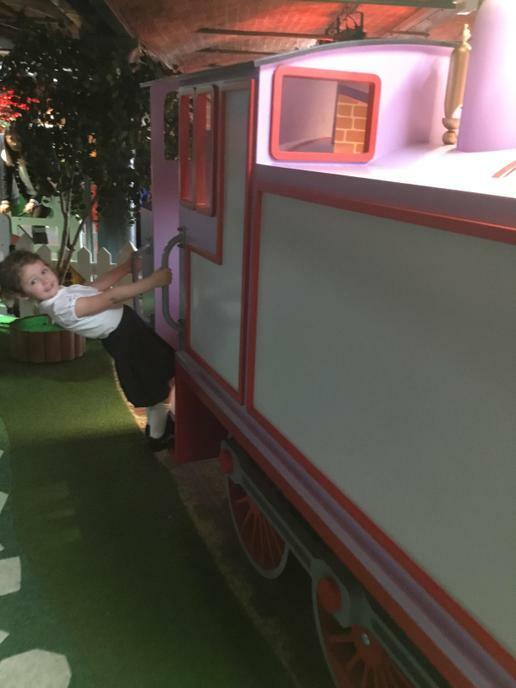 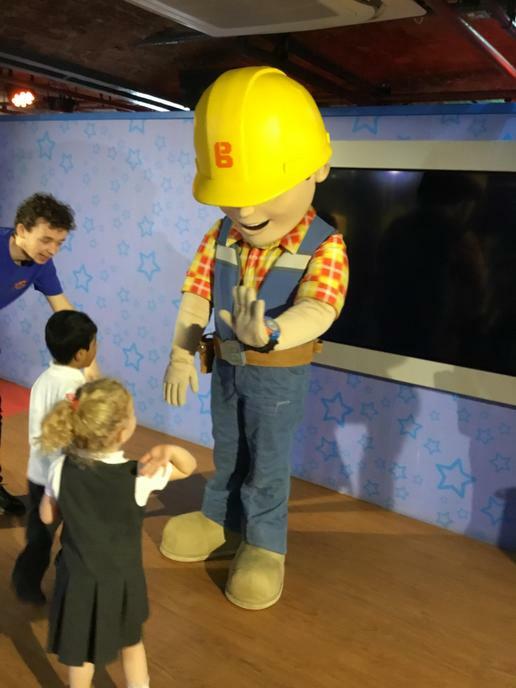 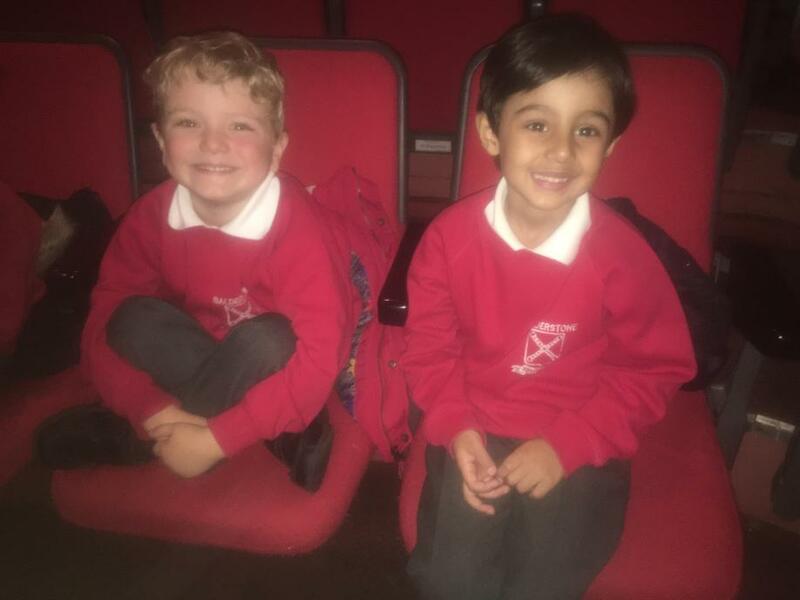 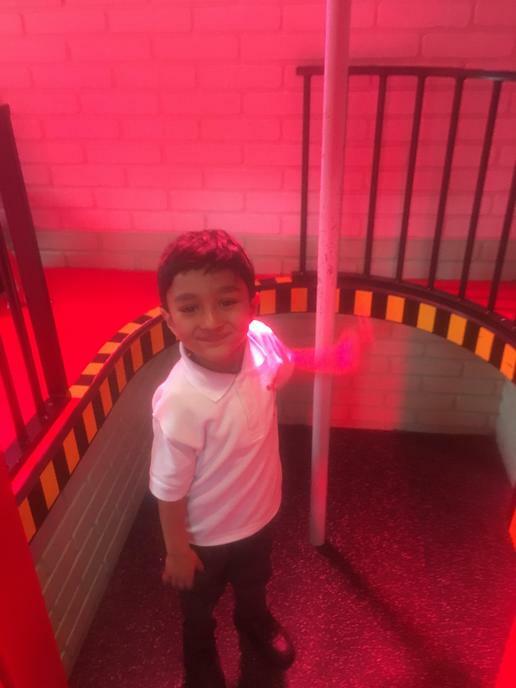 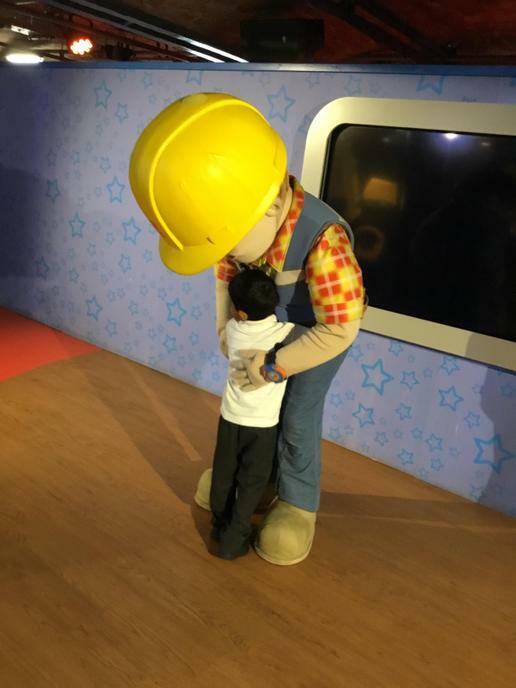 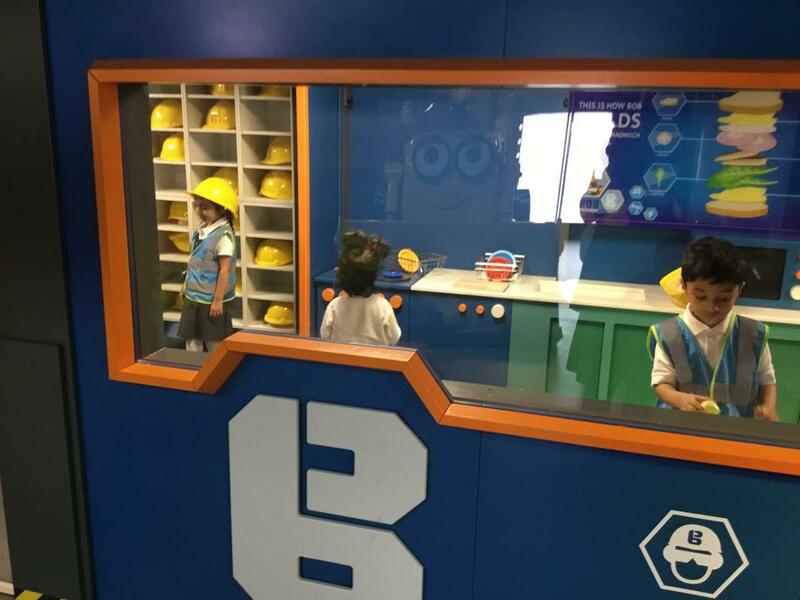 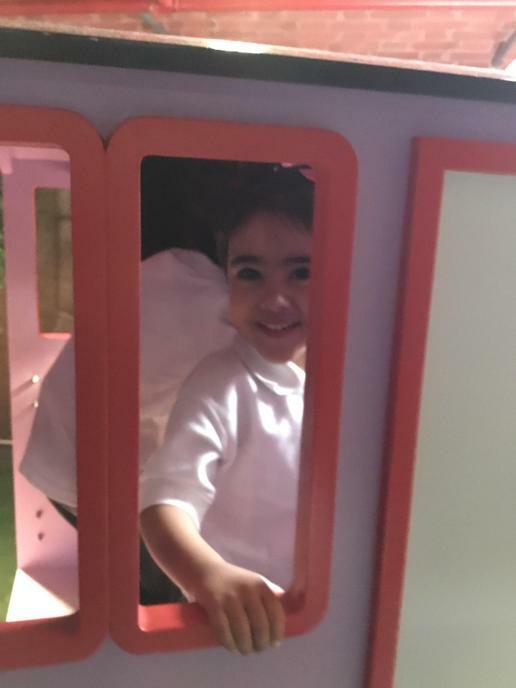 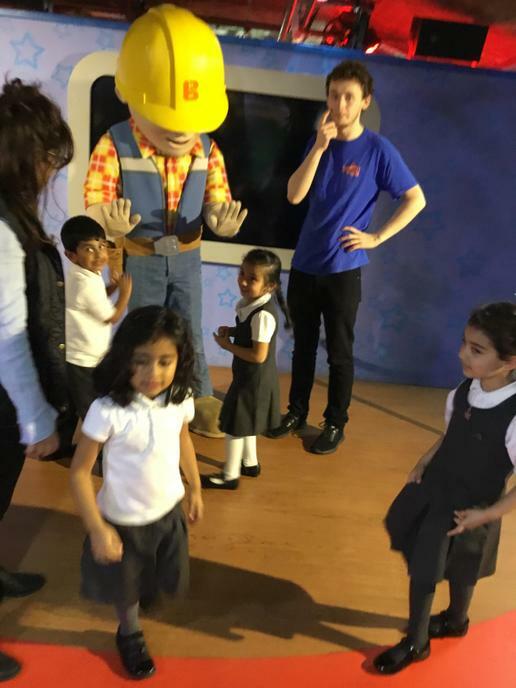 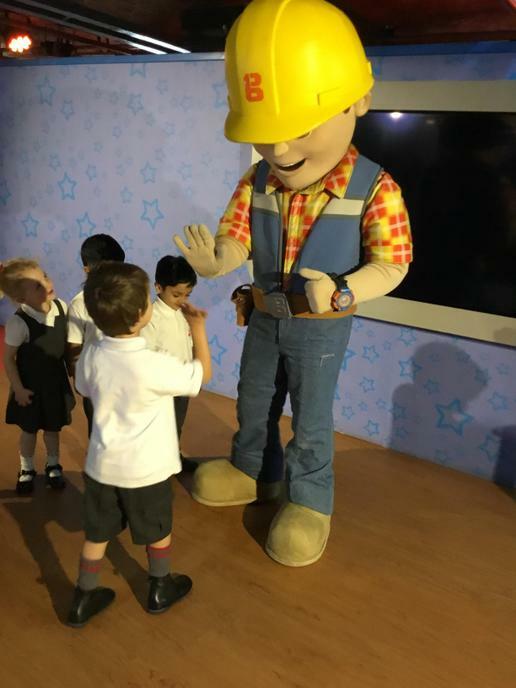 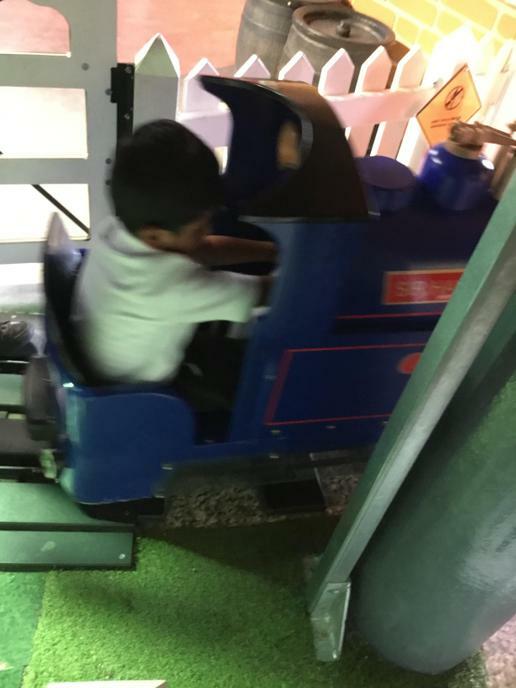 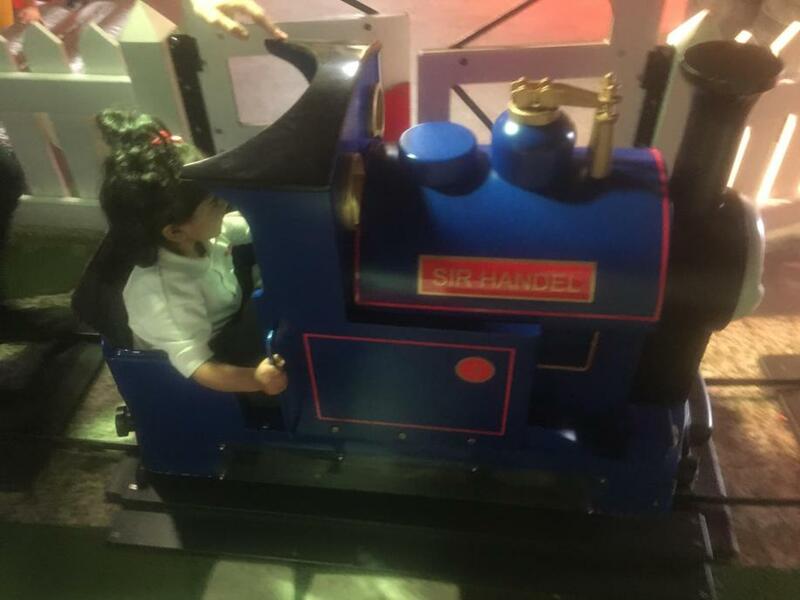 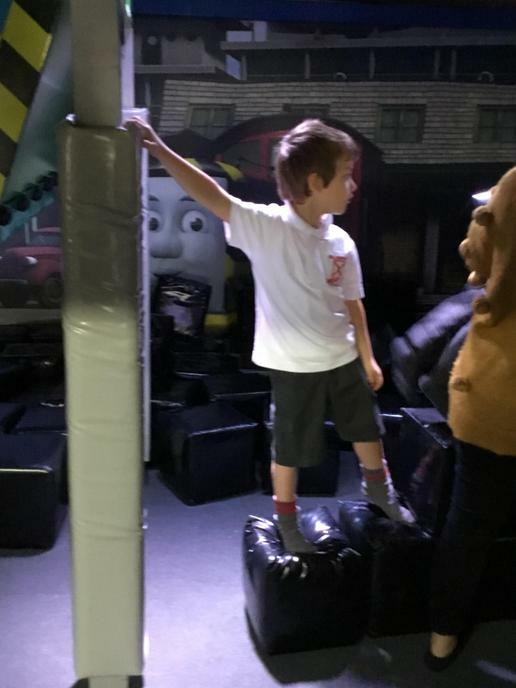 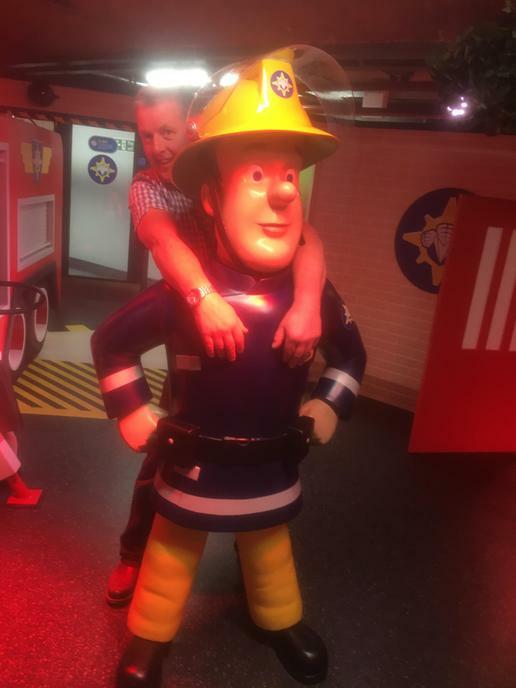 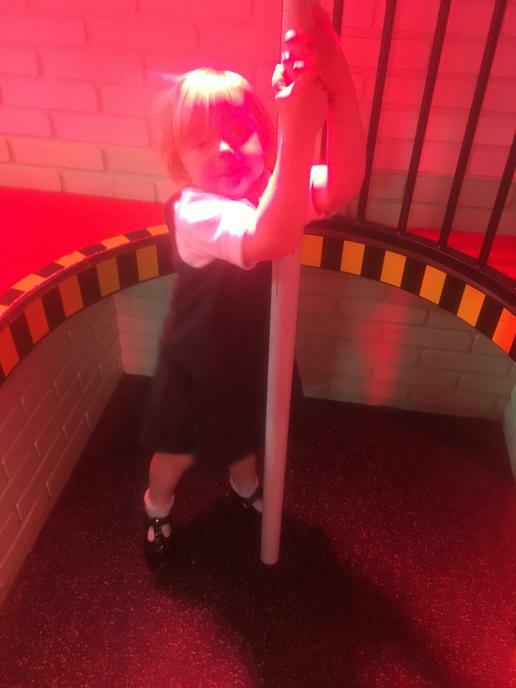 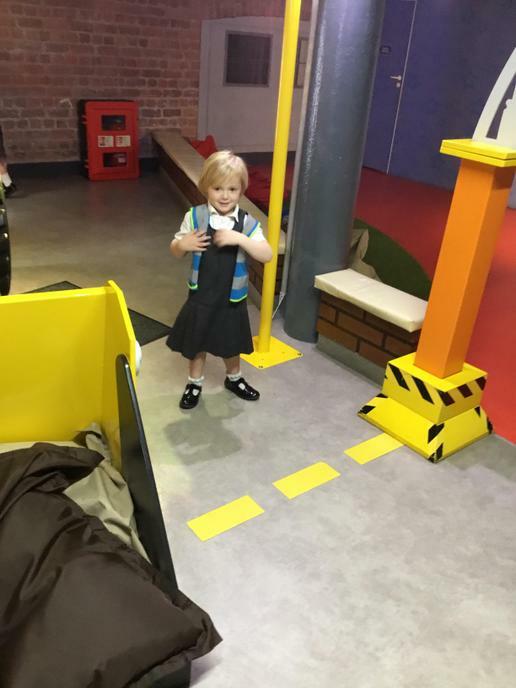 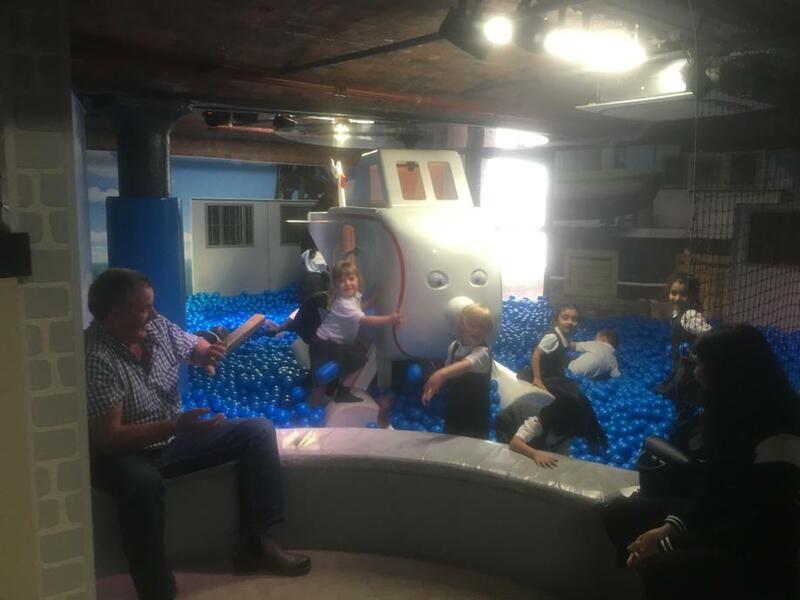 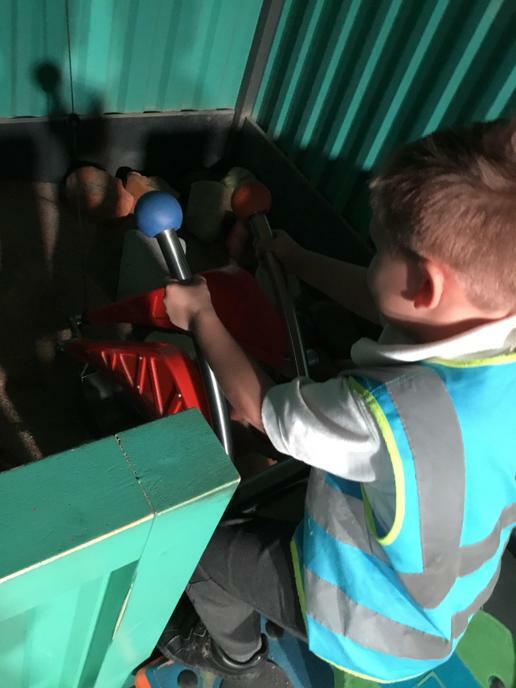 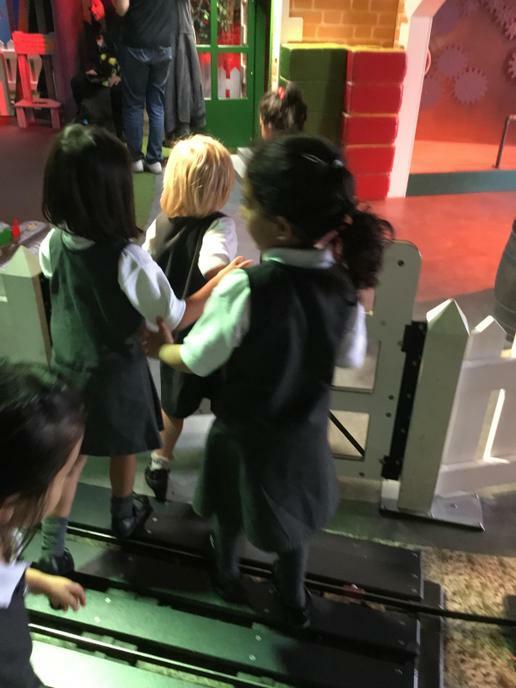 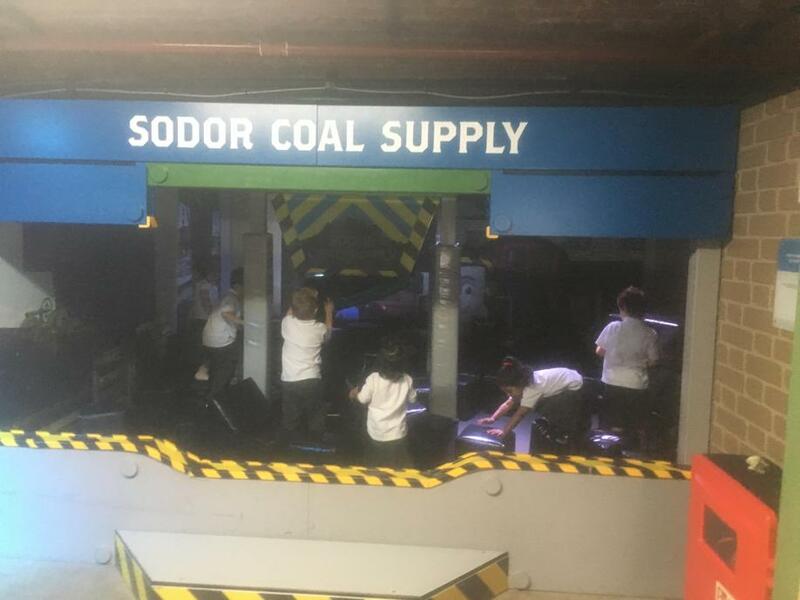 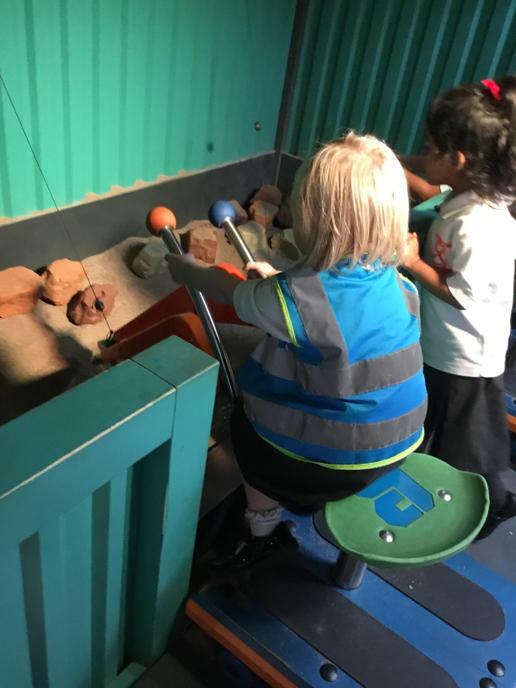 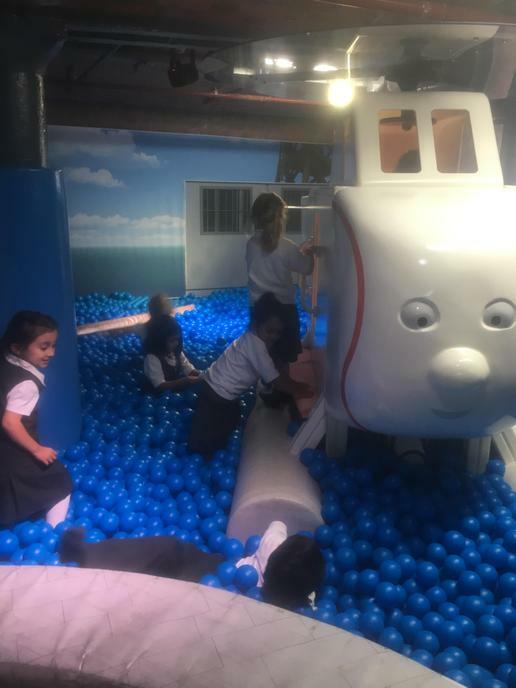 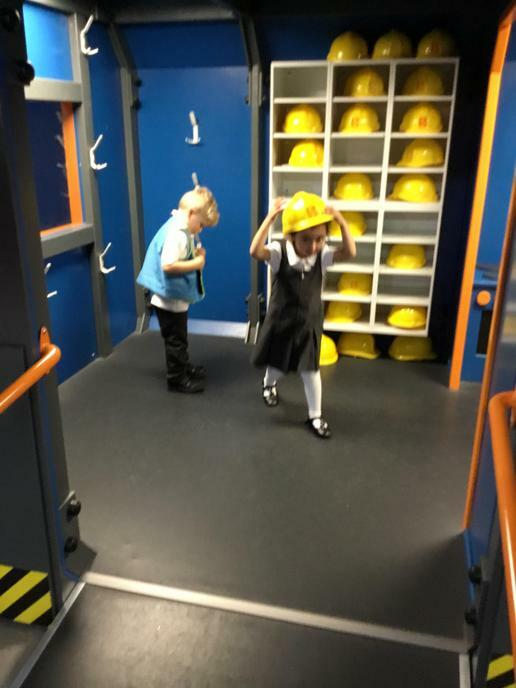 When Pre School & Reception went to Mattel Play, Liverpool. 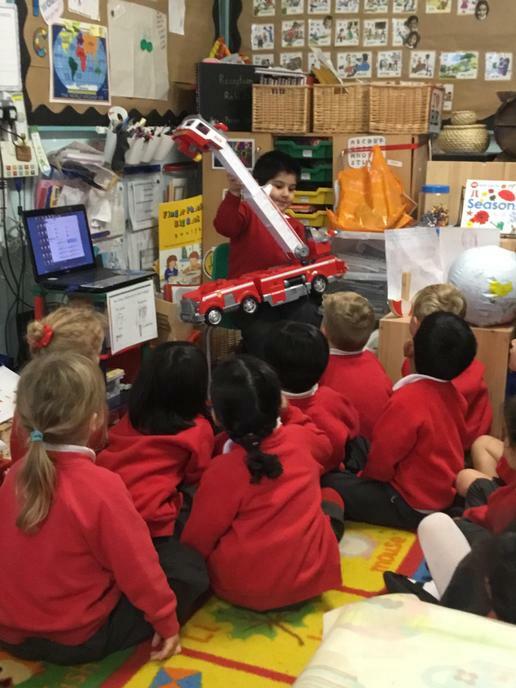 I don’t think that I have ever seen a toy fire engine quite as big as this one! 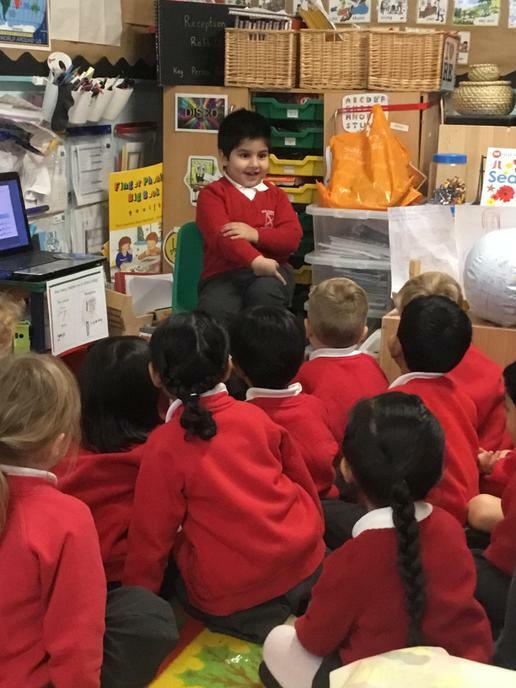 We were entertained by this little boy during his Show and Tell session. 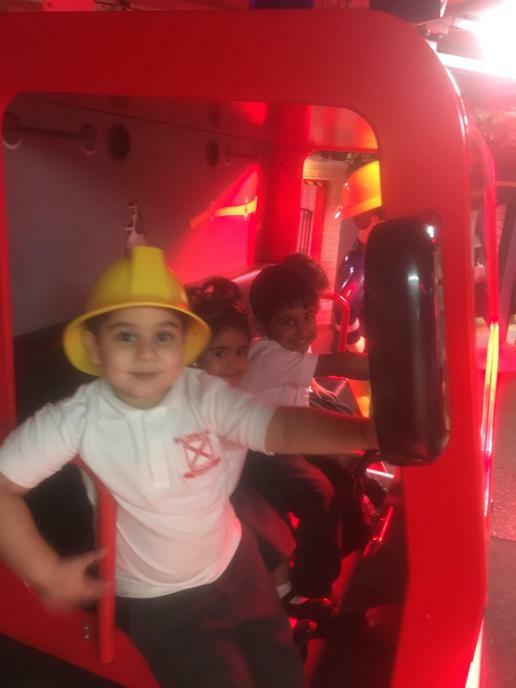 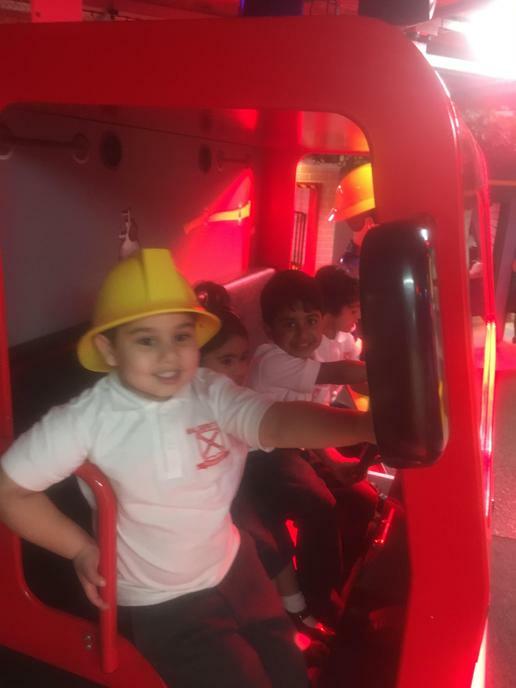 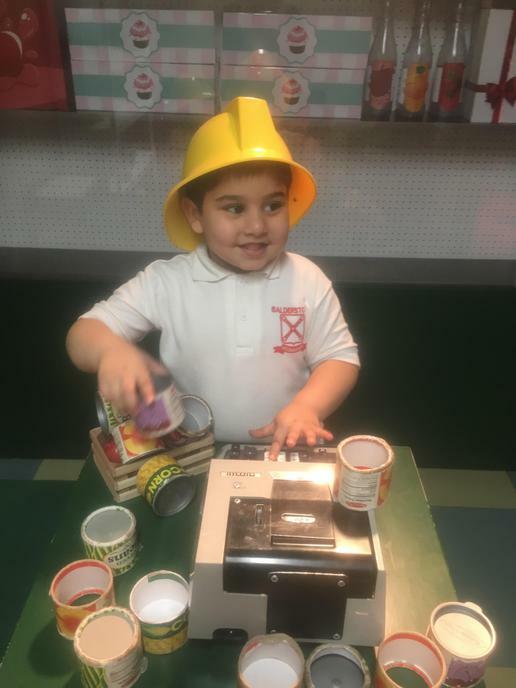 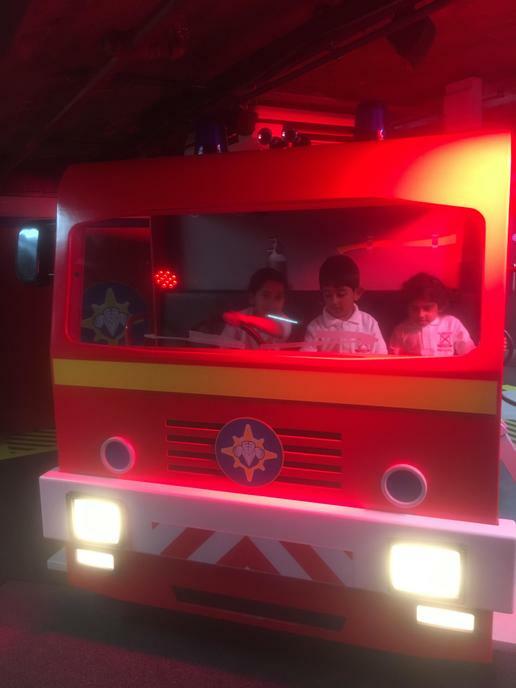 He told us all about the different parts of a fire engine. 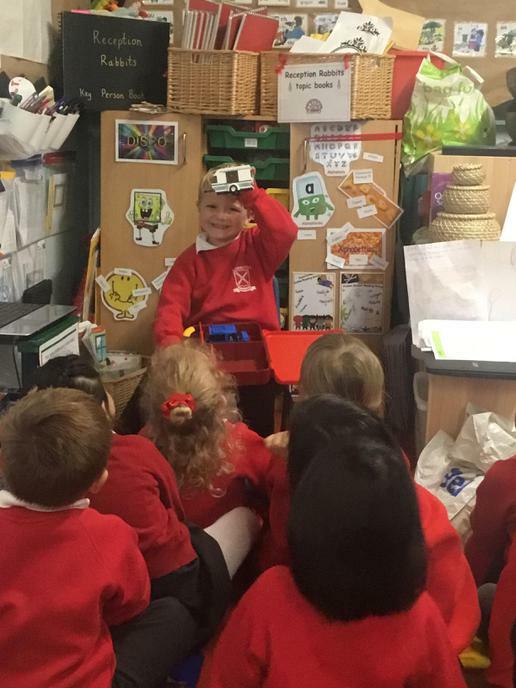 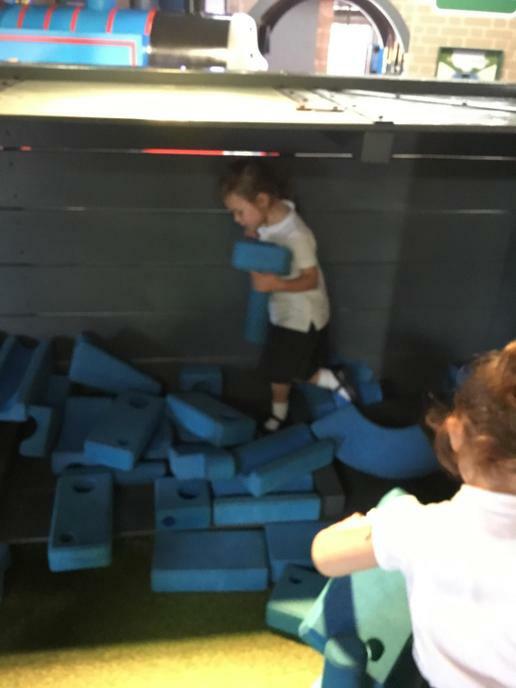 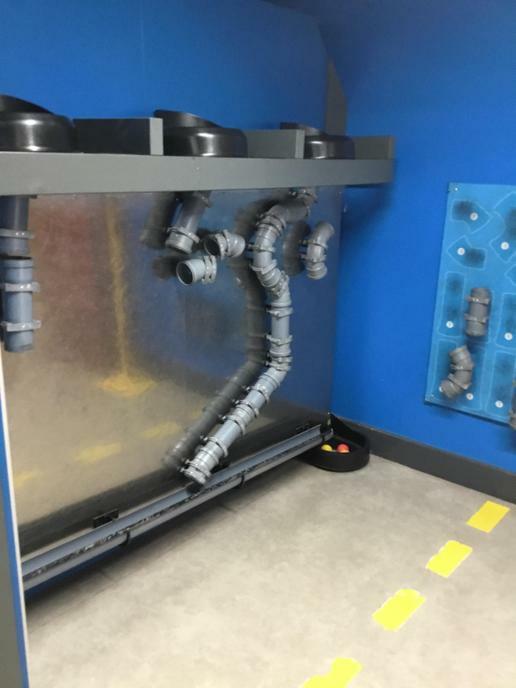 Luckily, there were no emergencies in the classroom! 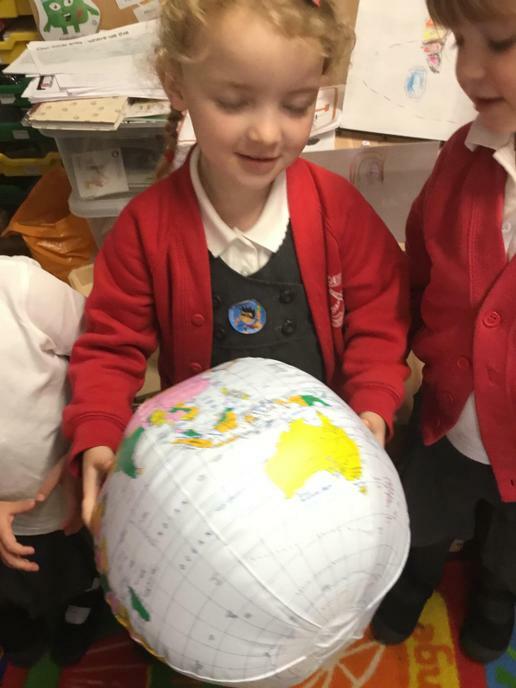 Wow, haven’t we got a lot of water on earth?! 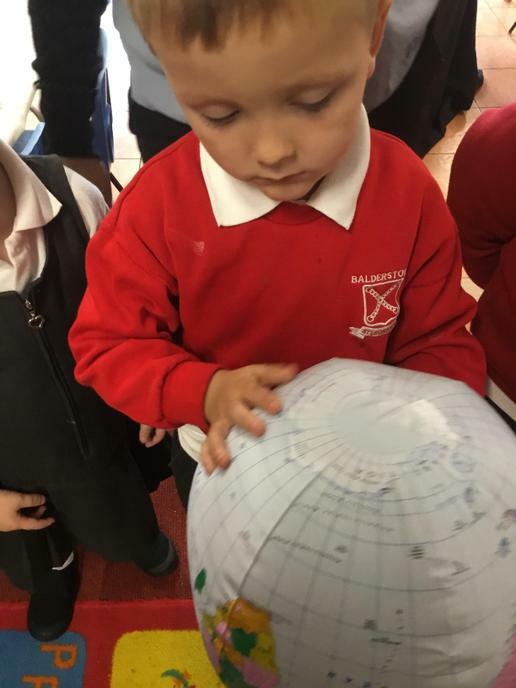 We threw the globe 🌏 around and saw whether our hands landed on water (sea) or land - most of our hands ended up landing on water!! 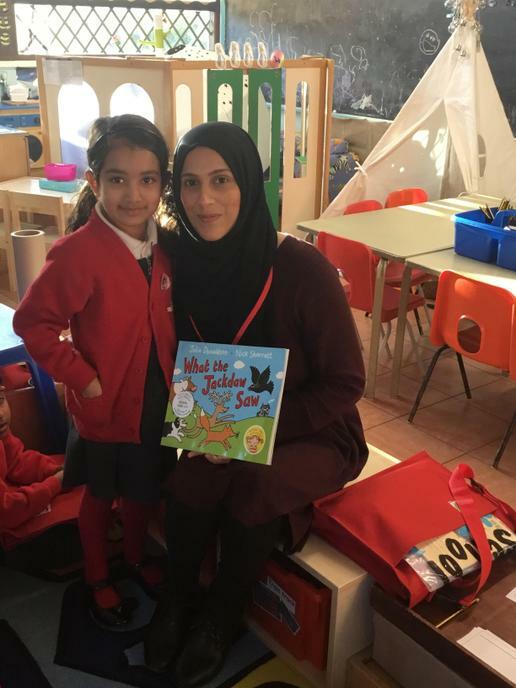 Thank you so much to our first parent reader. 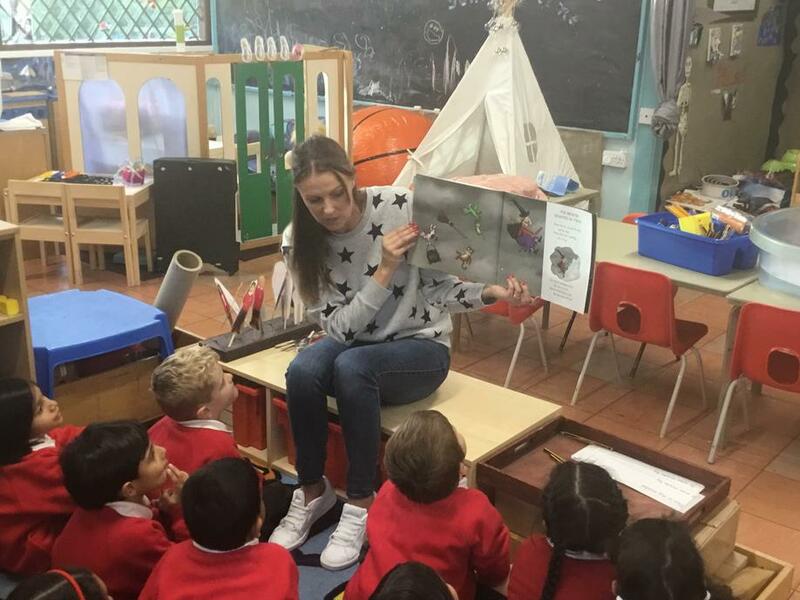 The children loved you being in class sharing a story with them. 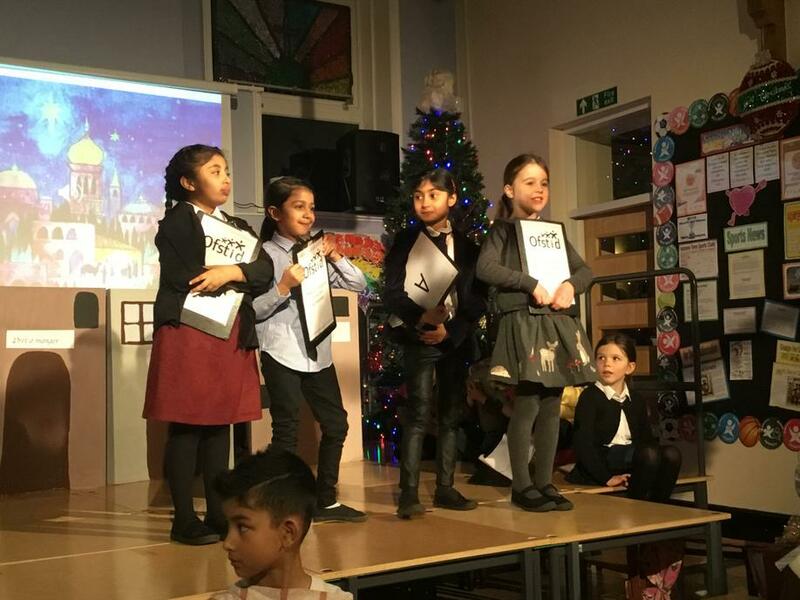 They listened so well and we hope that we can invite you back in in the future. 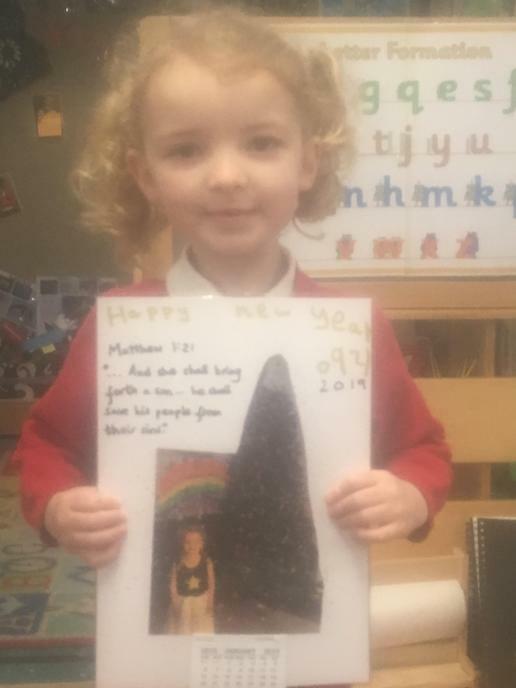 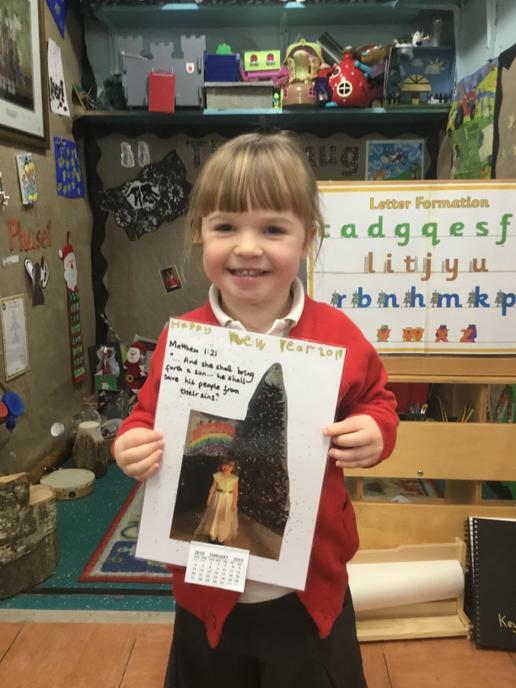 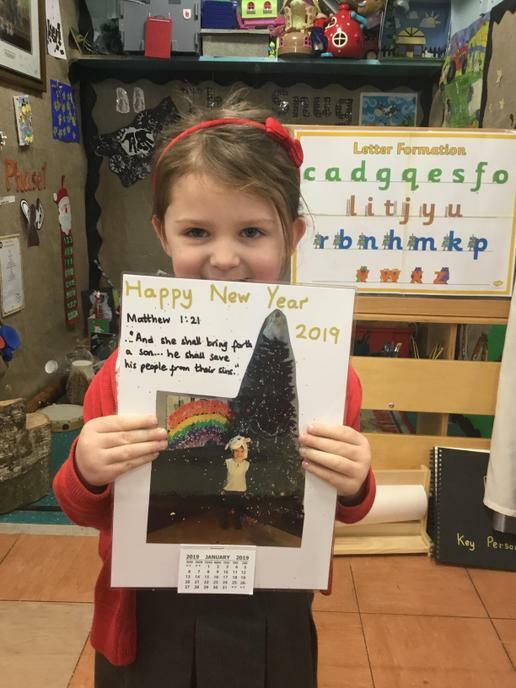 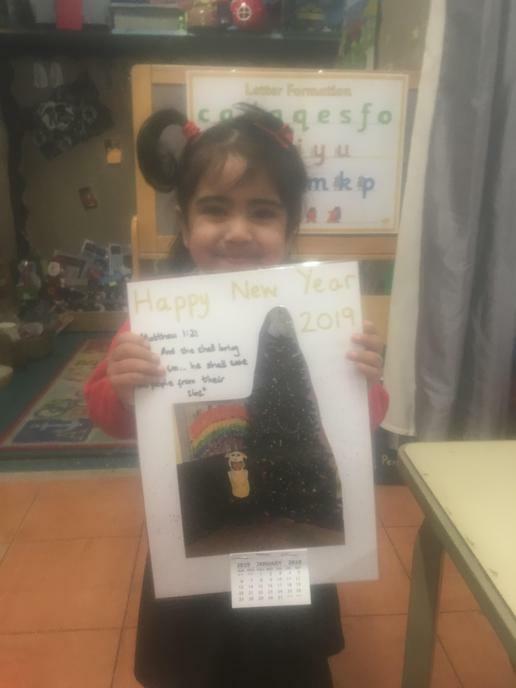 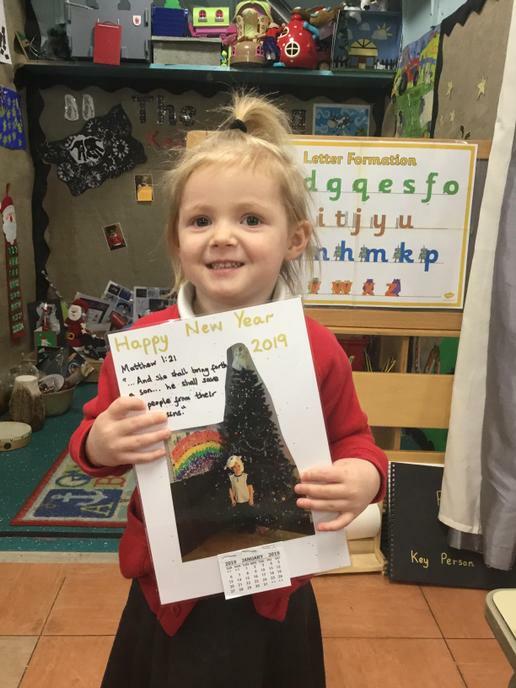 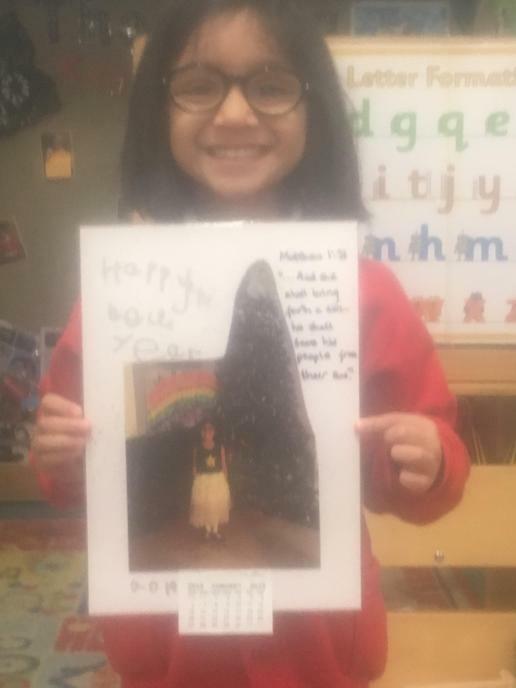 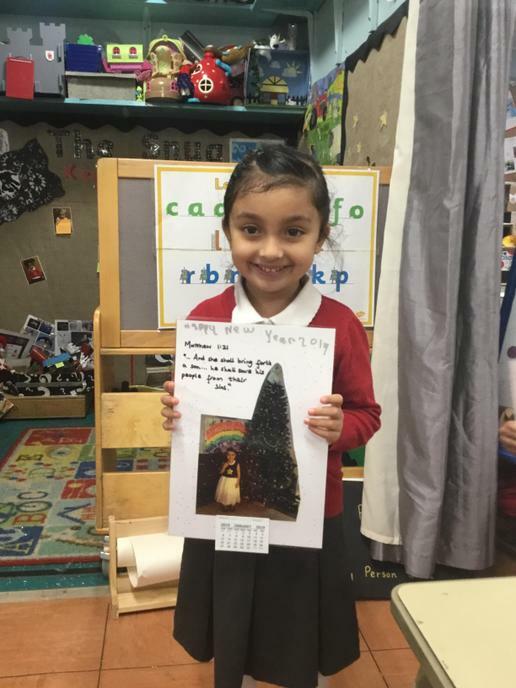 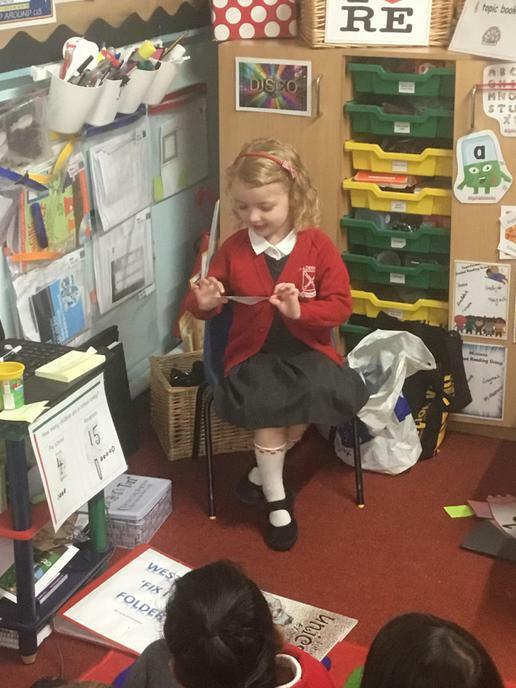 Show and tell - I was amazed by a home made scrapbook which showed some of the things this little girl got up to over summer. 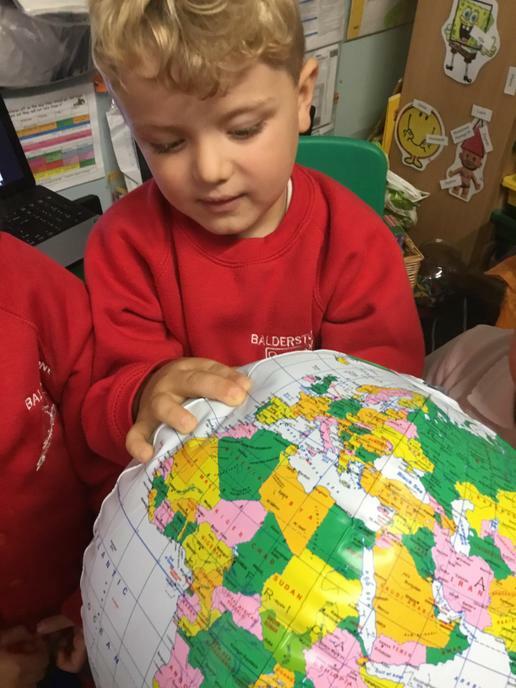 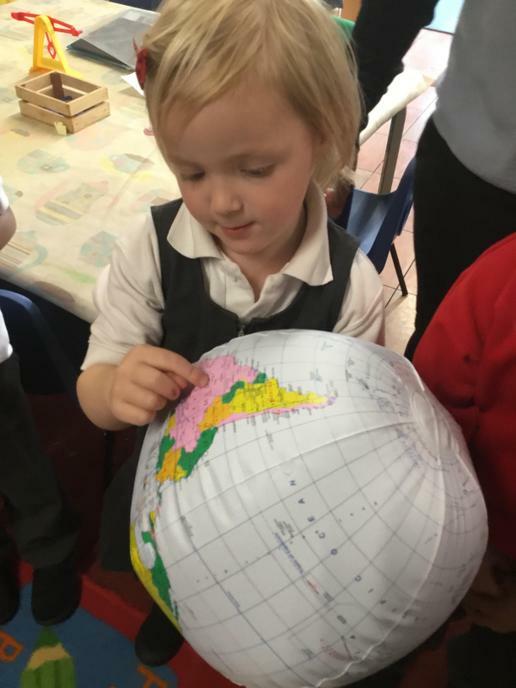 I learned about some places that I have never been to and the children asked some lovely questions. 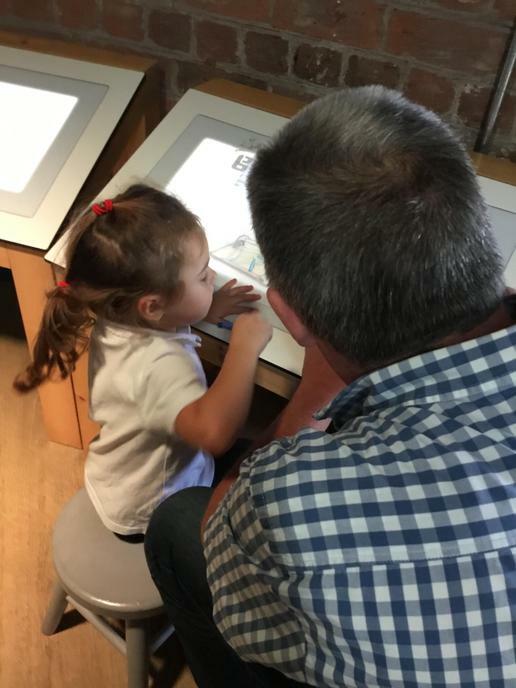 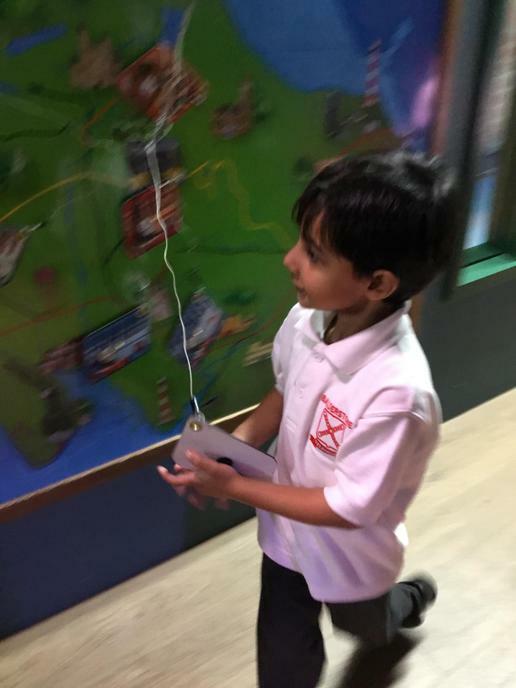 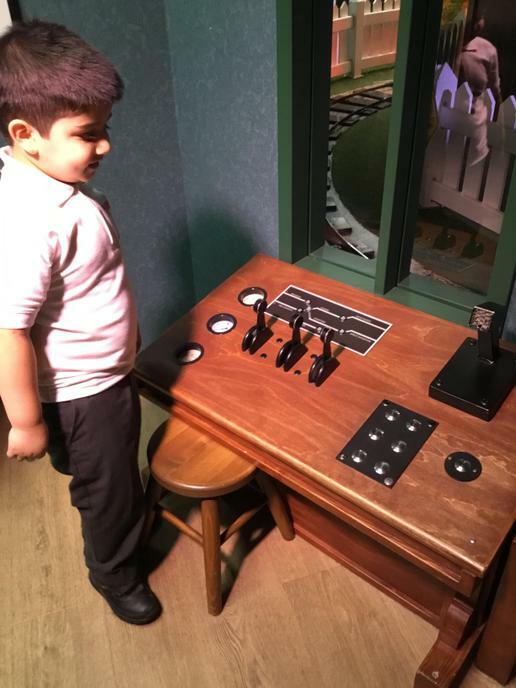 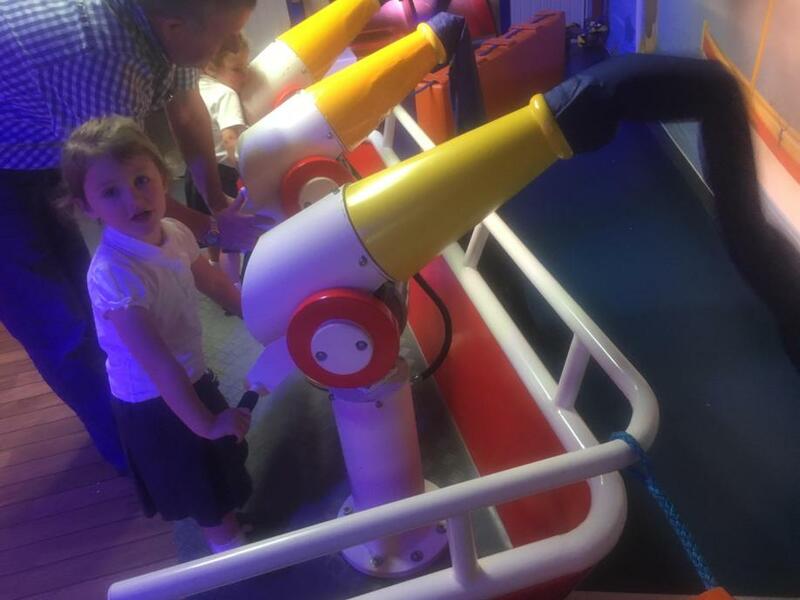 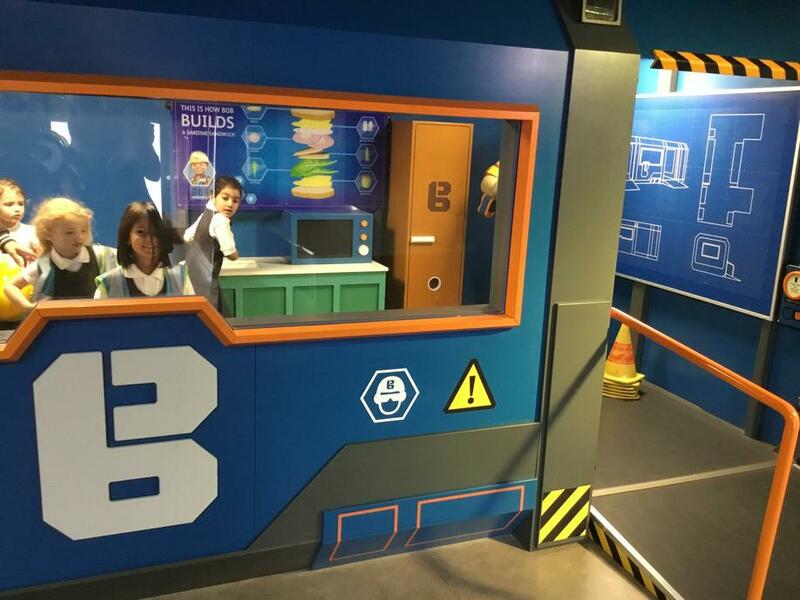 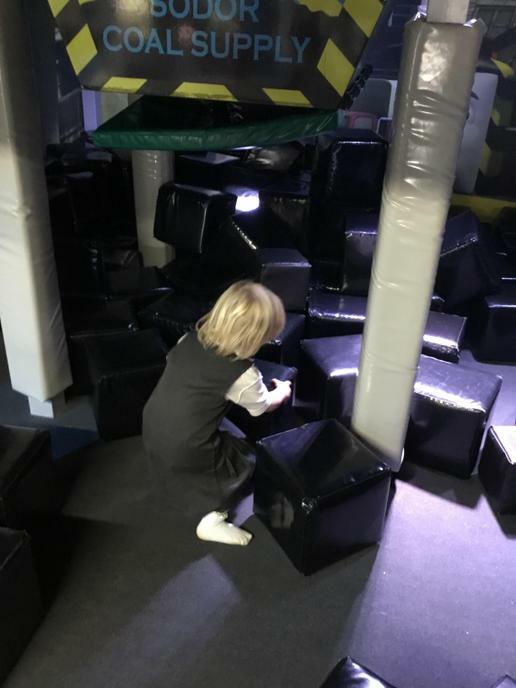 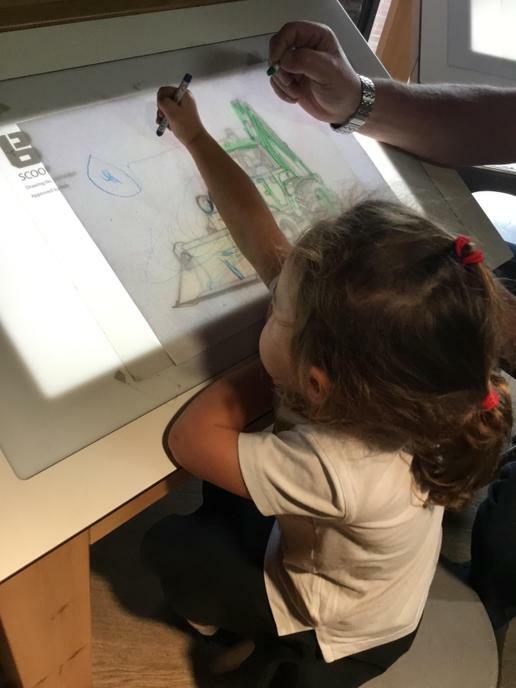 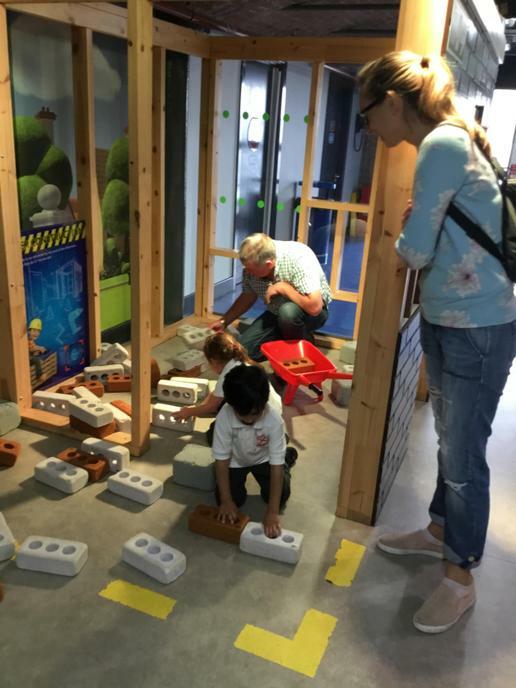 It was nice to see what families can get up to out and about leaving behind our technology driven world! 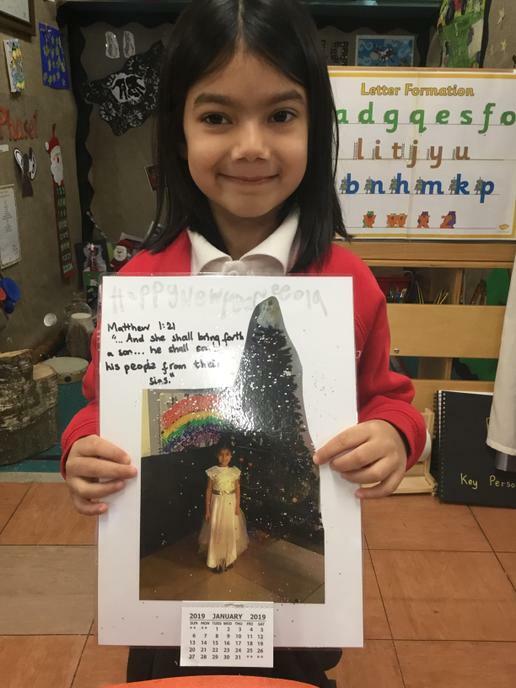 Then, we were happily surprised to see one of our girls transform into a unicorn! 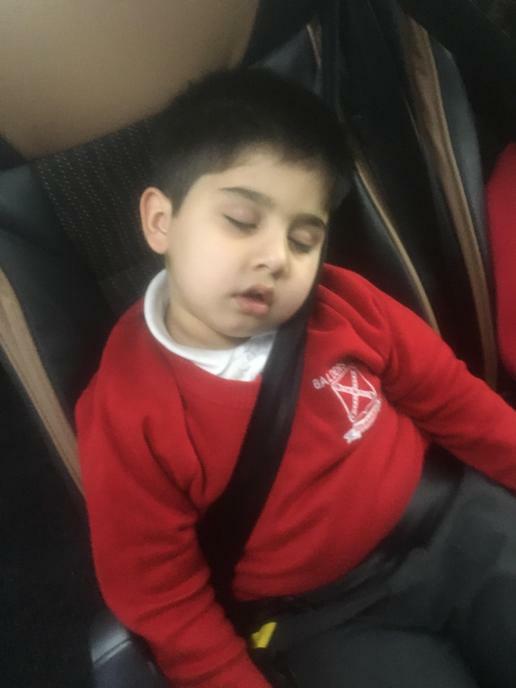 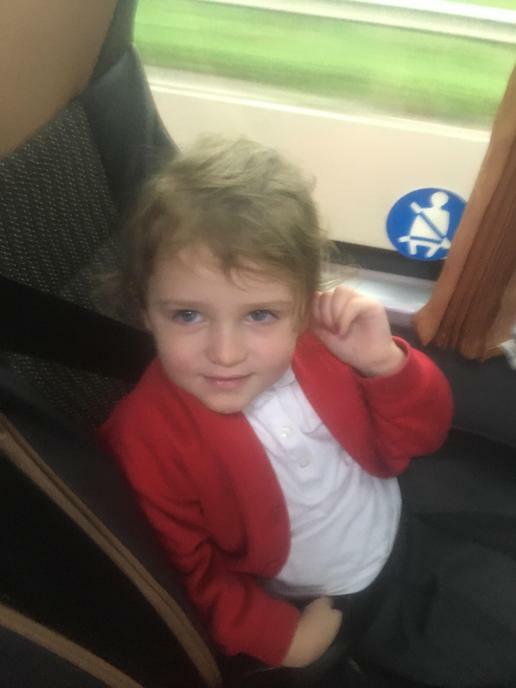 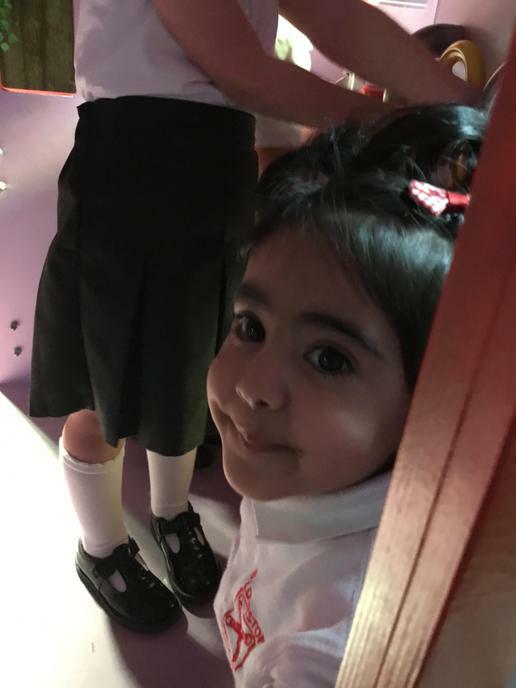 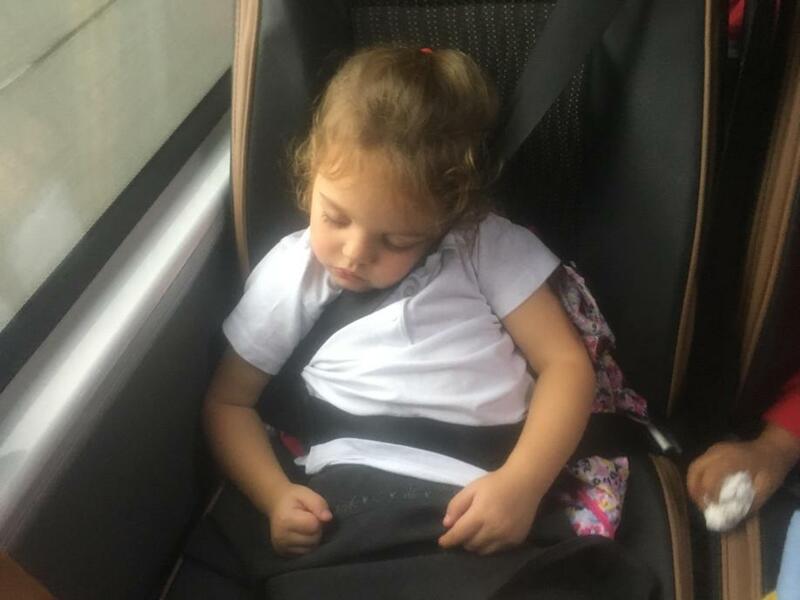 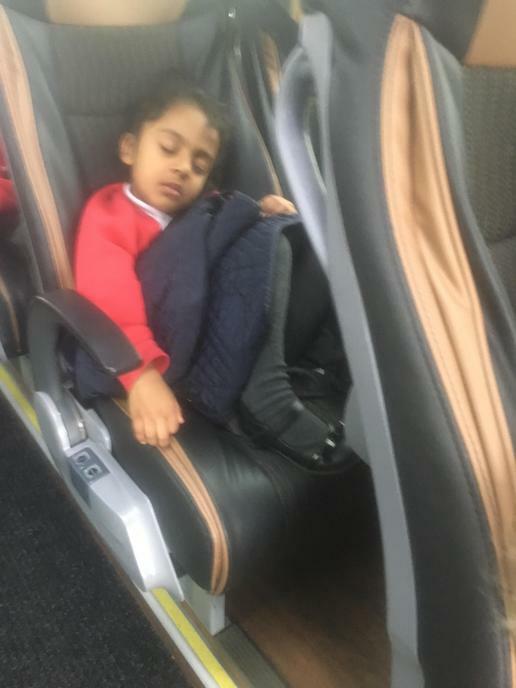 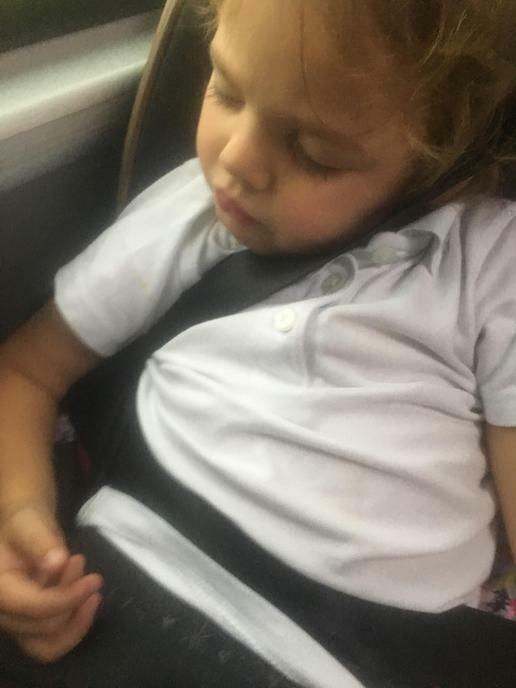 It was the day after her birthday so we got told all about her day, presents and saw some beautiful jewellery and items that were very precious to this newly turned 5 year old! 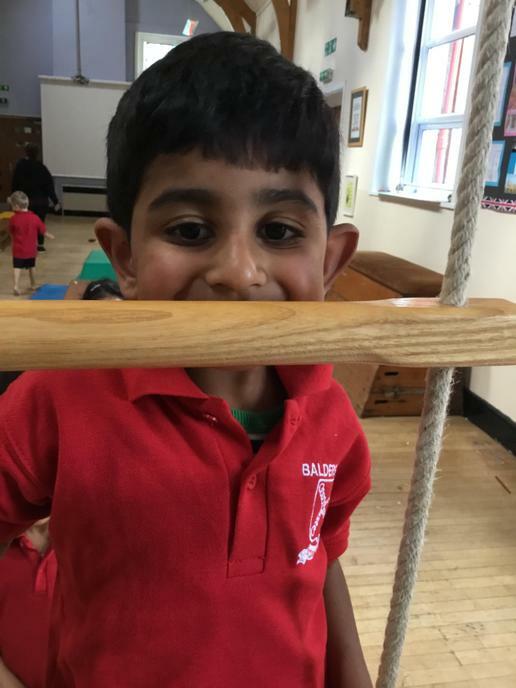 Happy Birthday to you, from all of the crew, at Balderstone St Leonard’s, enjoy your day through! 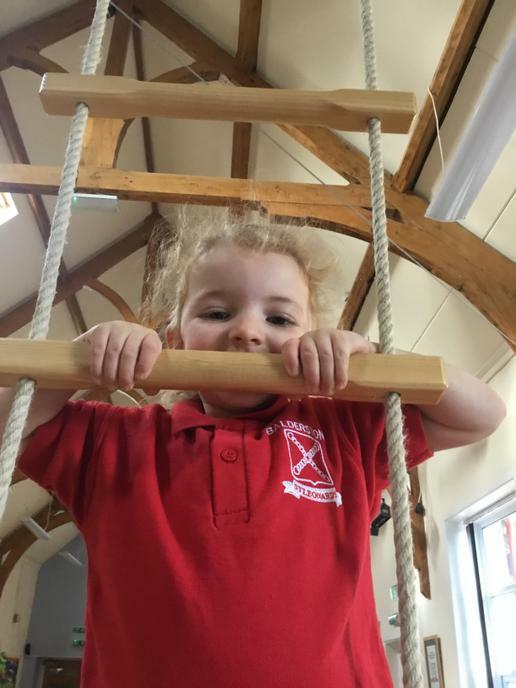 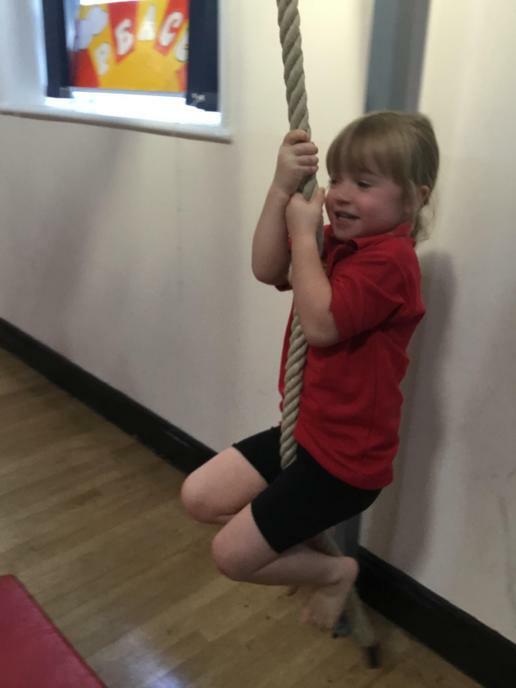 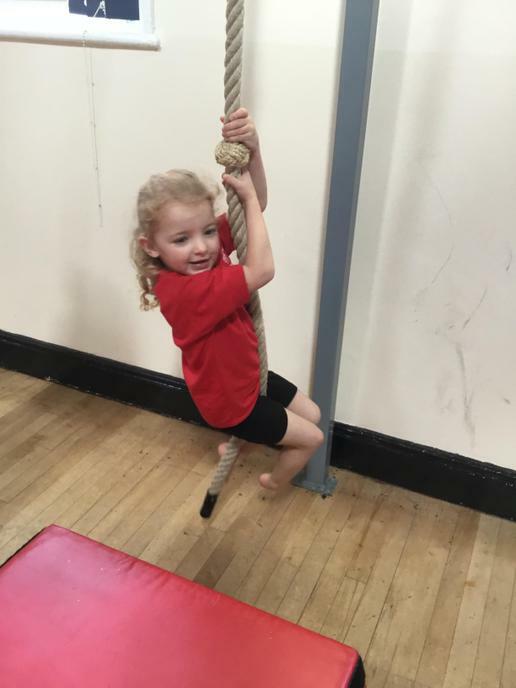 PE fun, climbing the rope ladder...hand, hand, foot, foot! 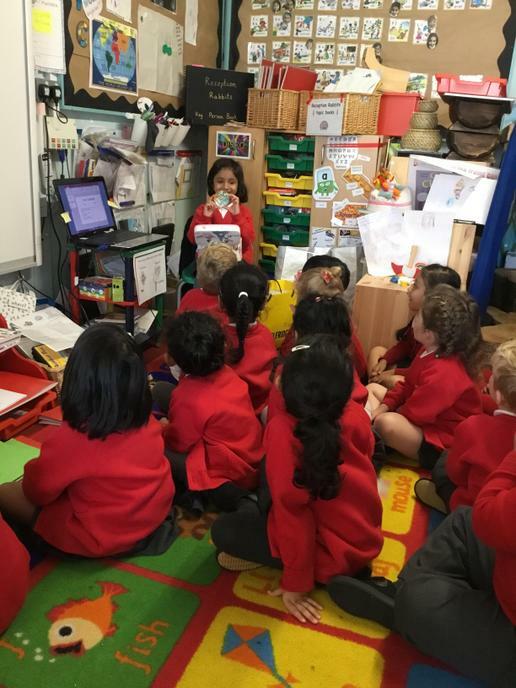 We saw so many things this afternoon in Show and Tell. 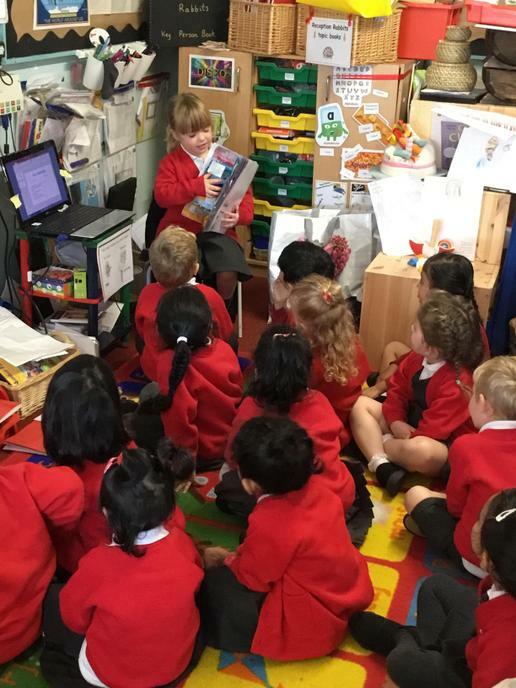 One little girl brought in some maps, sight seeing guides & a postcard from London and she told us all about her trip to London, her visit to the River Thames and shopping in...Harrods! 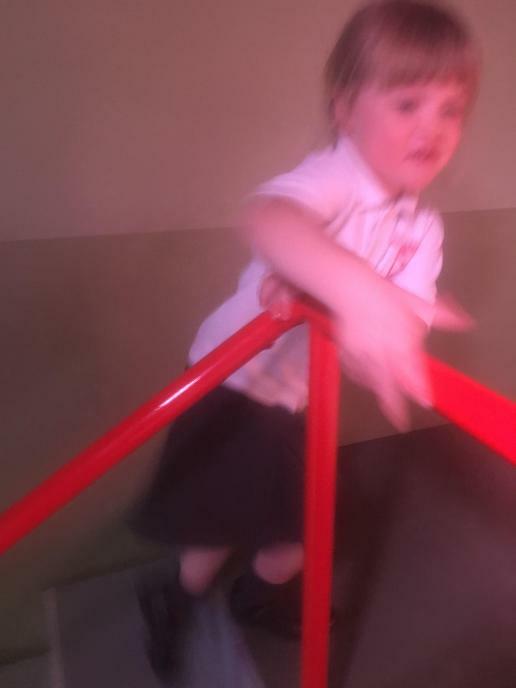 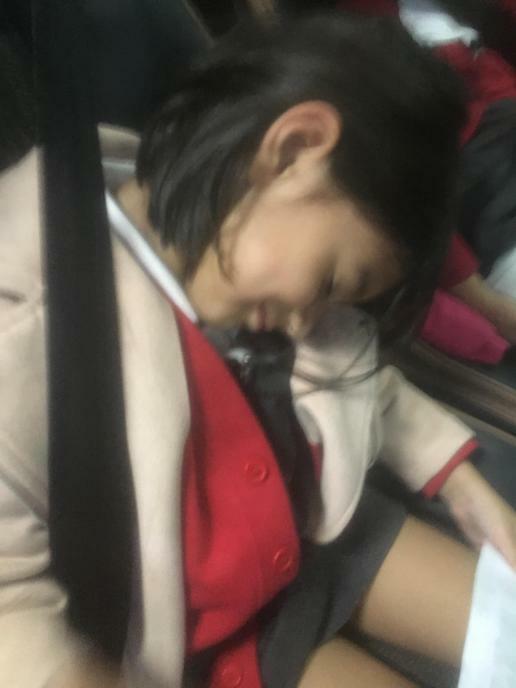 This was all before she put on her Gi and got out of the teachers wrist grab. 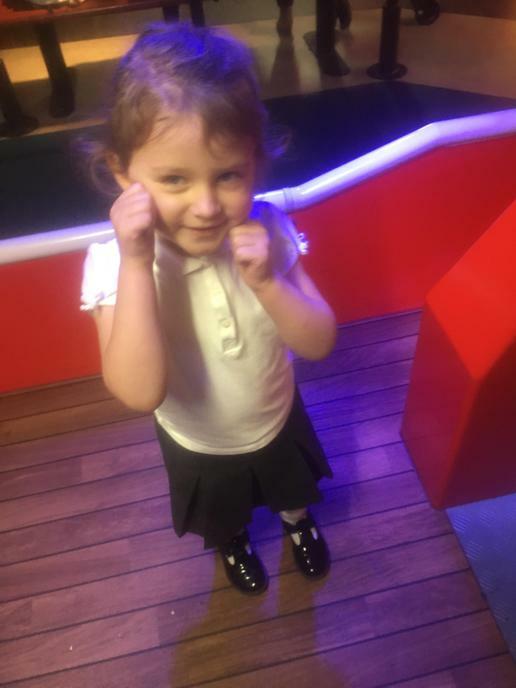 No messing with this little lady! 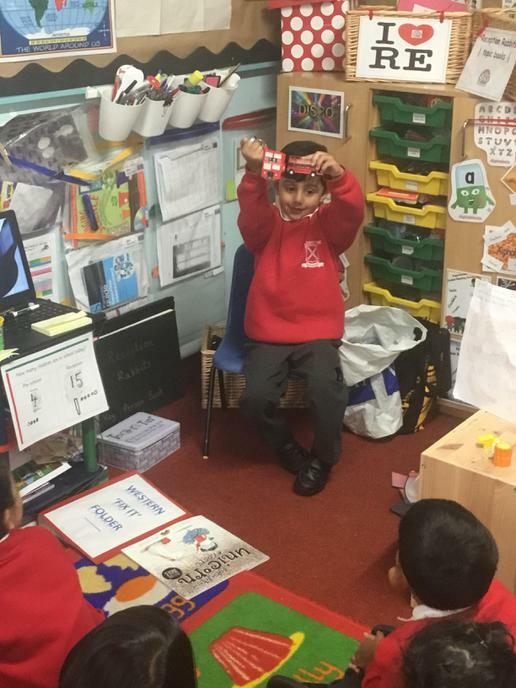 We were then entertained with a little boy who brought in one of my favourite toys...Lego! 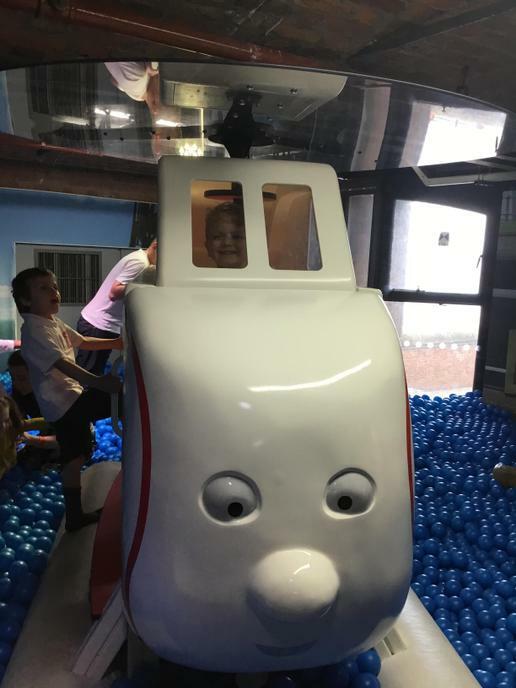 I was trying to guess what Lego set was in the case but, I should have known, there would be a caravan amongst other toys in there. 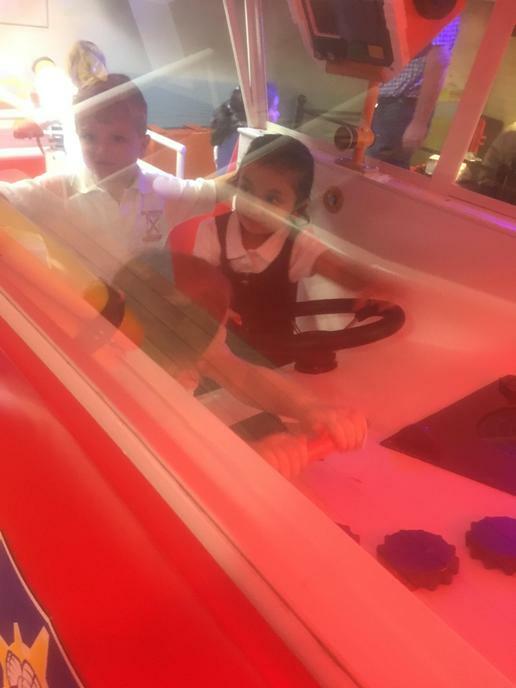 We heard a confident little boy talk passionately about his love of caravans. 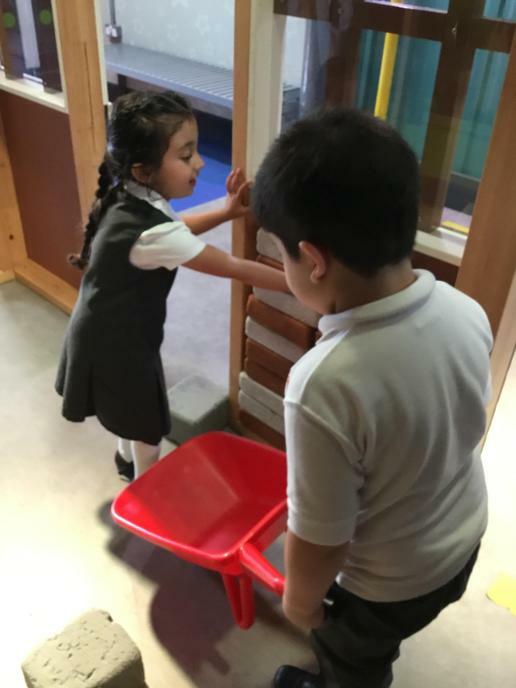 Shhhh...we’re in the library. 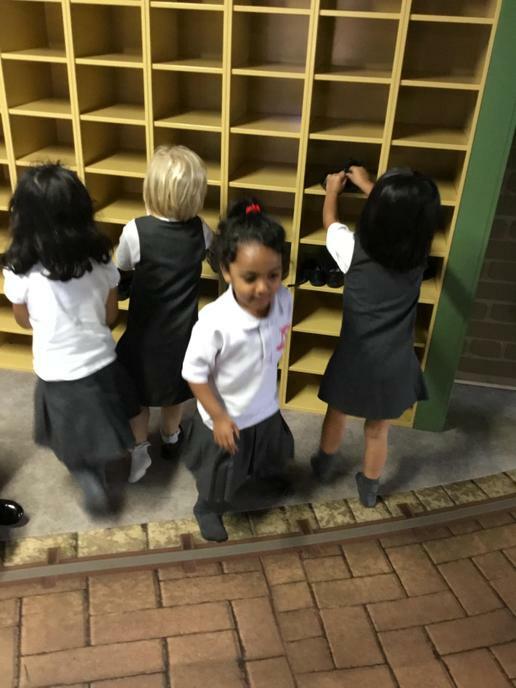 The children enjoy looking at all the books before choosing one to take home. 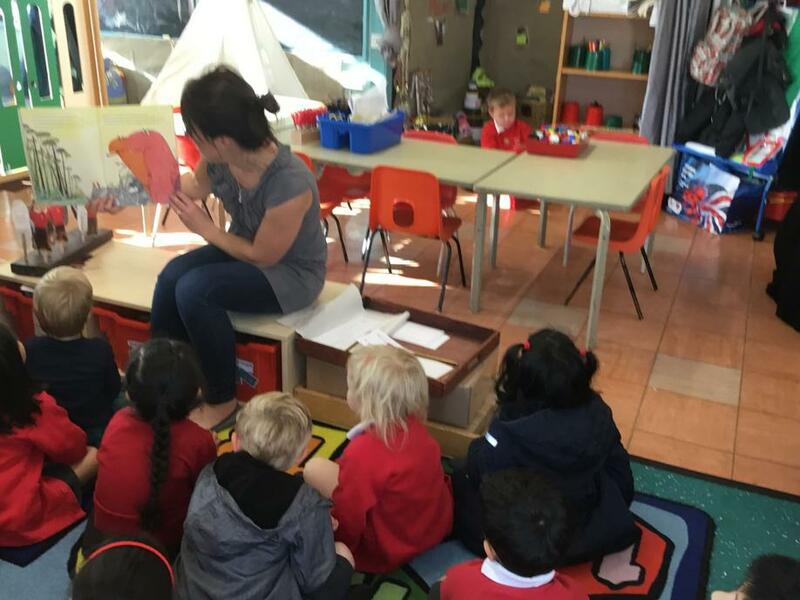 They enjoy listening to a big story where they can discuss the language and any new vocabulary. 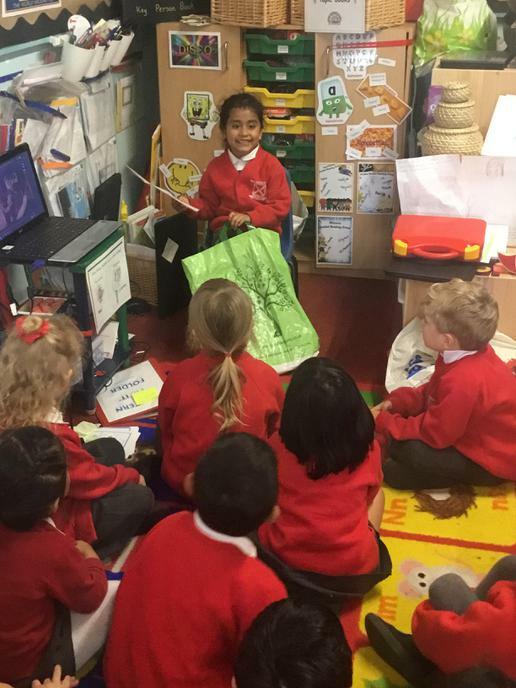 Our first Show and Tell of the year was great. 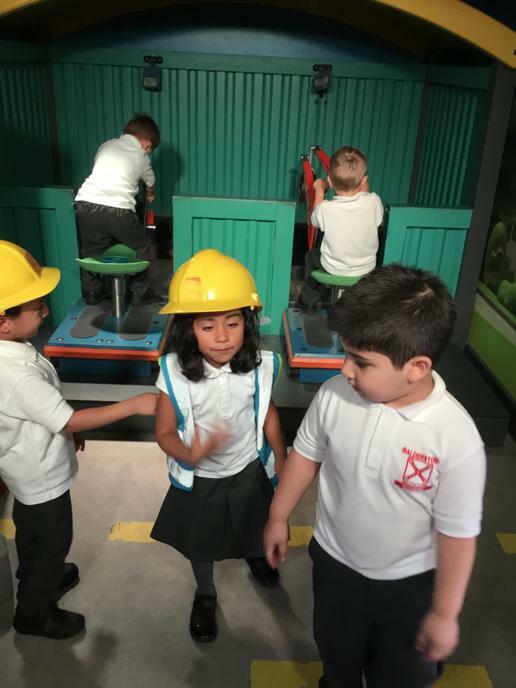 We learned all about London and the sights that you can see when you visit. 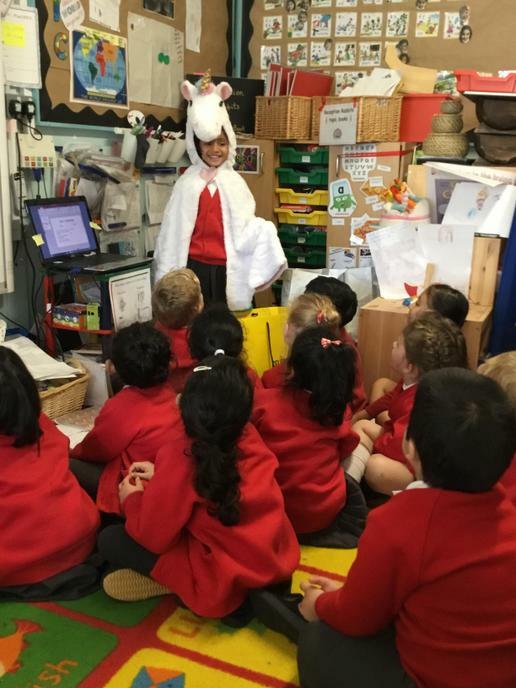 We then we got a special visitor (well, just the photograph) of Stanley the Rabbit who was a birthday present from Pets At Home. 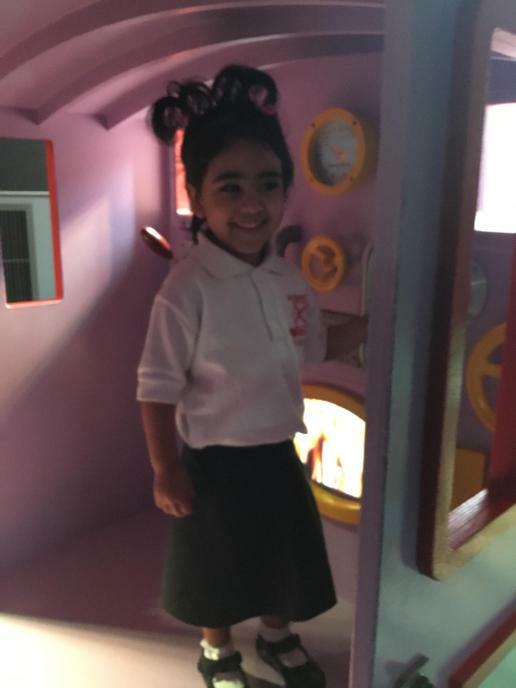 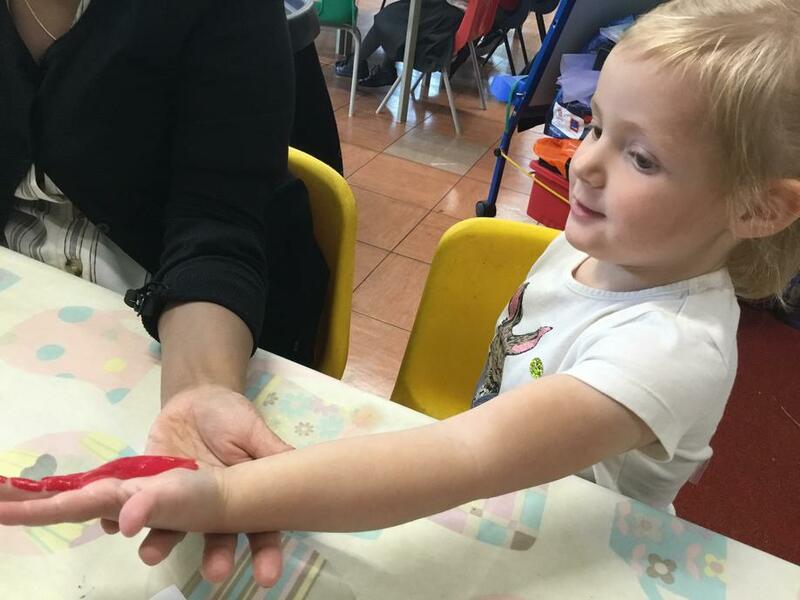 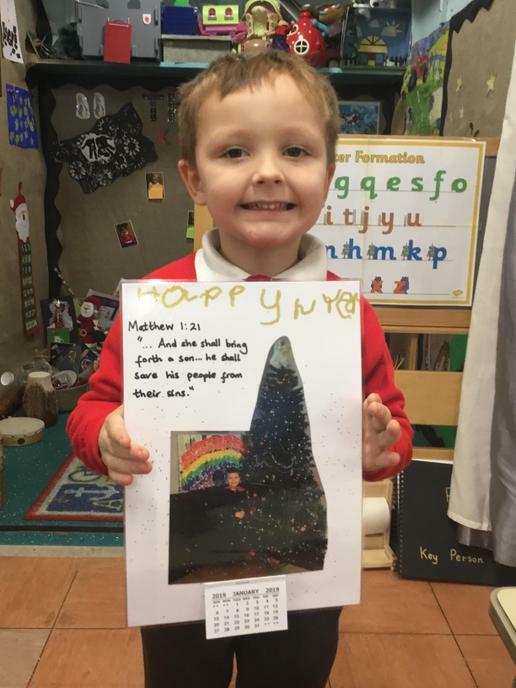 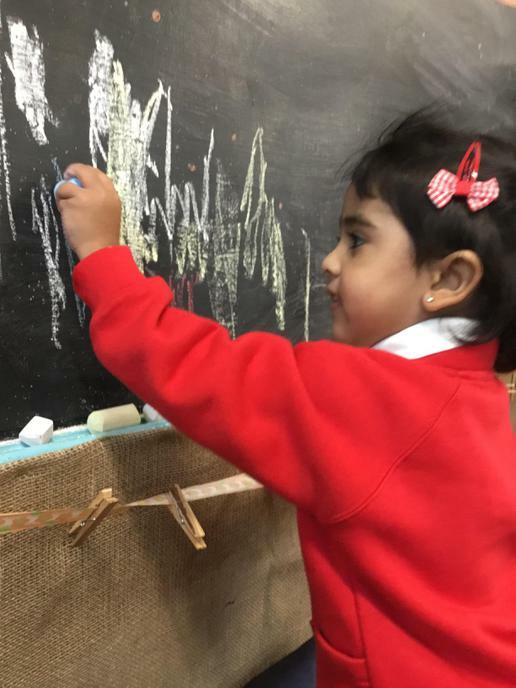 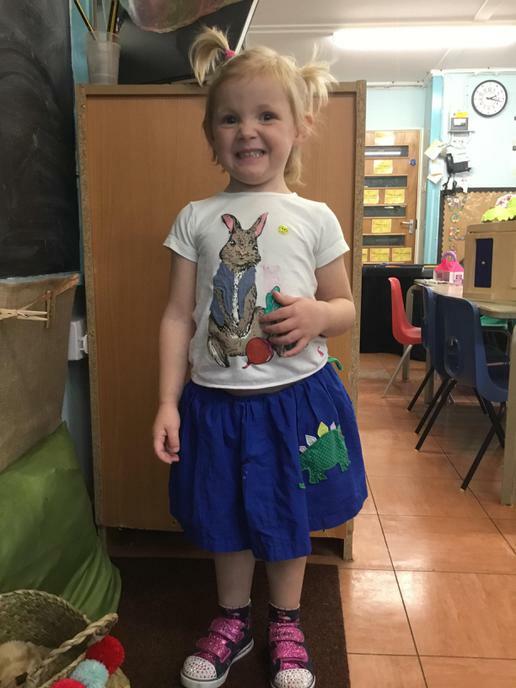 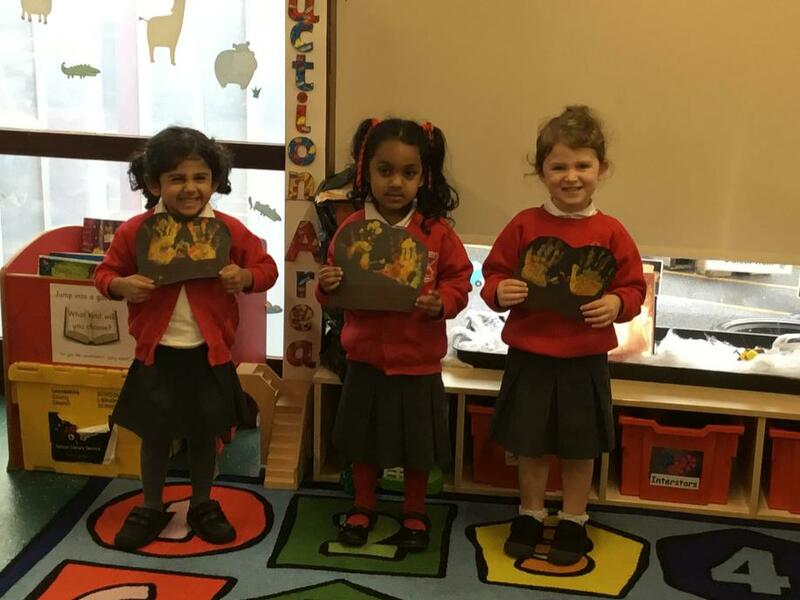 We have loved visiting our new preschool children at home and getting to know them and their families. 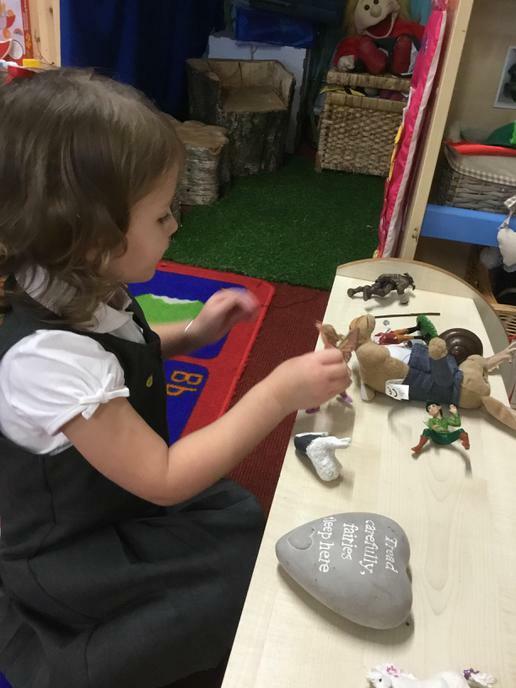 On Friday afternoon we welcomed them for a little play in our classroom. 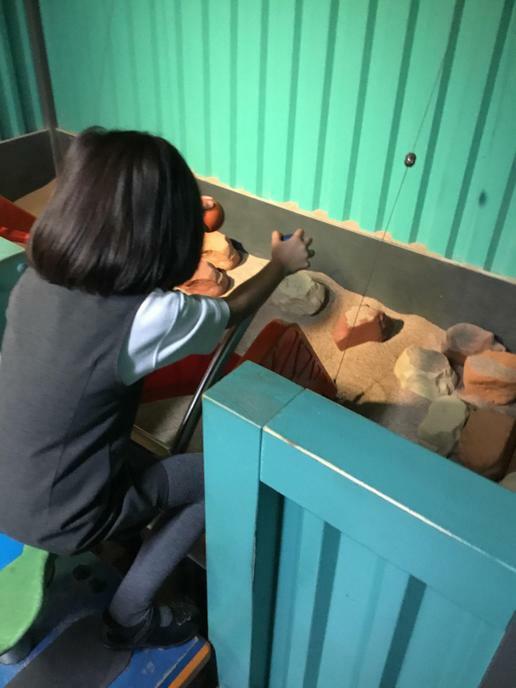 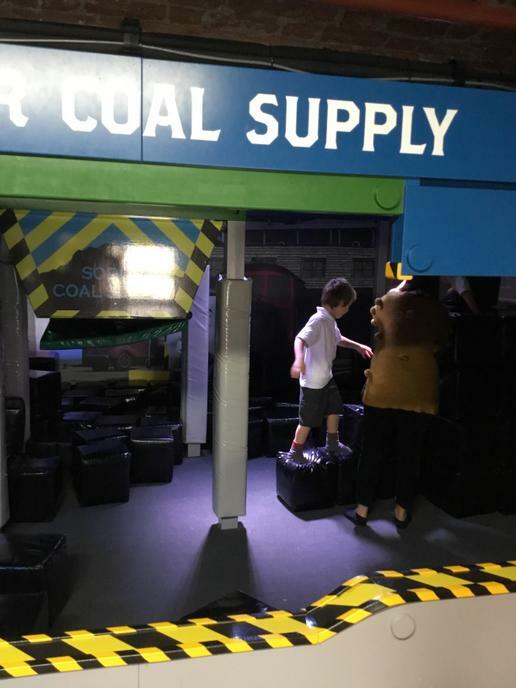 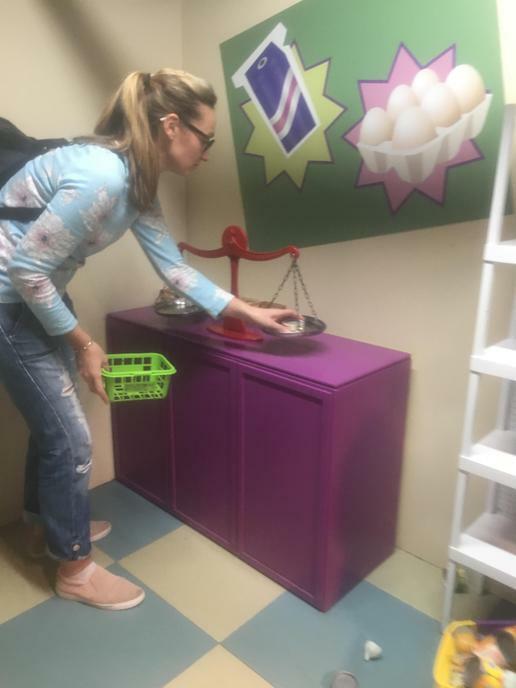 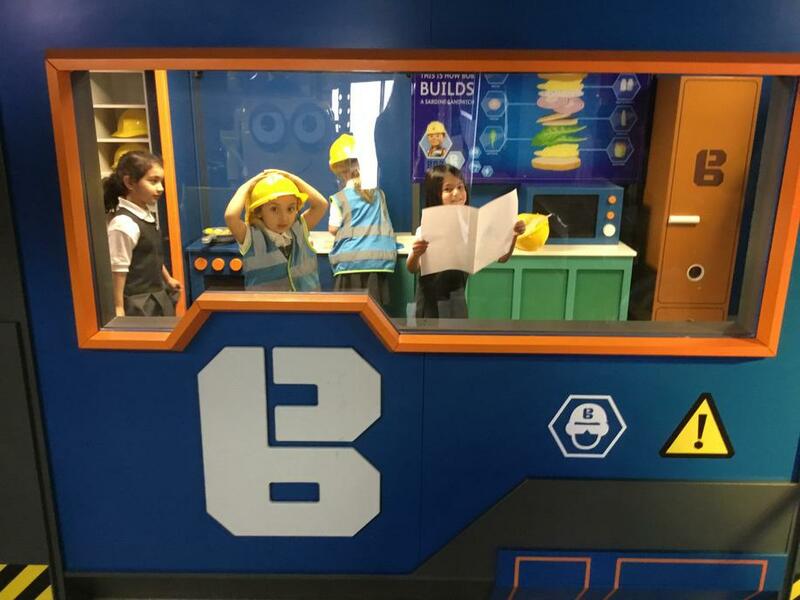 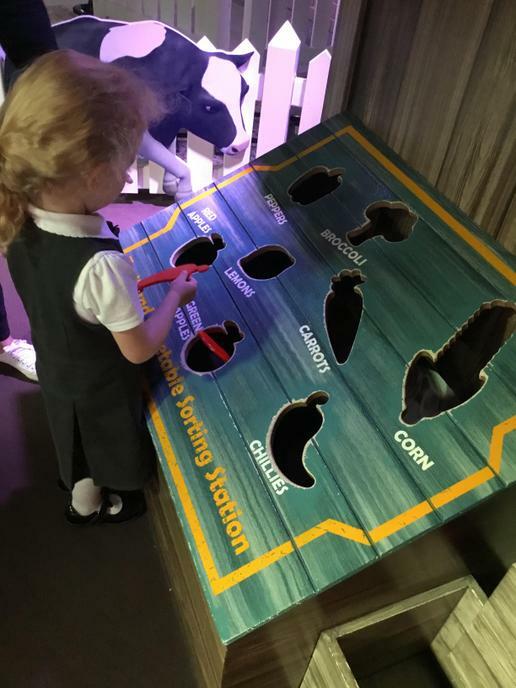 We were so surprised that the children could find the resources better than us! 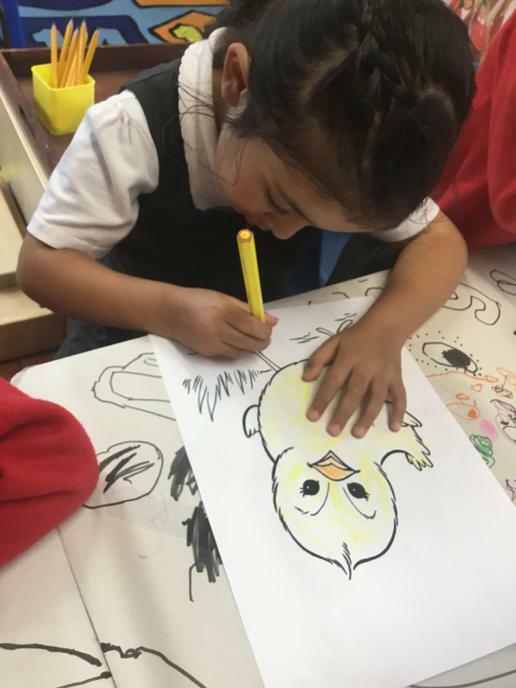 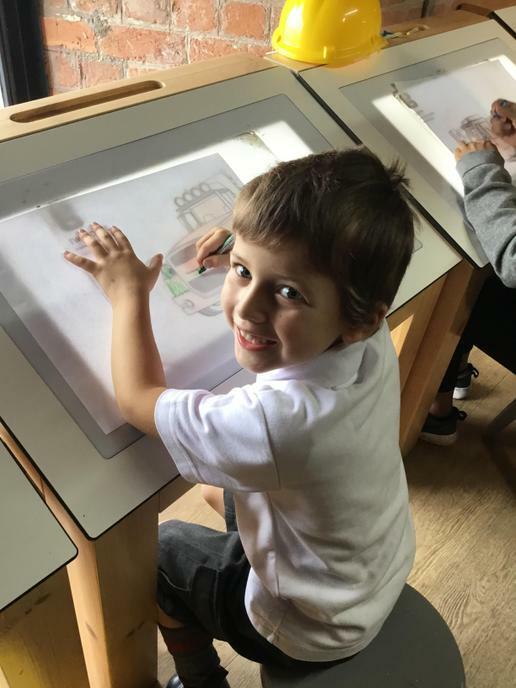 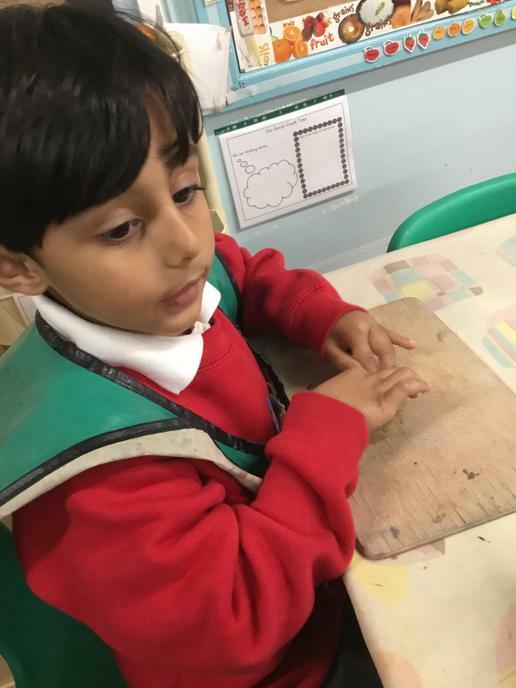 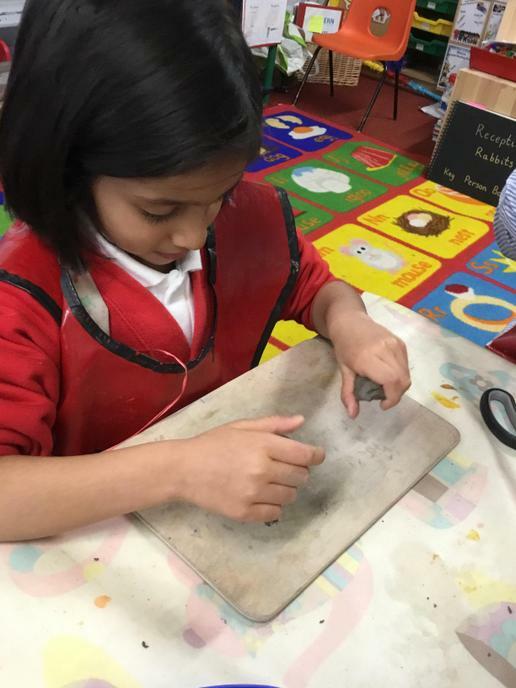 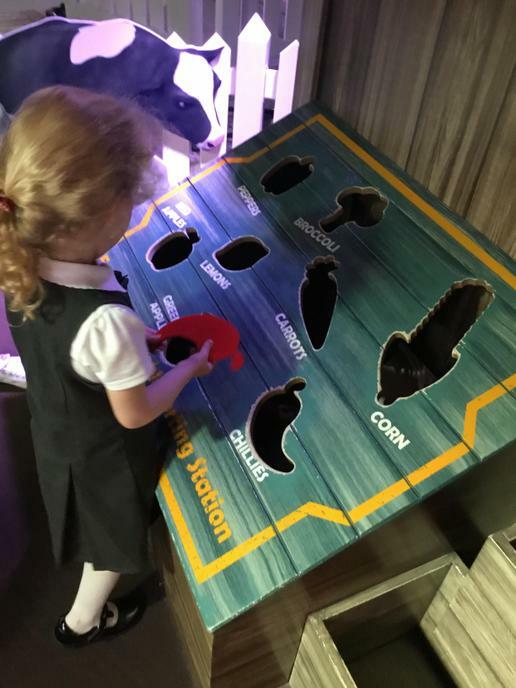 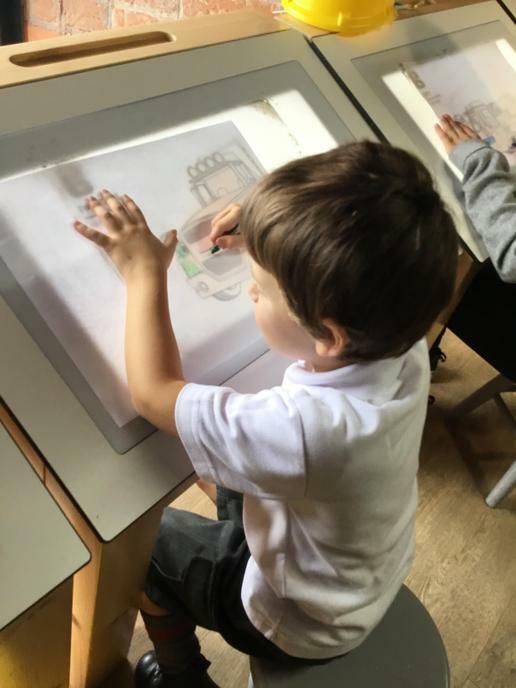 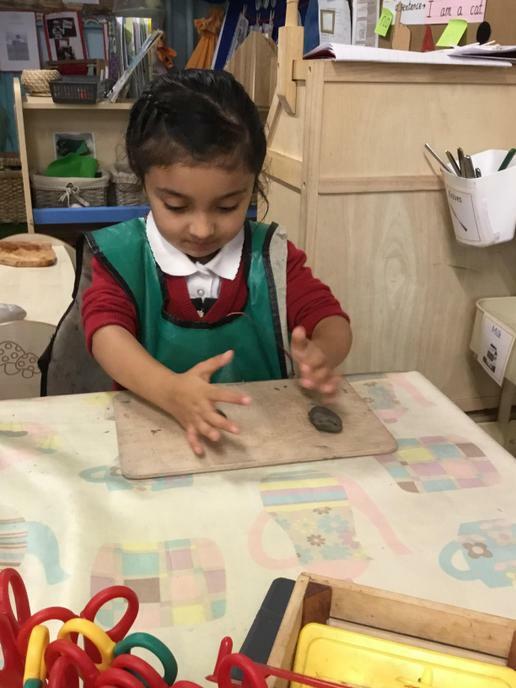 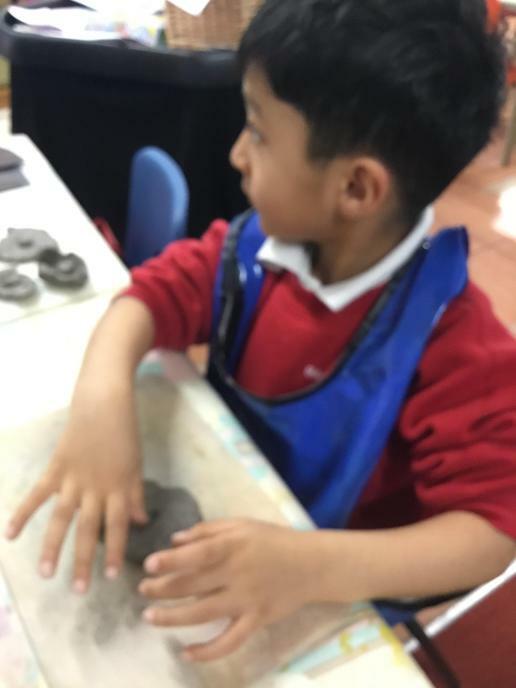 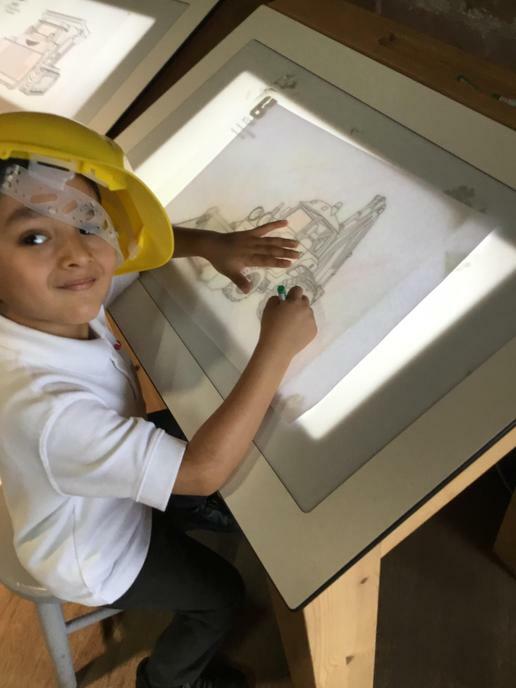 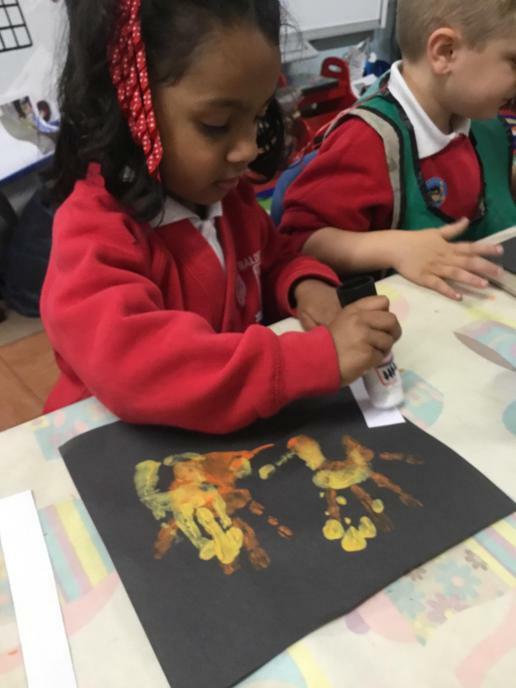 They enjoyed finding out where their trays and pegs were, exploring the continuous provision, creating their own hand print picture before finally settling down for a story. 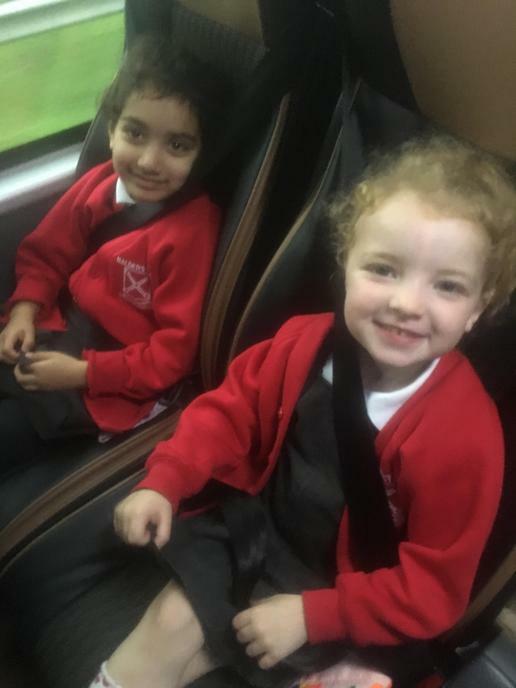 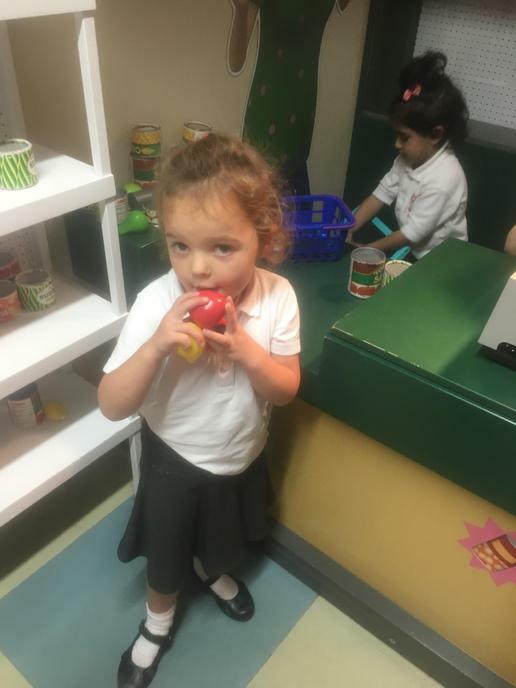 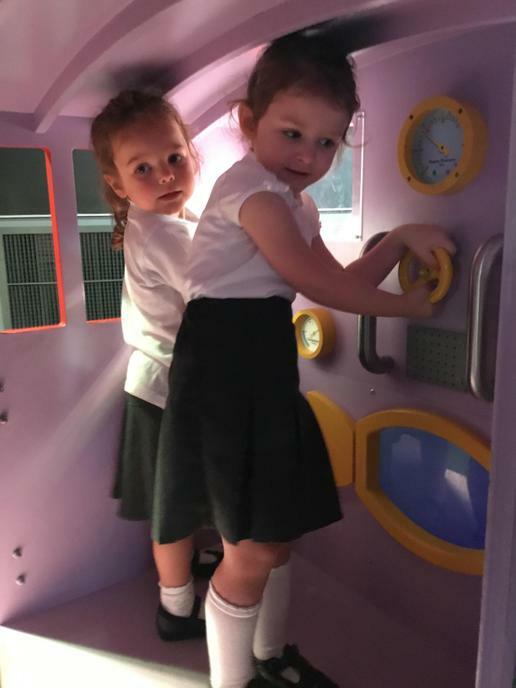 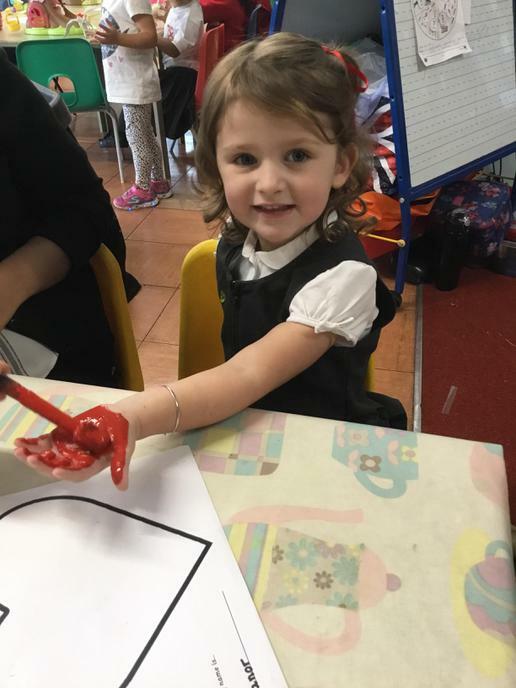 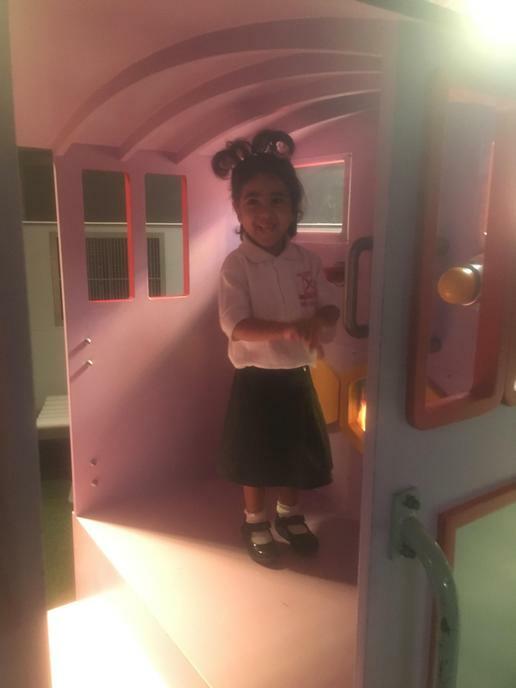 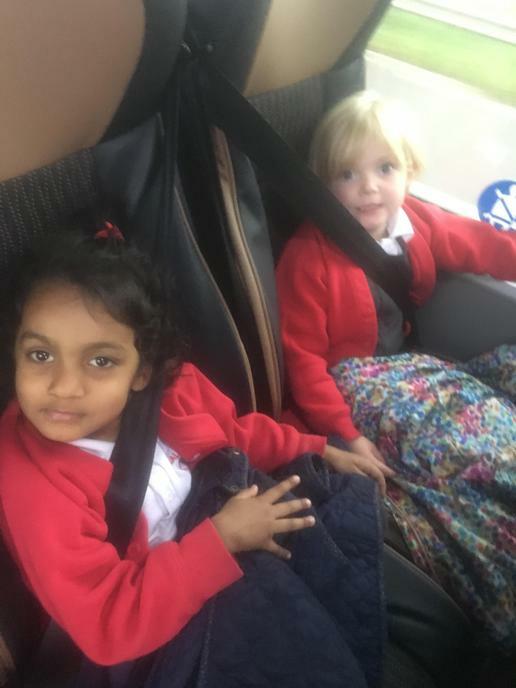 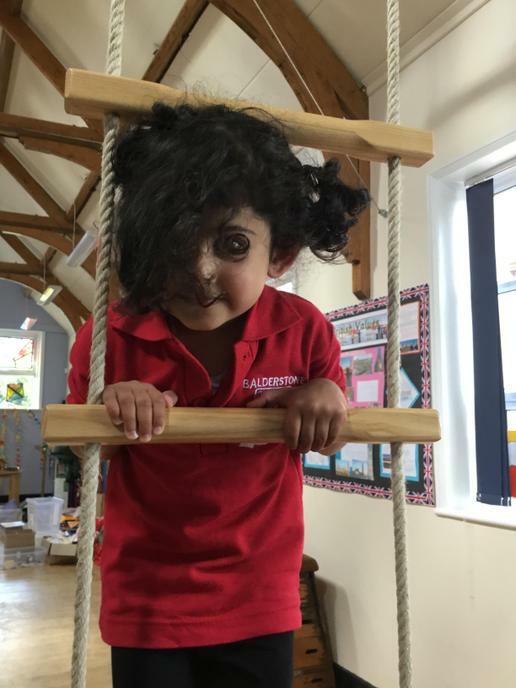 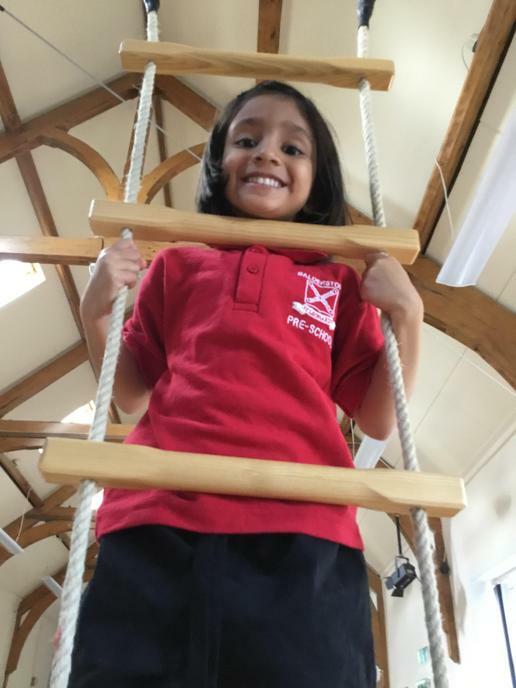 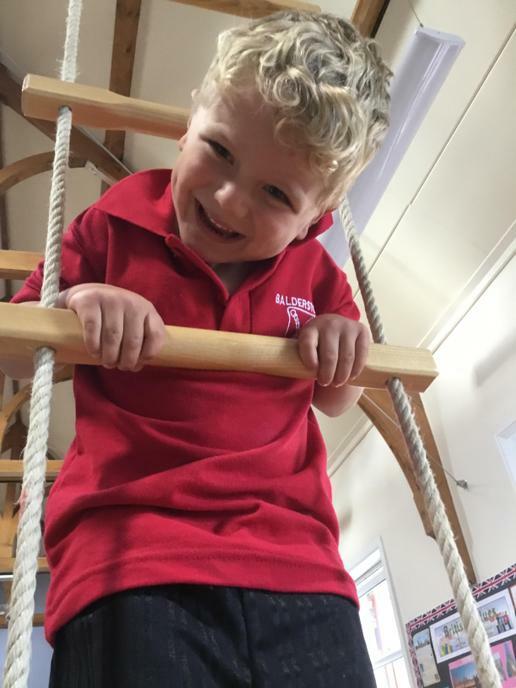 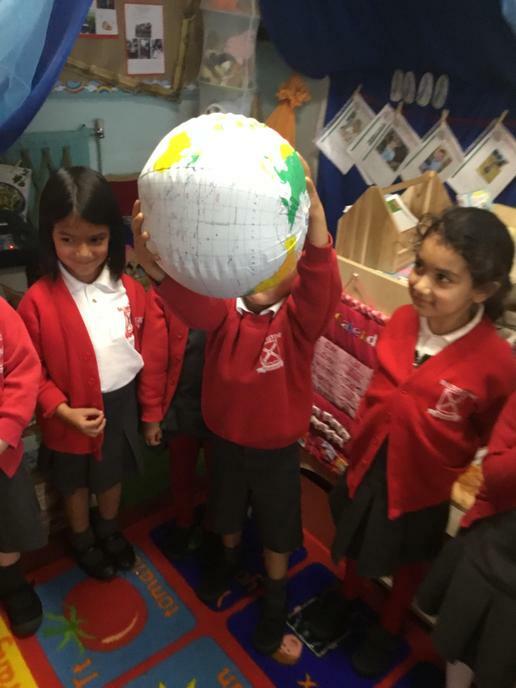 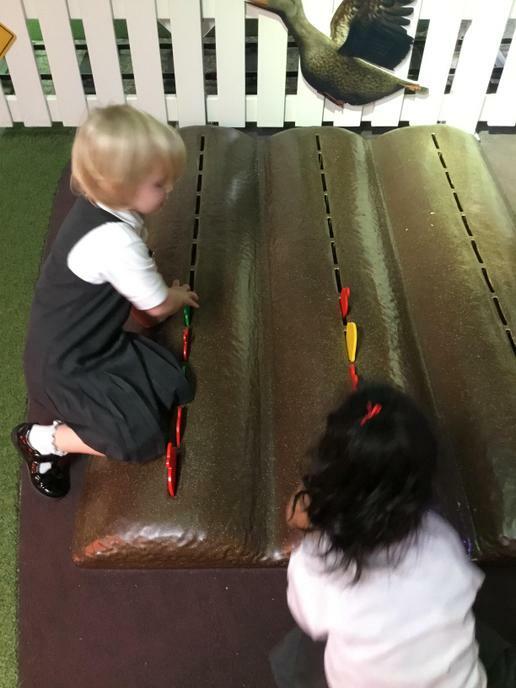 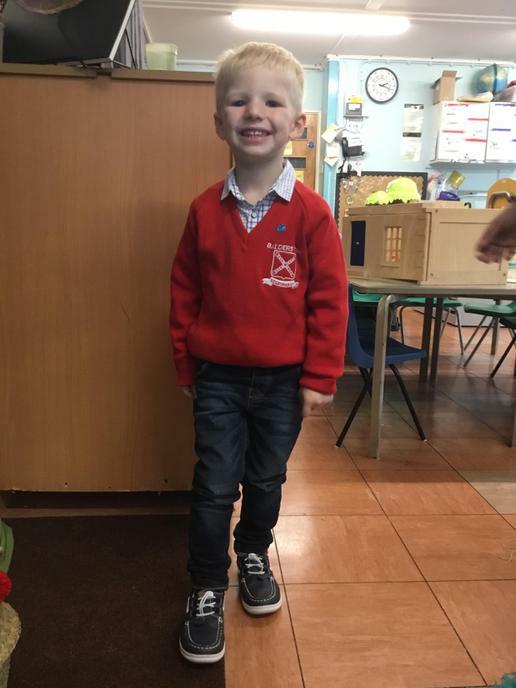 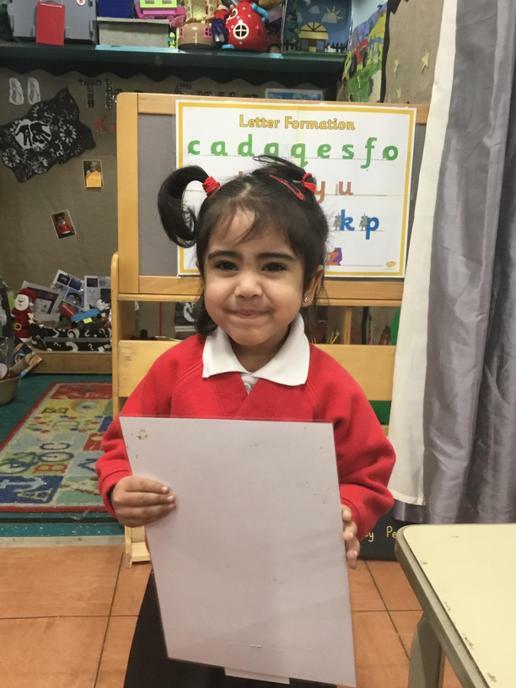 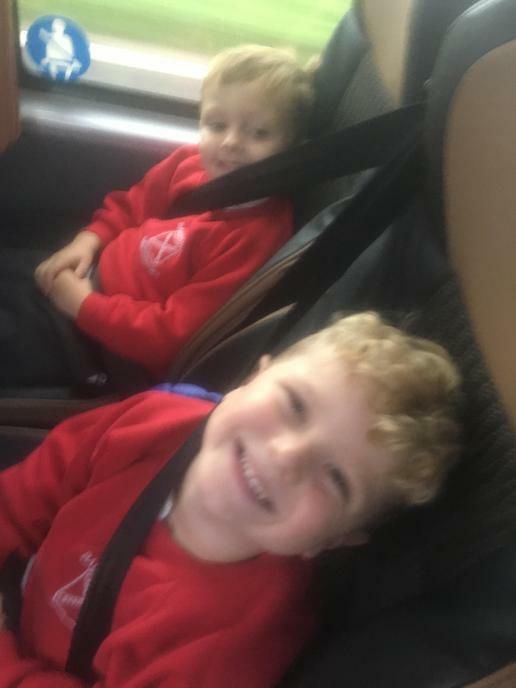 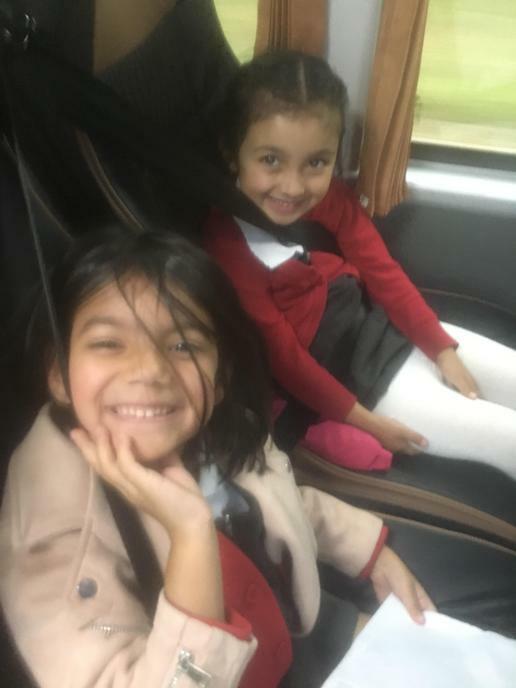 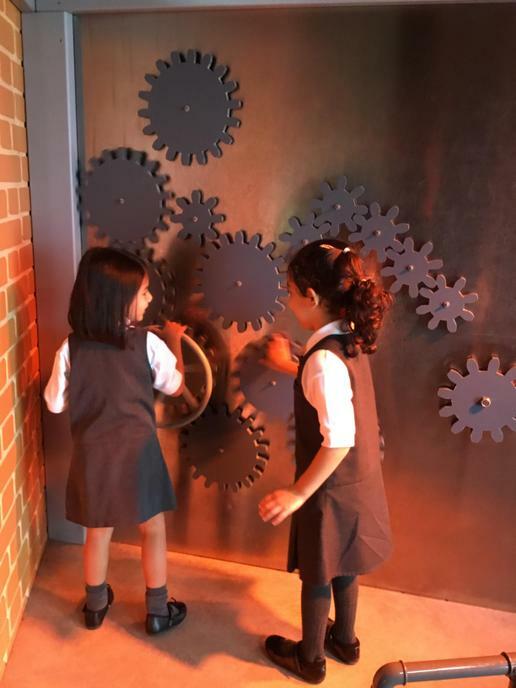 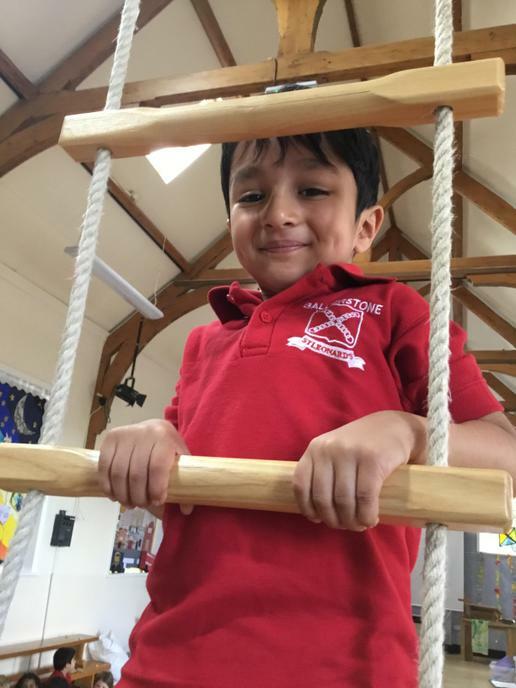 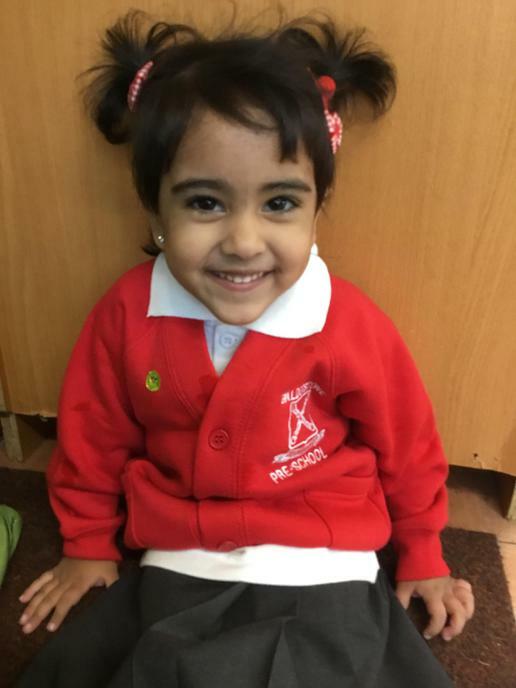 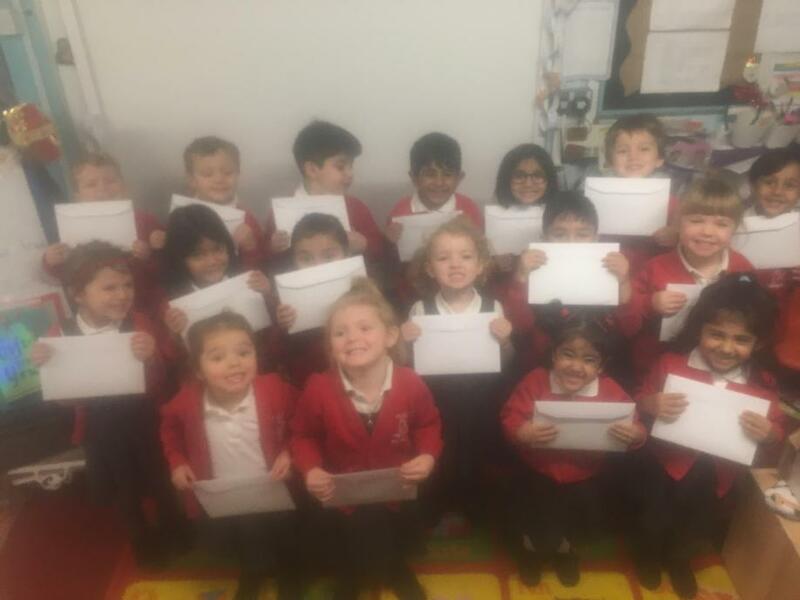 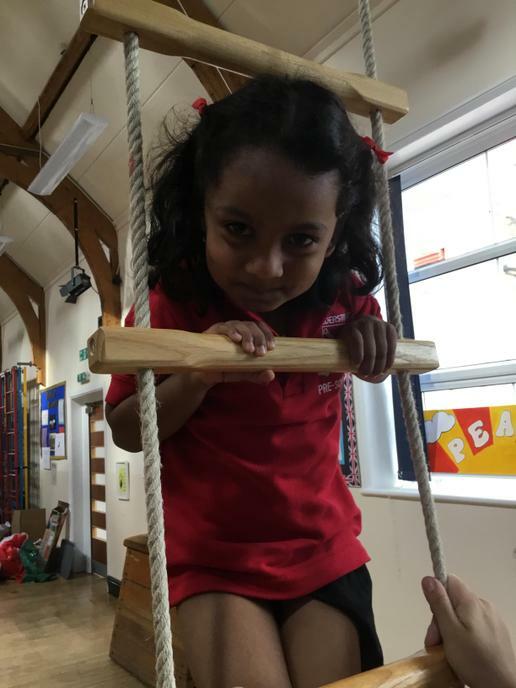 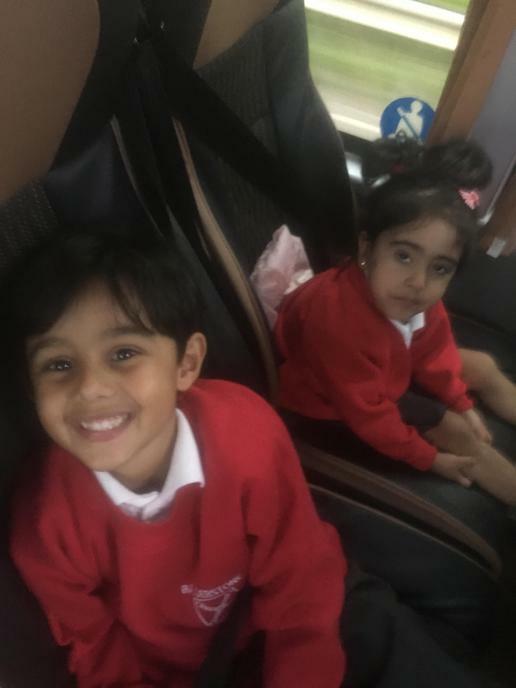 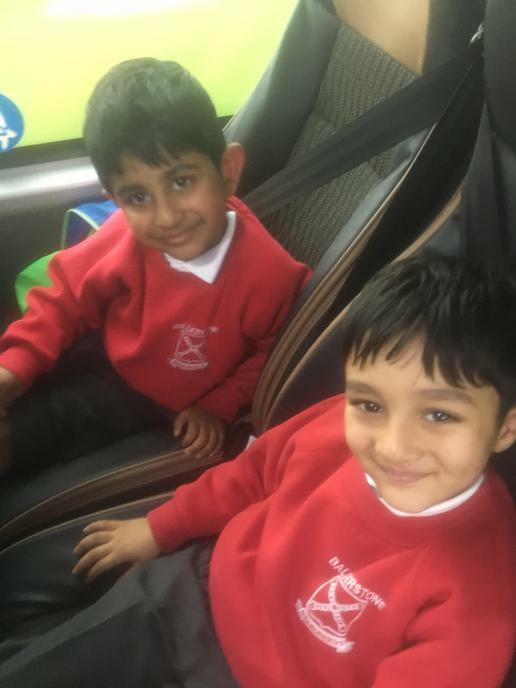 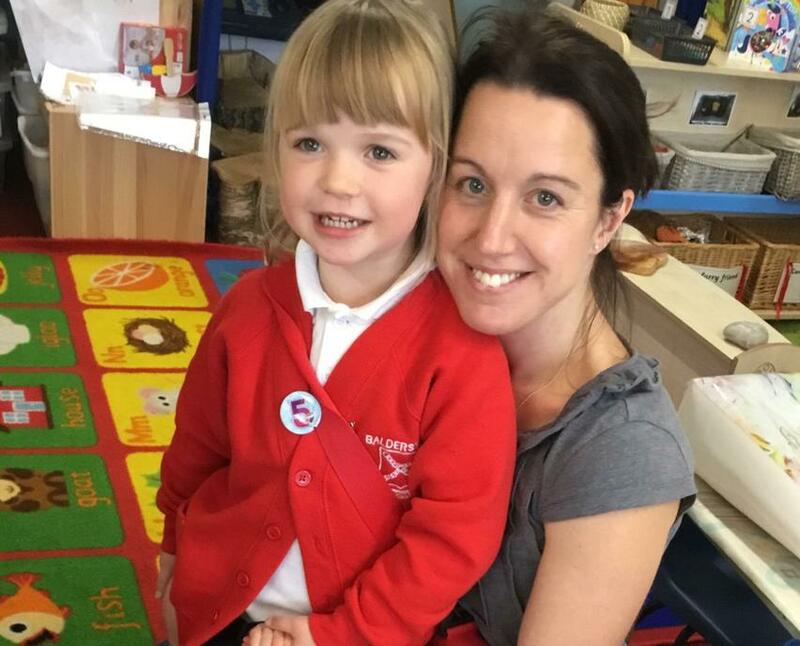 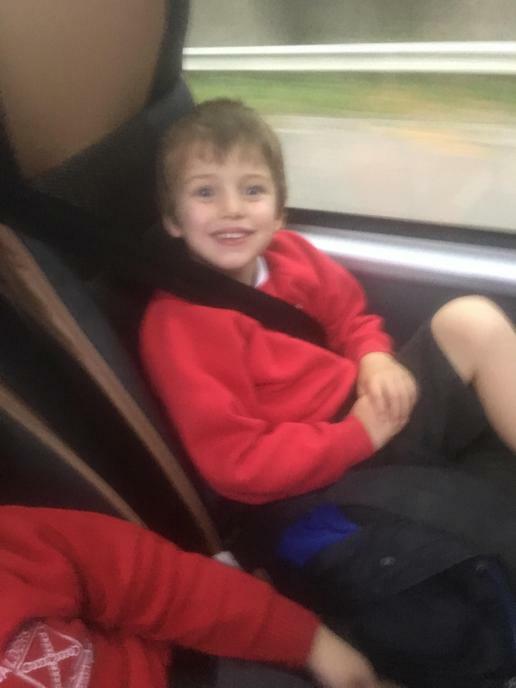 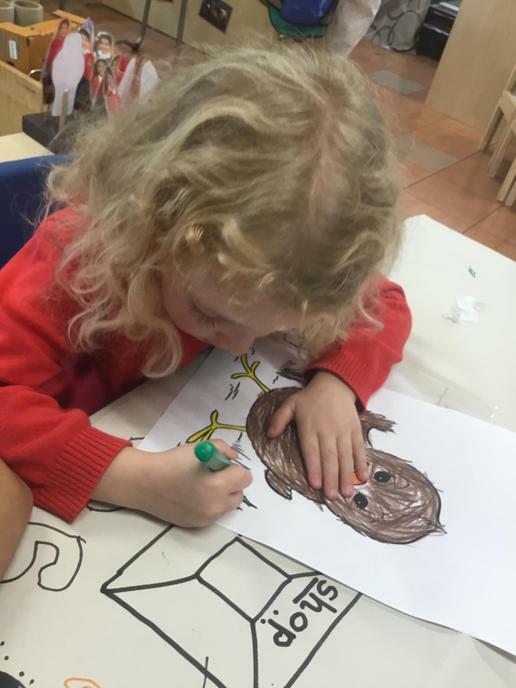 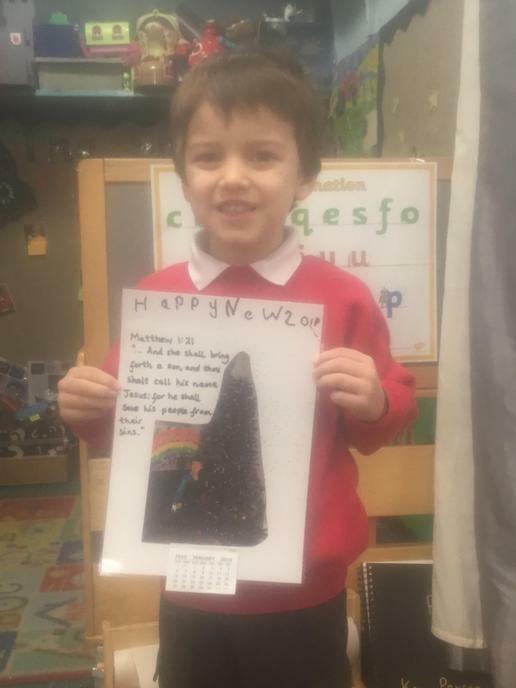 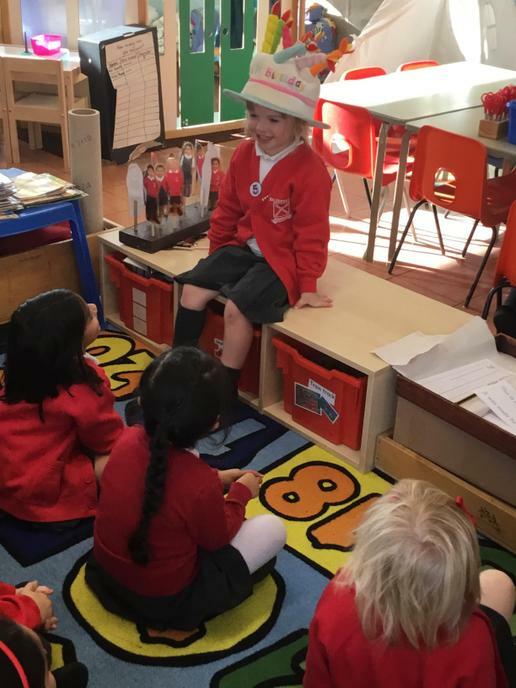 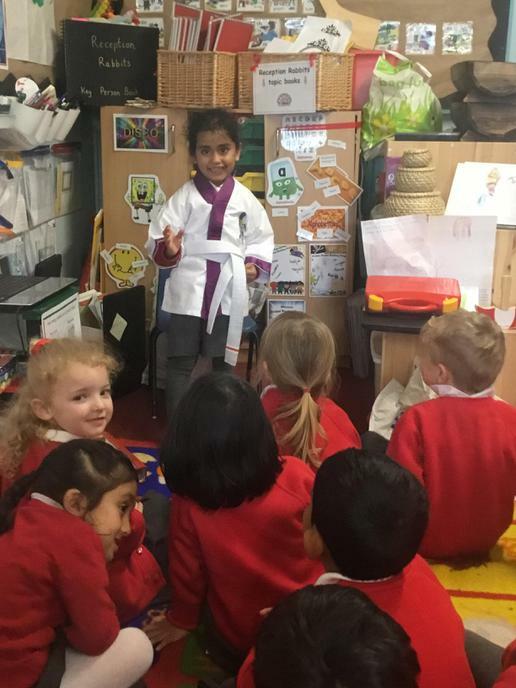 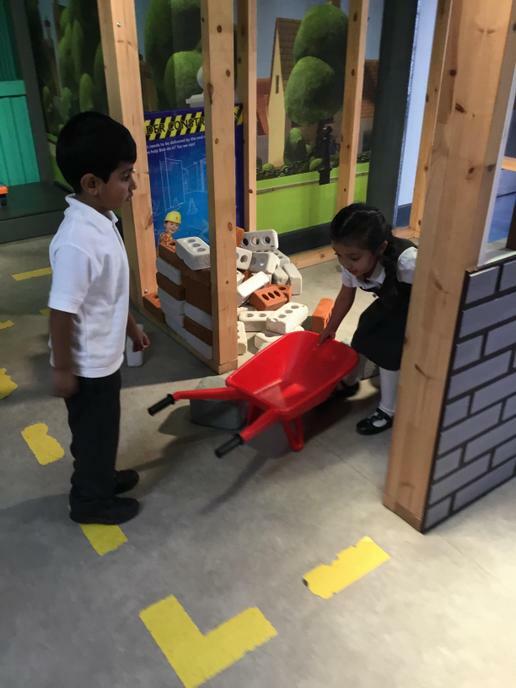 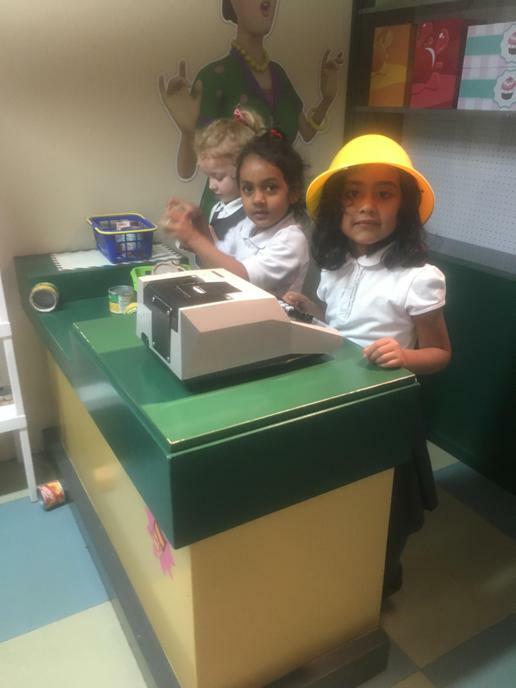 The Reception children had a fabulous first week in school. 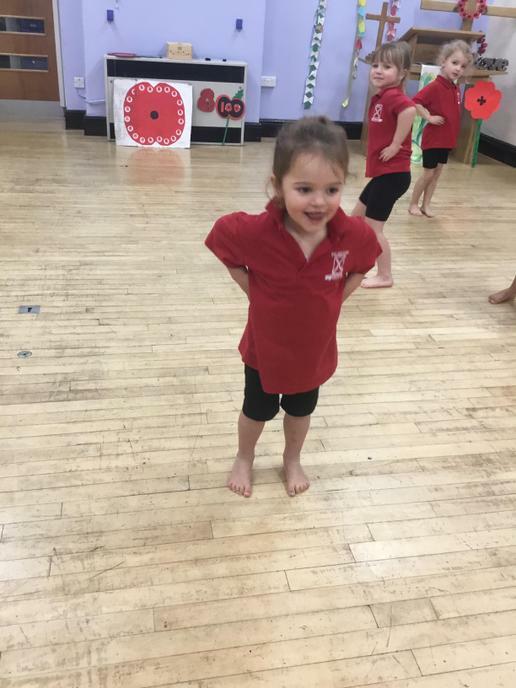 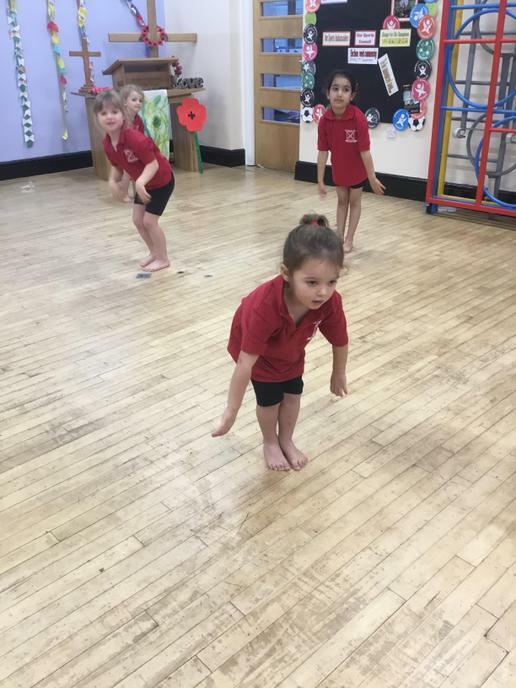 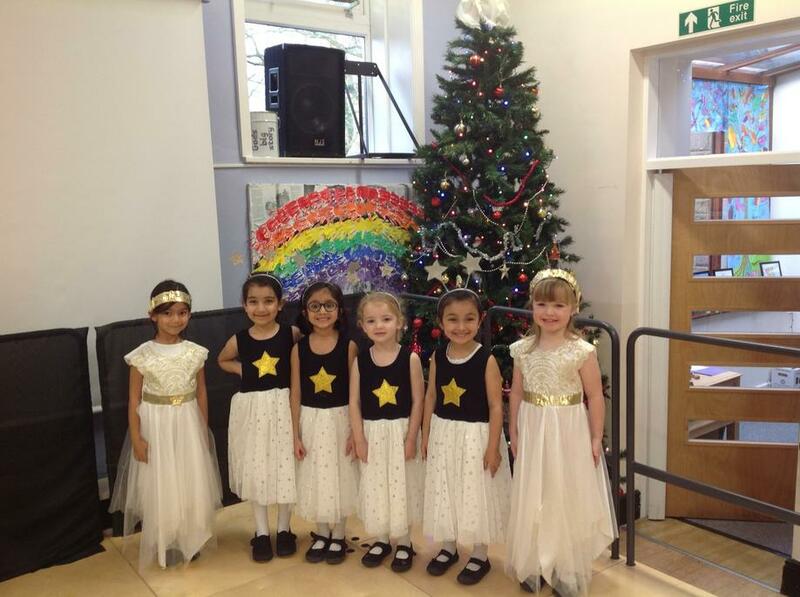 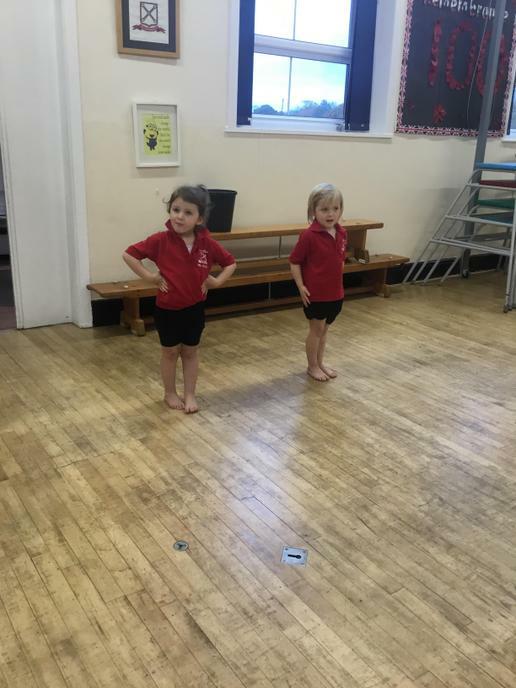 We are so proud of how well they have learned the routines in the classroom, at play time and at lunch time. 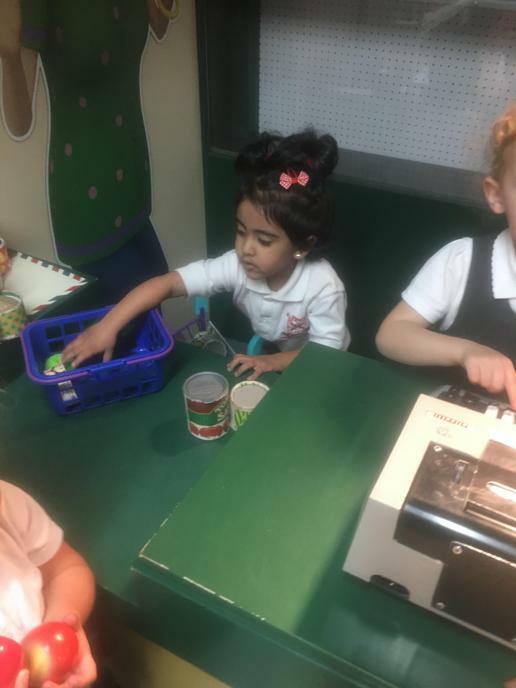 On Friday, they enjoyed Fish & Chips or Pizza & Chips and they were able to choose from the salad bar. 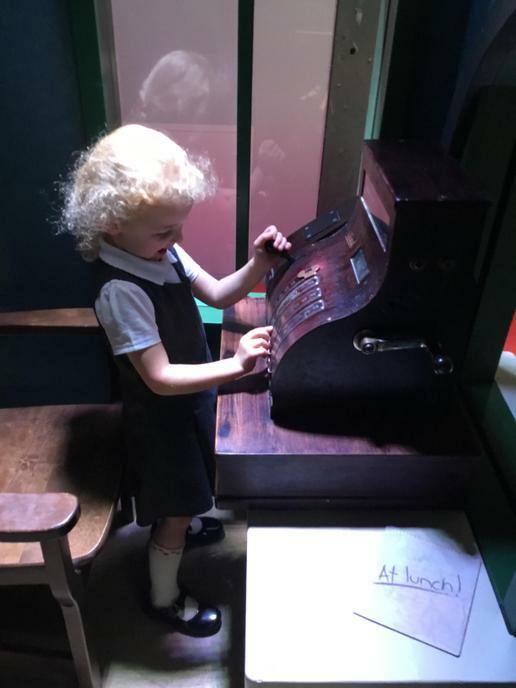 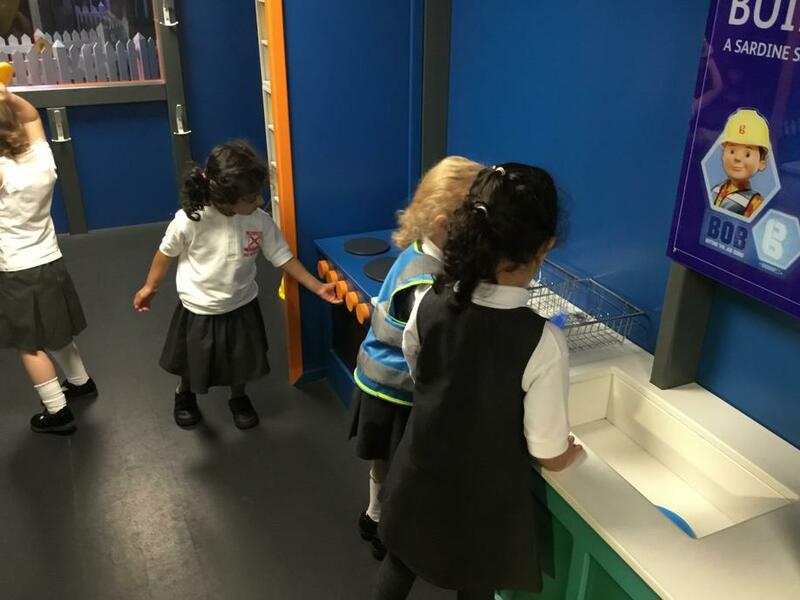 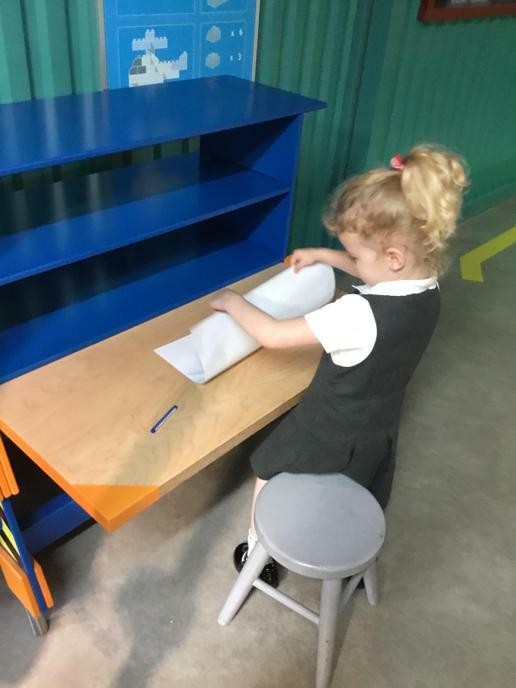 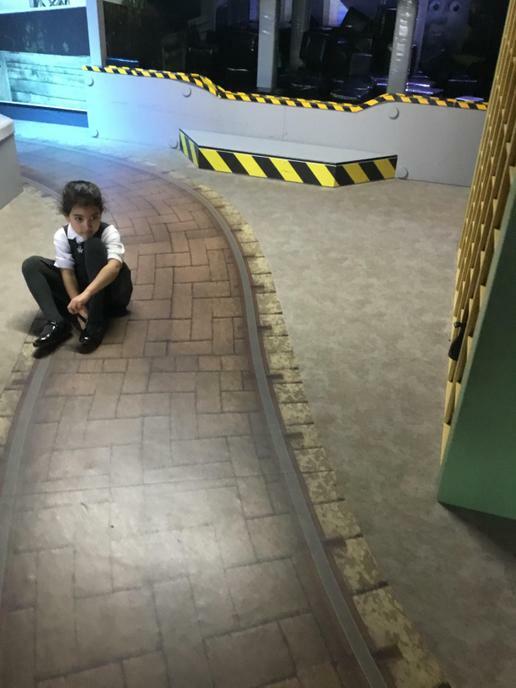 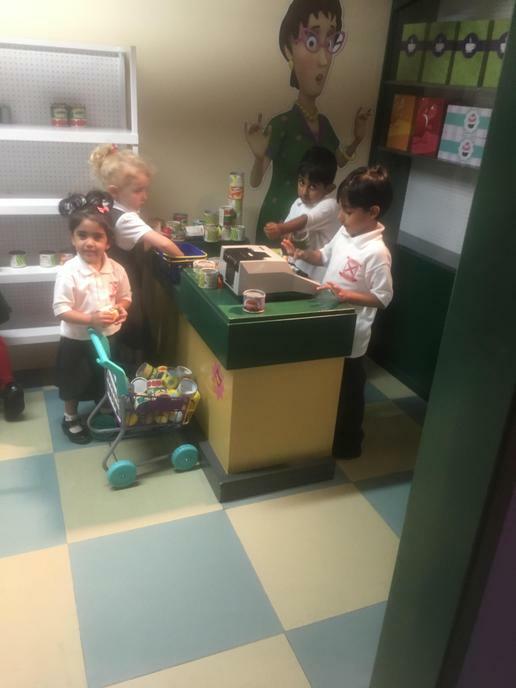 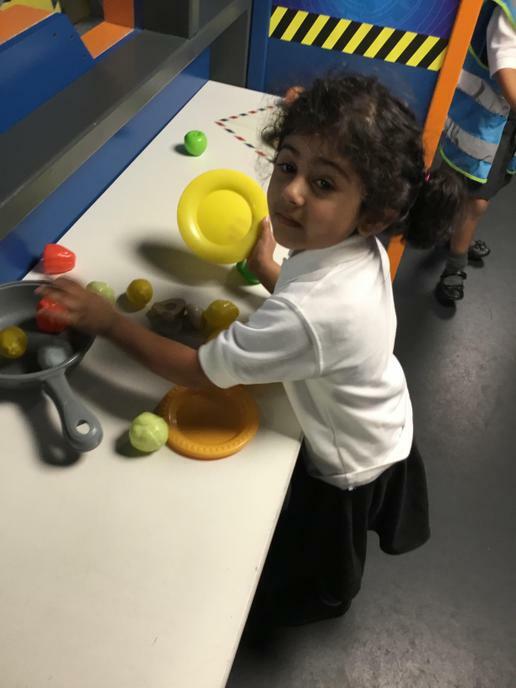 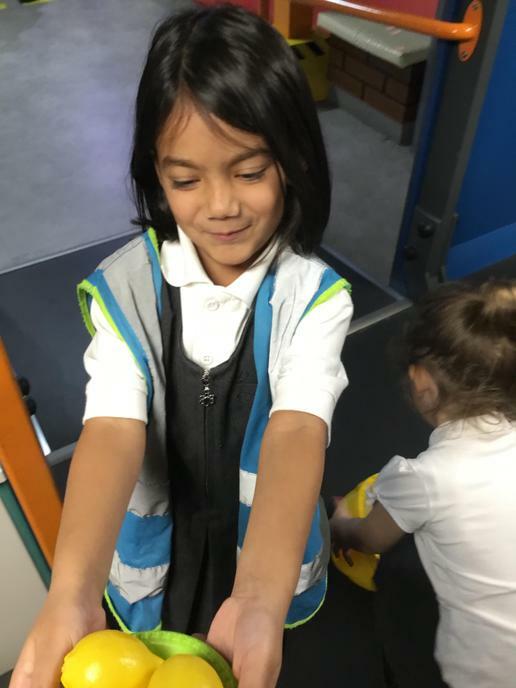 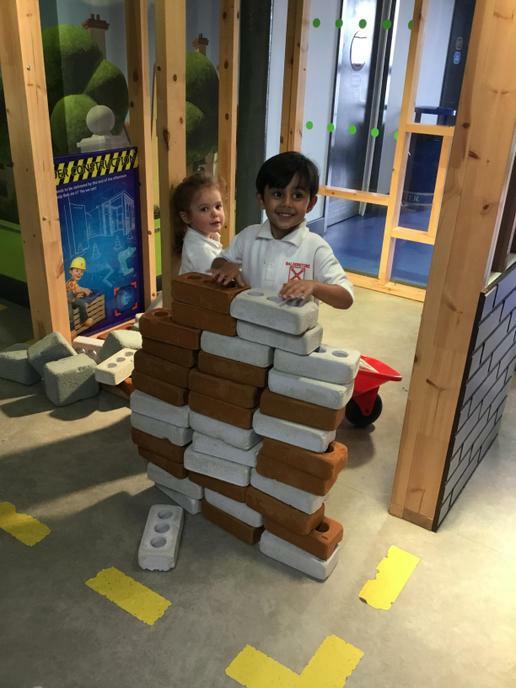 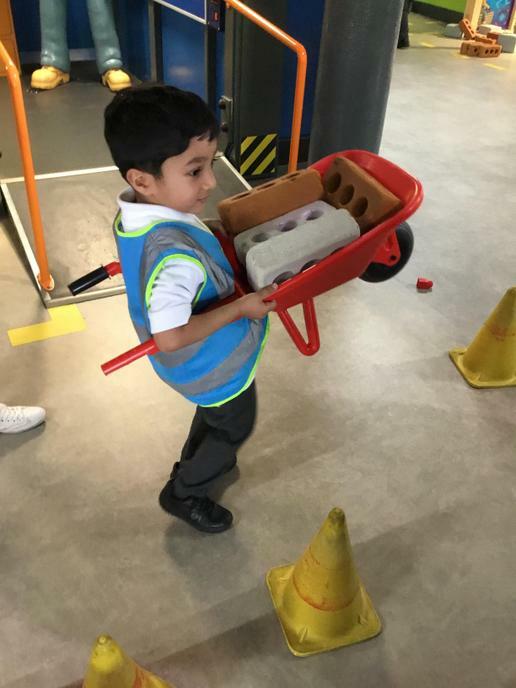 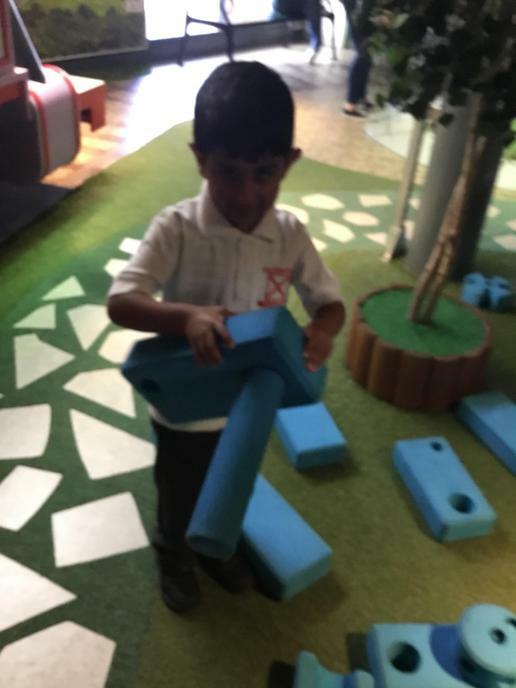 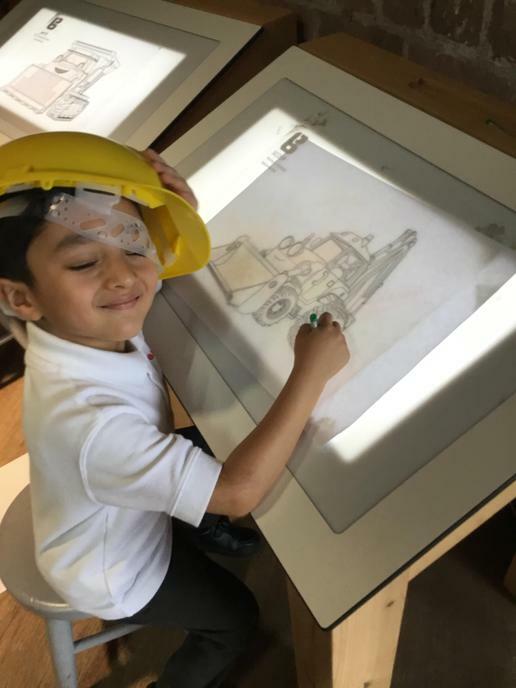 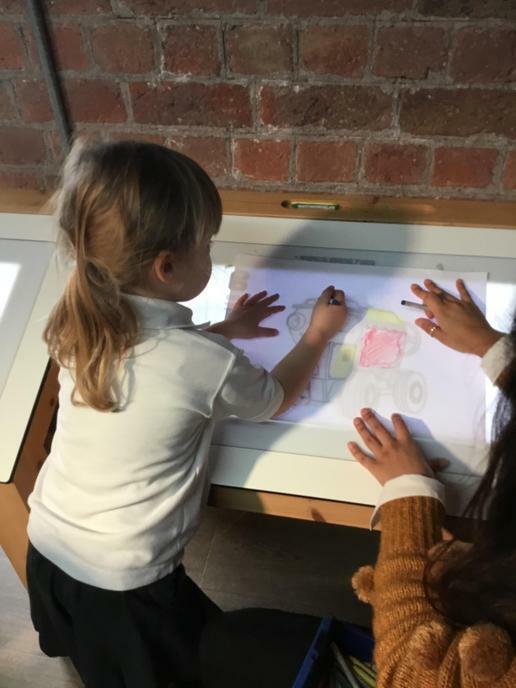 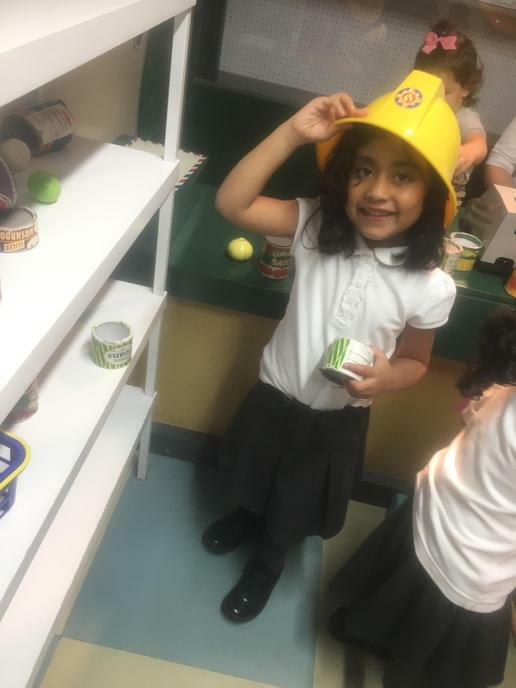 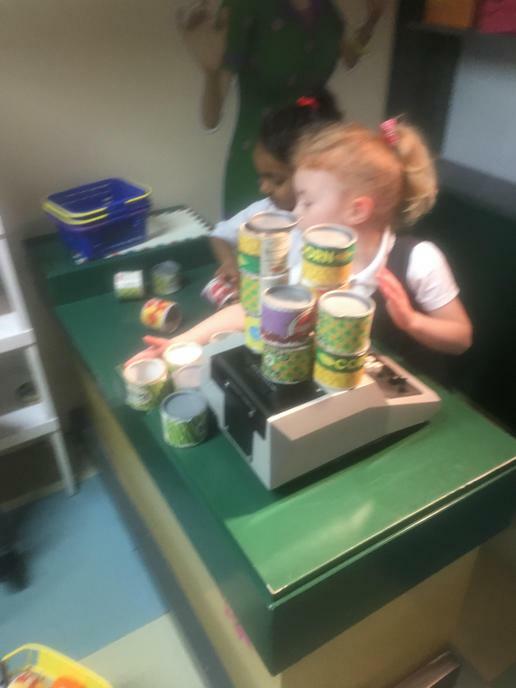 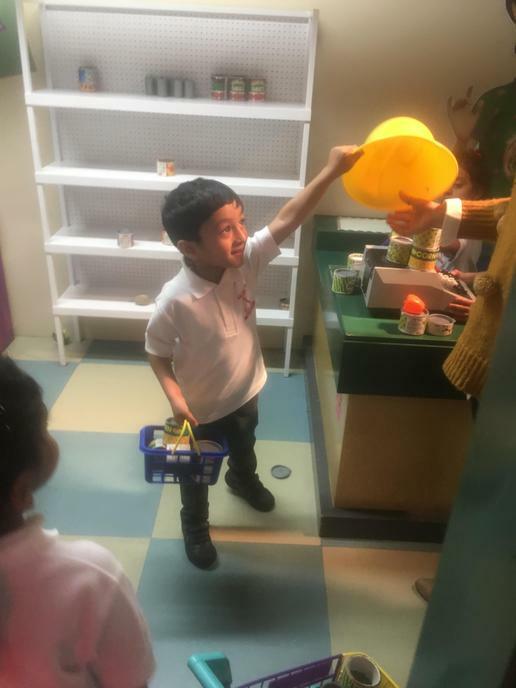 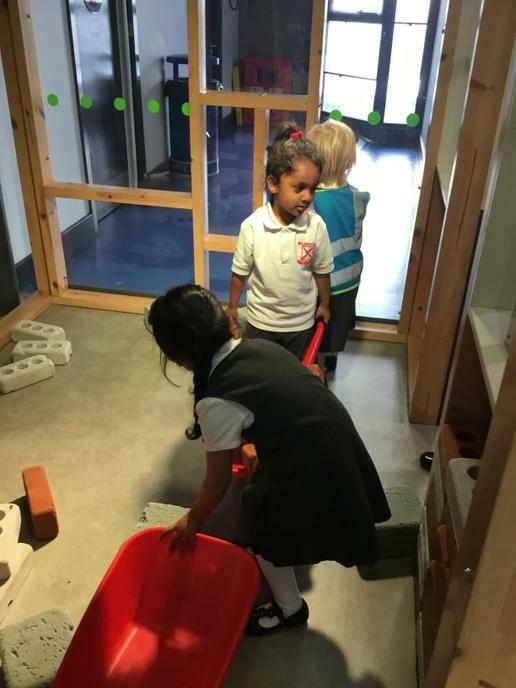 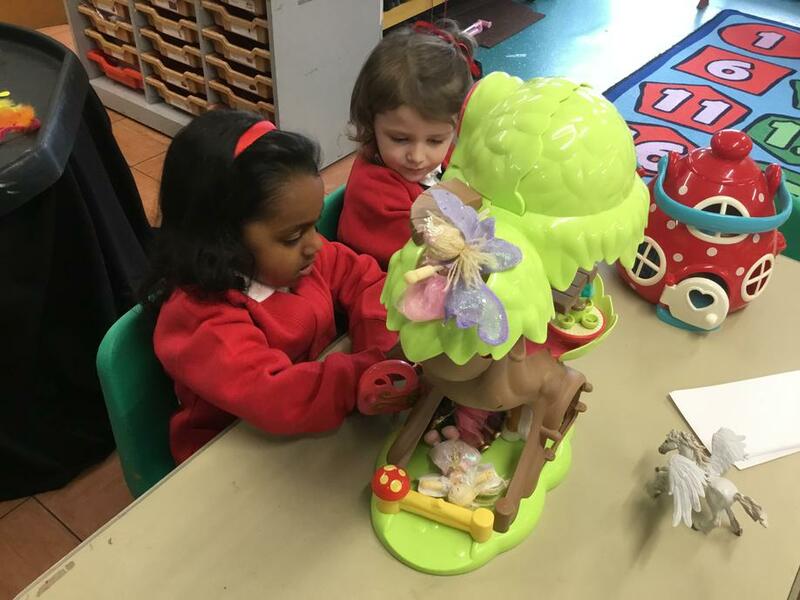 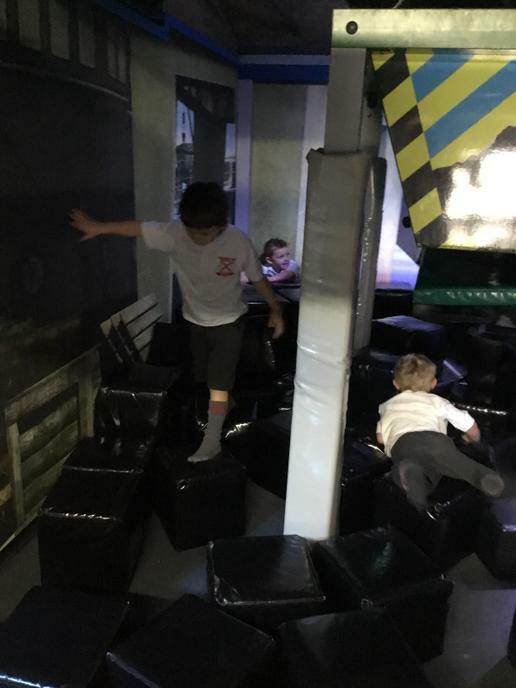 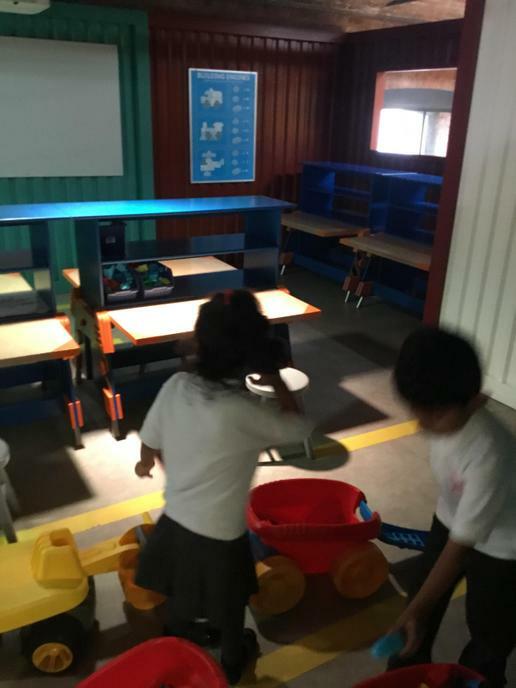 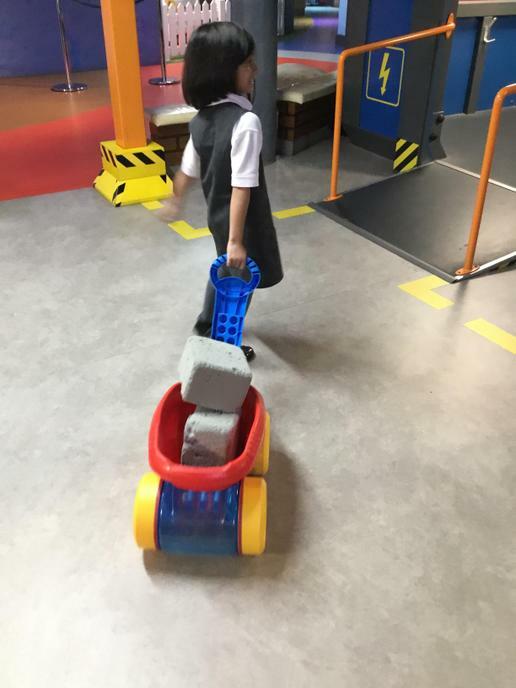 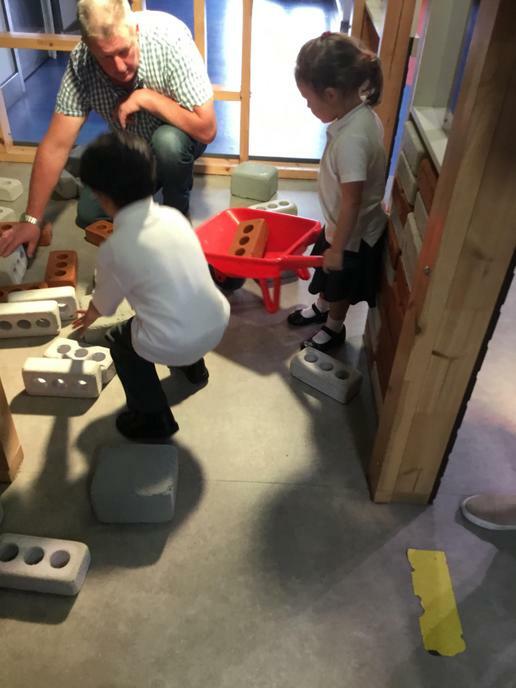 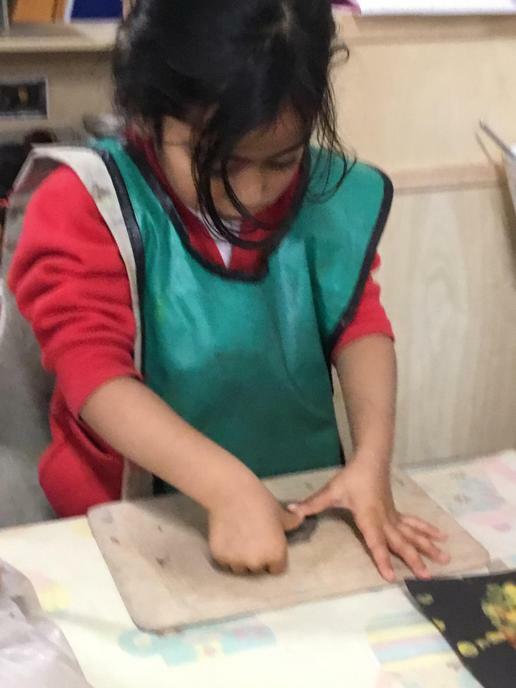 Their table monitor helped them at the counter - but, you would not believe how independently the children were carrying their own plates, cutting up their own food, using their cutlery and remembering their table manners.